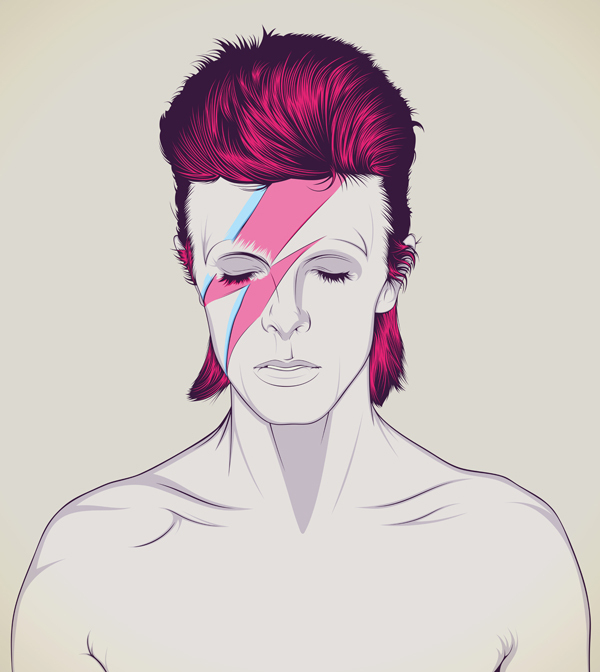 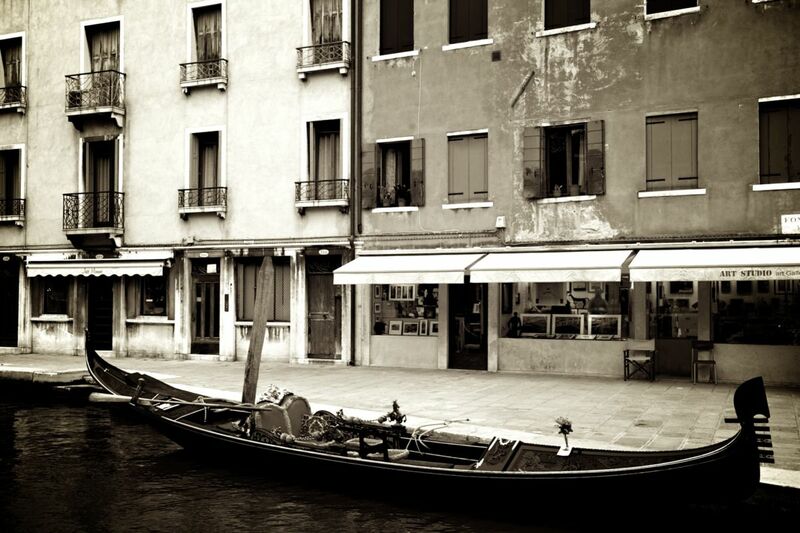 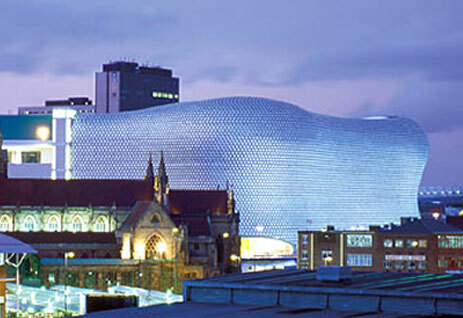 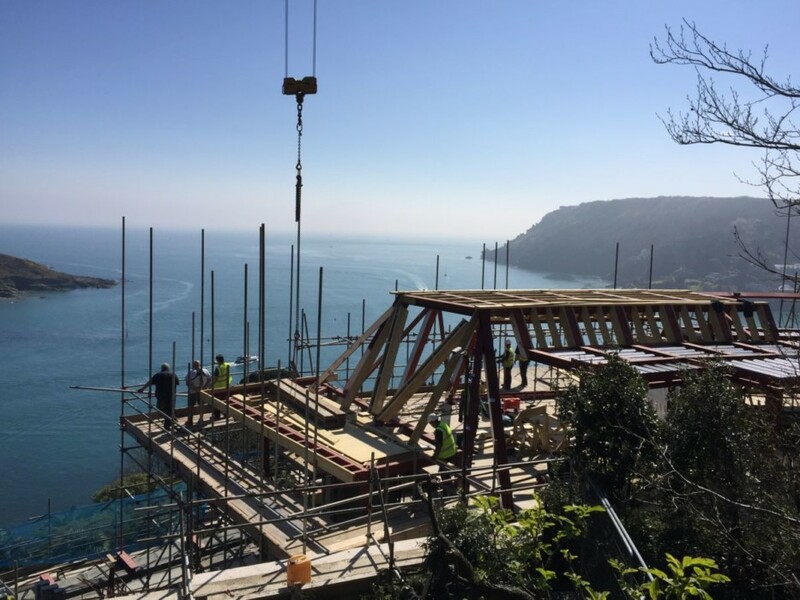 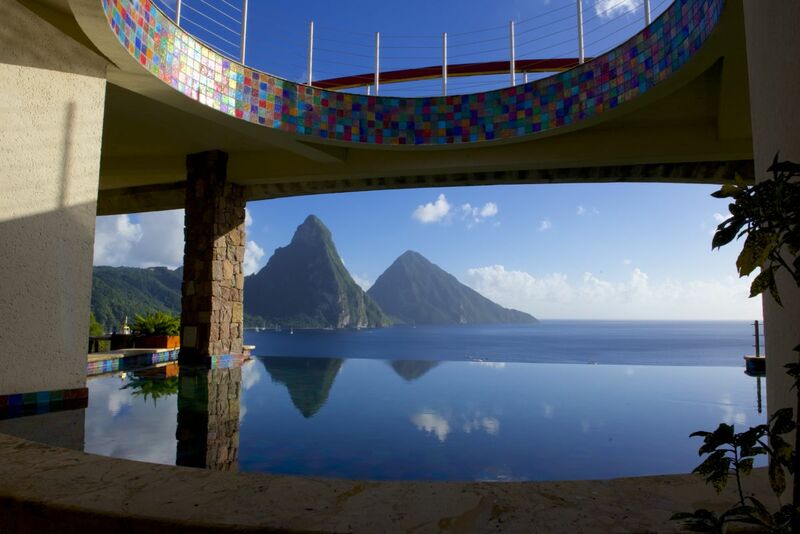 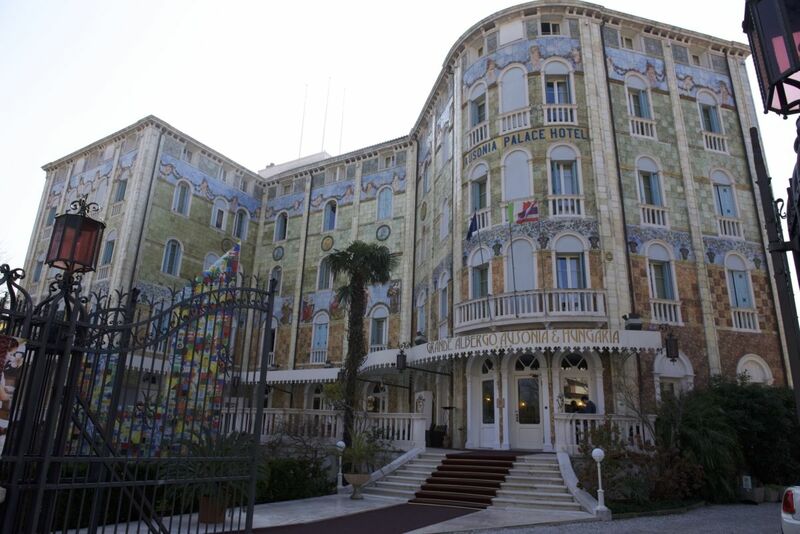 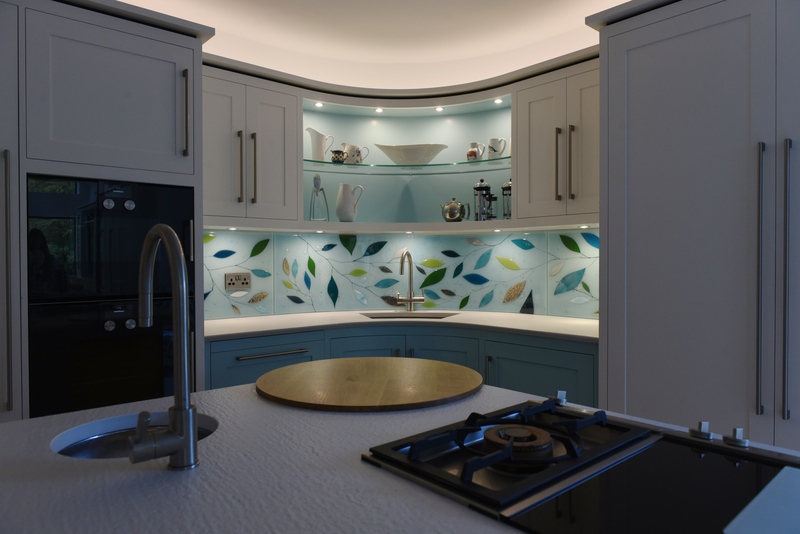 Here’s a very recent work that we’re eager to show off as soon as we can! 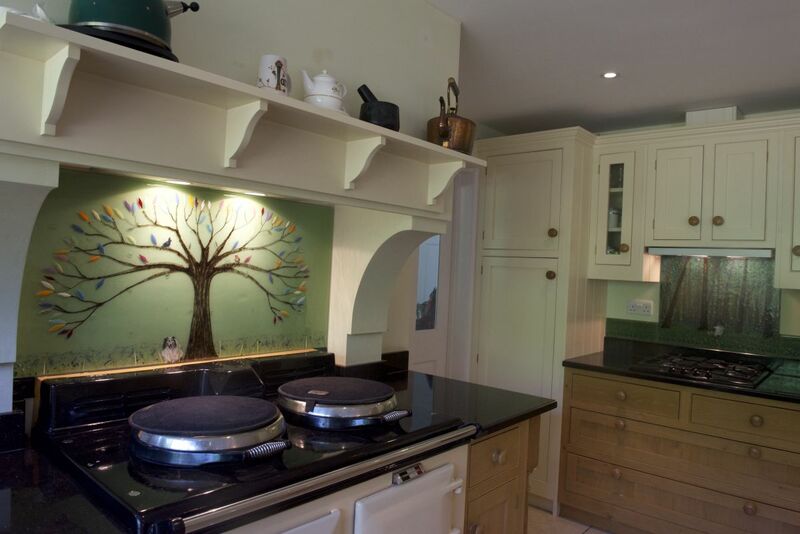 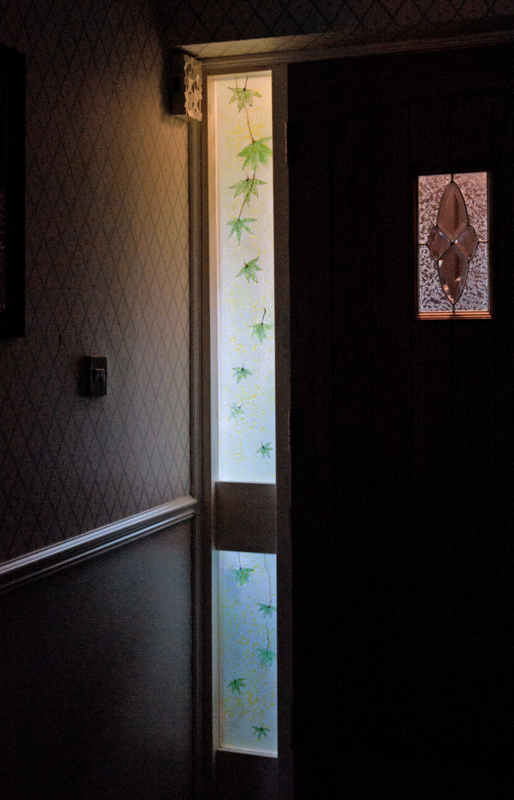 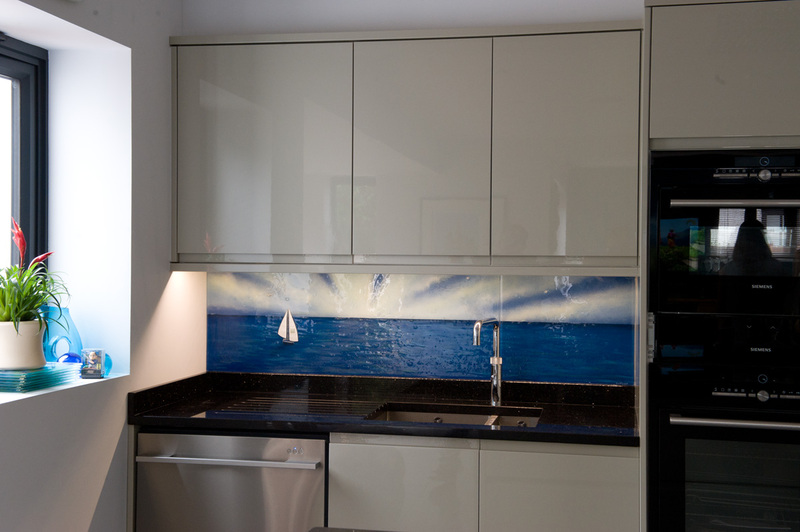 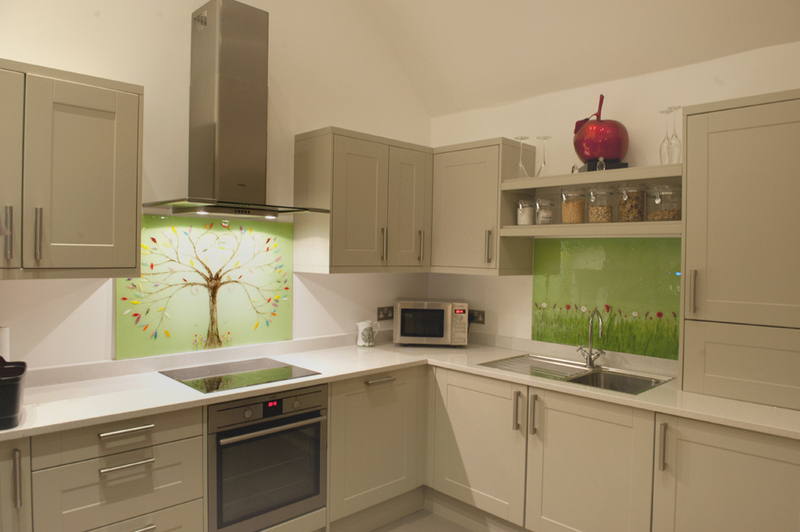 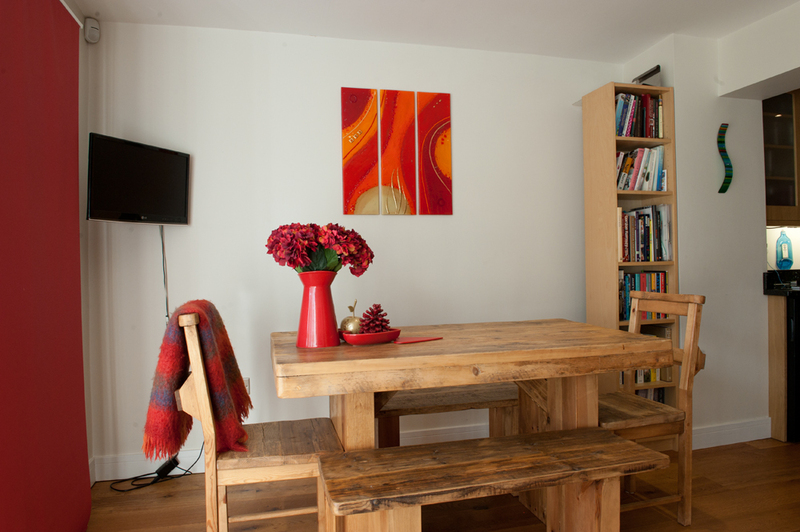 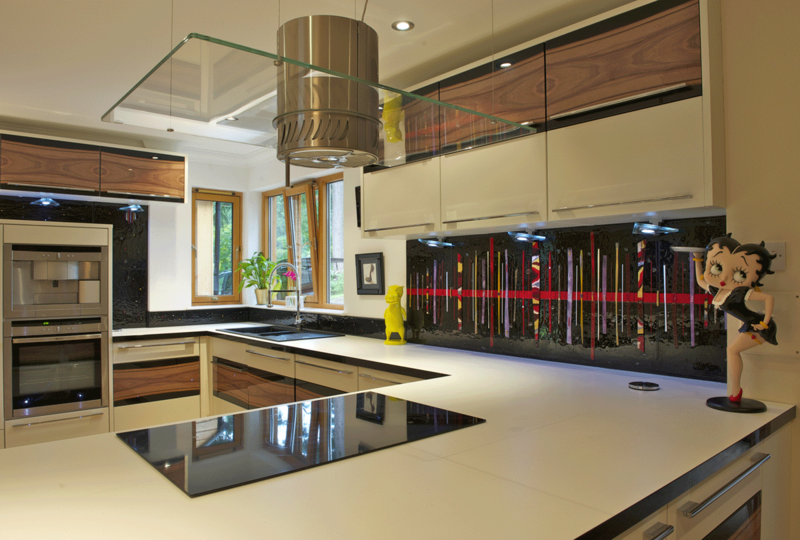 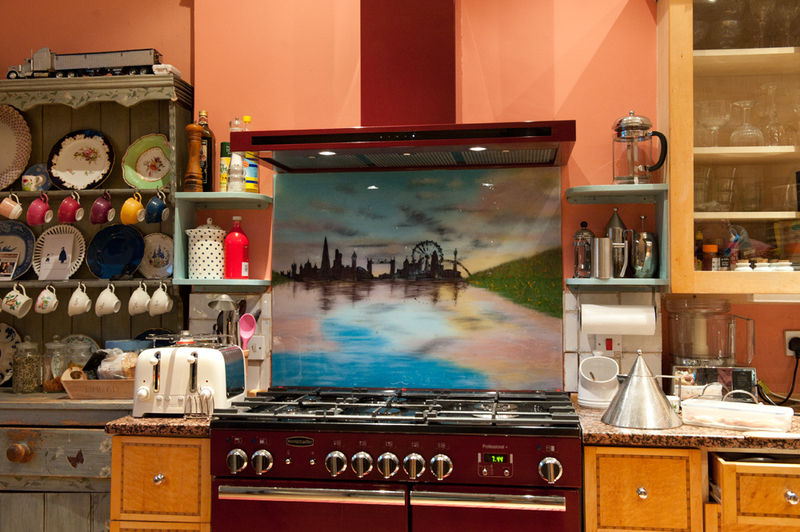 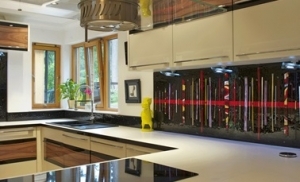 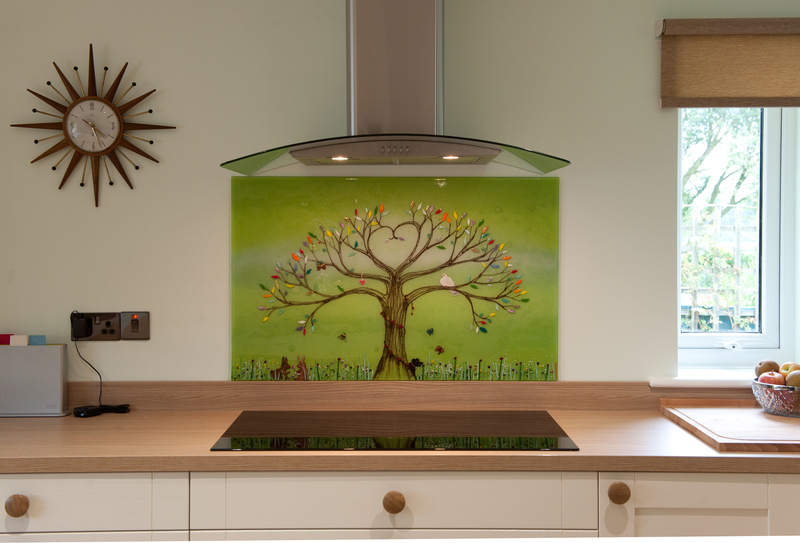 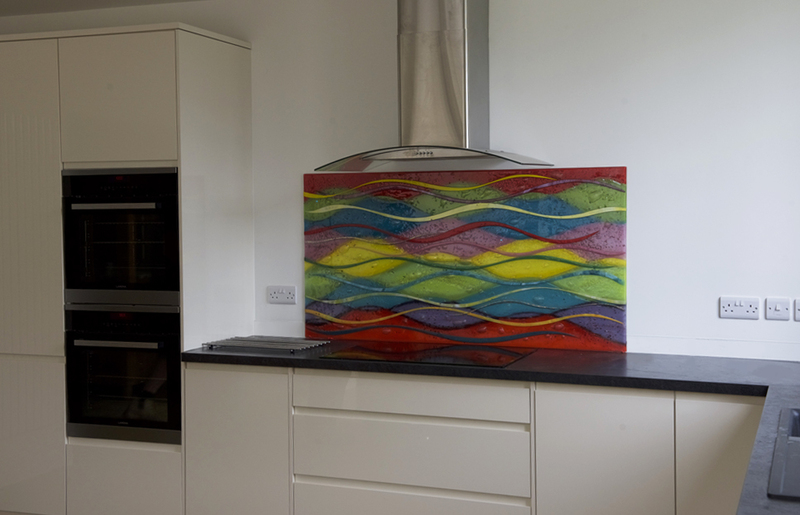 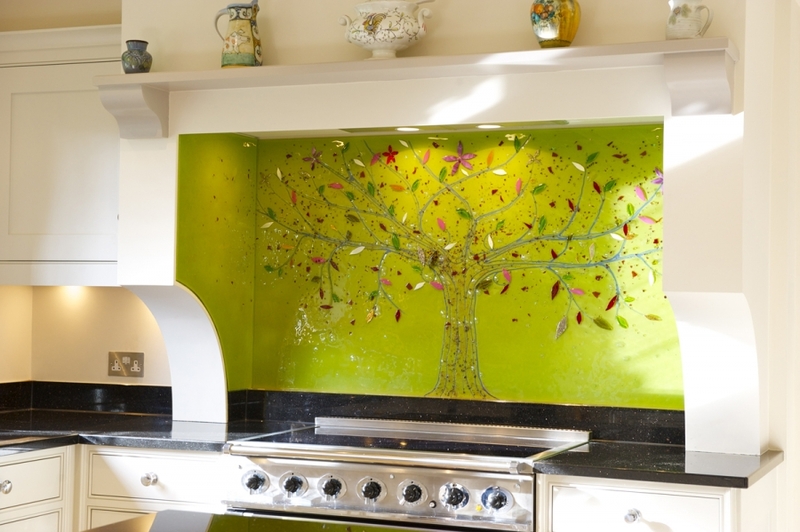 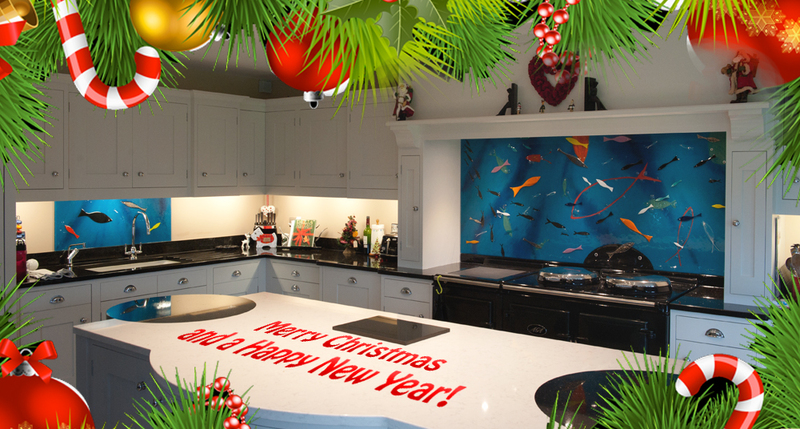 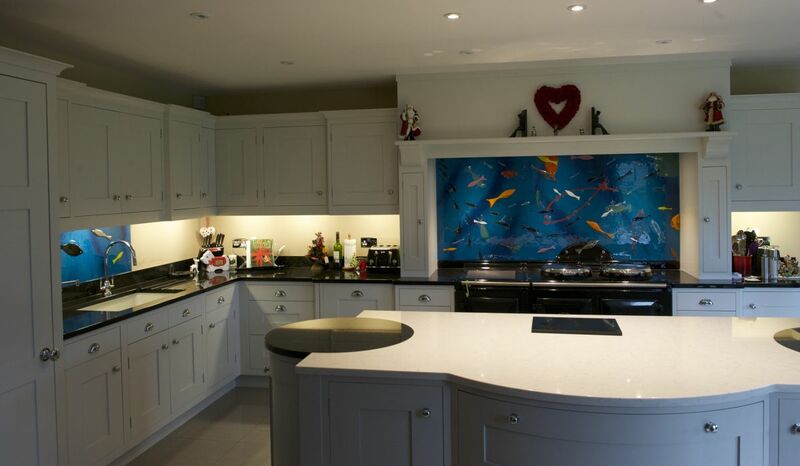 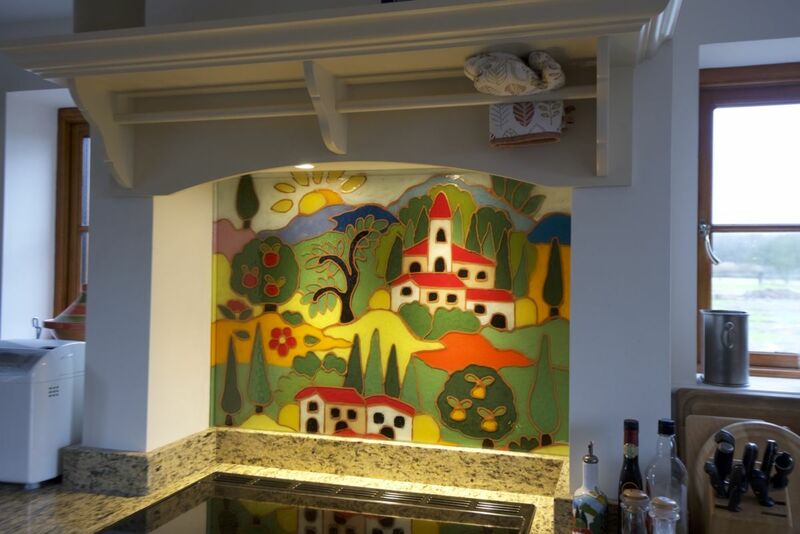 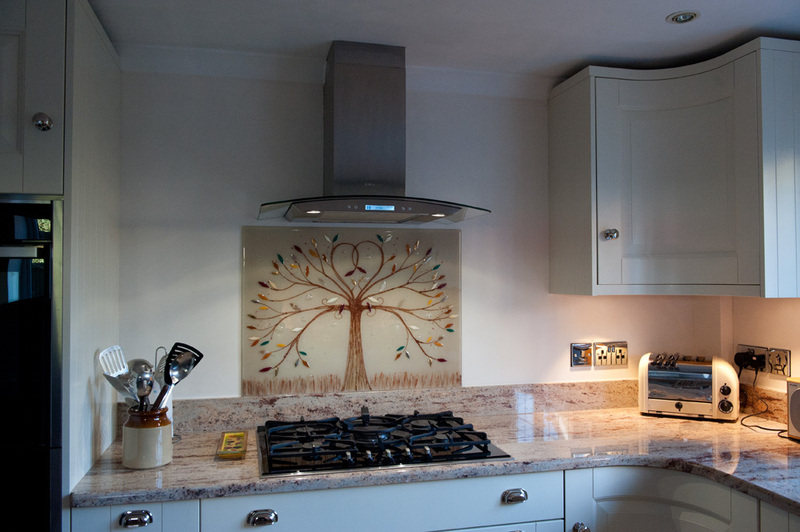 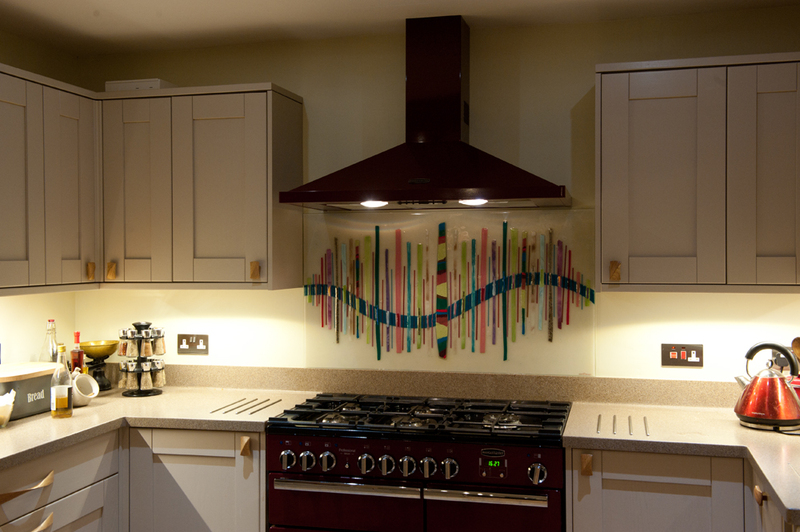 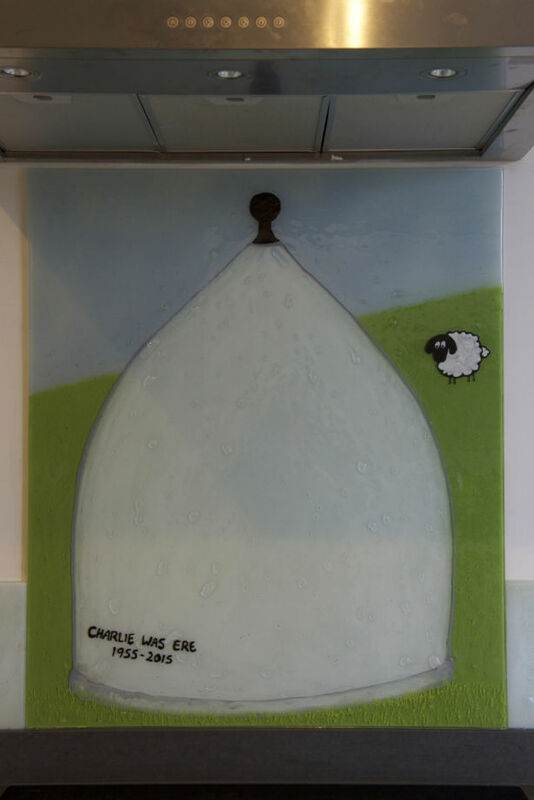 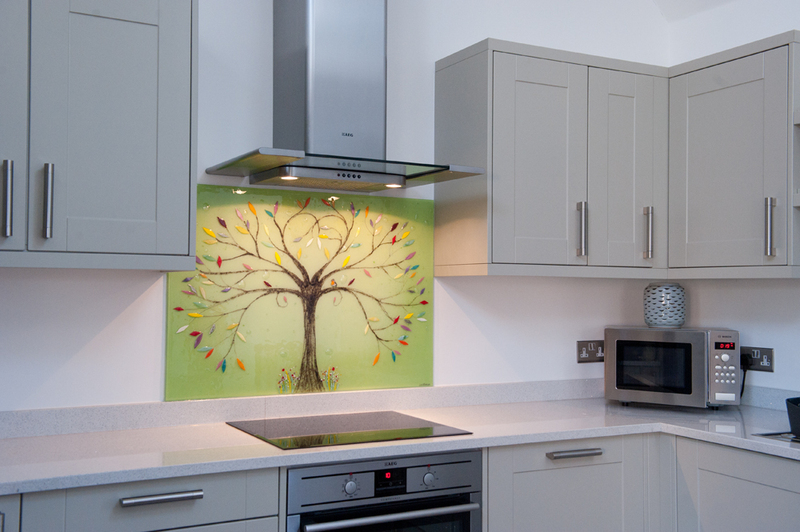 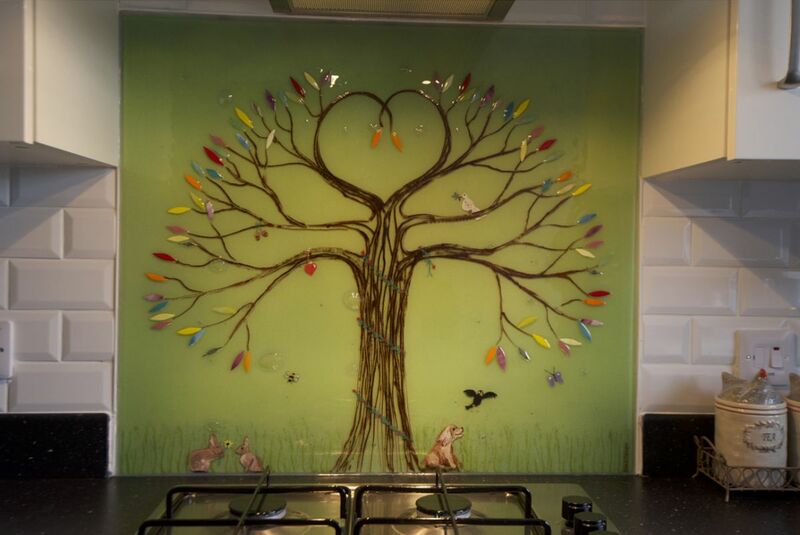 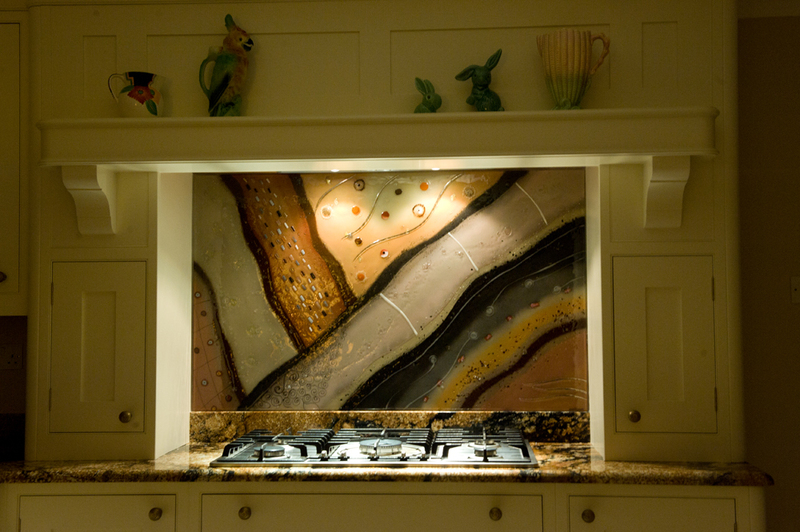 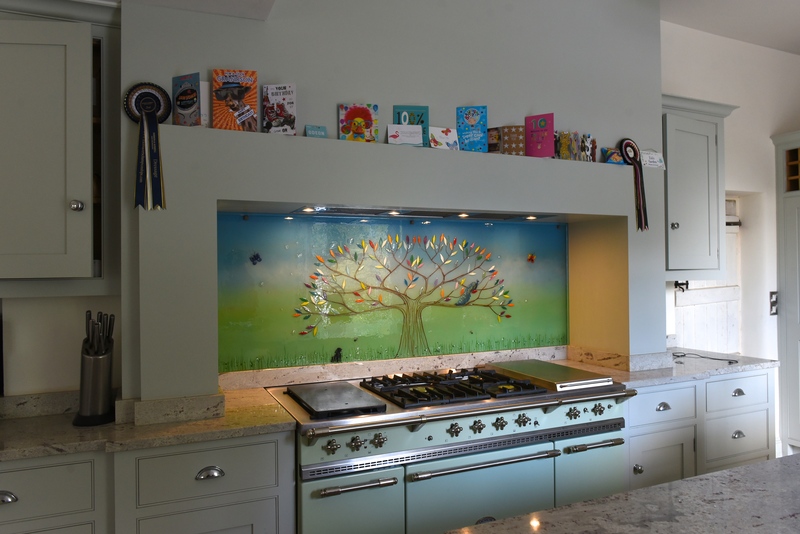 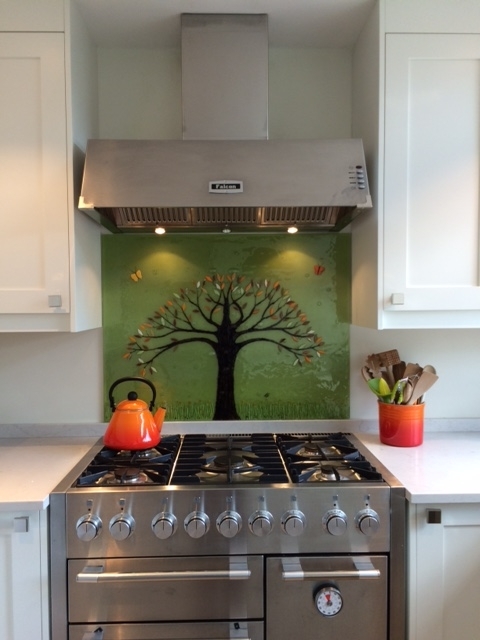 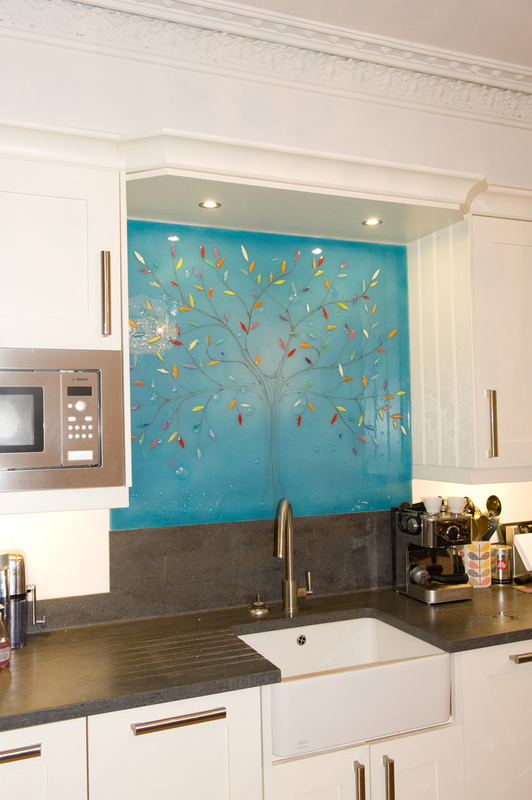 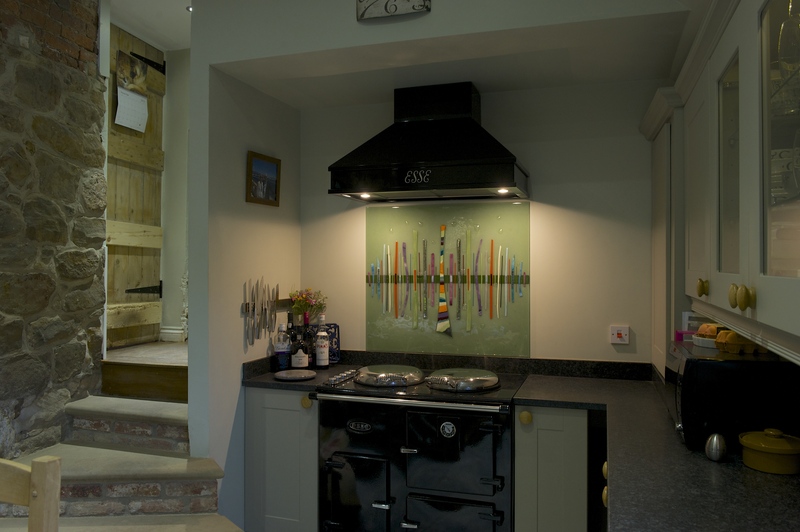 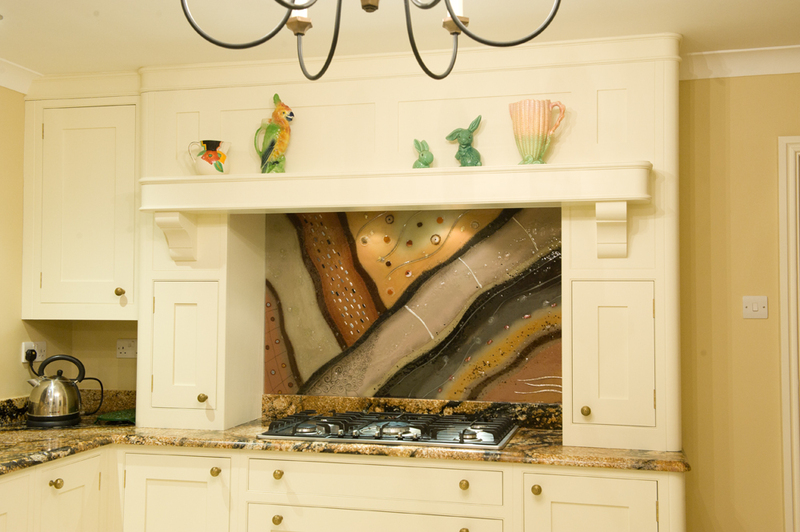 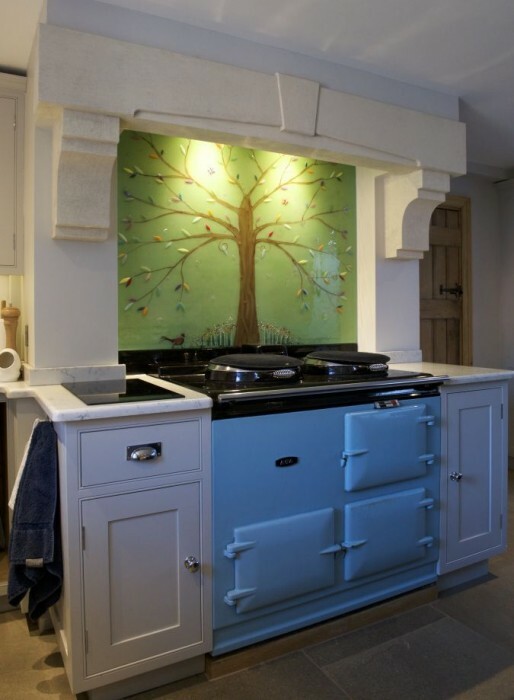 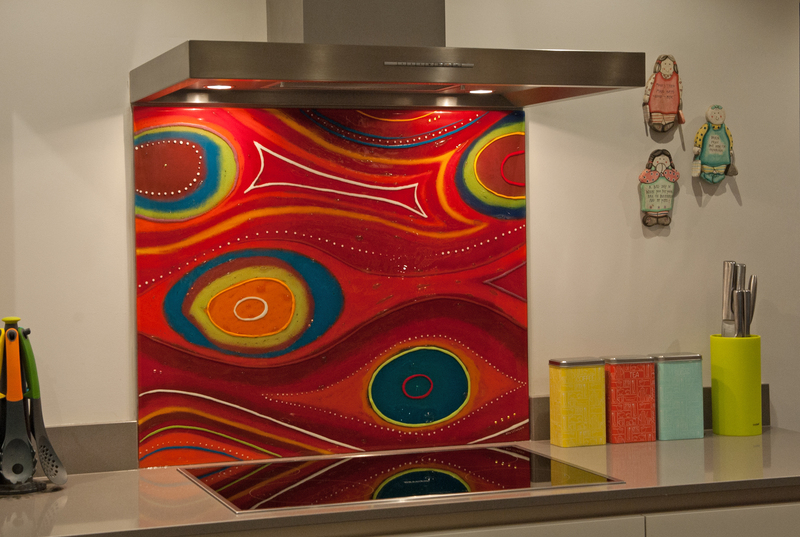 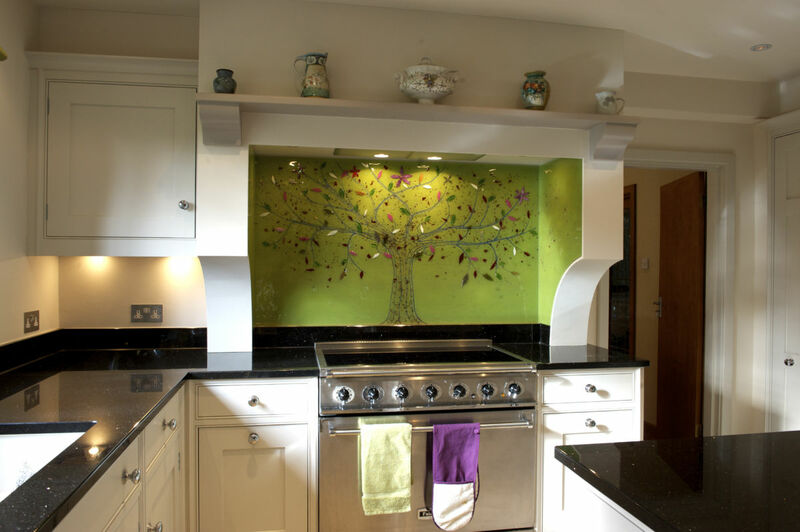 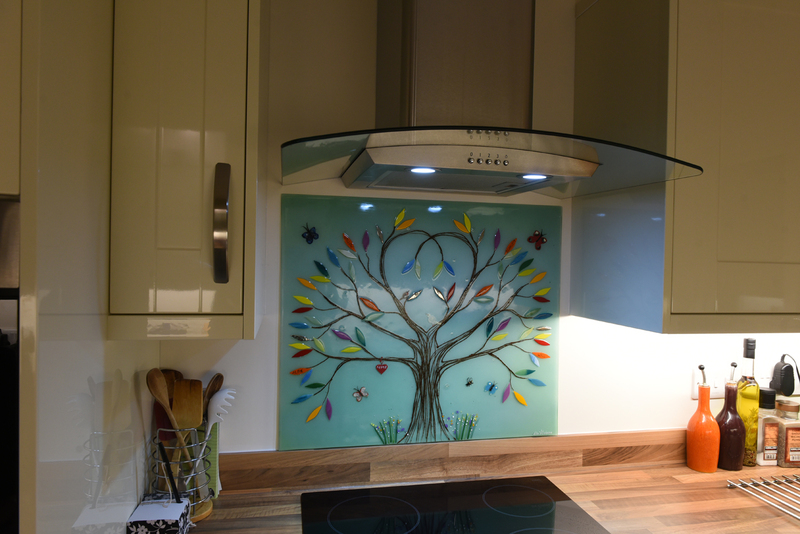 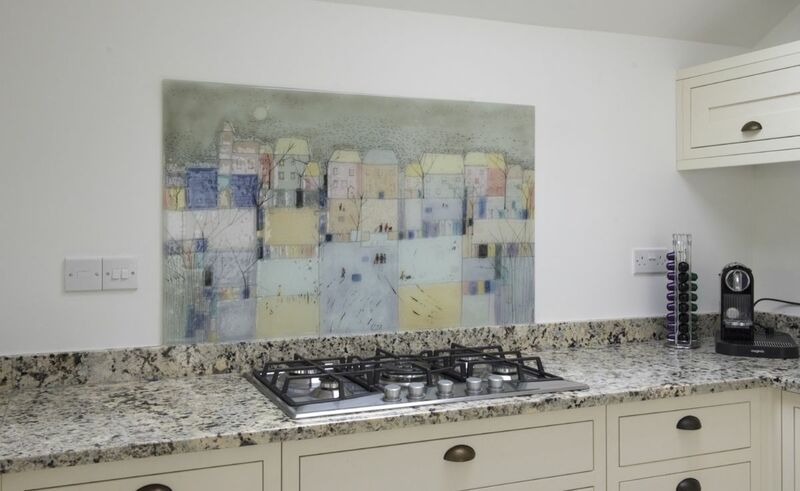 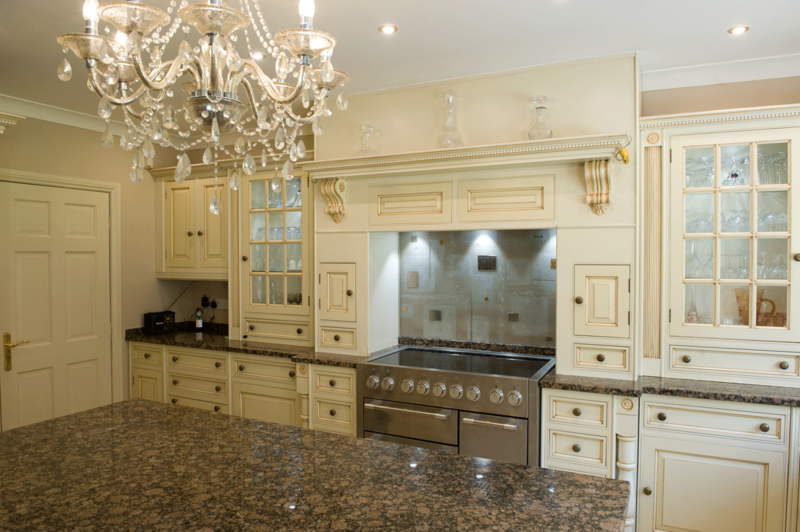 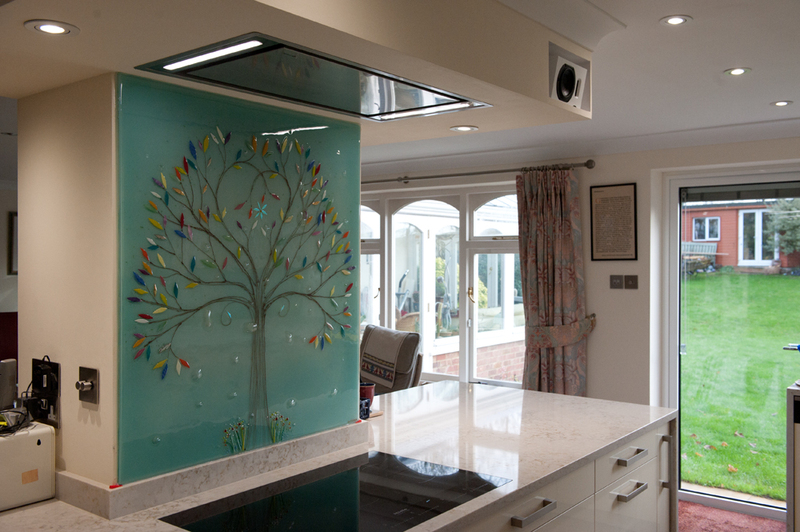 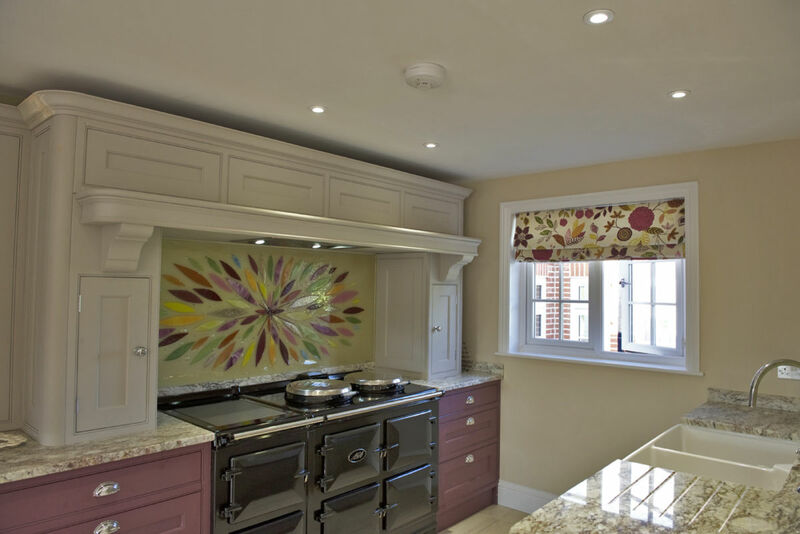 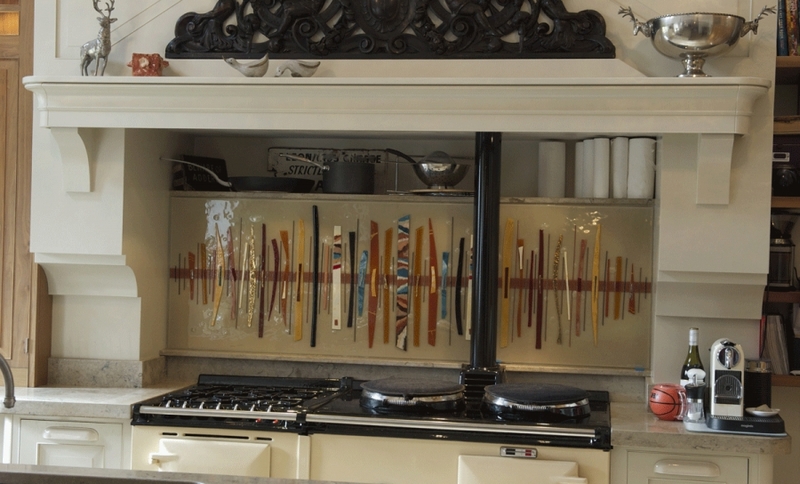 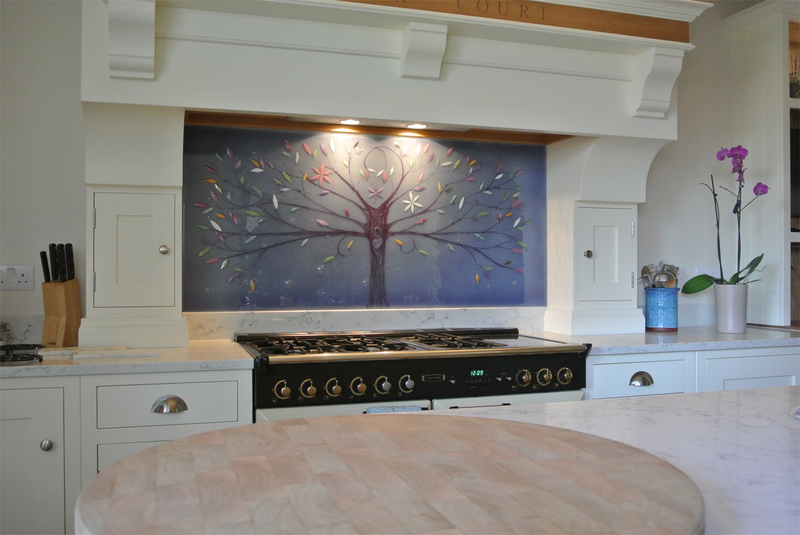 It’s one of our beautiful kitchen splashbacks, but a very unique entry in the family from Compton, Surrey. 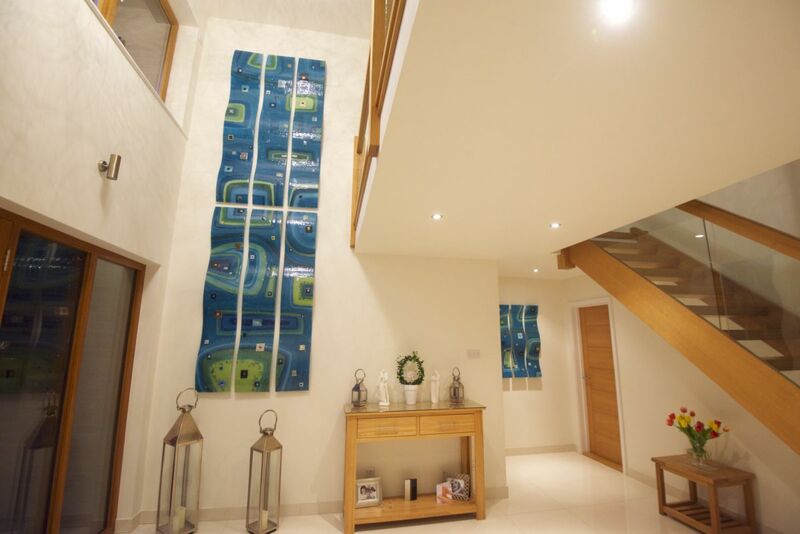 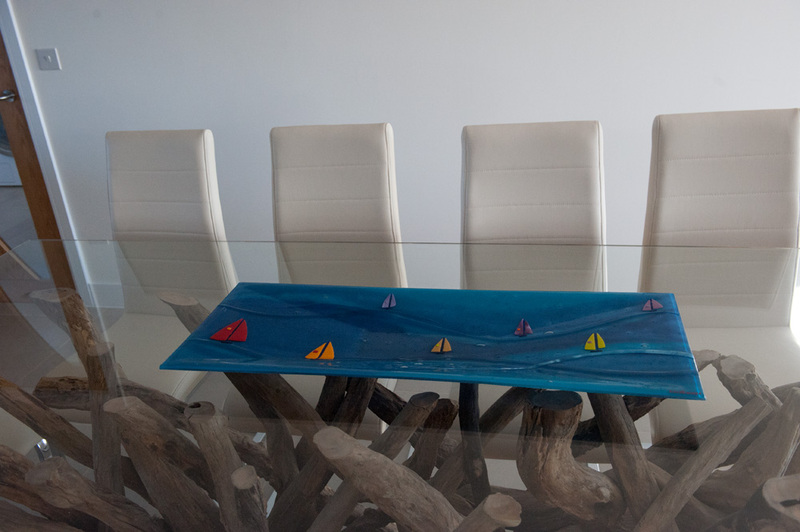 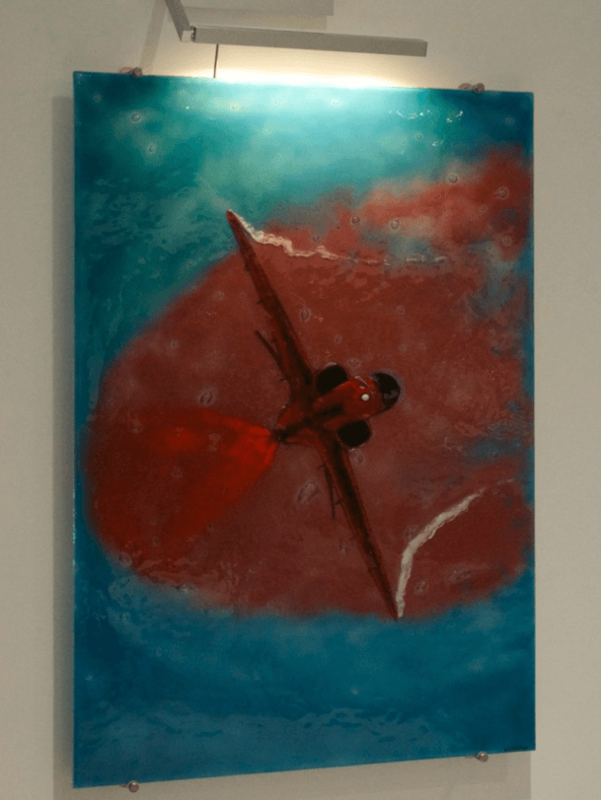 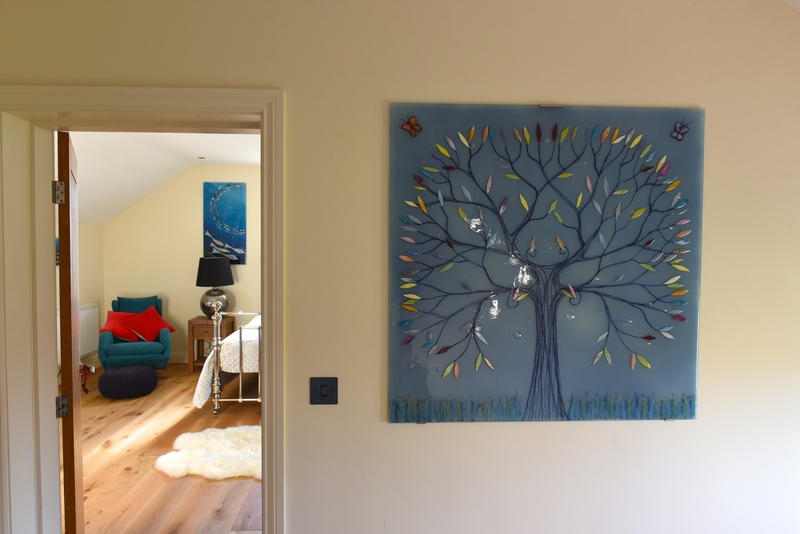 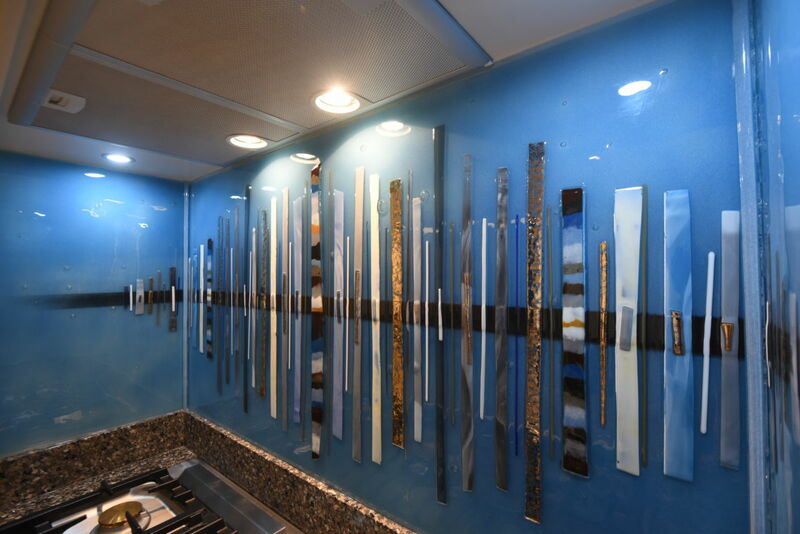 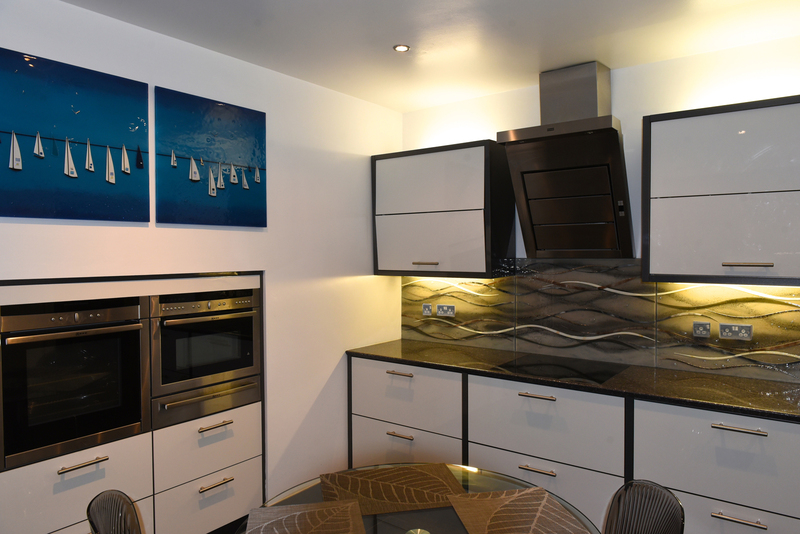 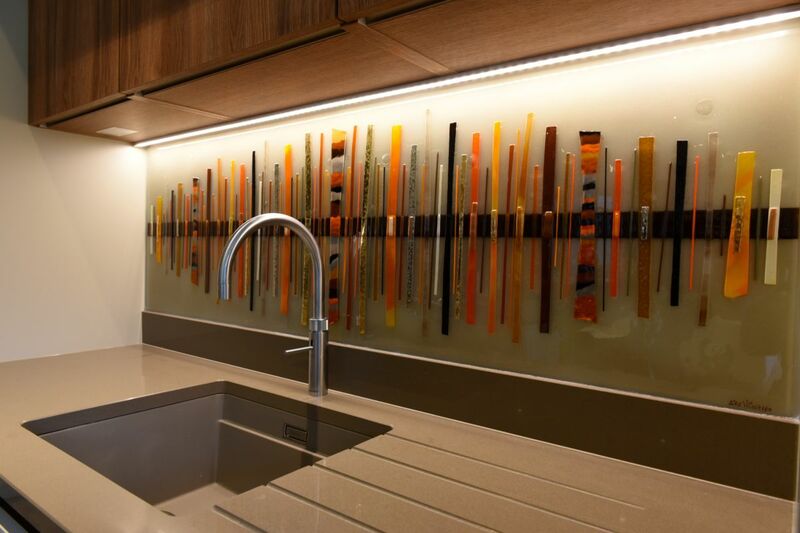 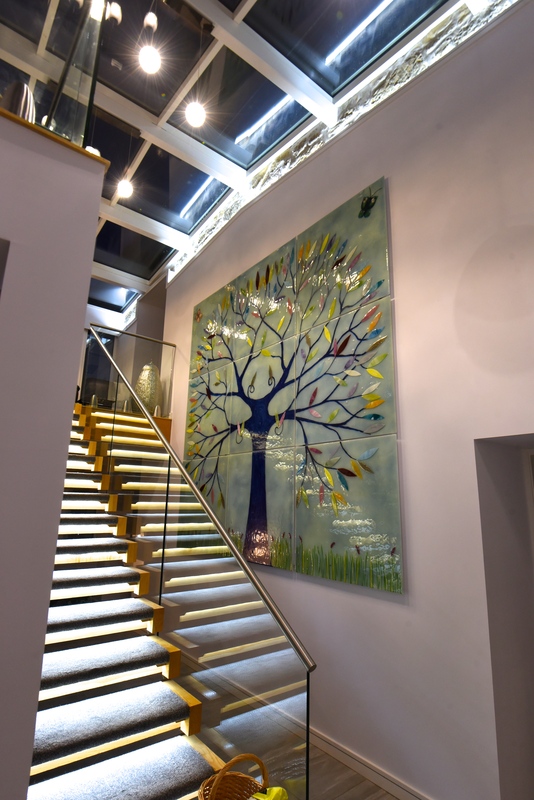 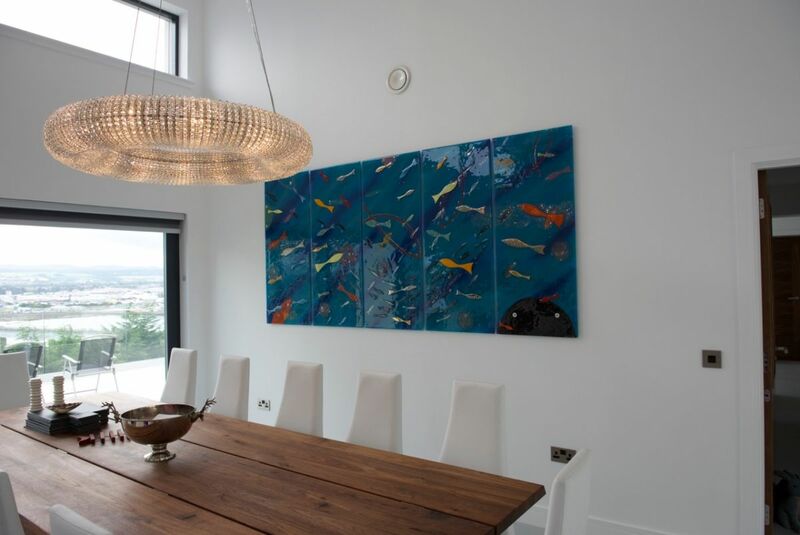 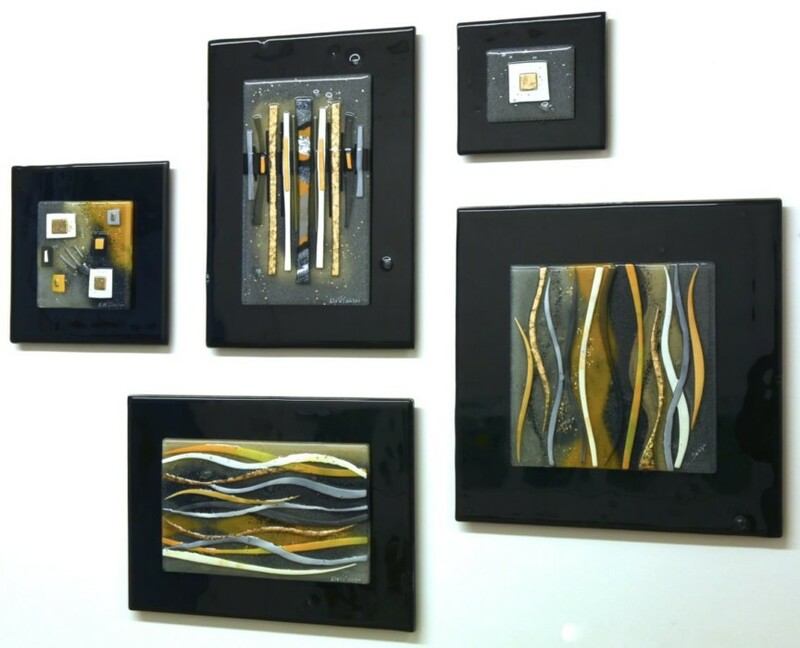 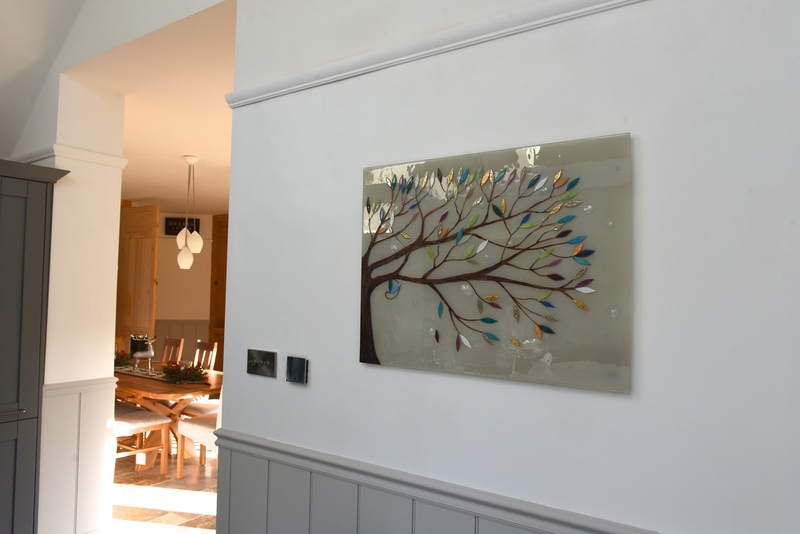 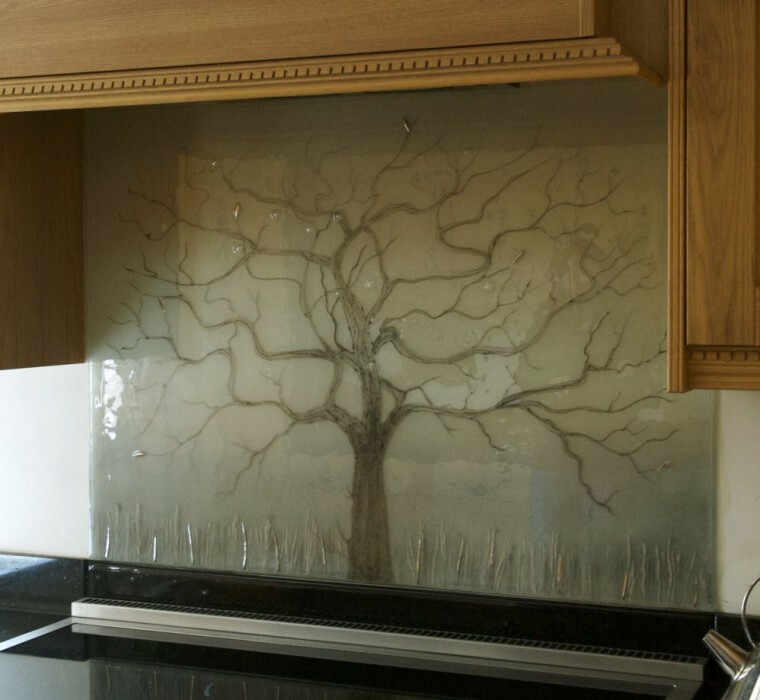 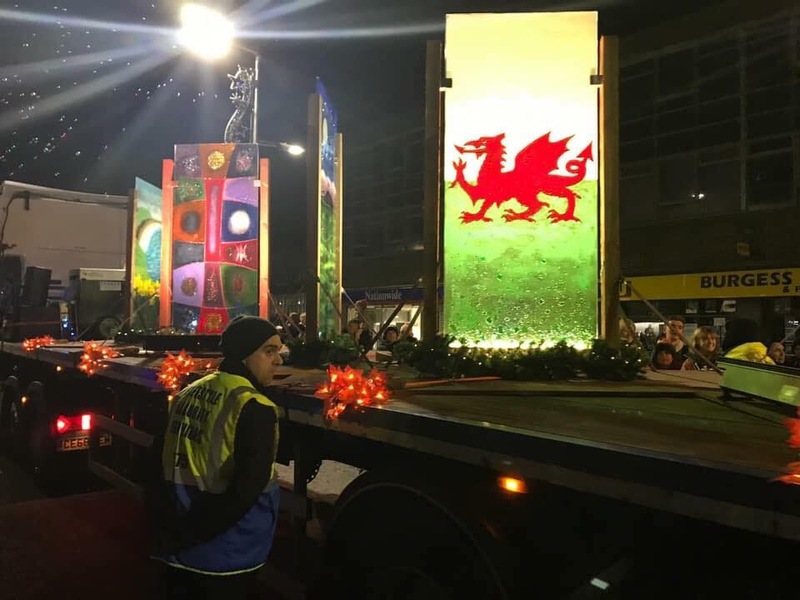 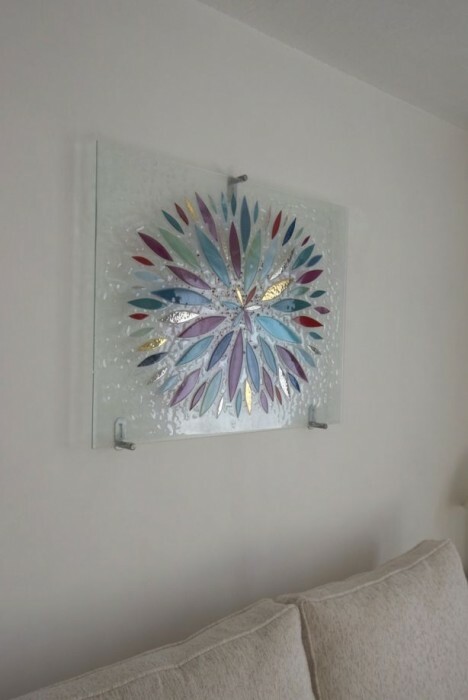 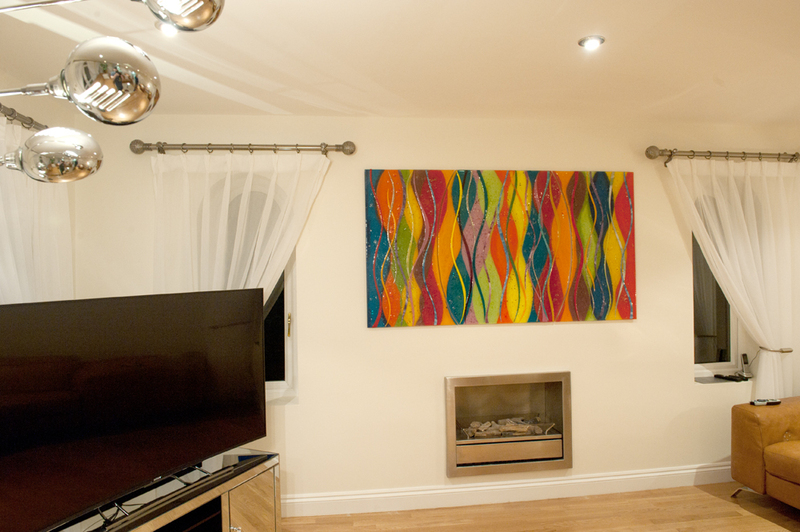 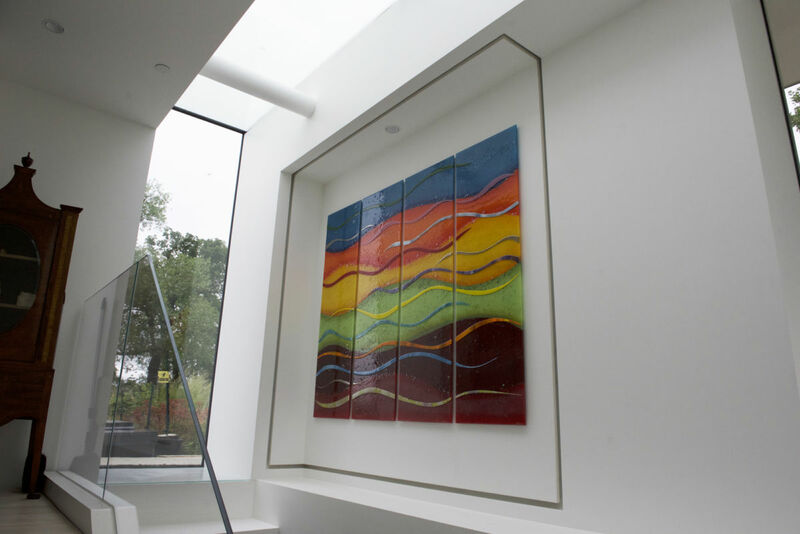 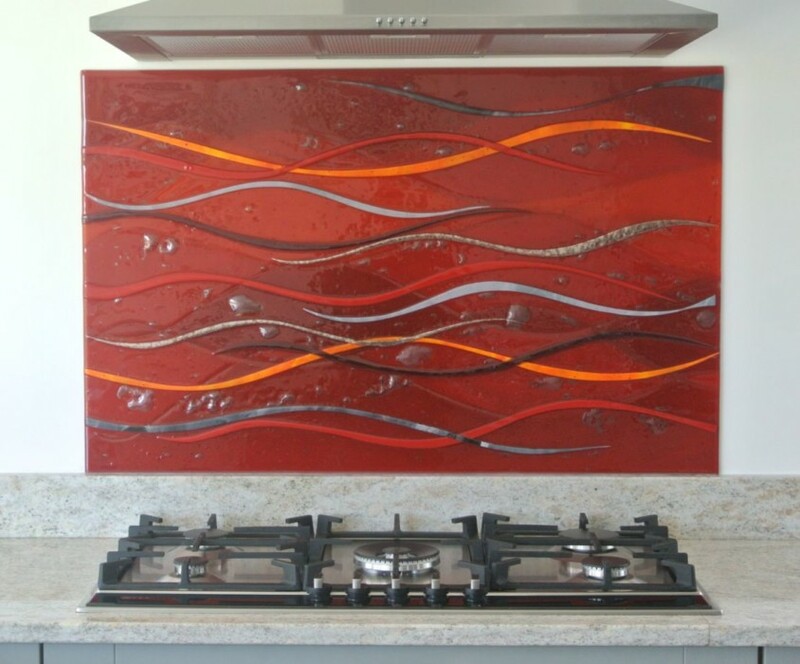 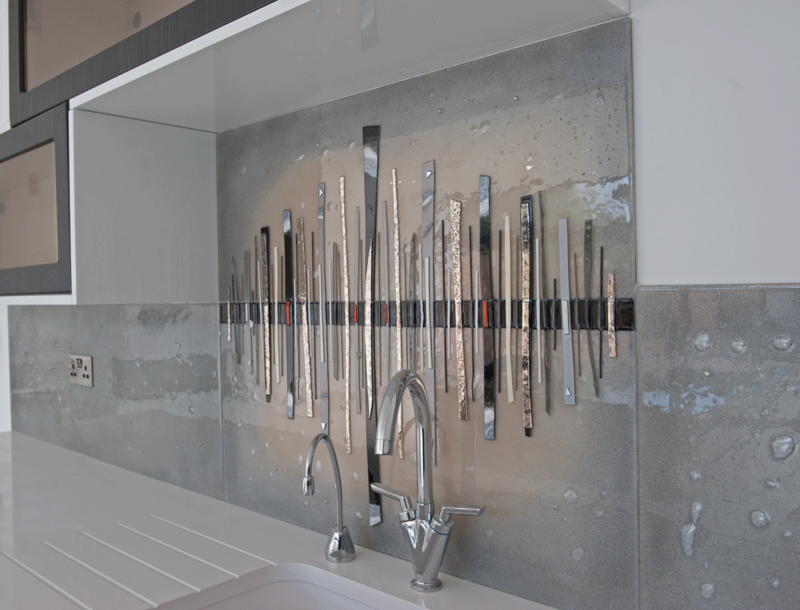 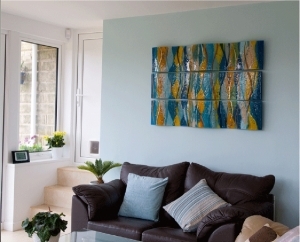 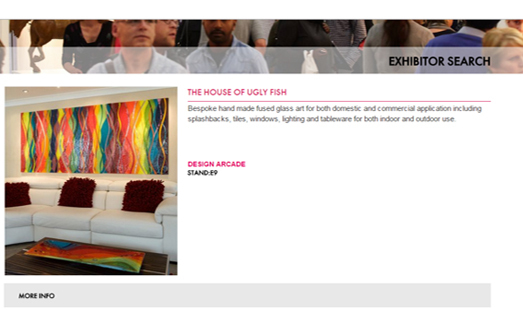 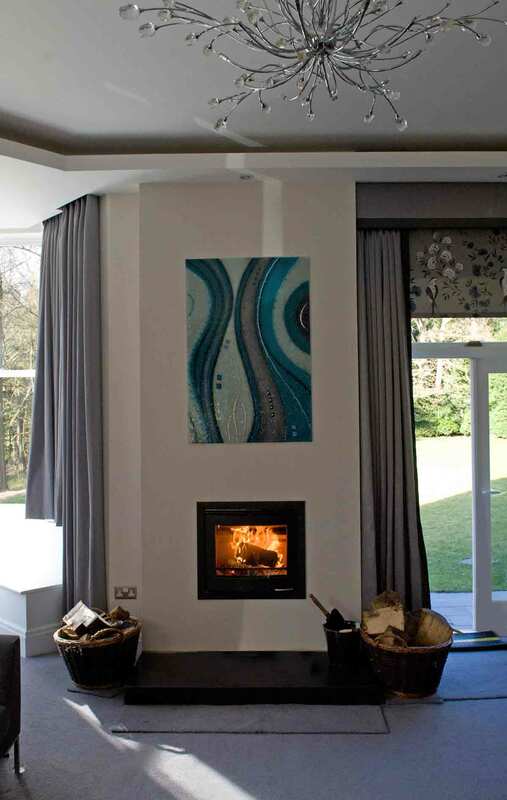 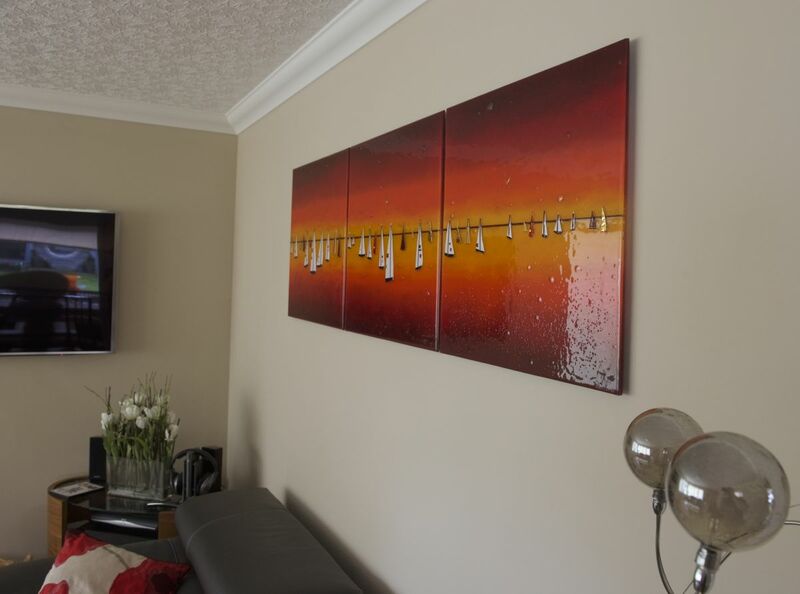 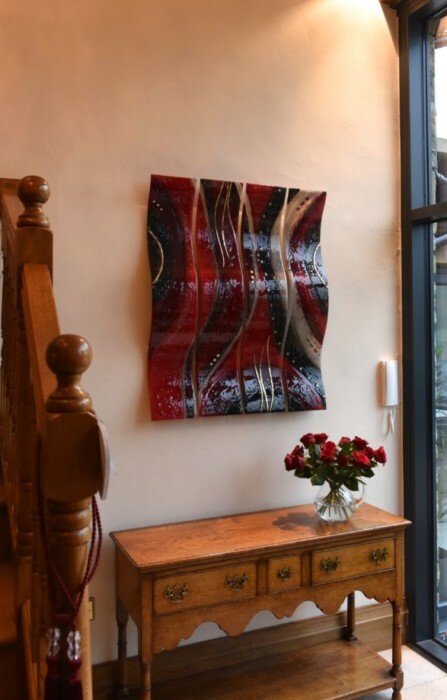 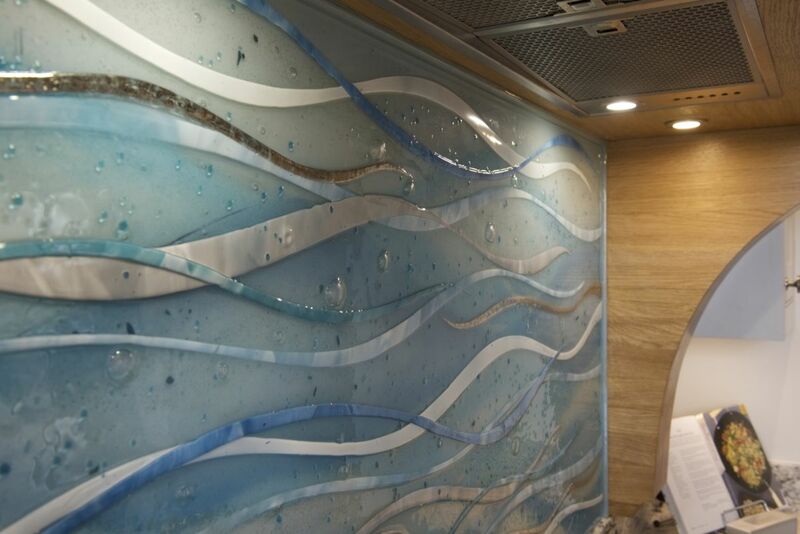 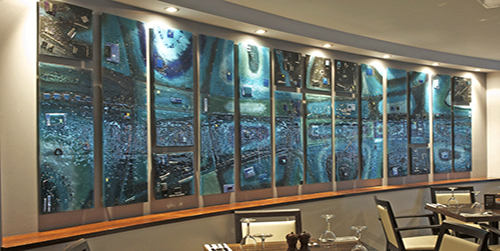 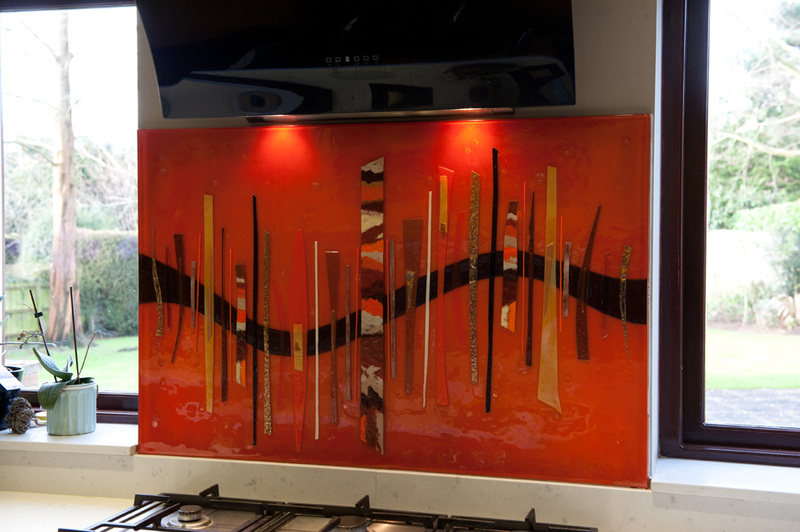 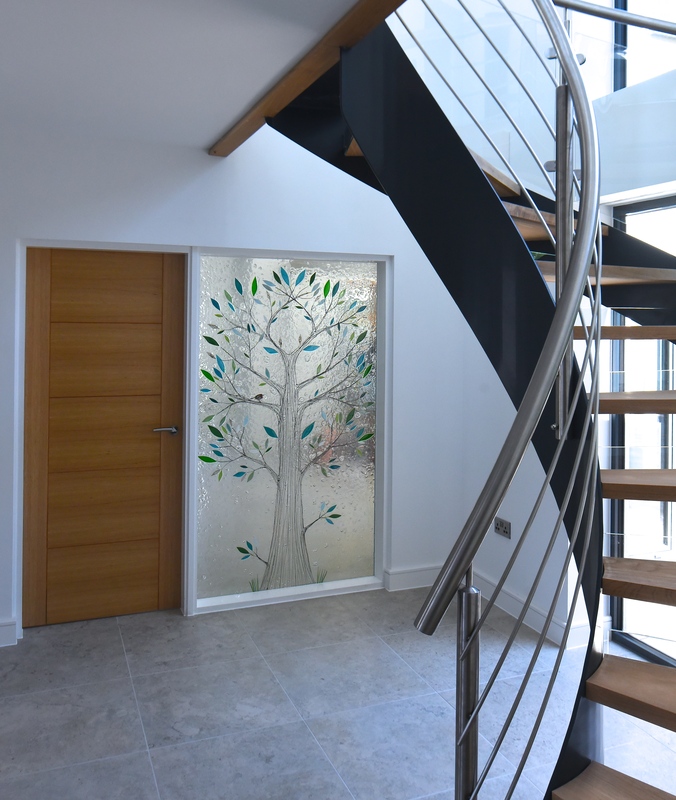 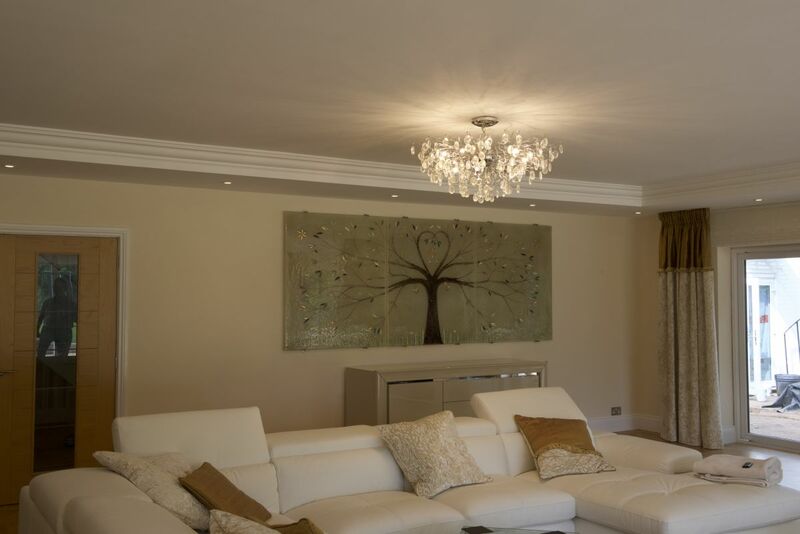 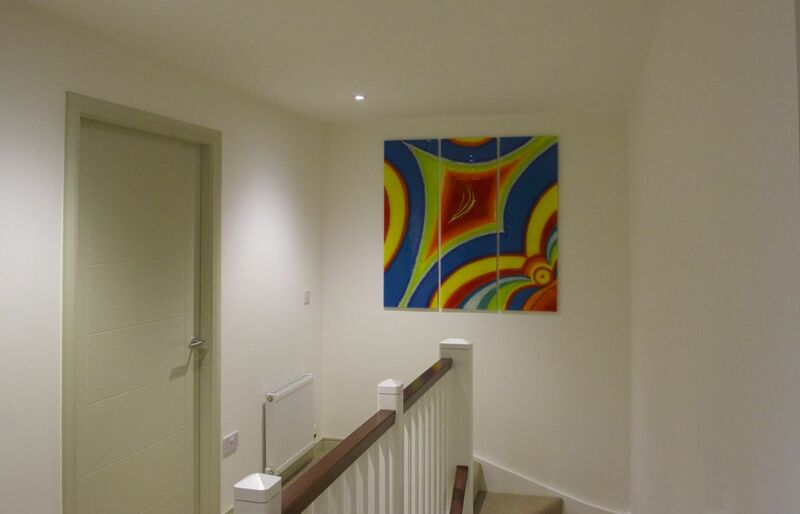 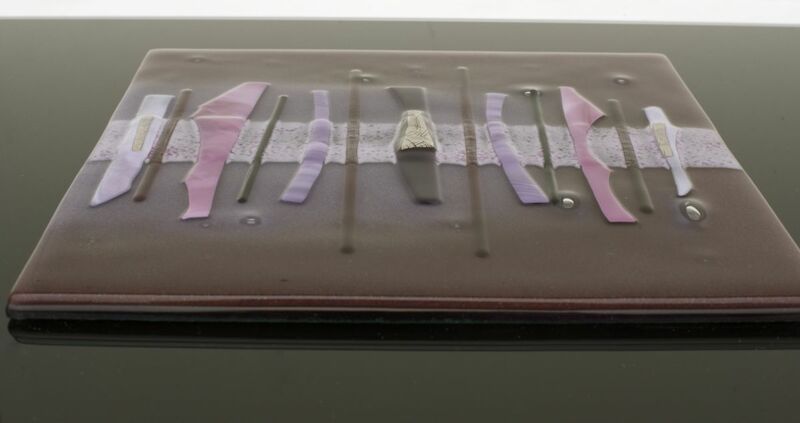 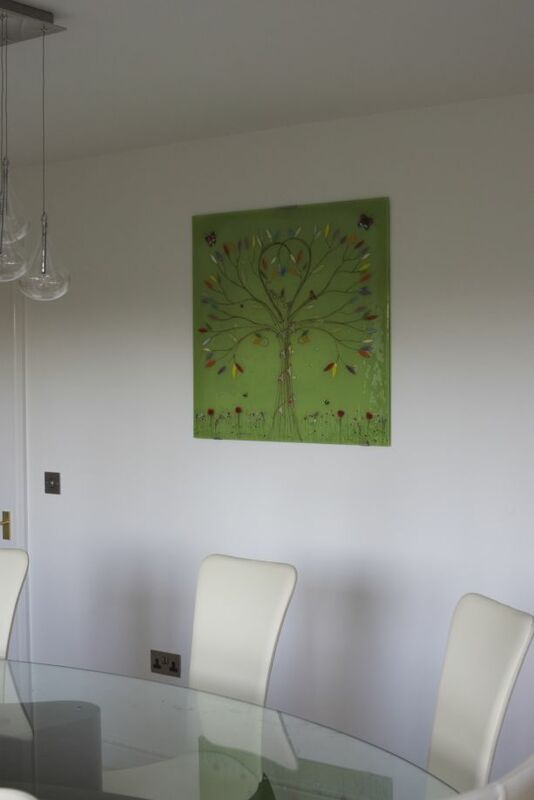 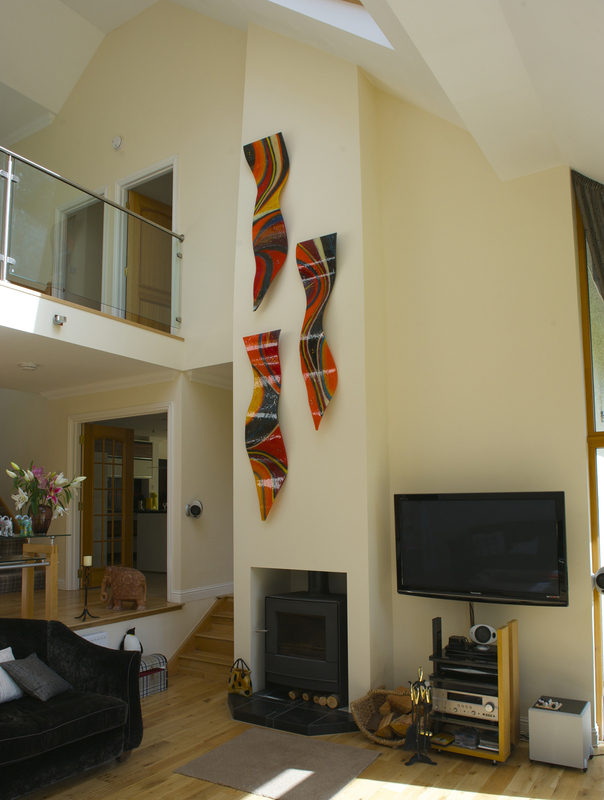 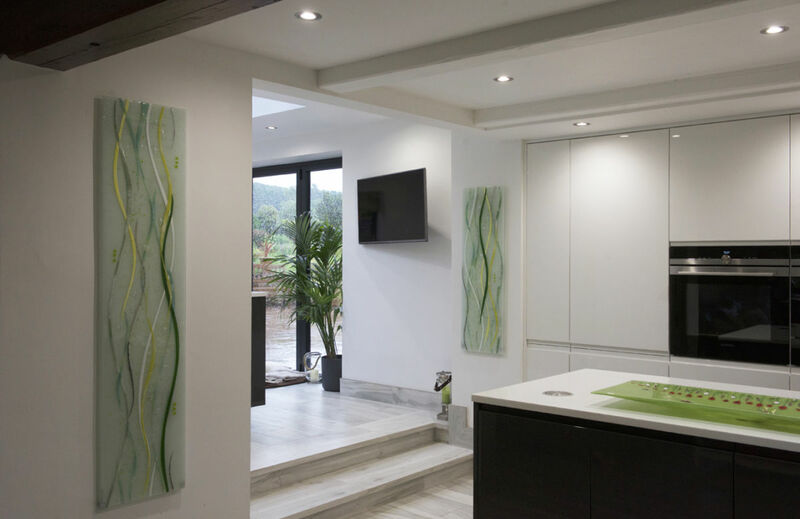 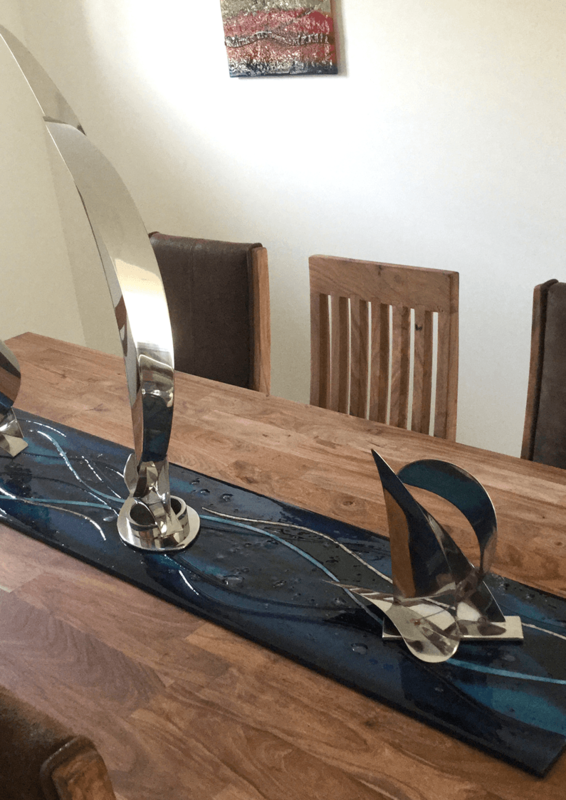 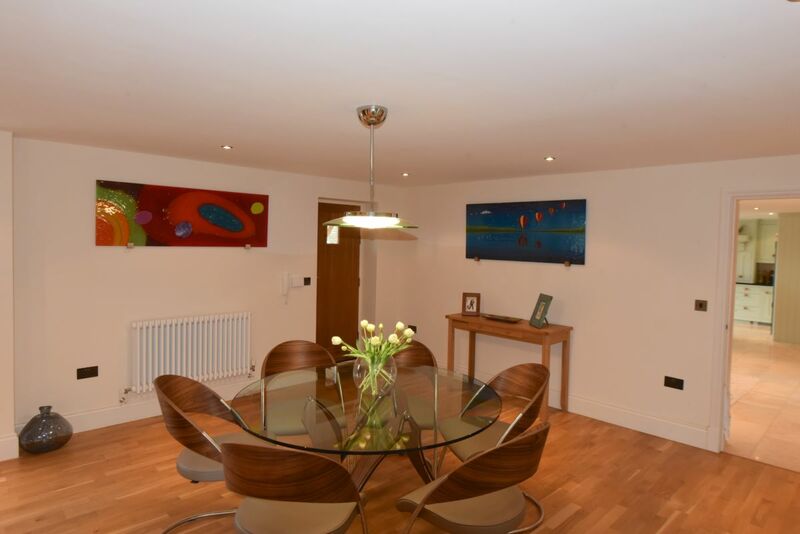 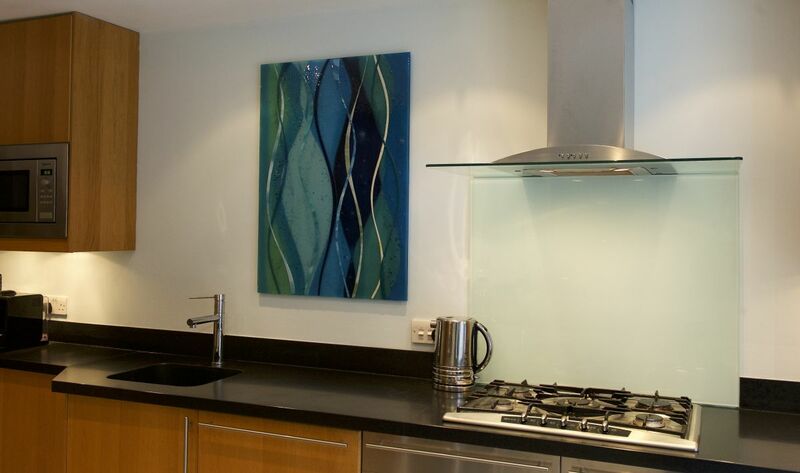 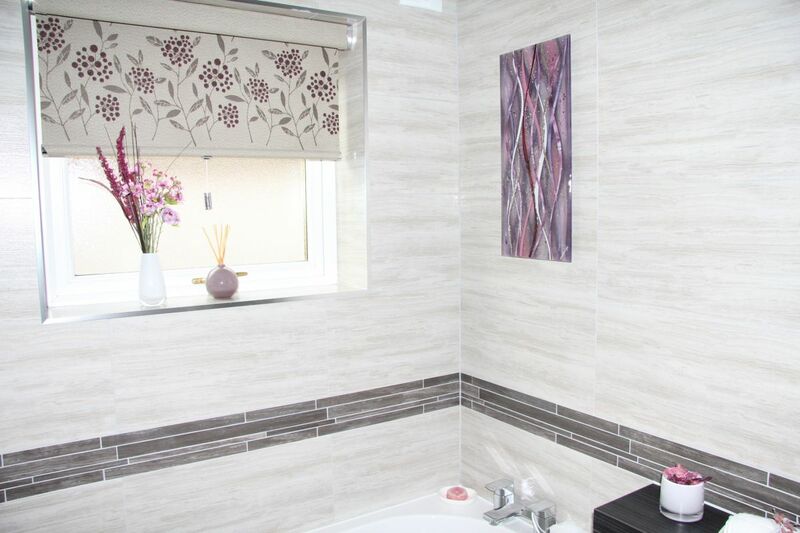 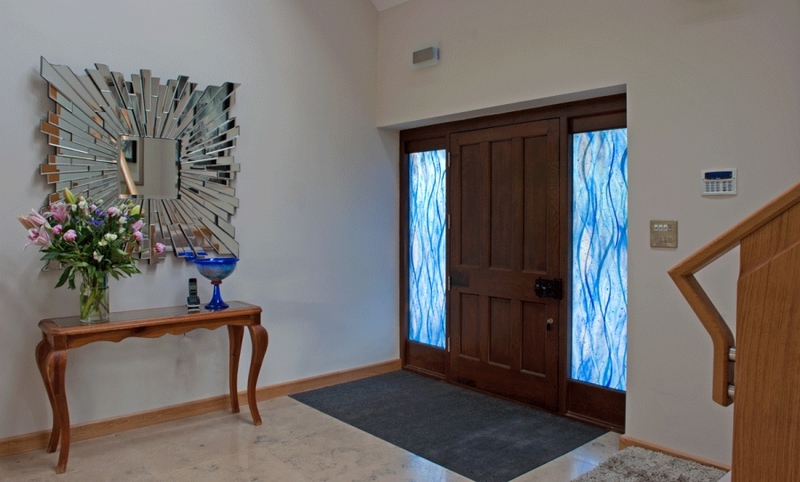 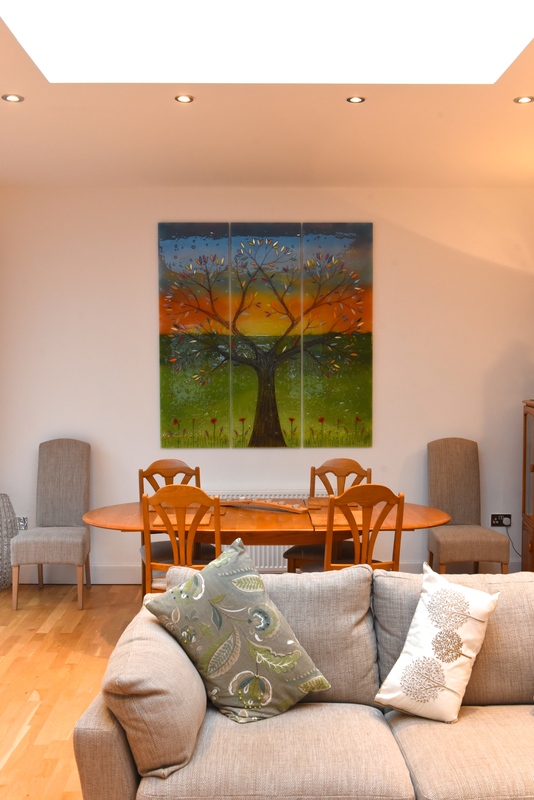 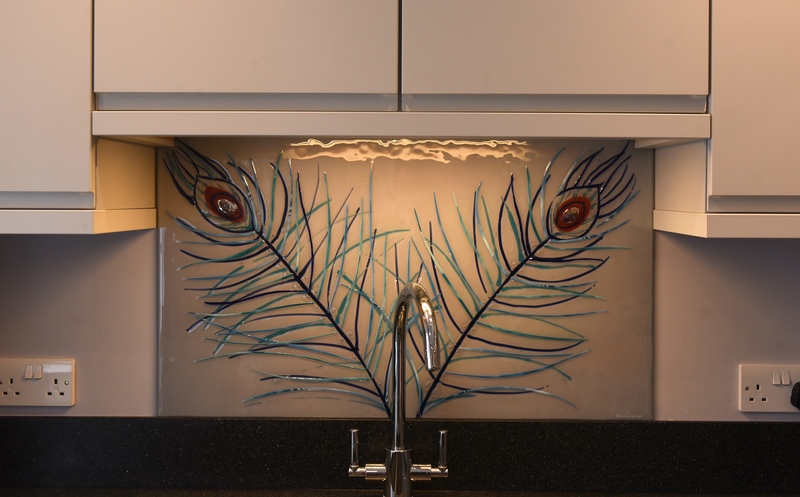 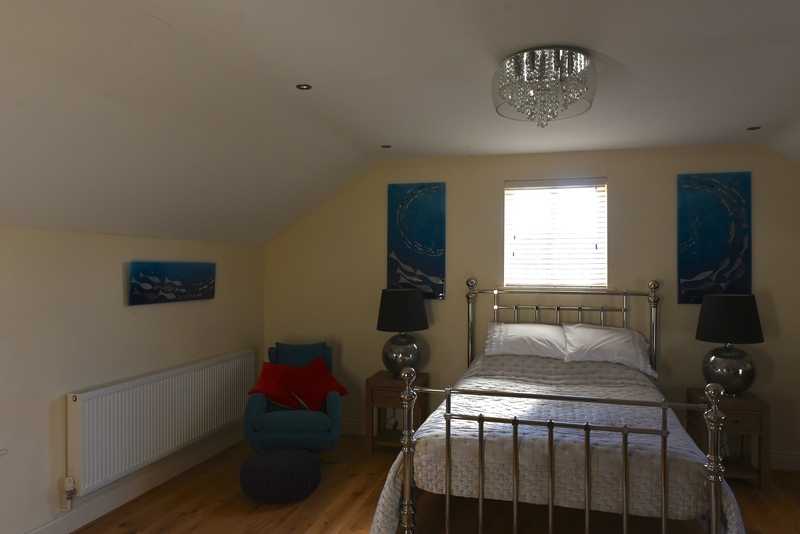 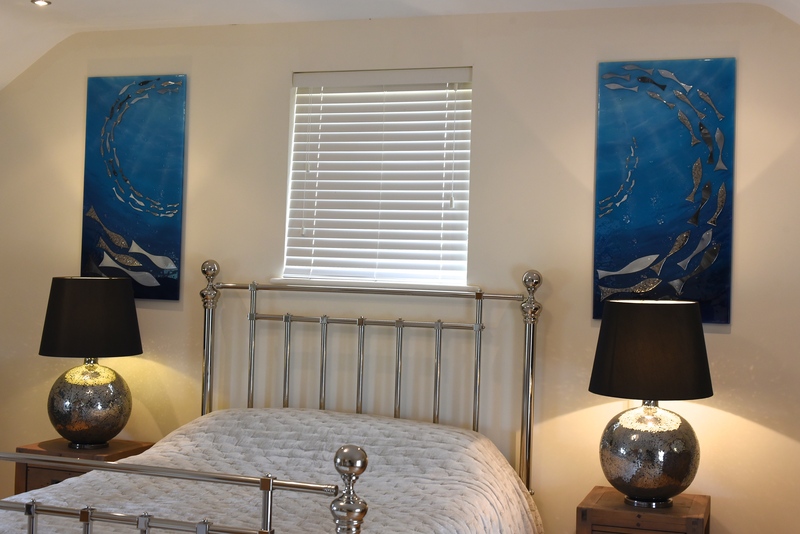 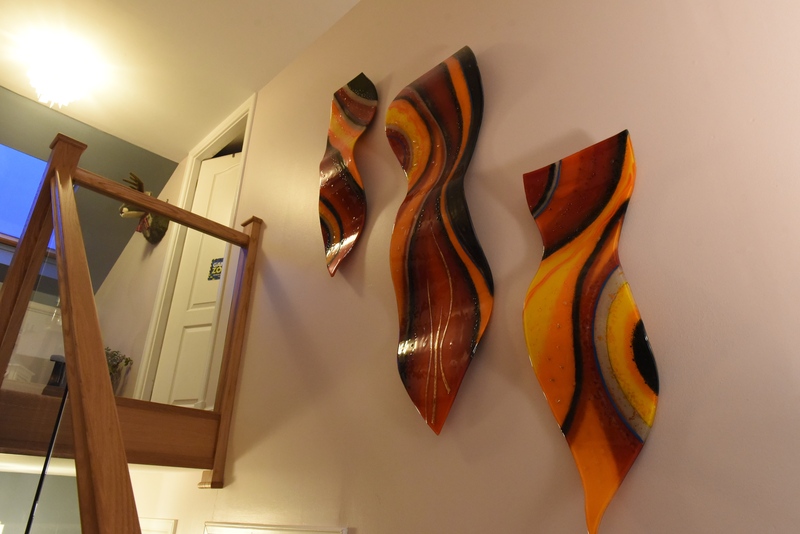 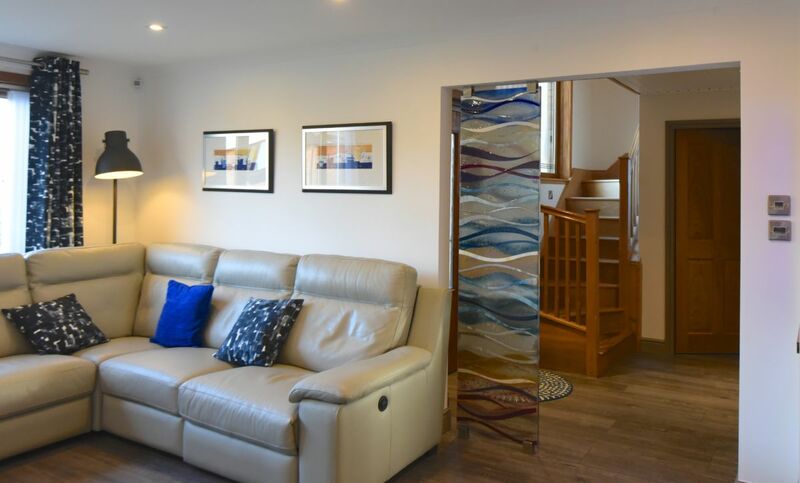 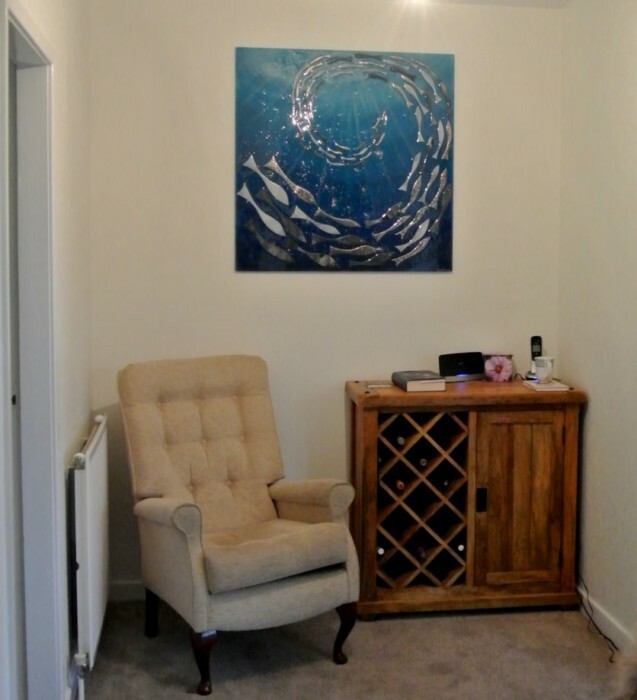 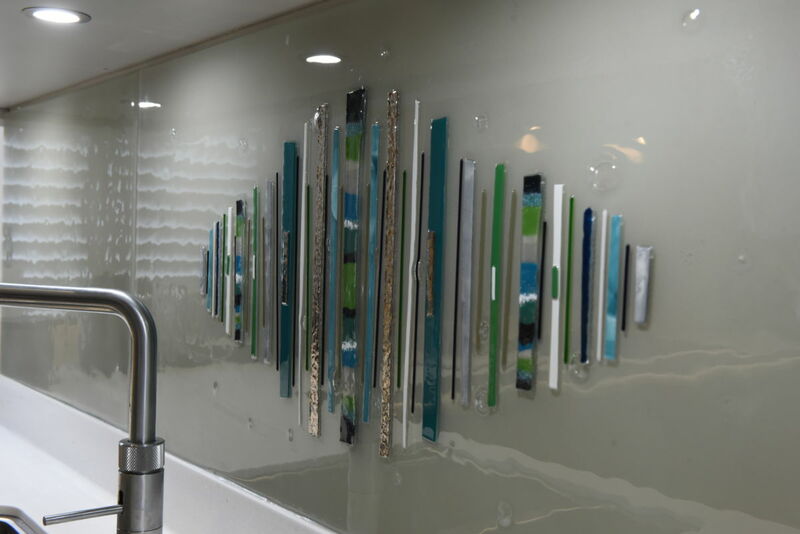 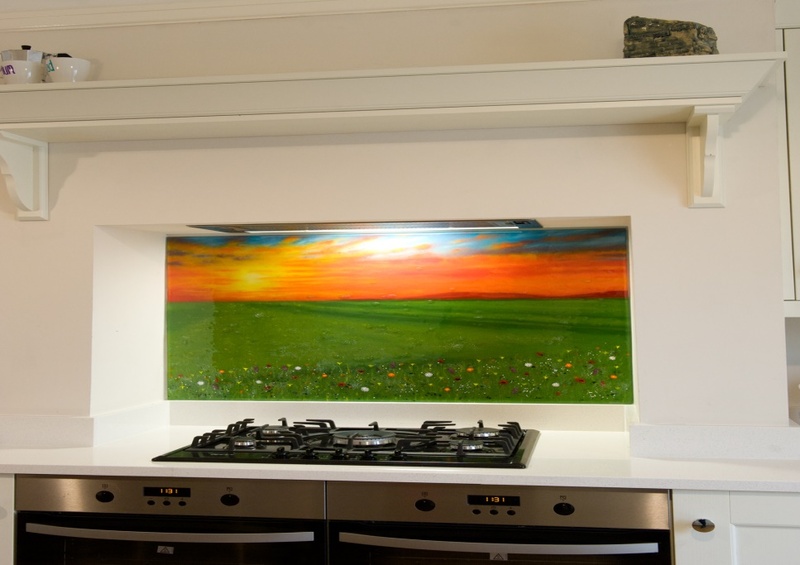 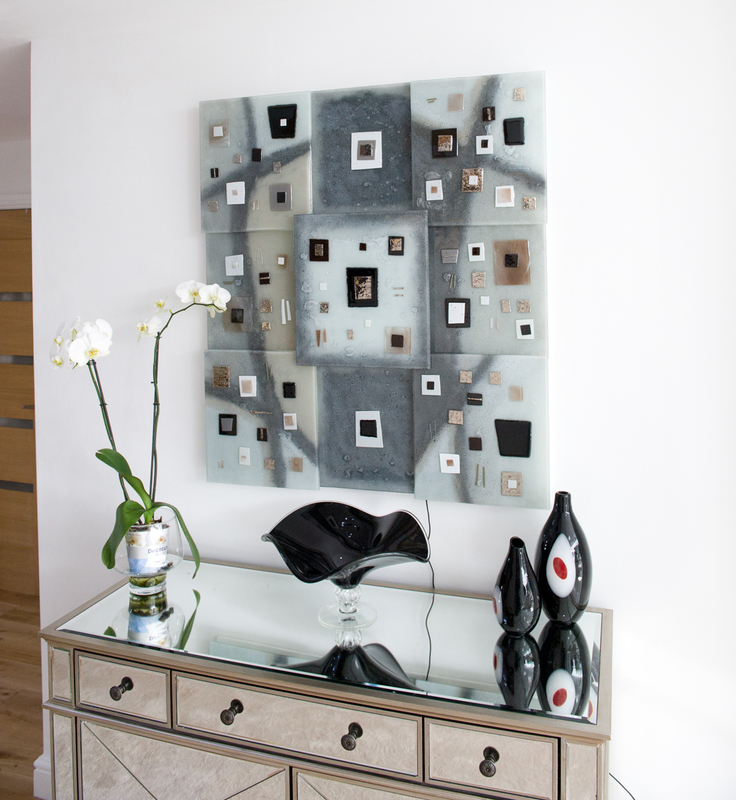 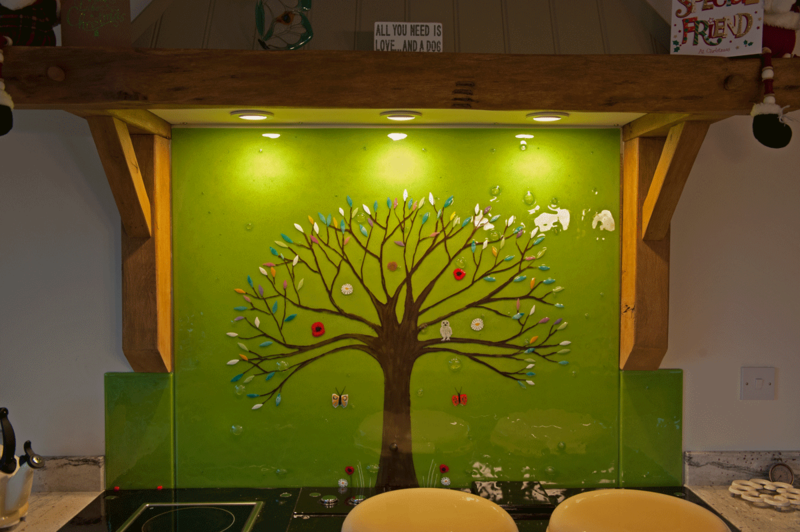 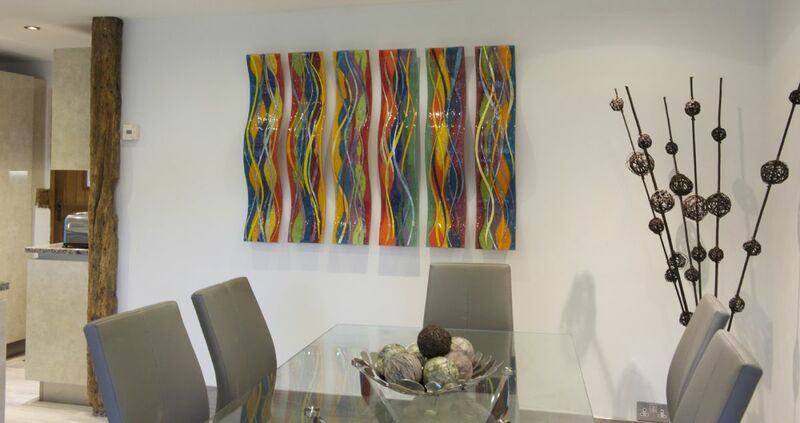 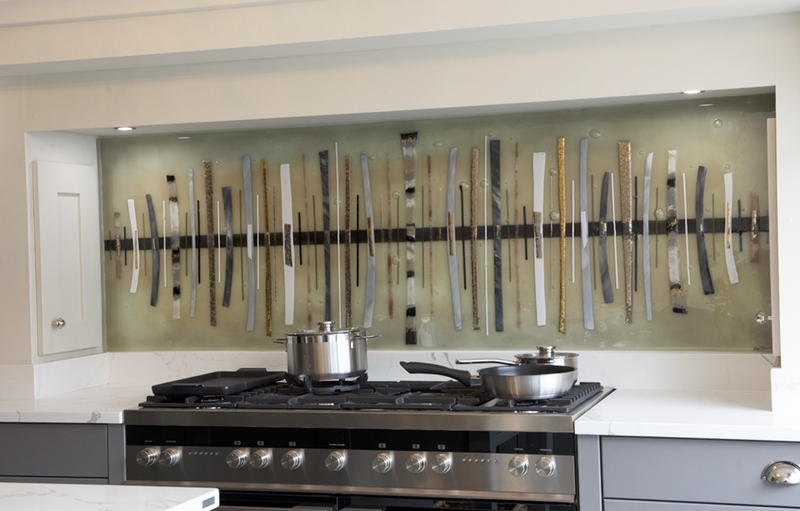 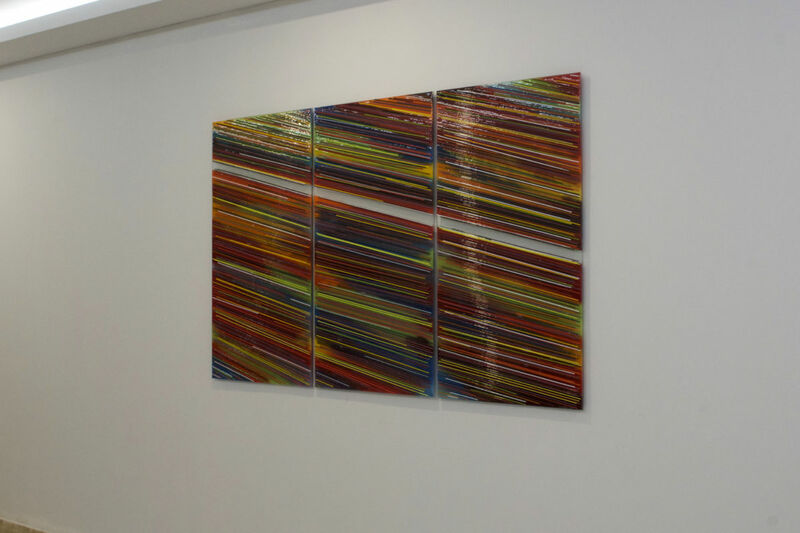 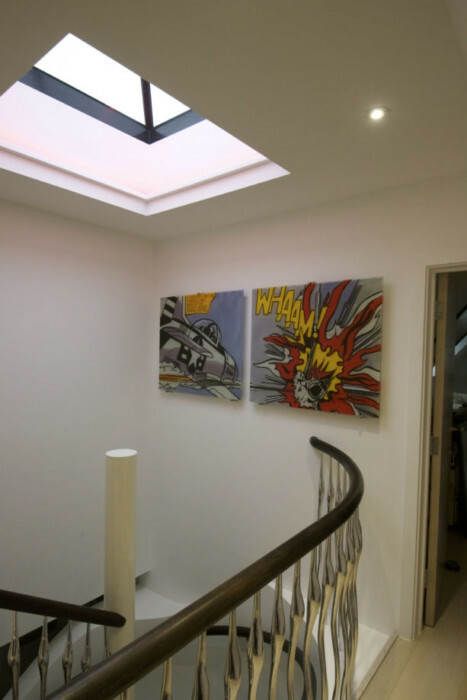 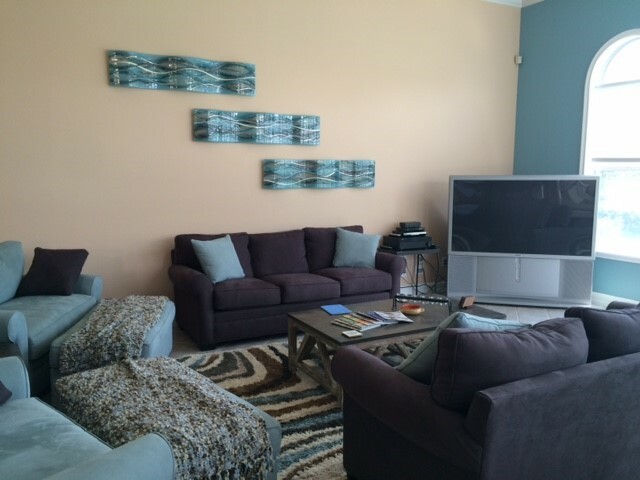 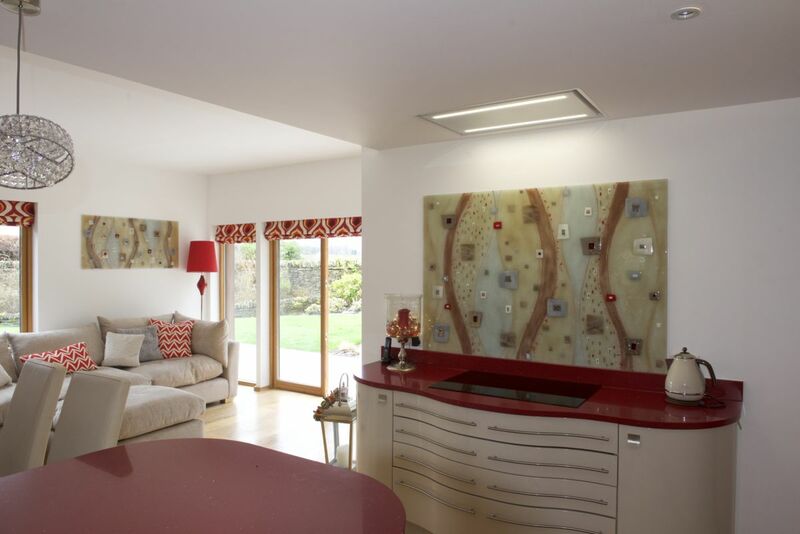 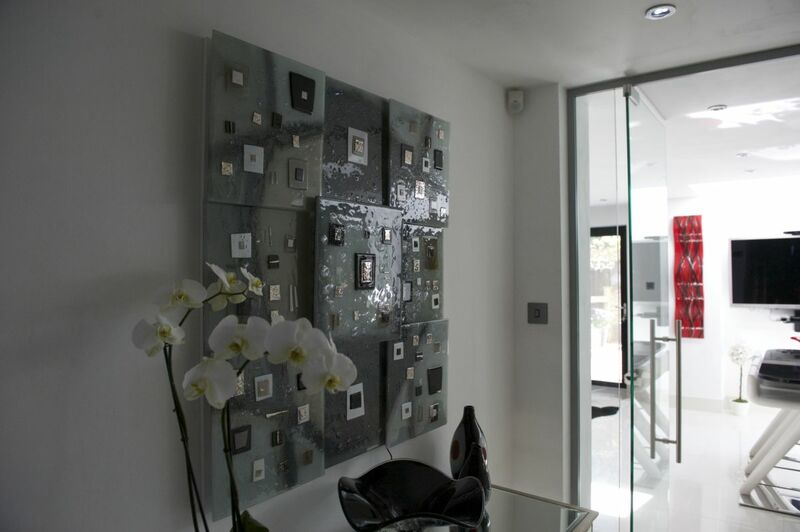 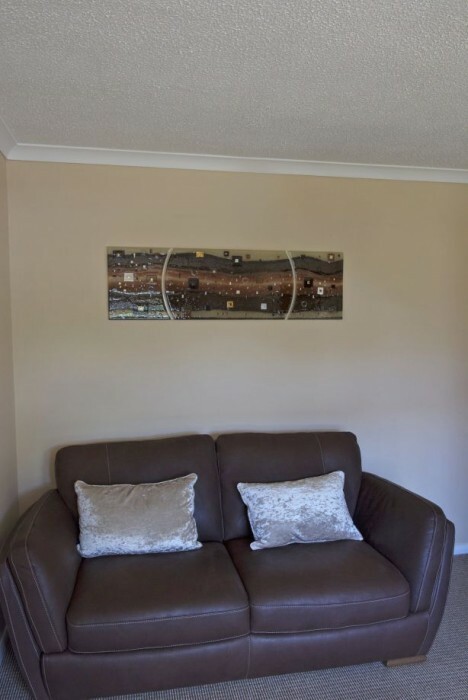 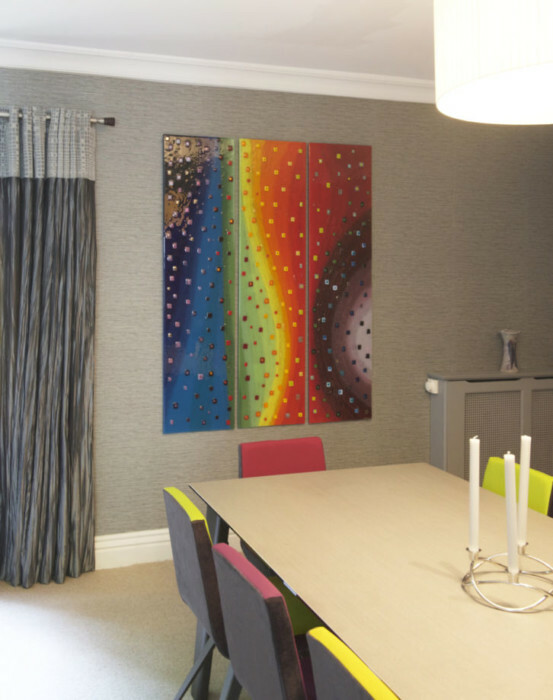 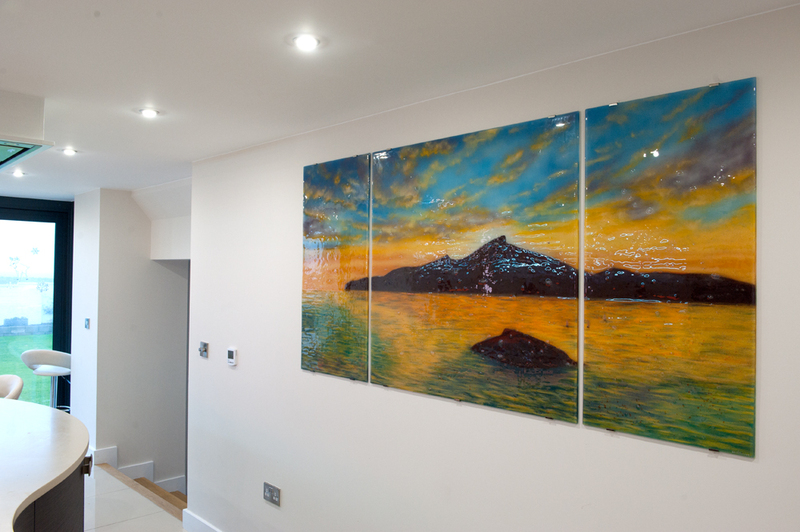 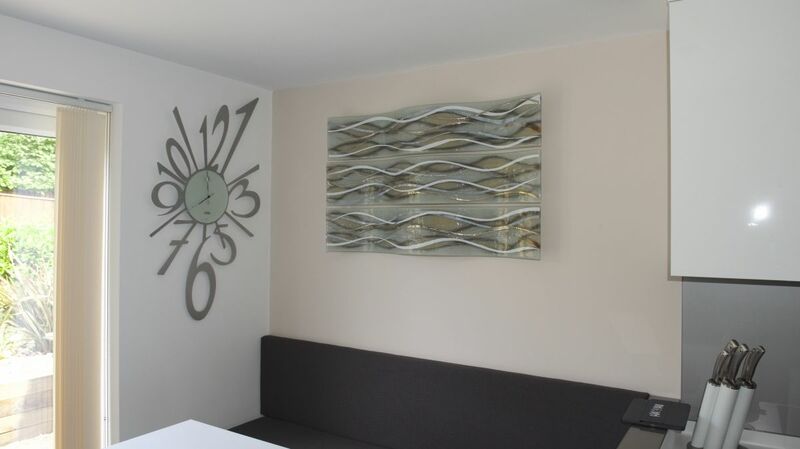 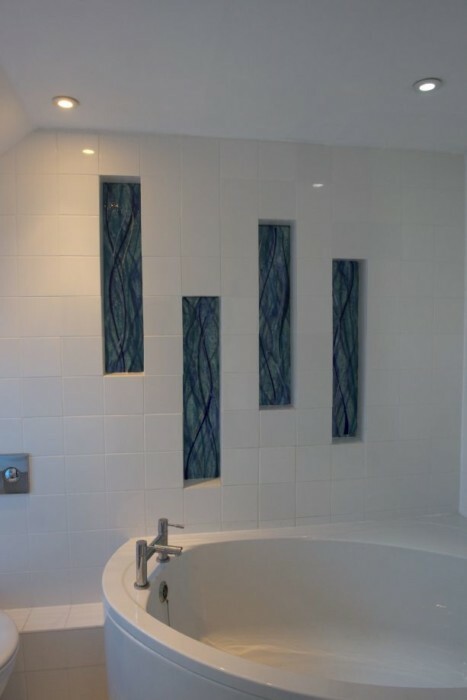 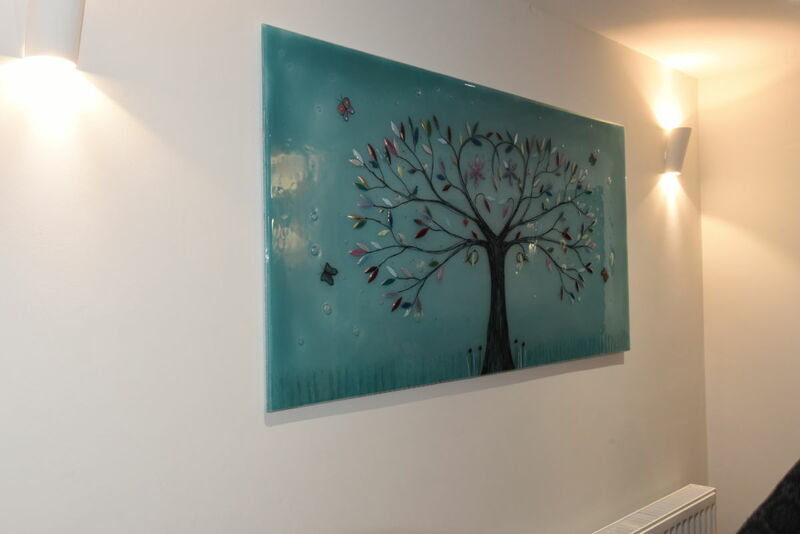 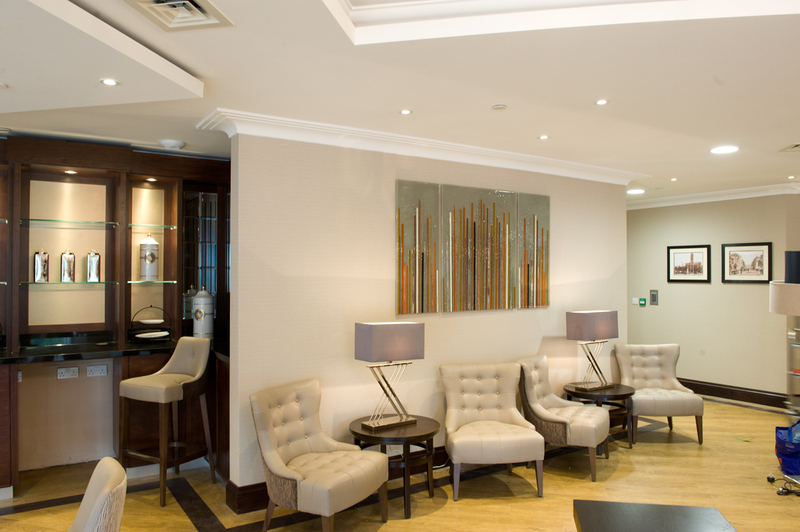 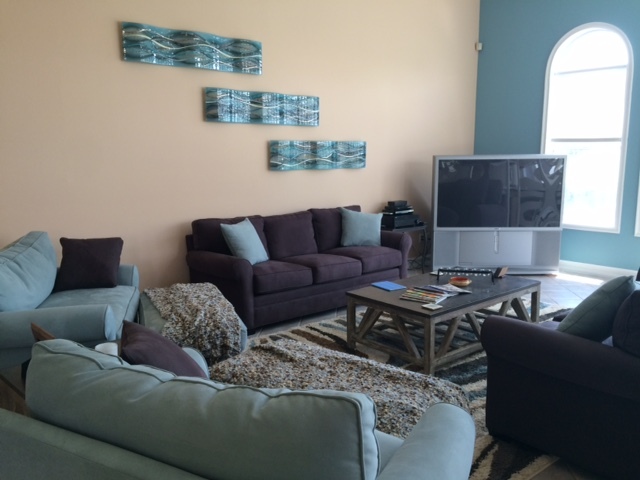 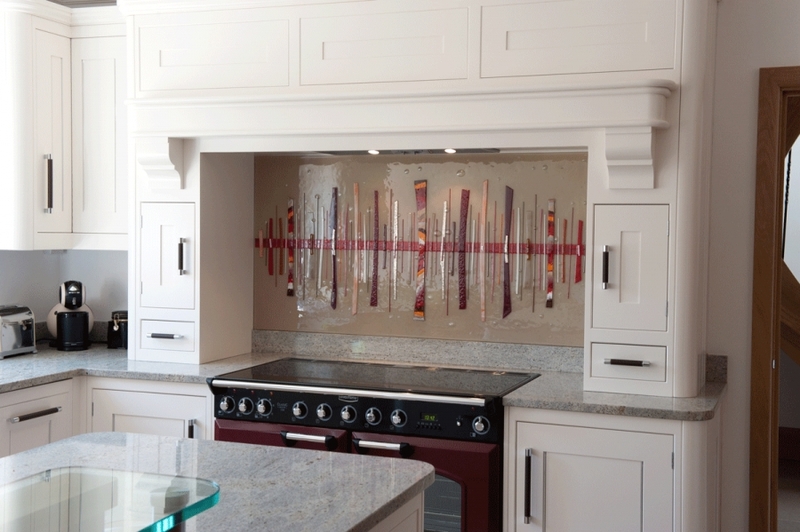 It definitely showcases how well our fused glass art can complement the existing décor in order to take it to that next level, so take a look! 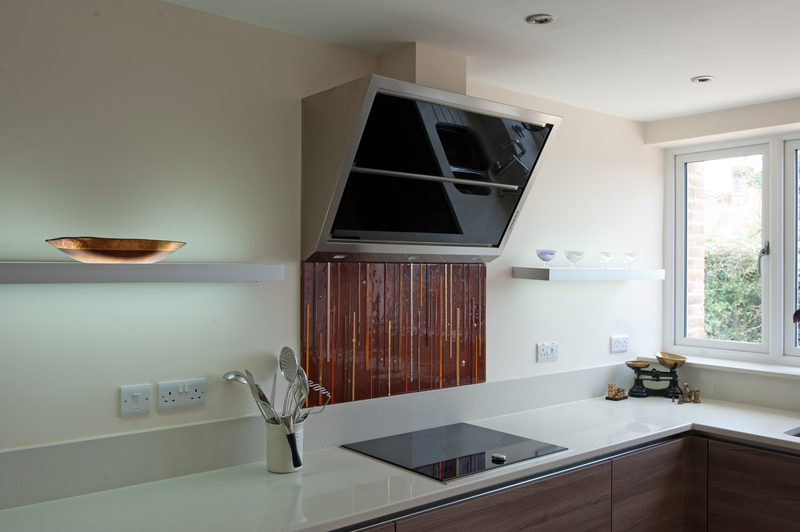 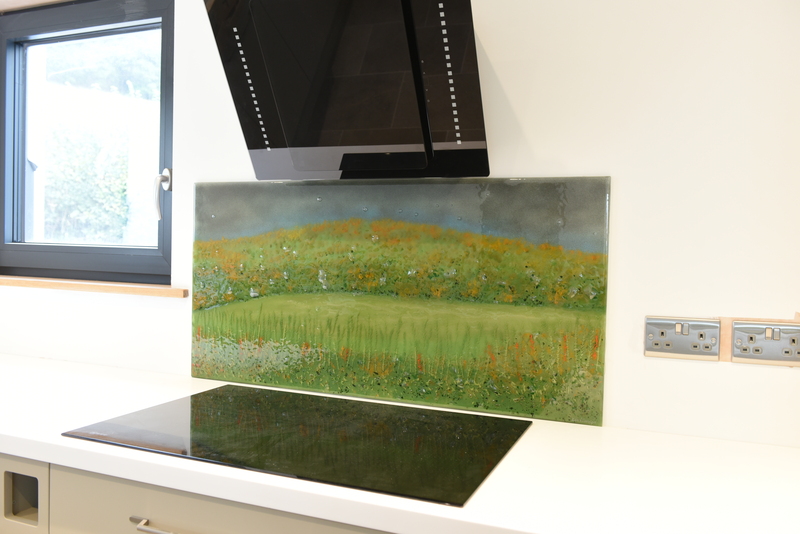 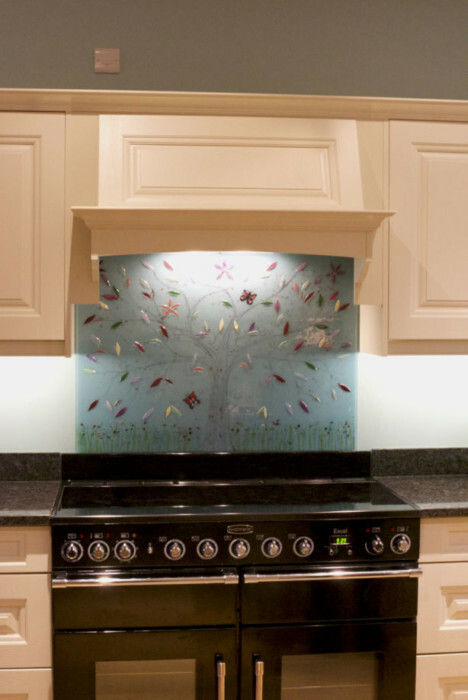 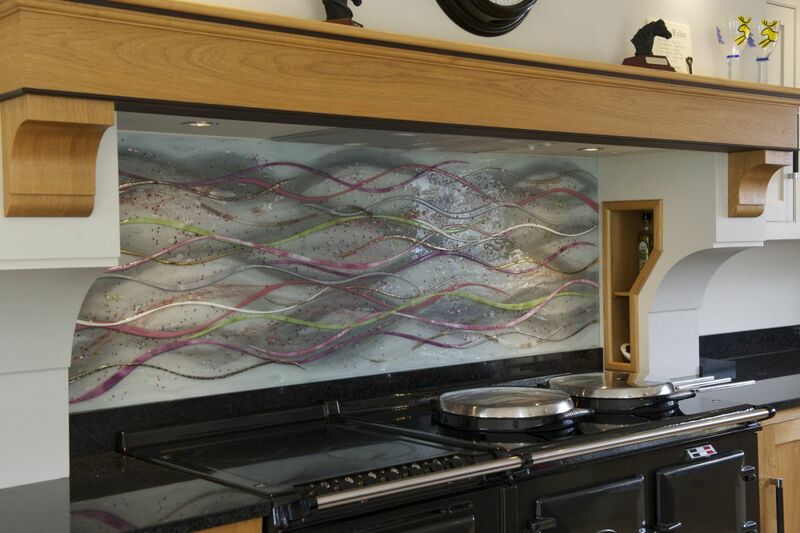 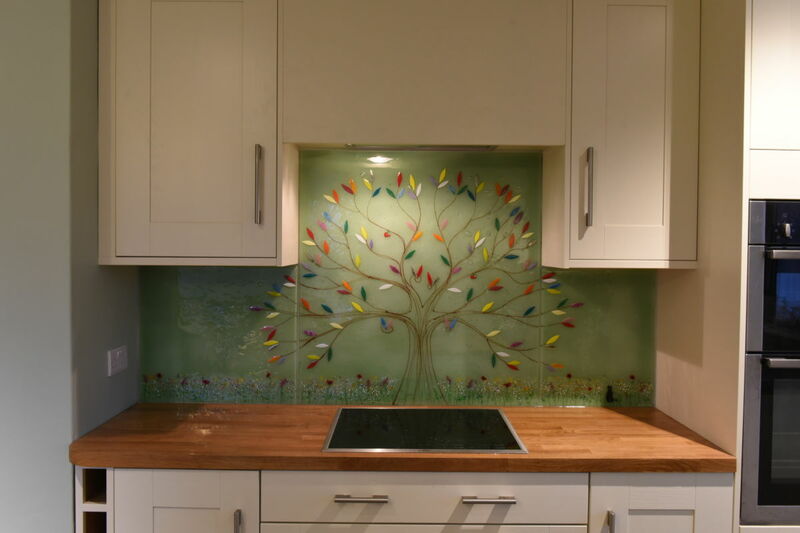 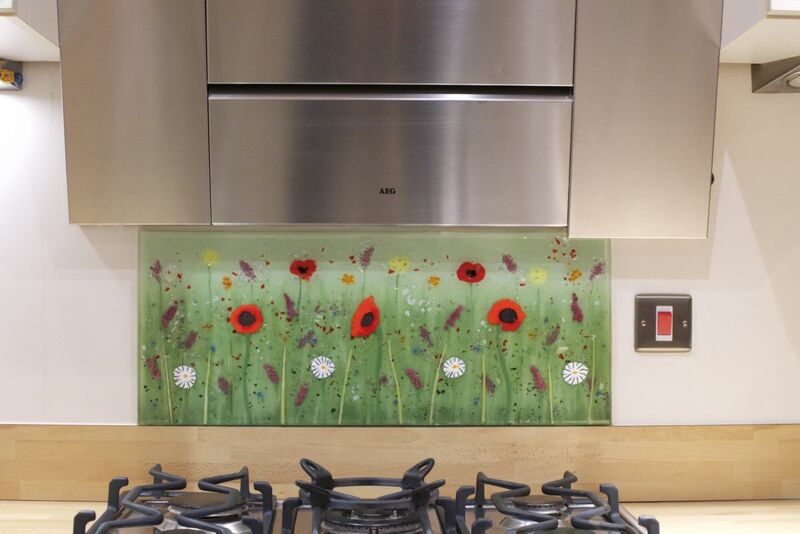 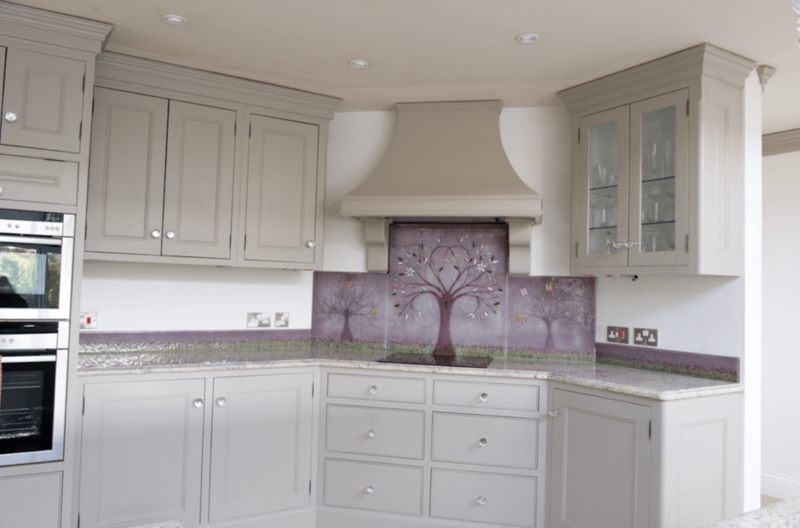 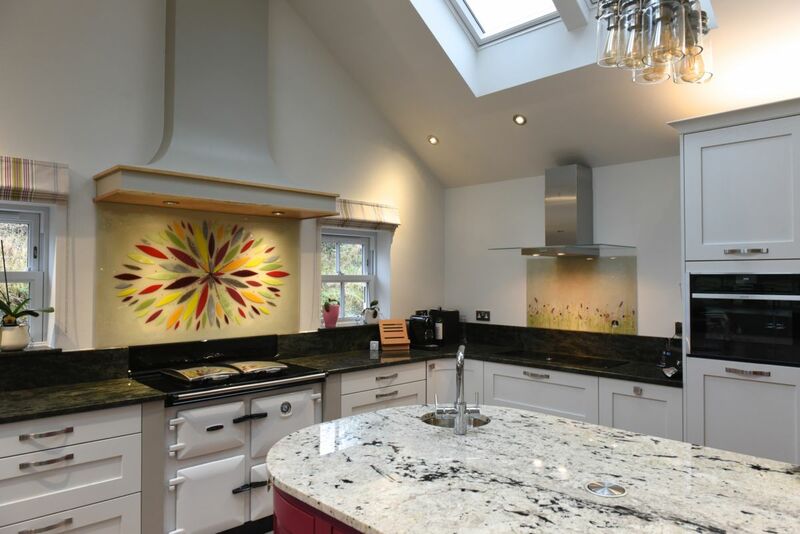 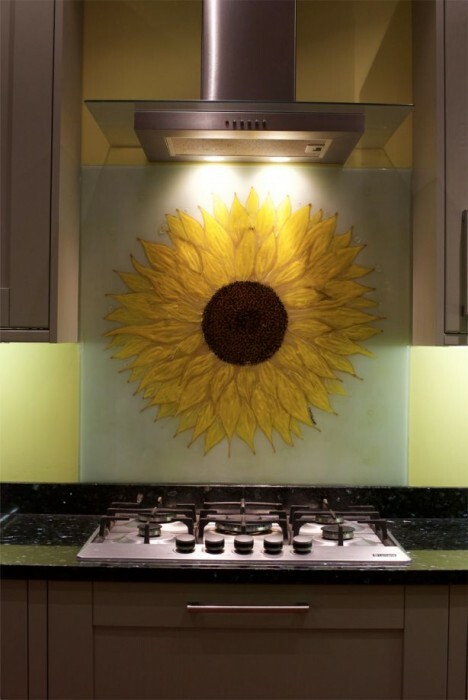 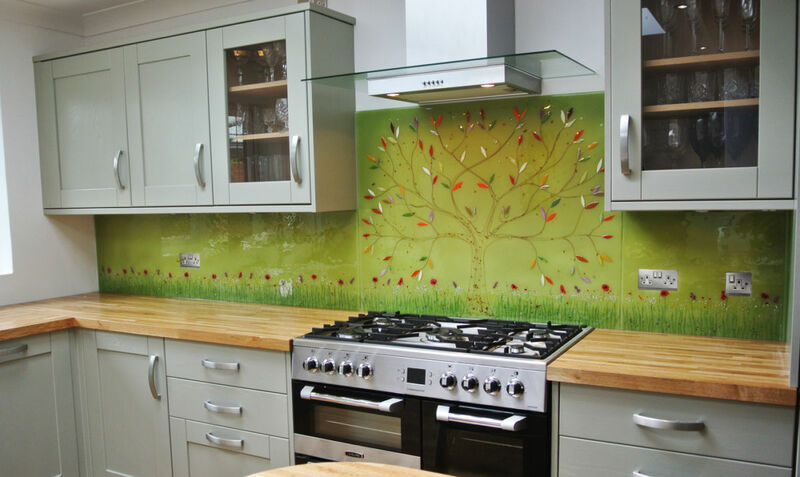 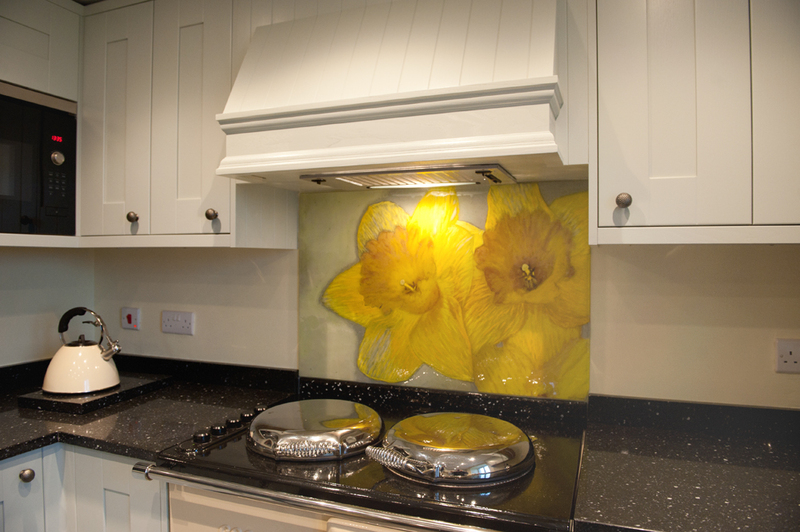 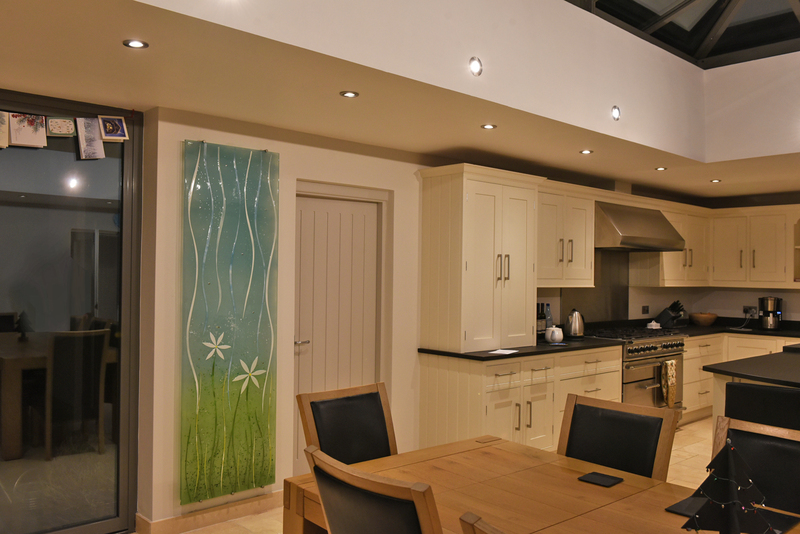 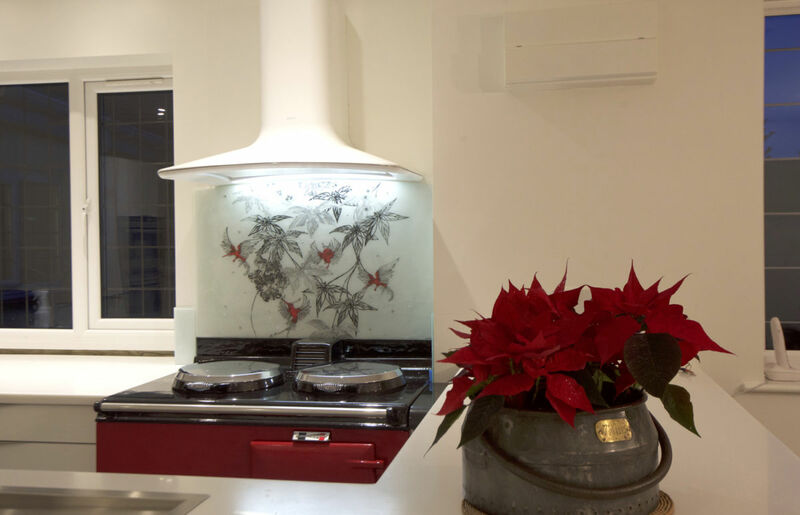 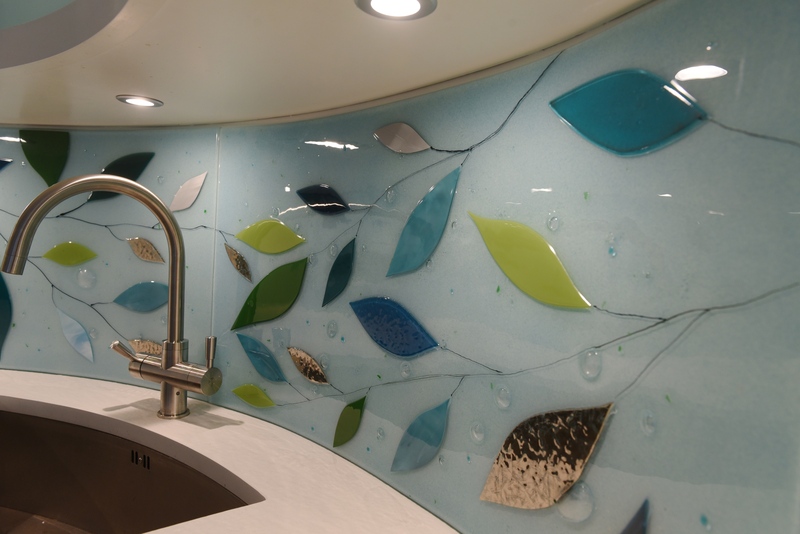 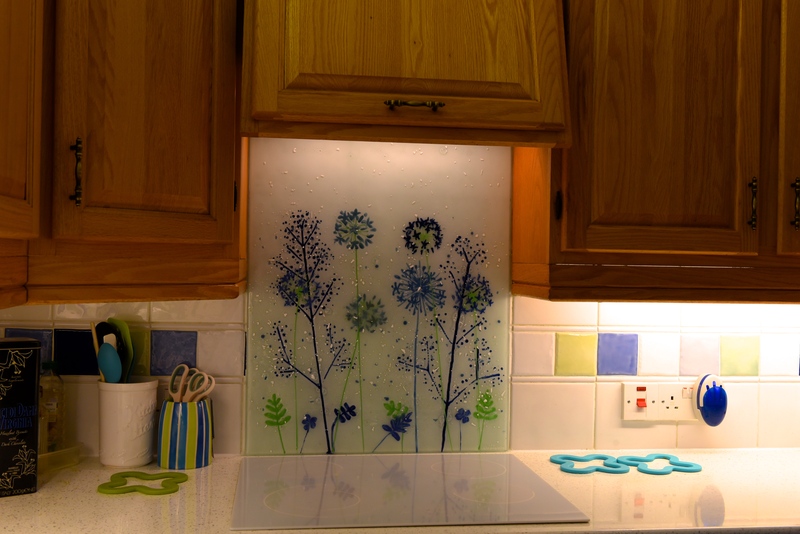 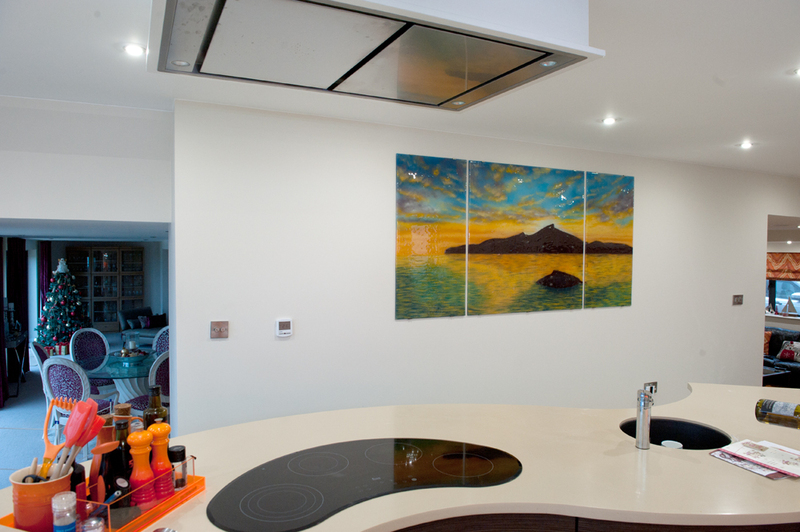 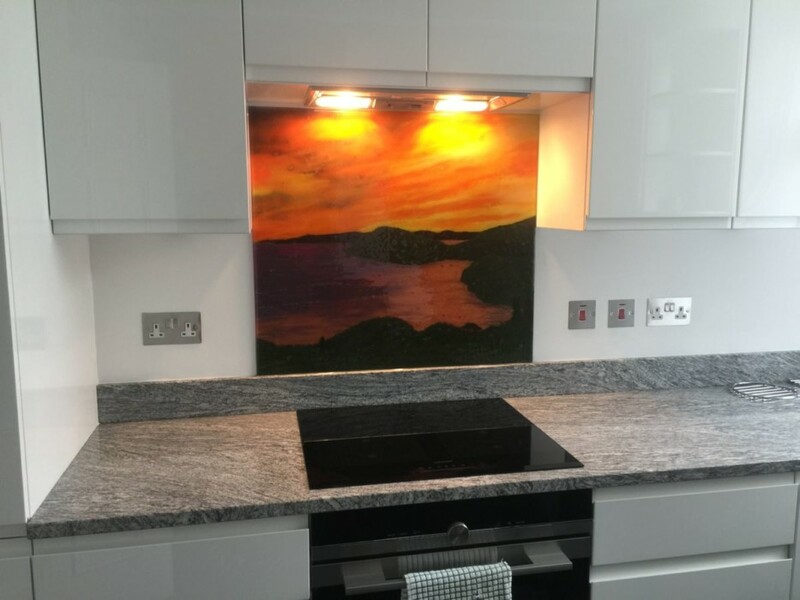 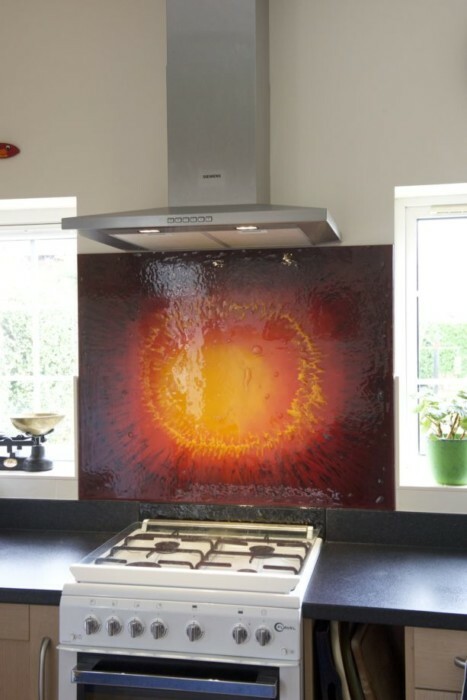 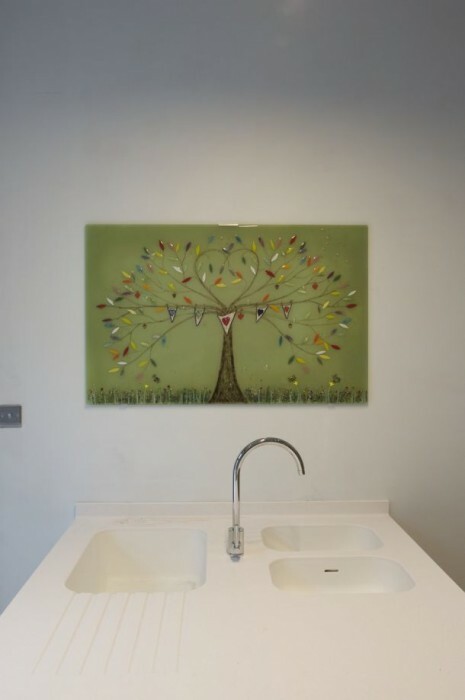 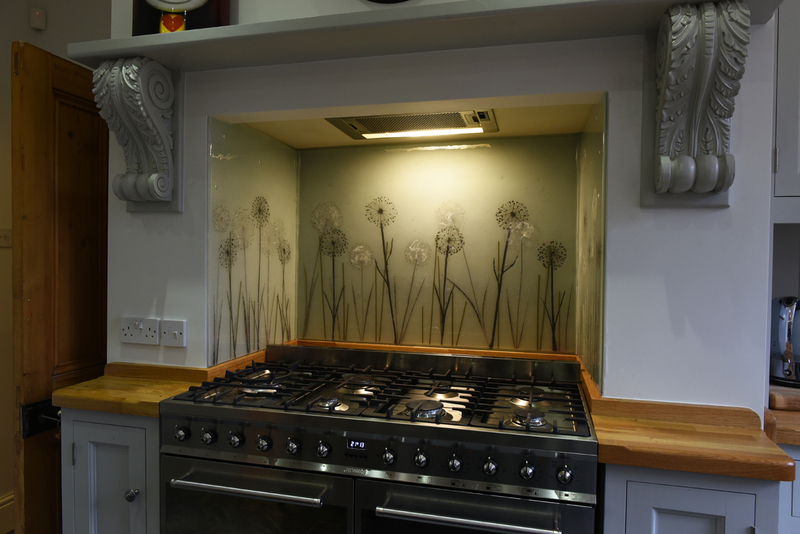 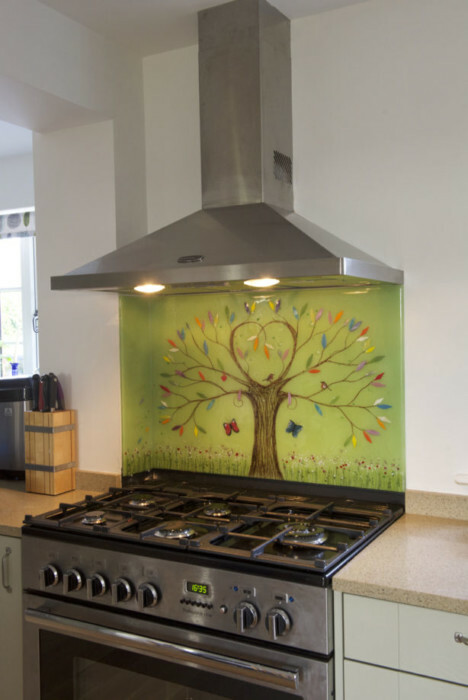 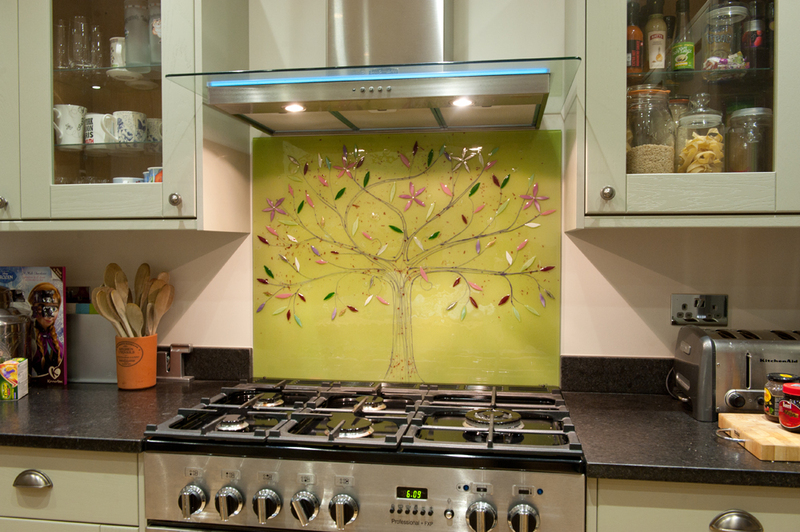 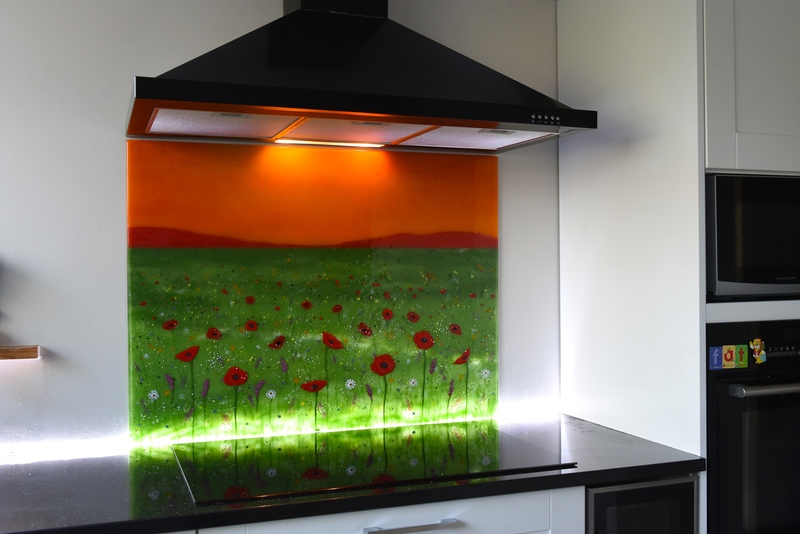 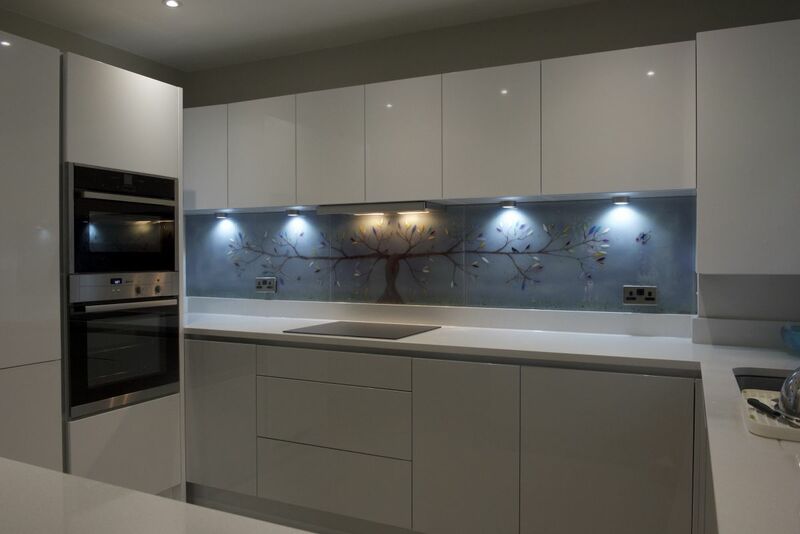 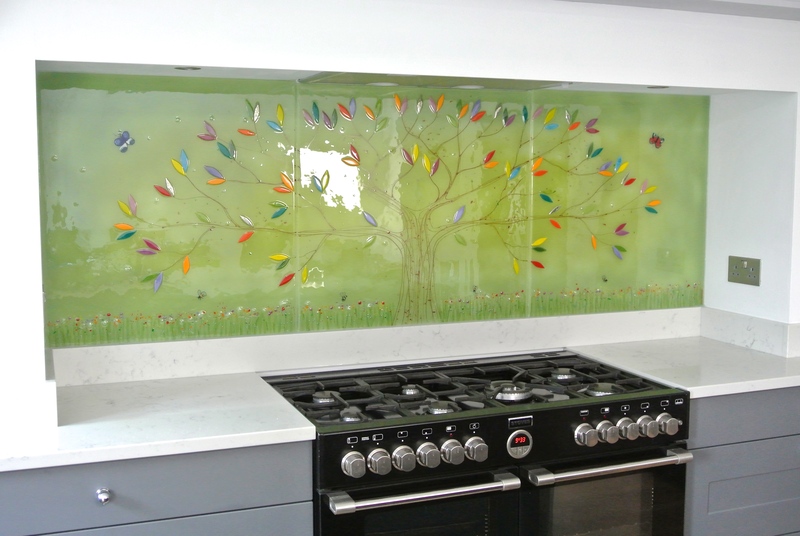 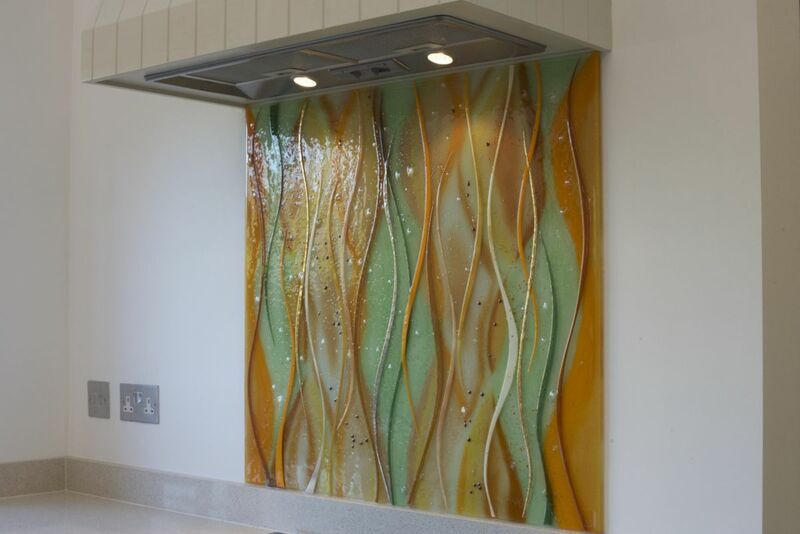 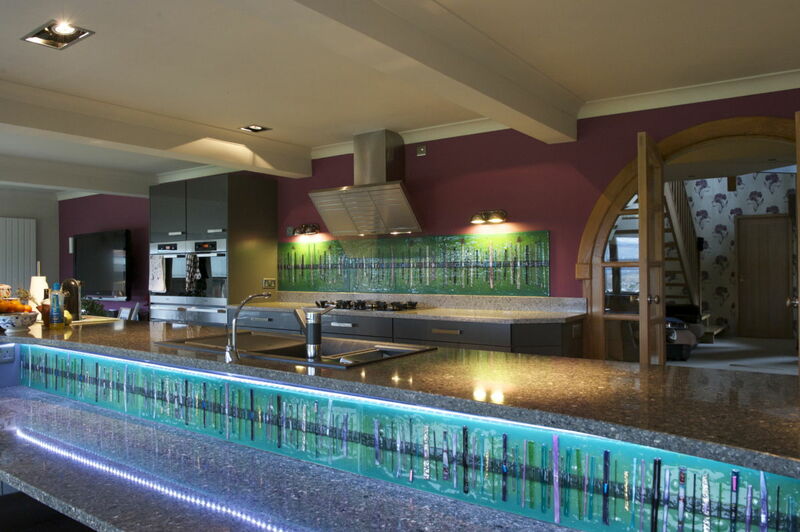 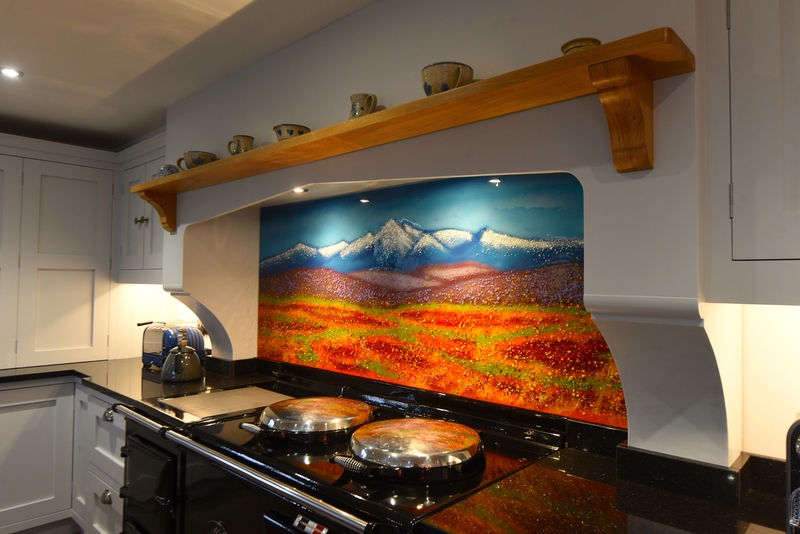 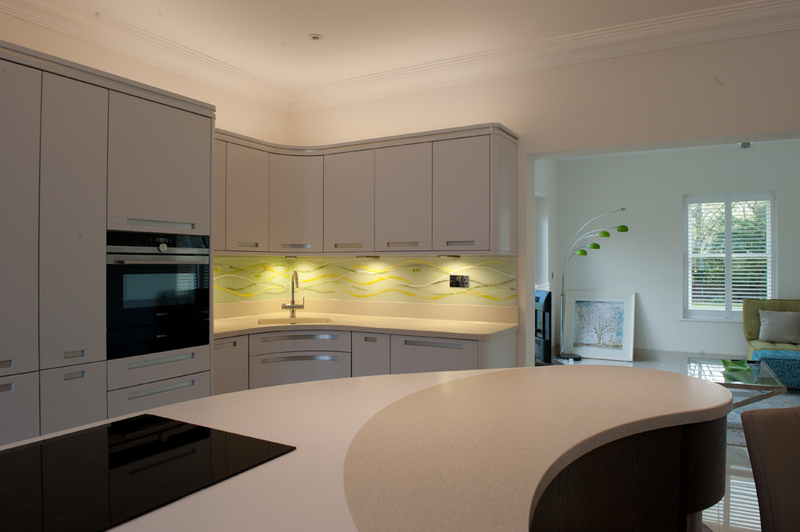 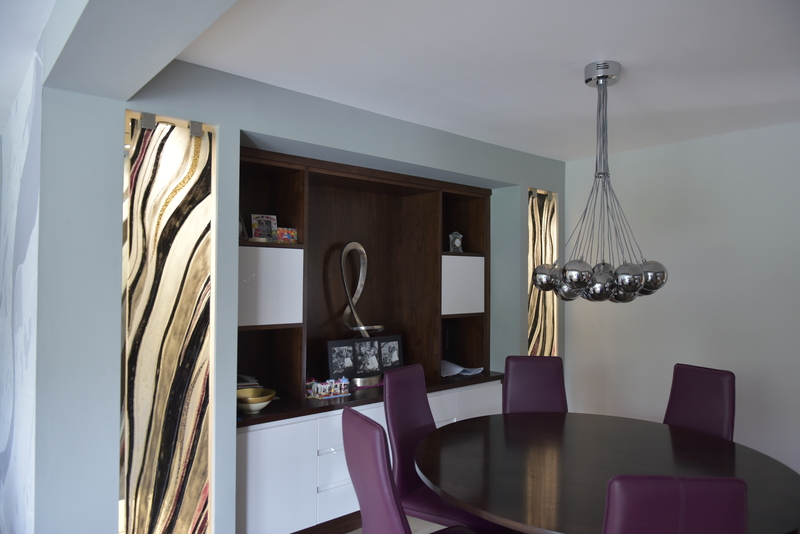 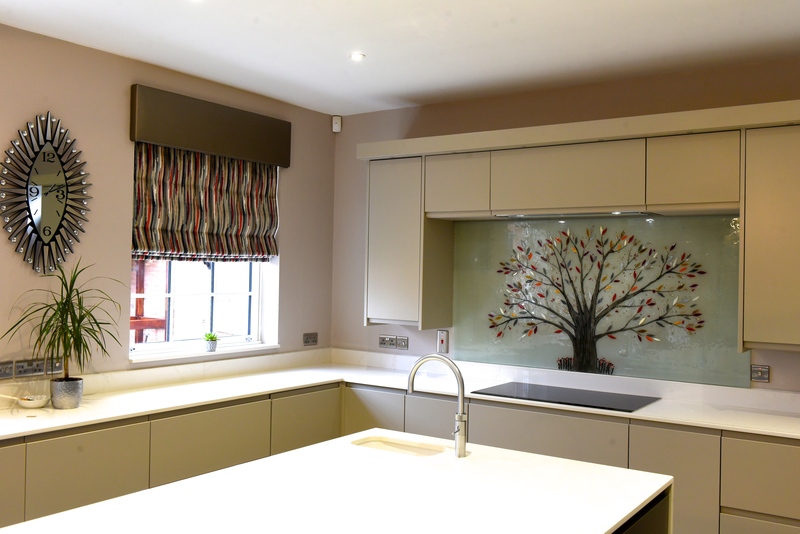 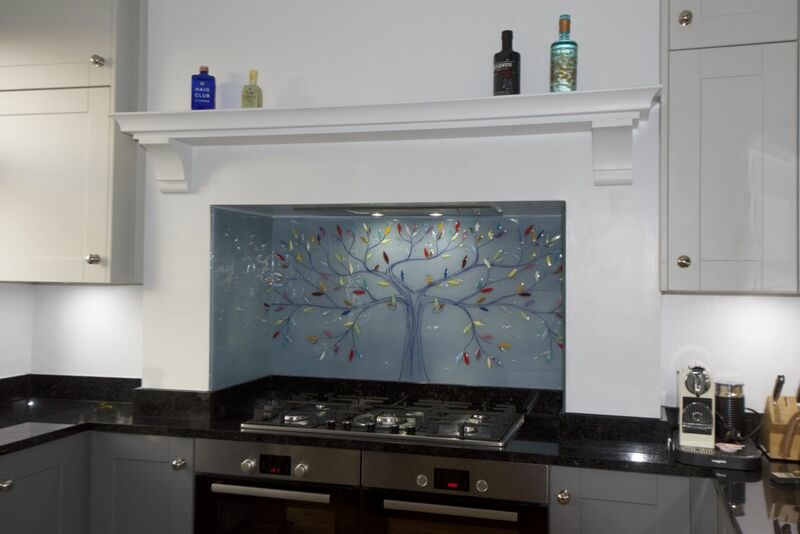 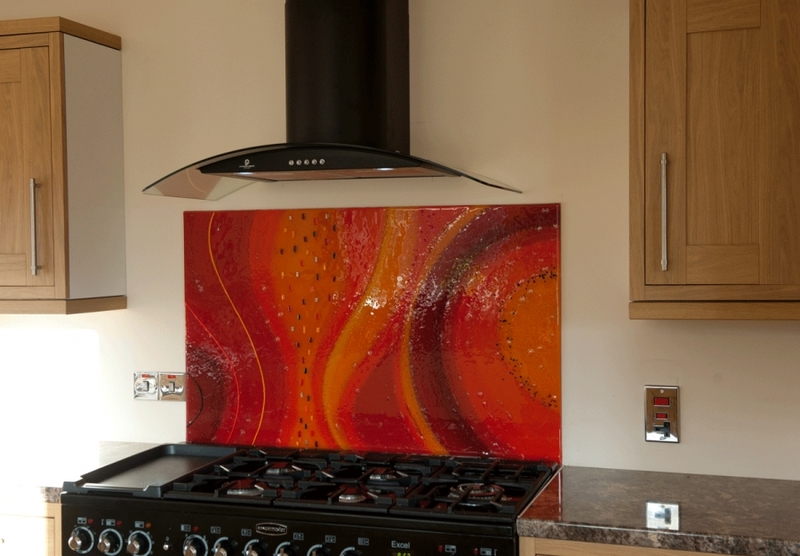 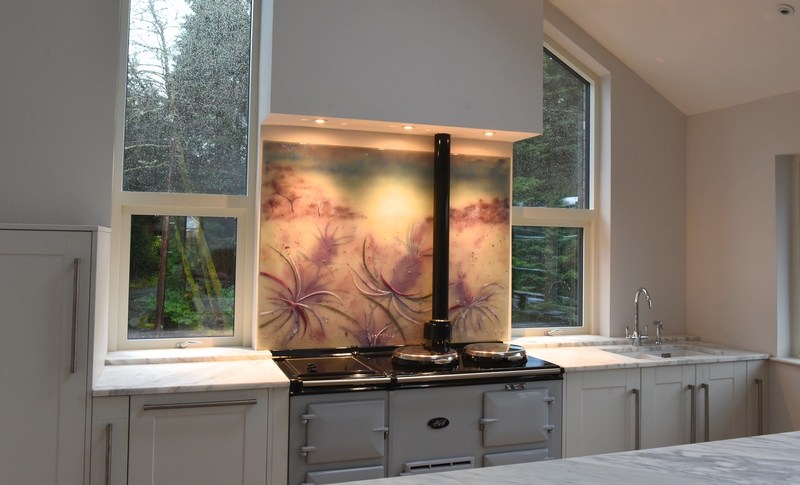 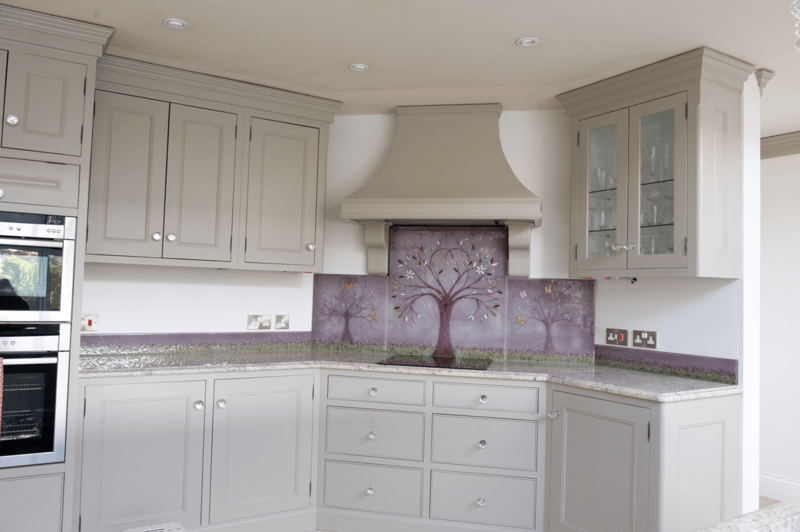 The design of the splashback was conceptualised by the customer, who had seen one of our flowery Allium panels and absolutely loved it. 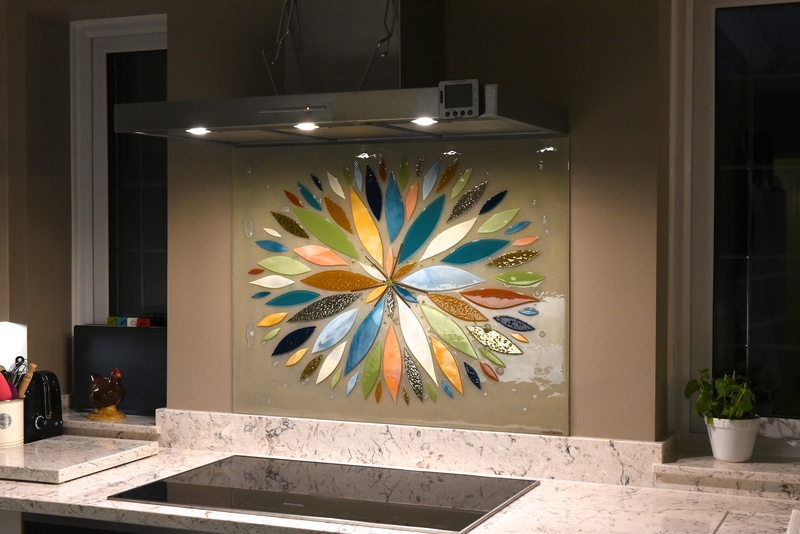 They were looking to change the kind of flower featured on the glass, however. 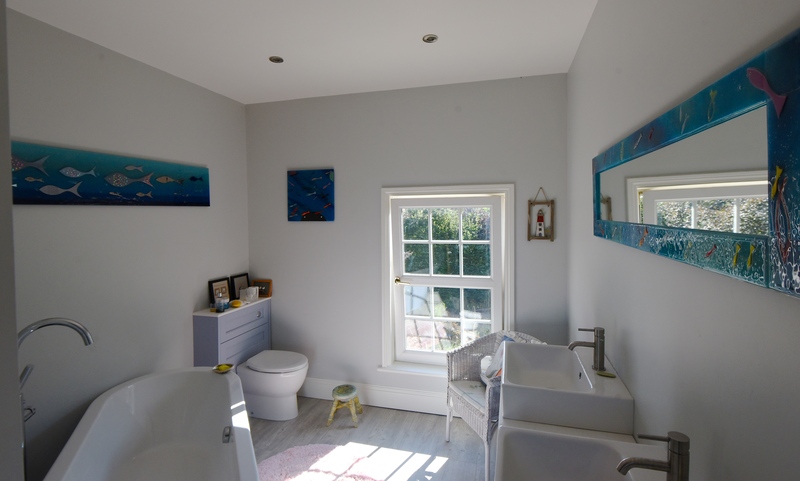 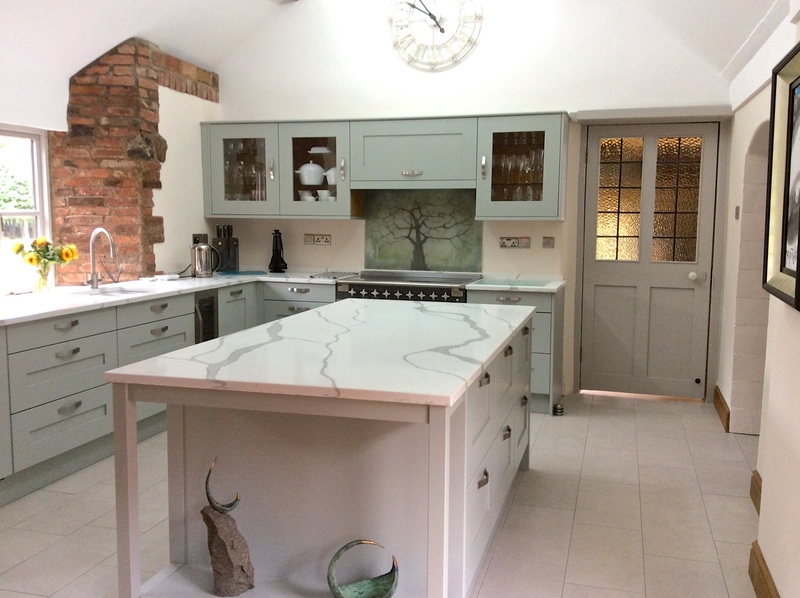 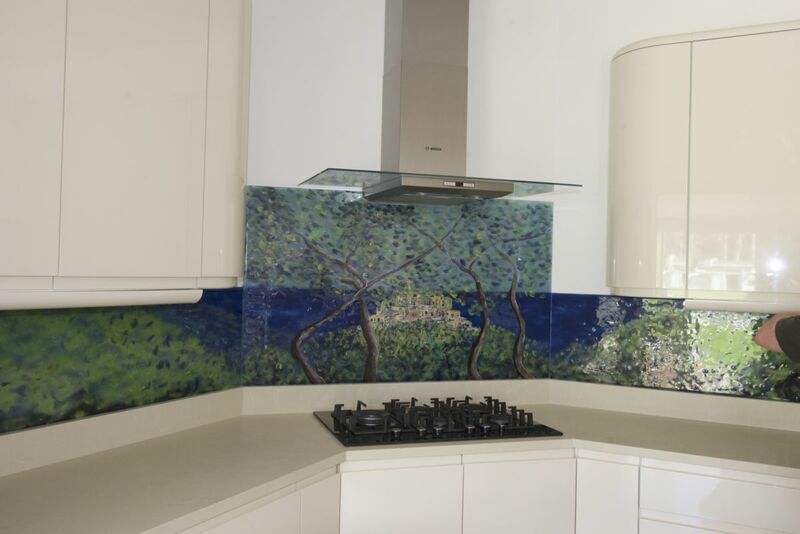 Instead of alliums, they wanted agapanthus flowers to be the central focus of the design, and also wanted something more colourful to go with the tiles in the kitchen. 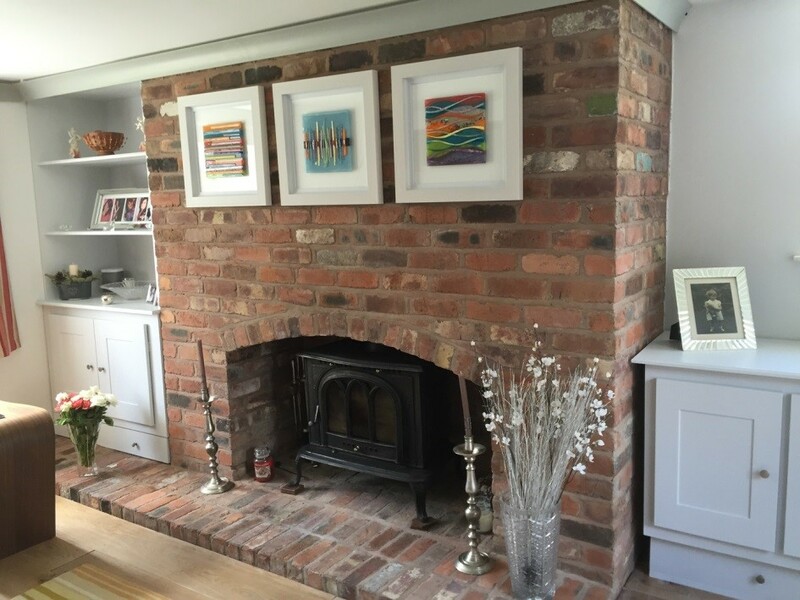 Lisa picked out a range of soft denims and cornflower blue, completing the look with sage green, and soon set about crafting something that only our bespoke service could be able to provide. 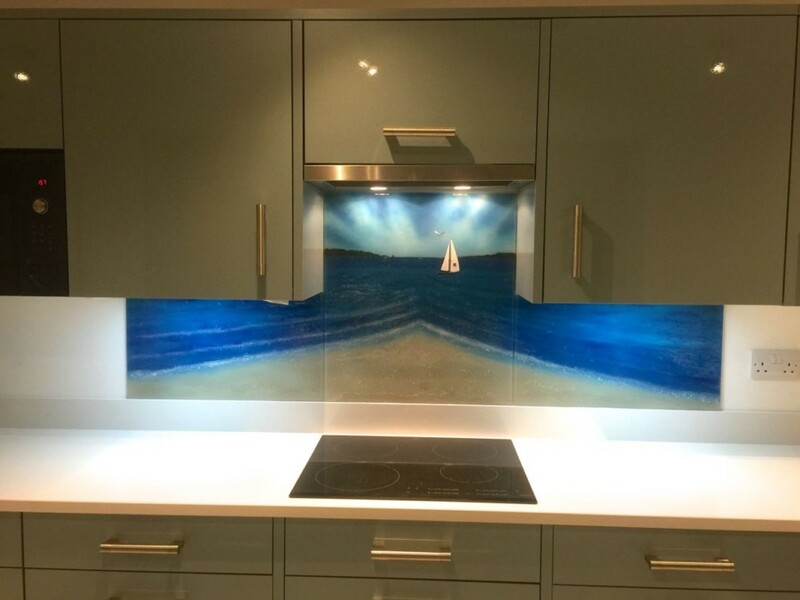 The end result is as you see above. 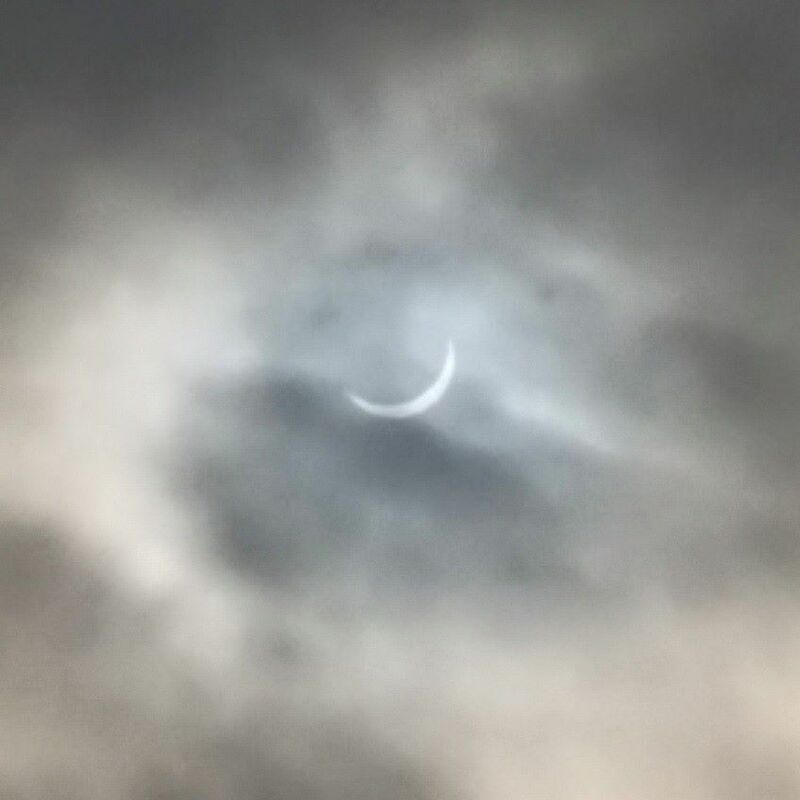 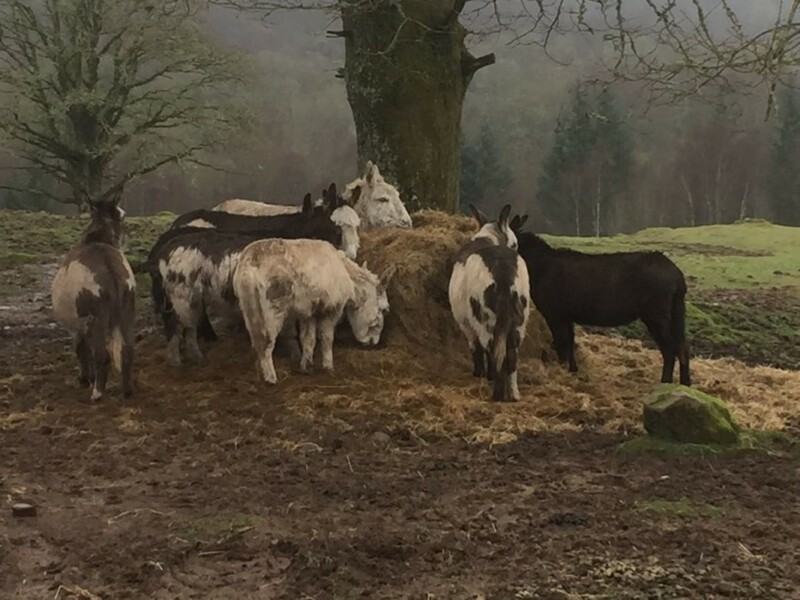 We spied this interesting find while down in Surrey. 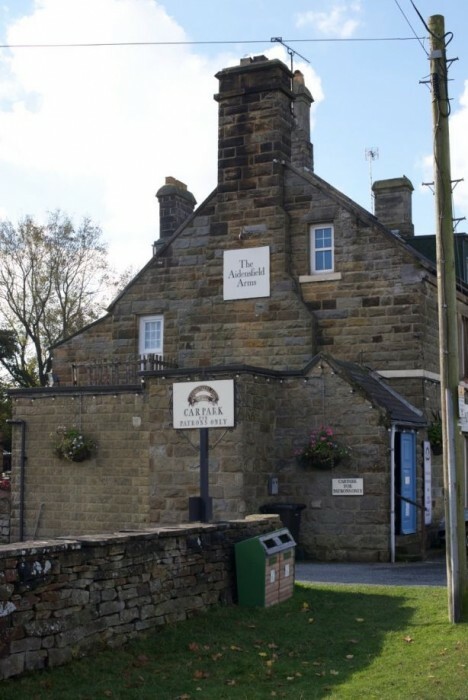 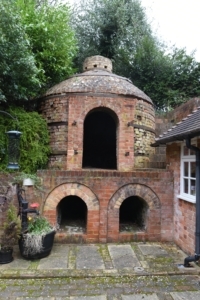 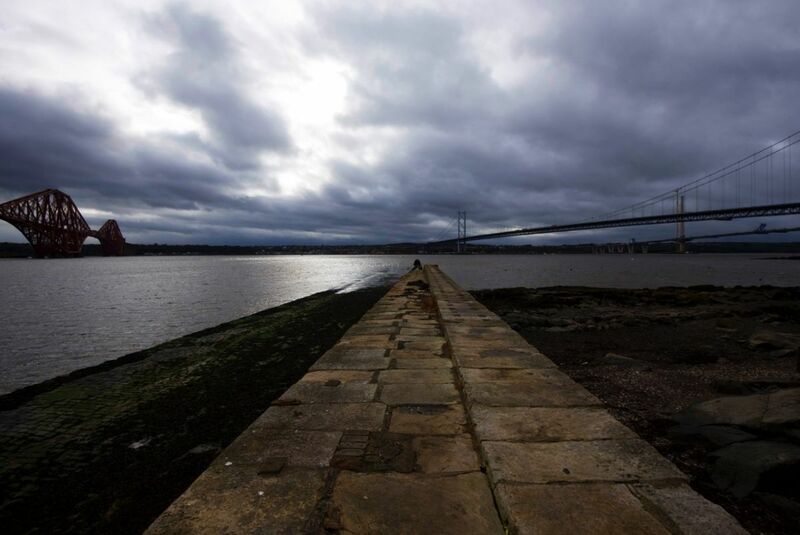 It’s one of the area’s rather famous pottery kilns! 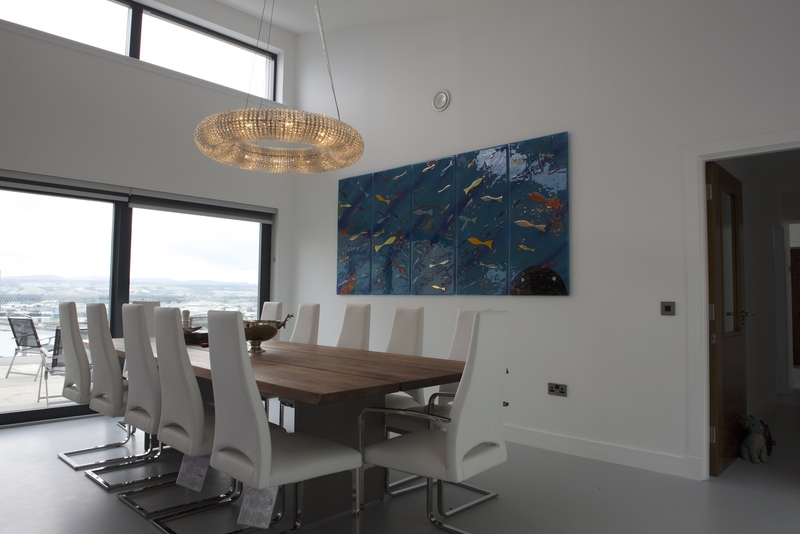 Built upon a background of pure white, the base of the design allows the intricacies and details of the piece to stand out. 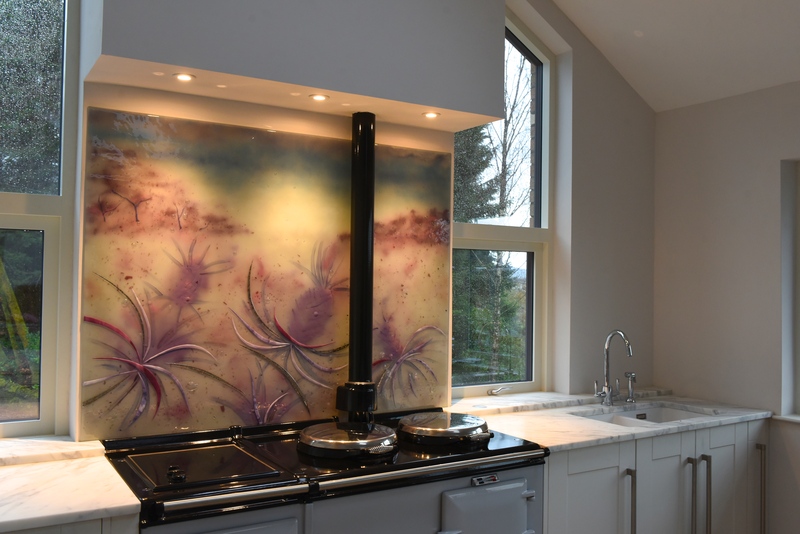 From there, the tall agapanthus flowers grow up towards the top of the panel and spread their stalks to fill the space with colour. 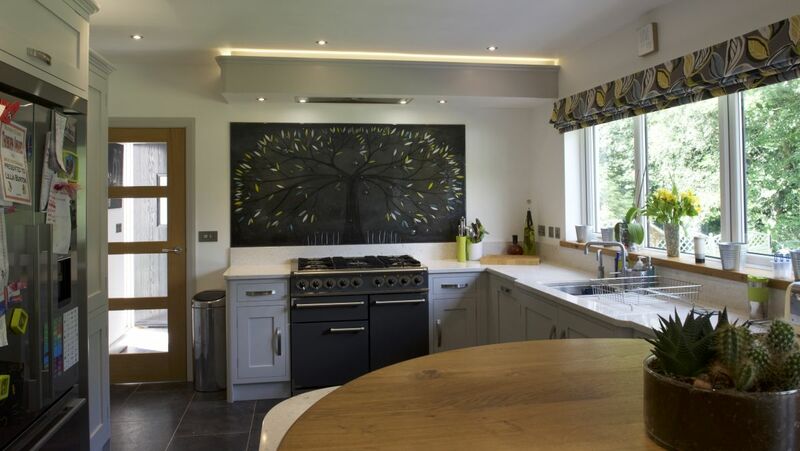 We adore how the modern white mixes with the warmer traditional wooden furnishing of the kitchen, and how the flowers introduce colour to the space in a subtle but very effective way. 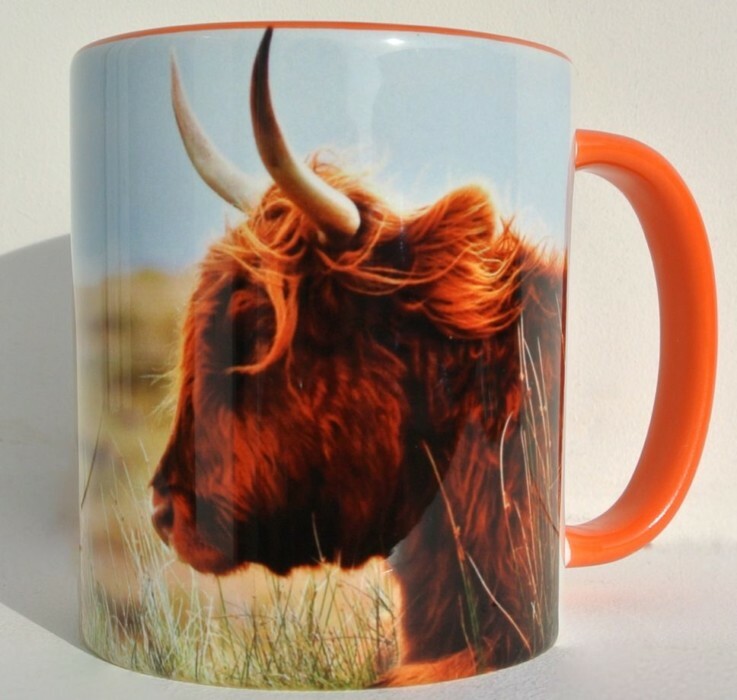 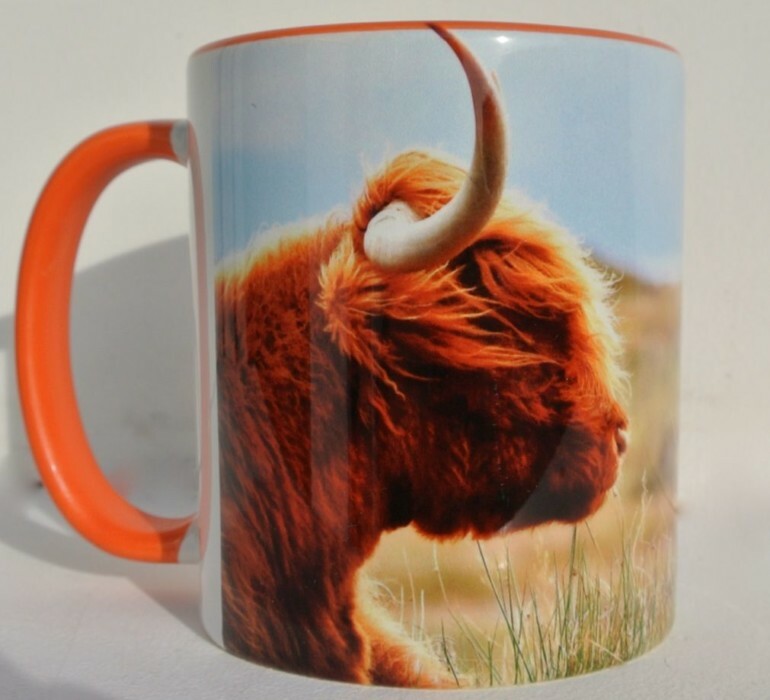 If you agree with us, why not order your very own? 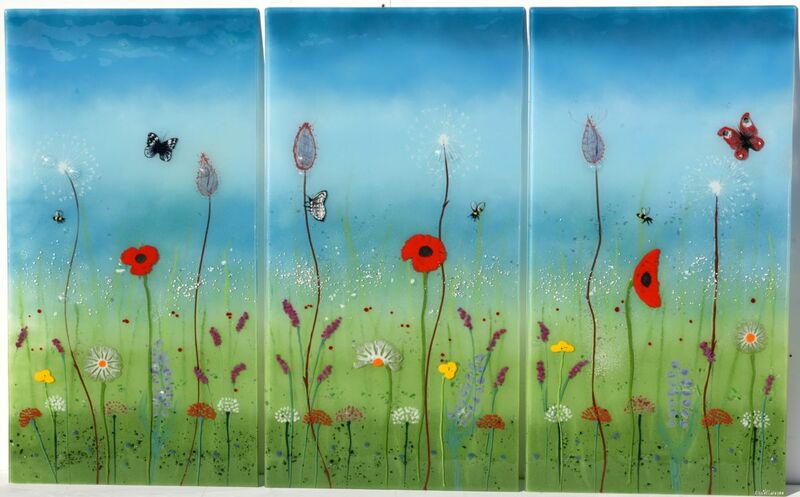 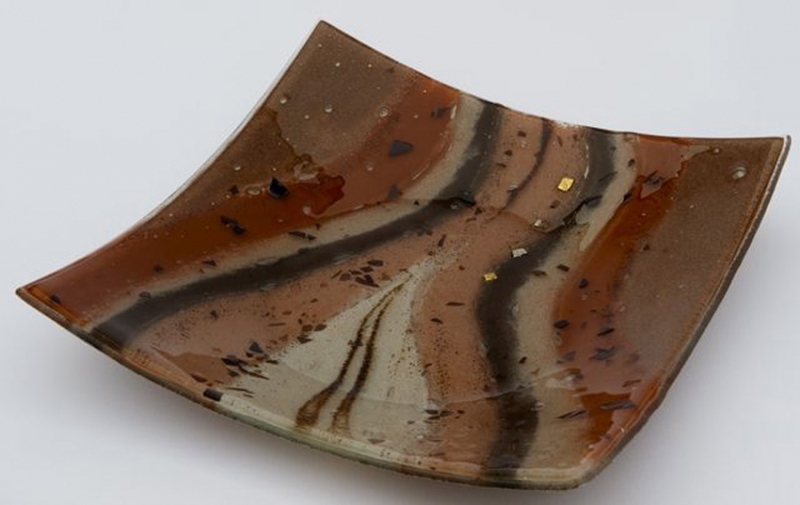 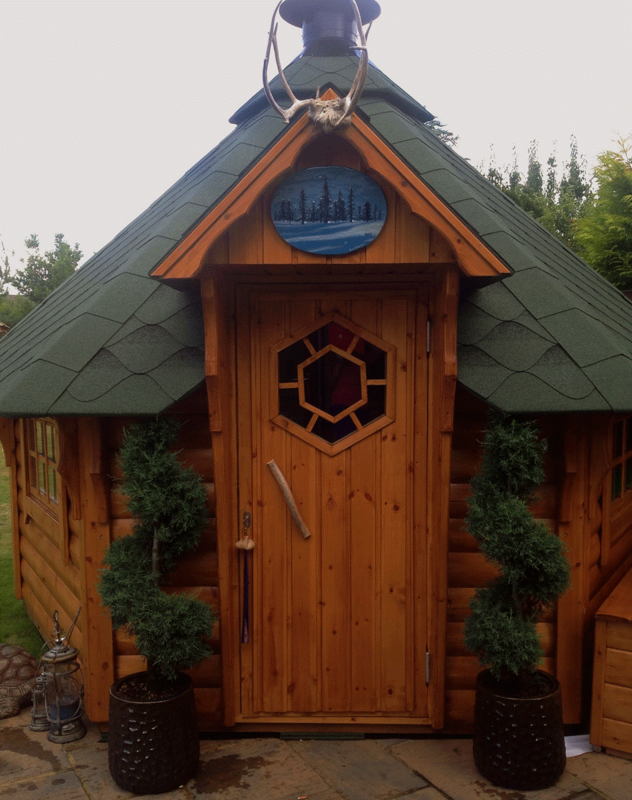 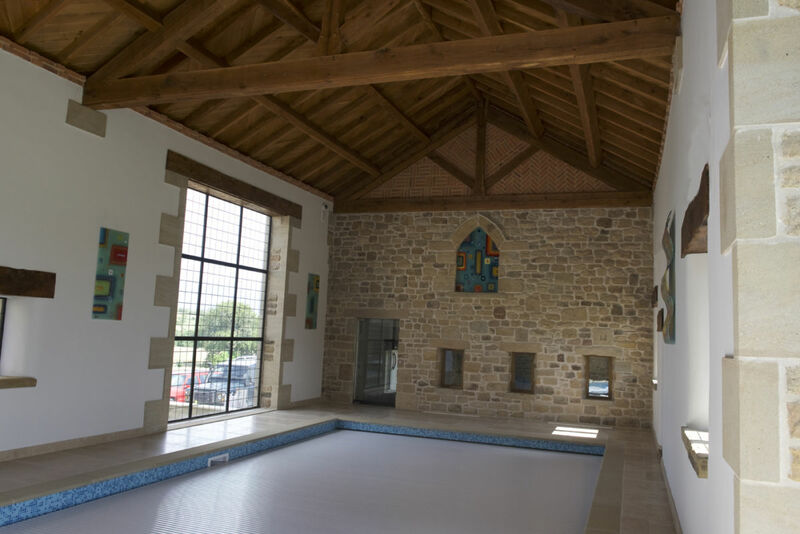 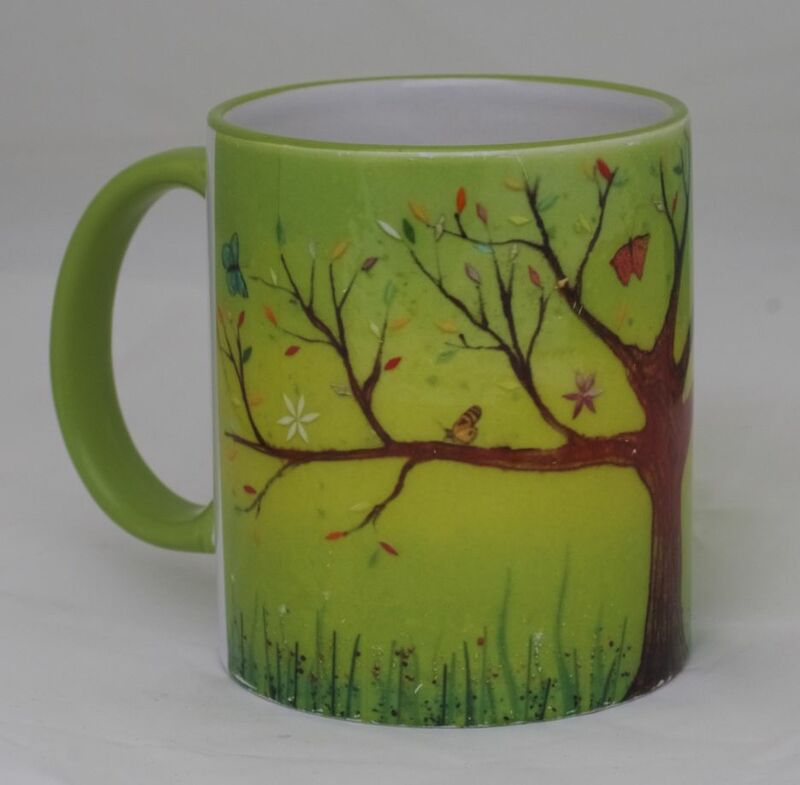 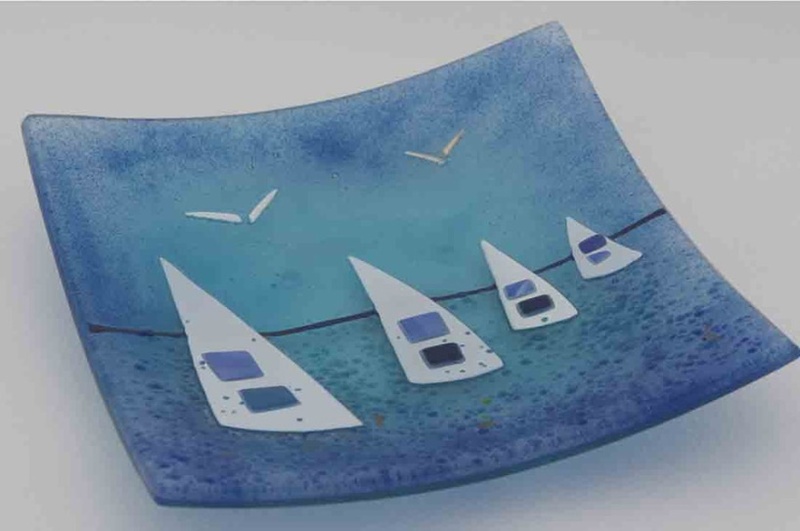 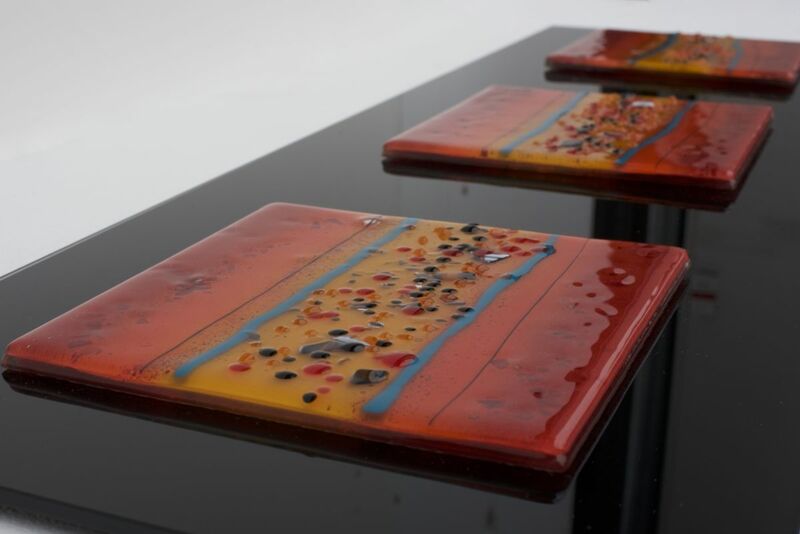 Every piece that rolls off of our kiln is made to order and completely bespoke, which is why we can guarantee wholeheartedly that no-one will have a piece quite like yours. 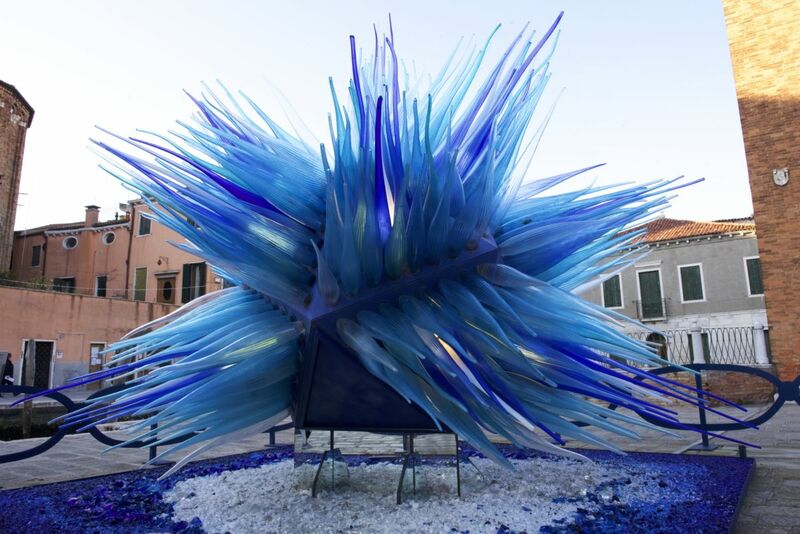 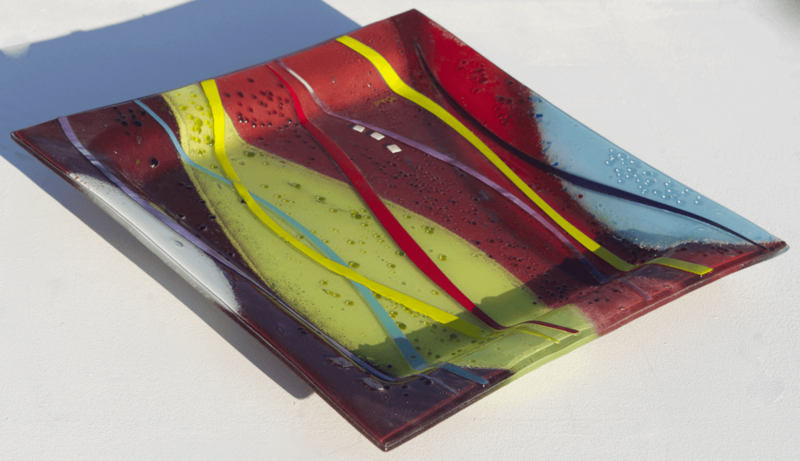 No two pieces are ever quite the same, after all, whether that’s down to customer design choice or the unique quirks of fused glass art. 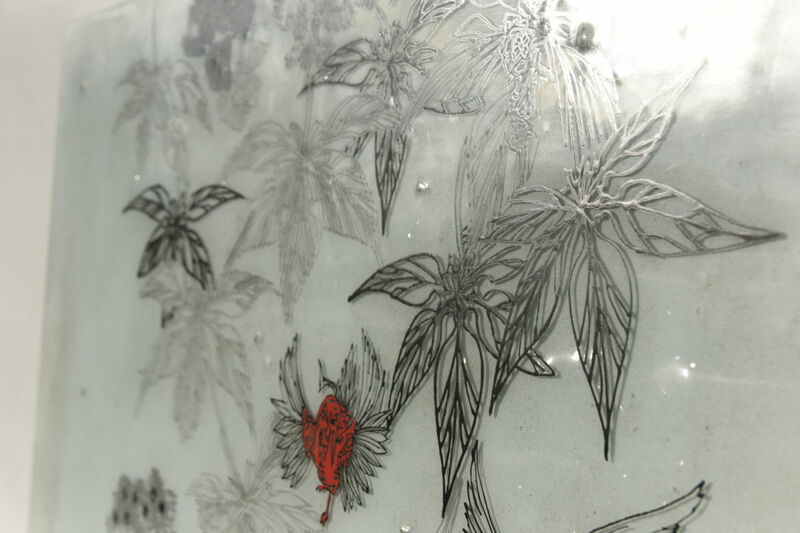 Have you ever noticed the bubbles in our pieces, for example? 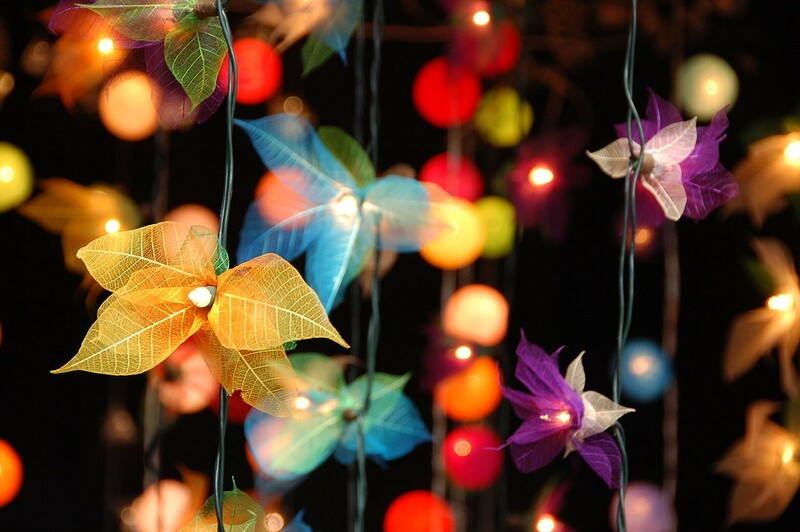 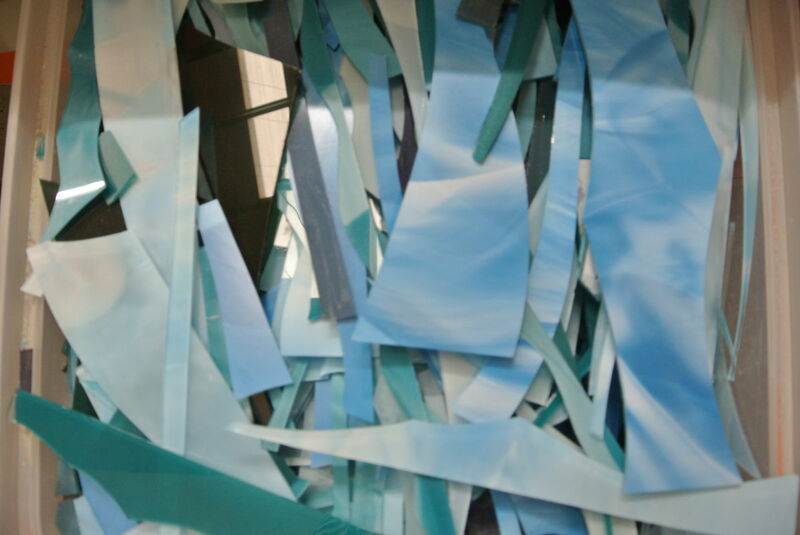 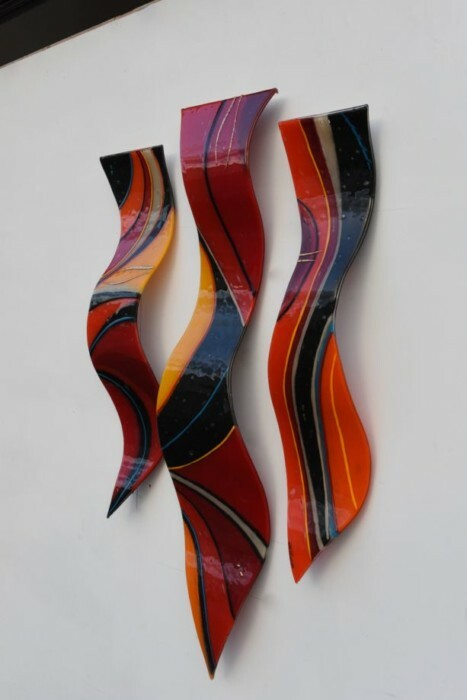 They form as a product of the fusing process, but they’re unpredictable and never form the same way. 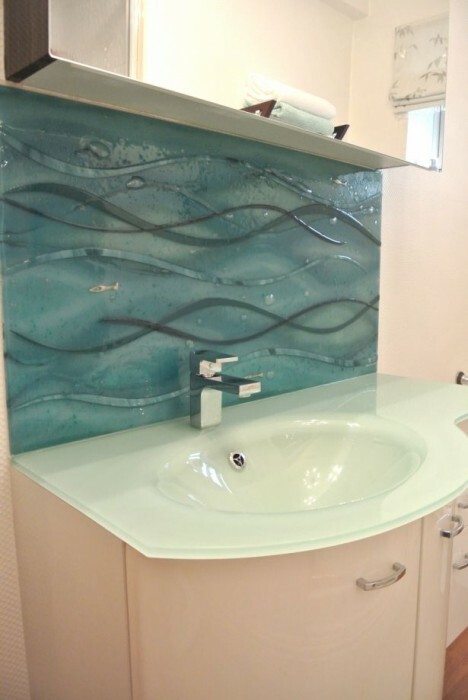 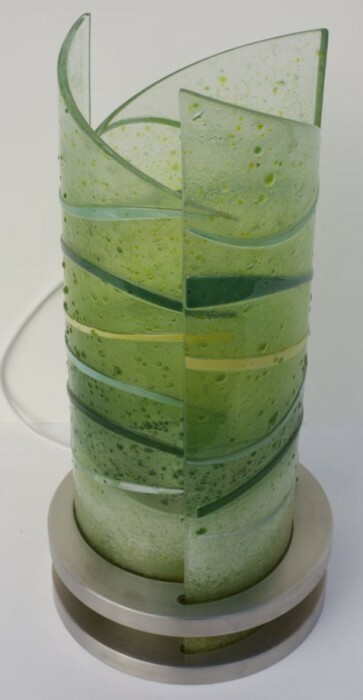 Luckily, this makes for some truly beautiful pieces, while some other panels may not even have any bubbles in them at all. 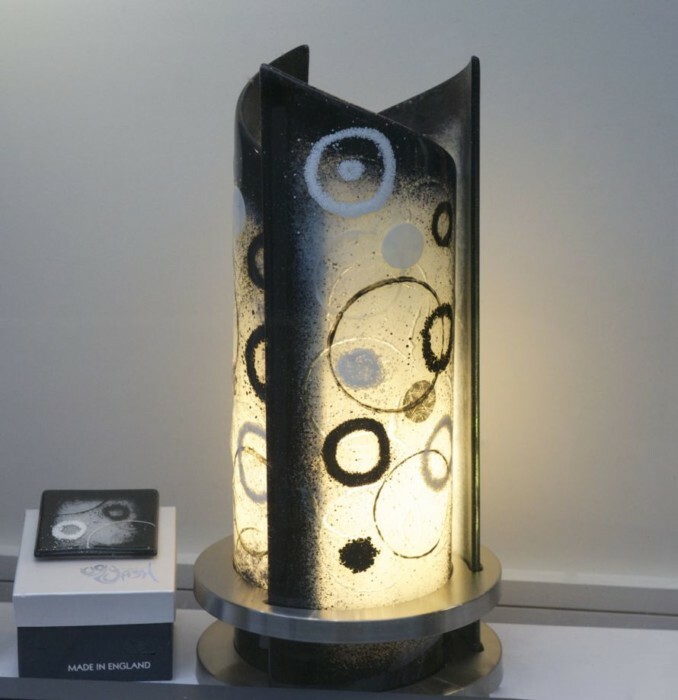 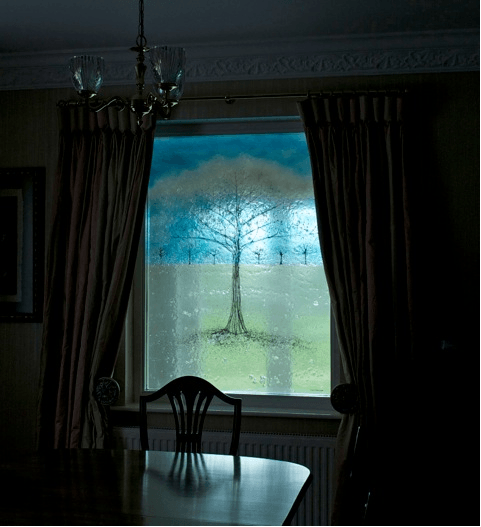 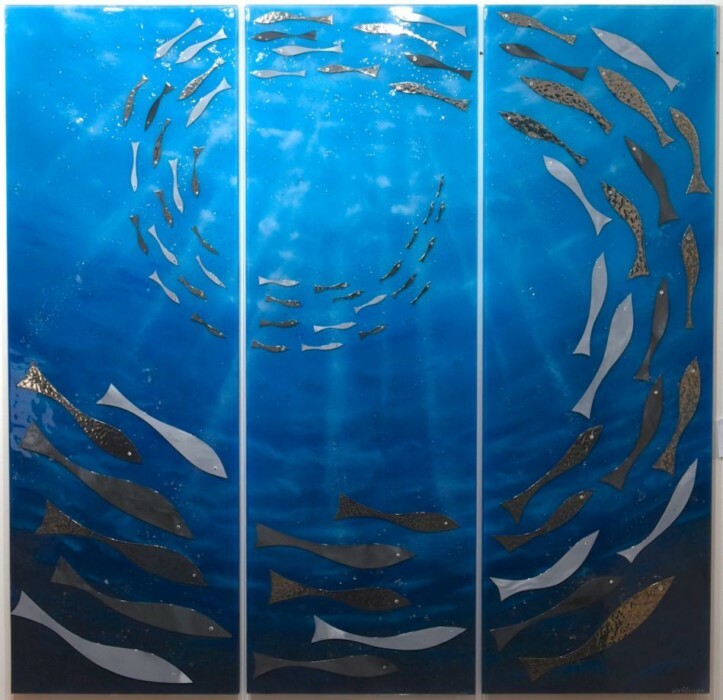 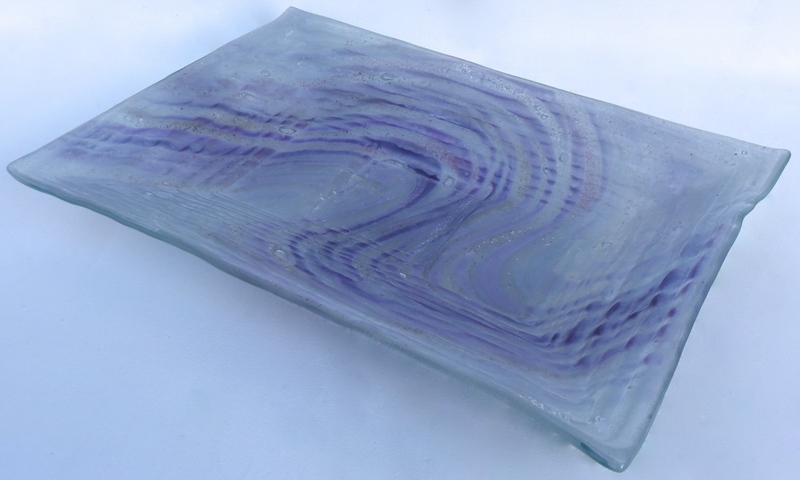 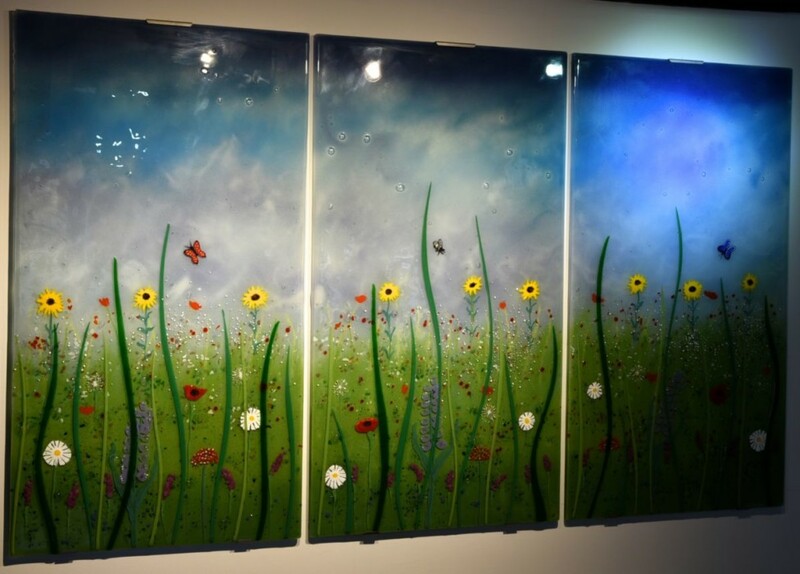 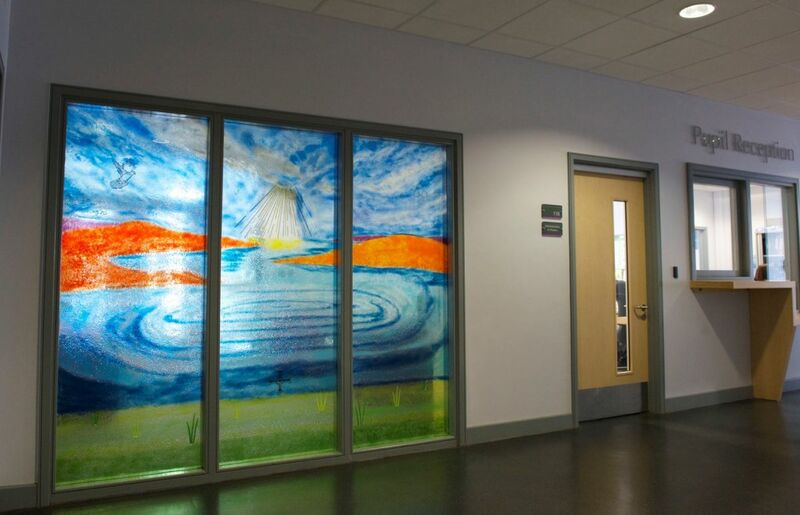 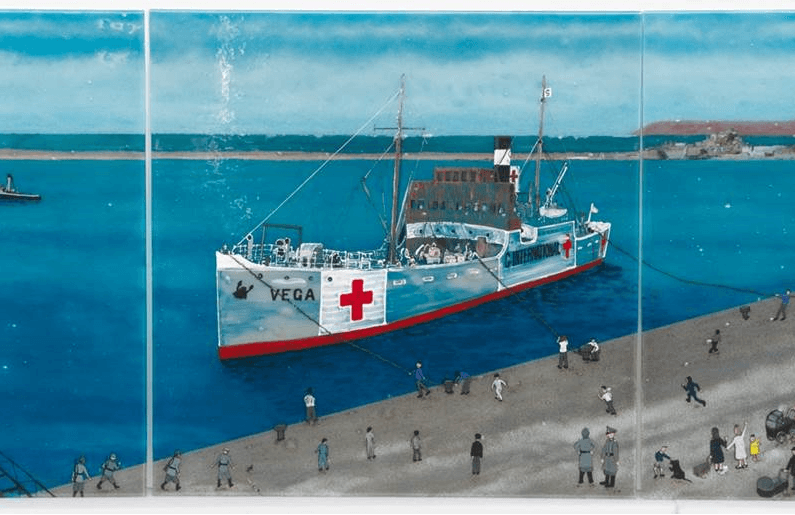 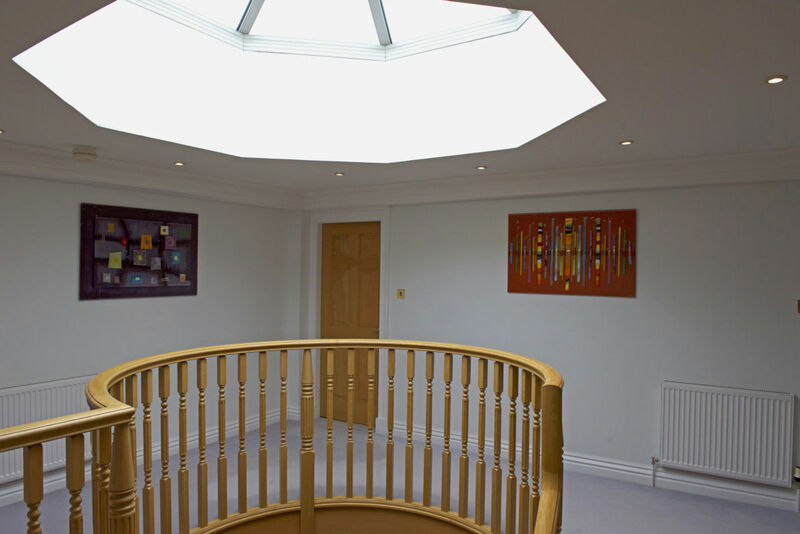 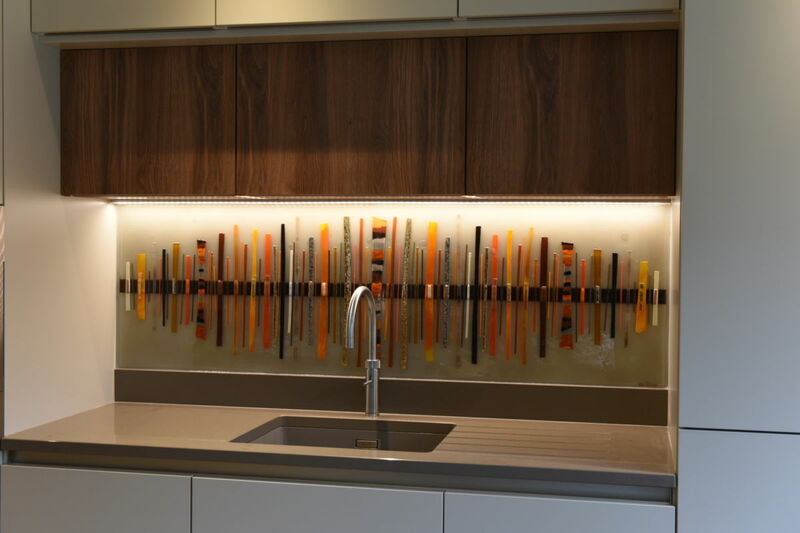 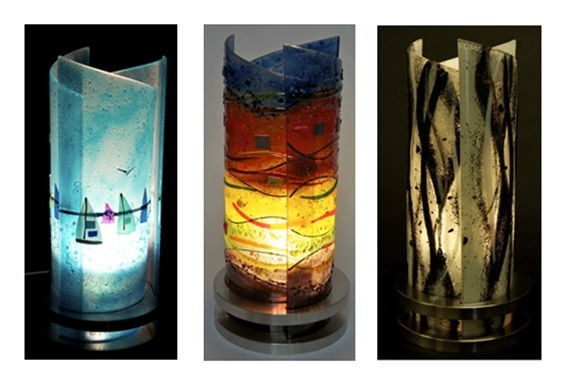 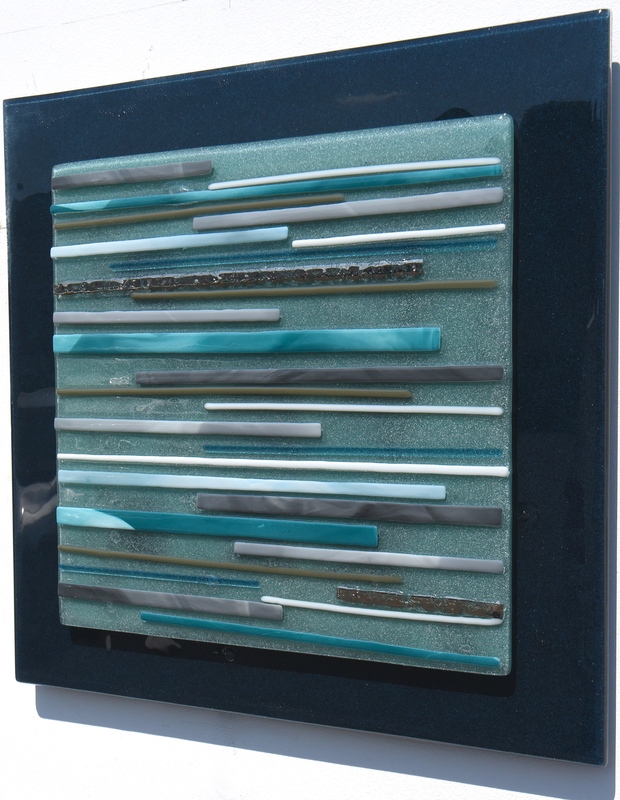 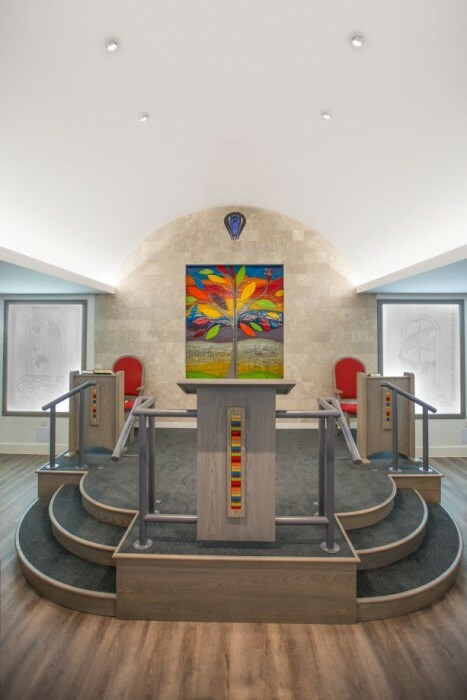 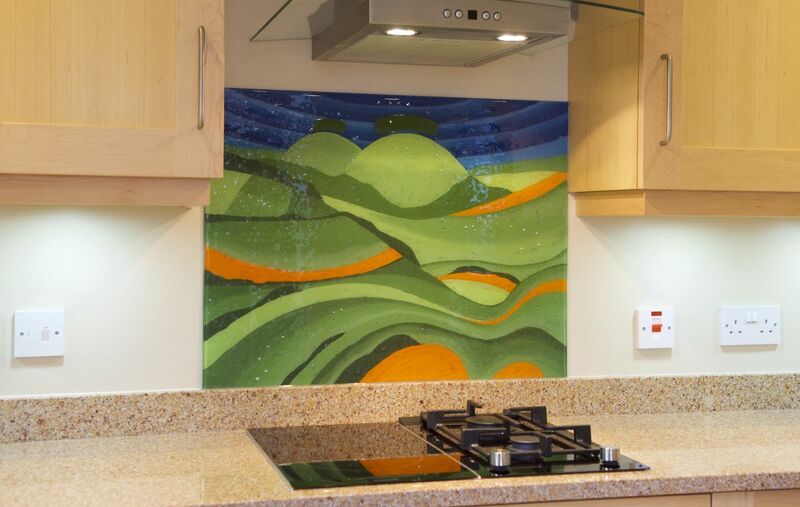 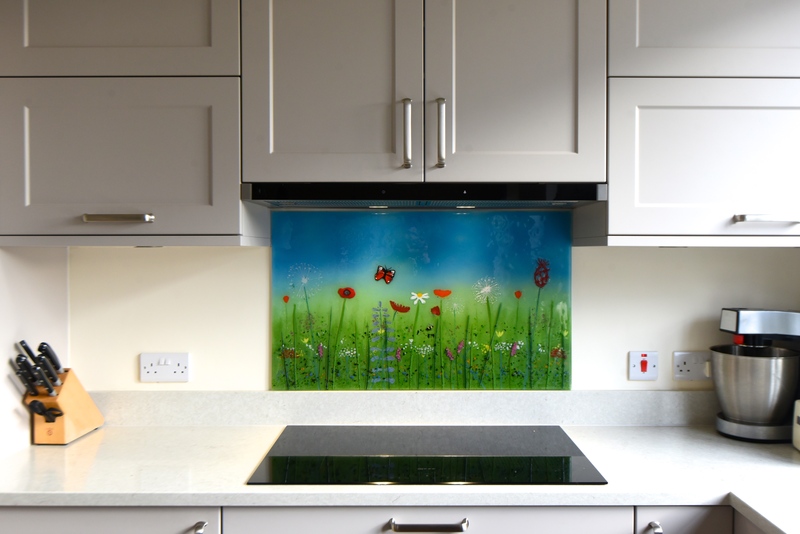 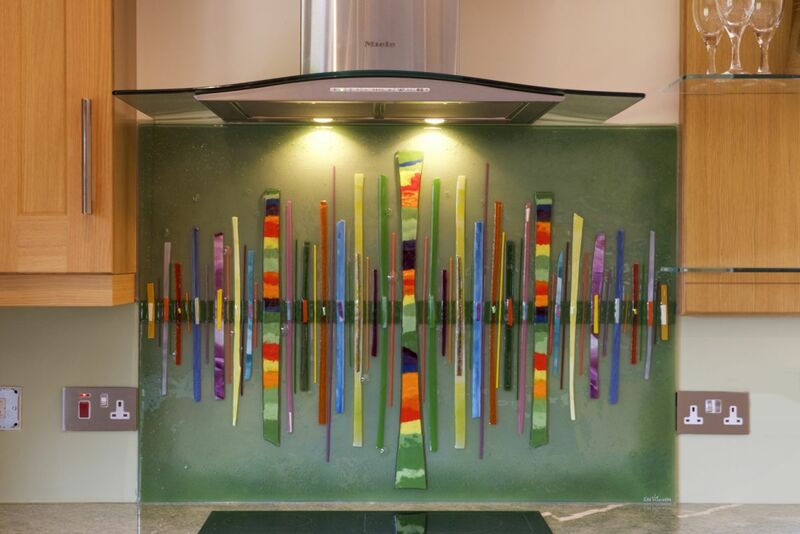 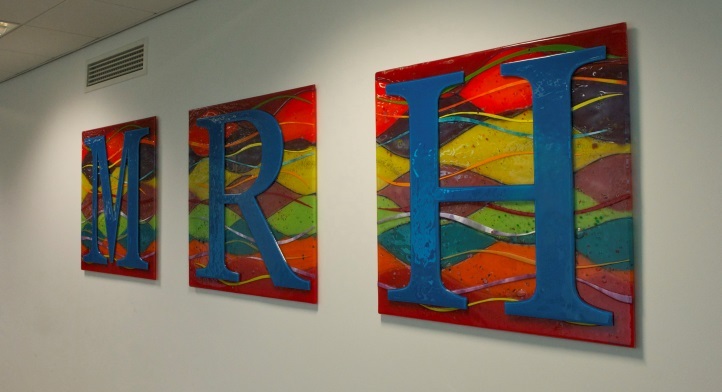 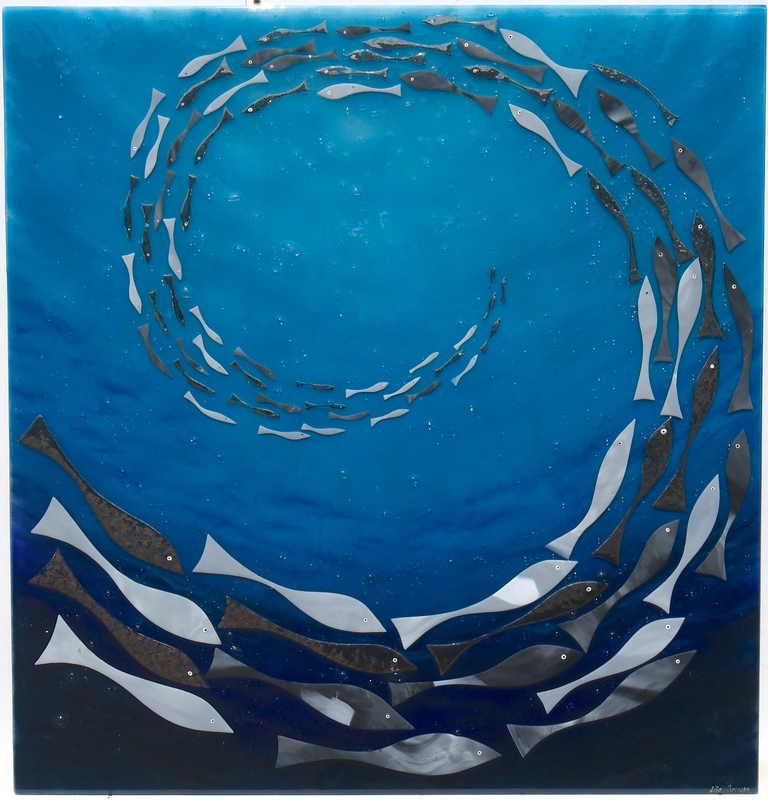 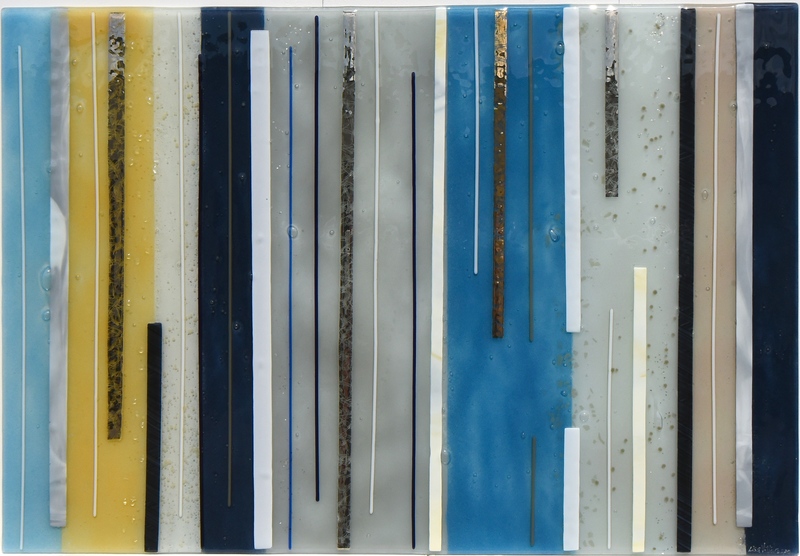 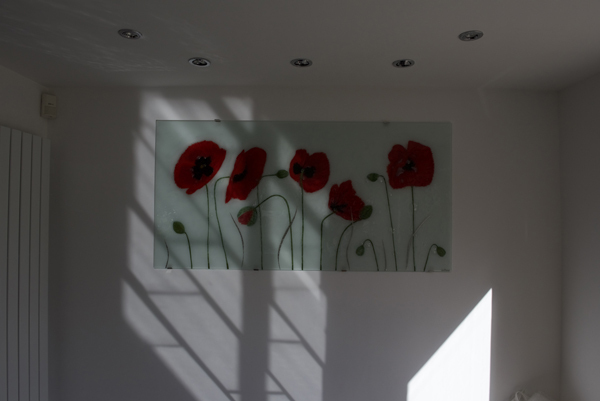 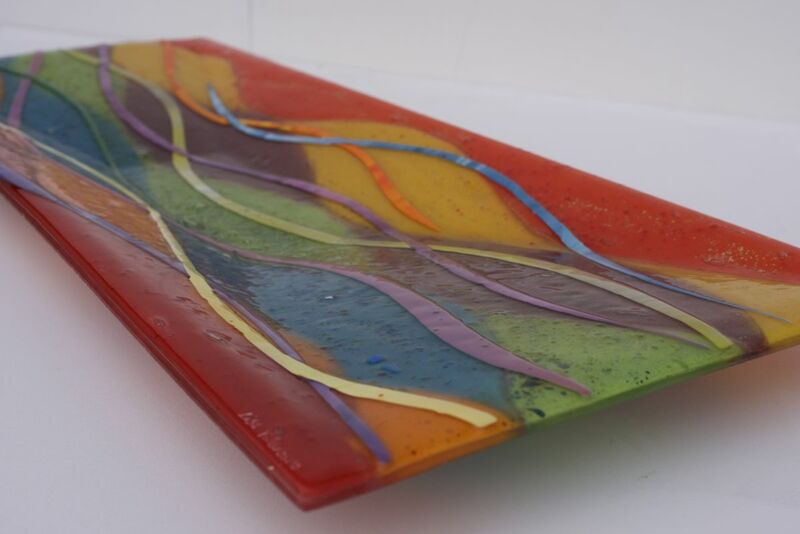 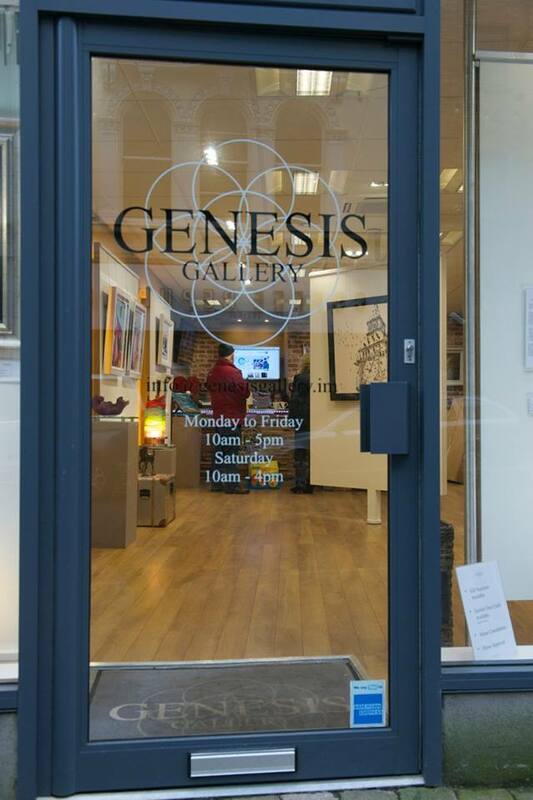 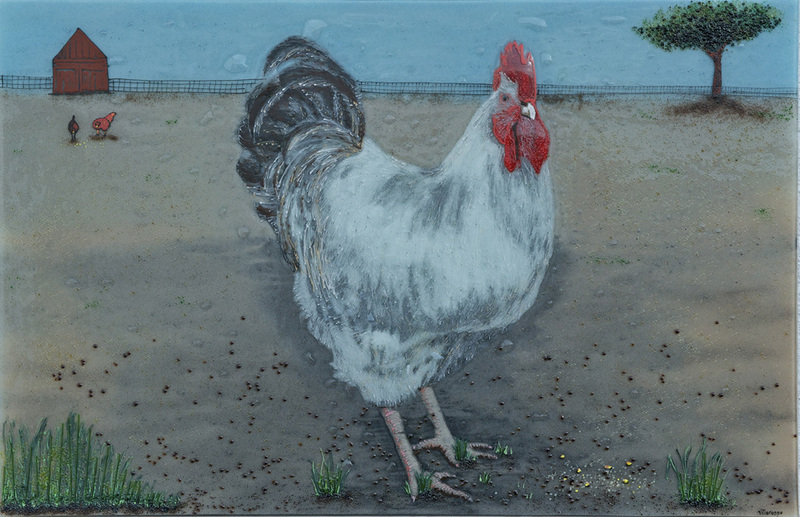 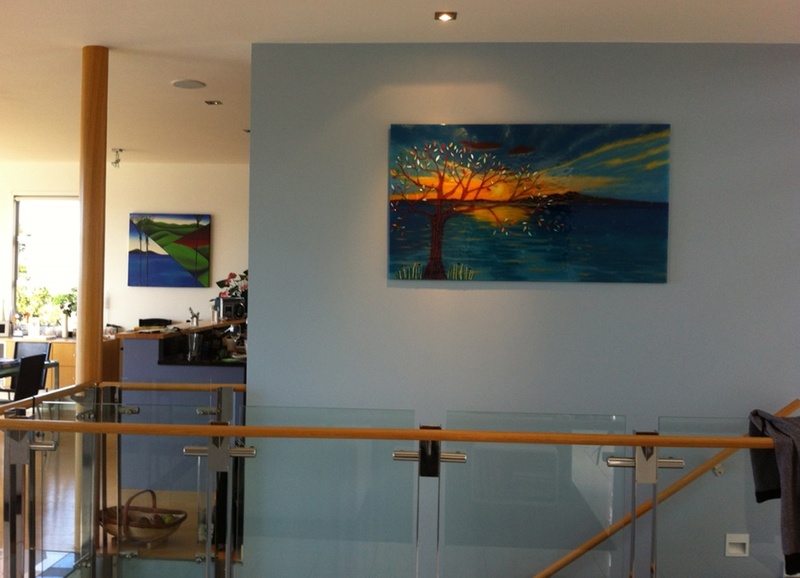 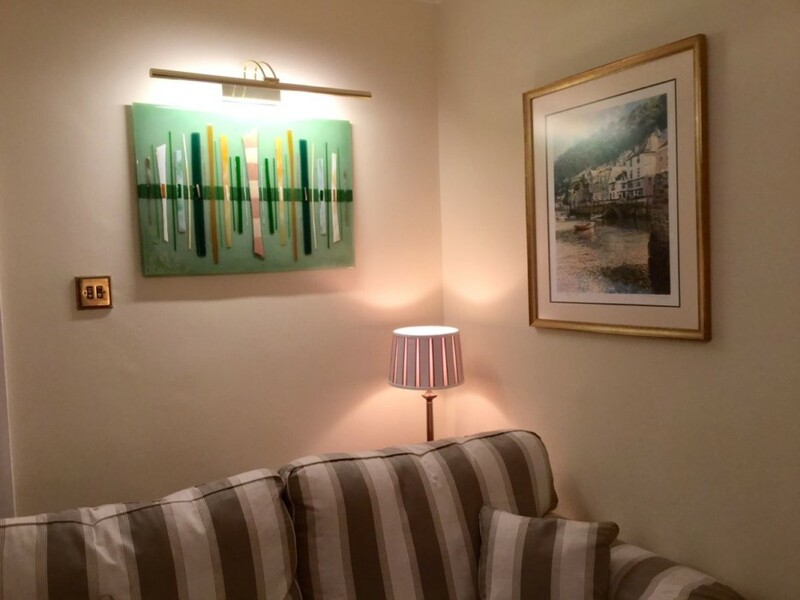 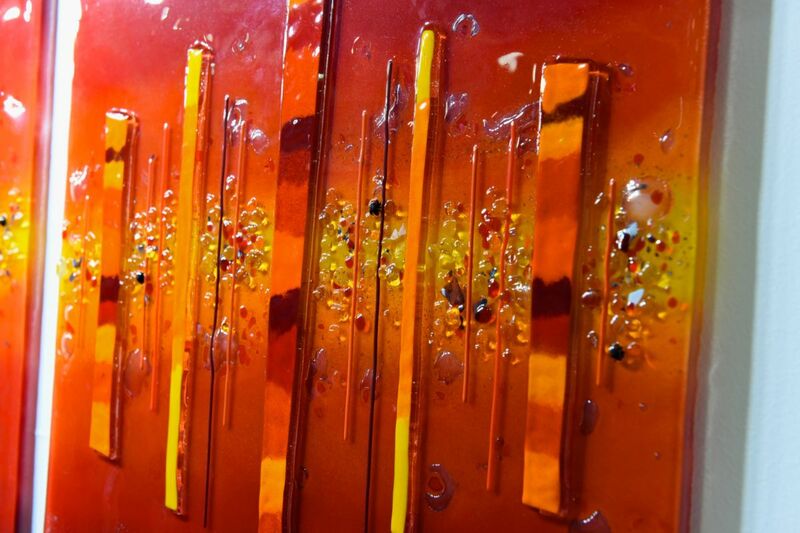 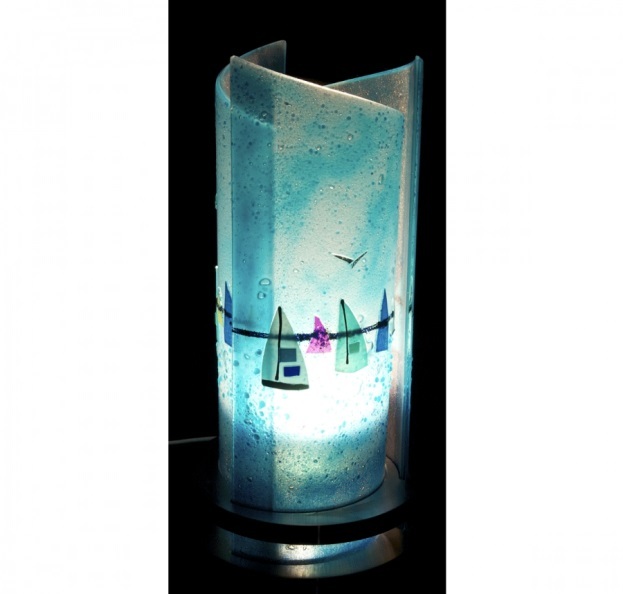 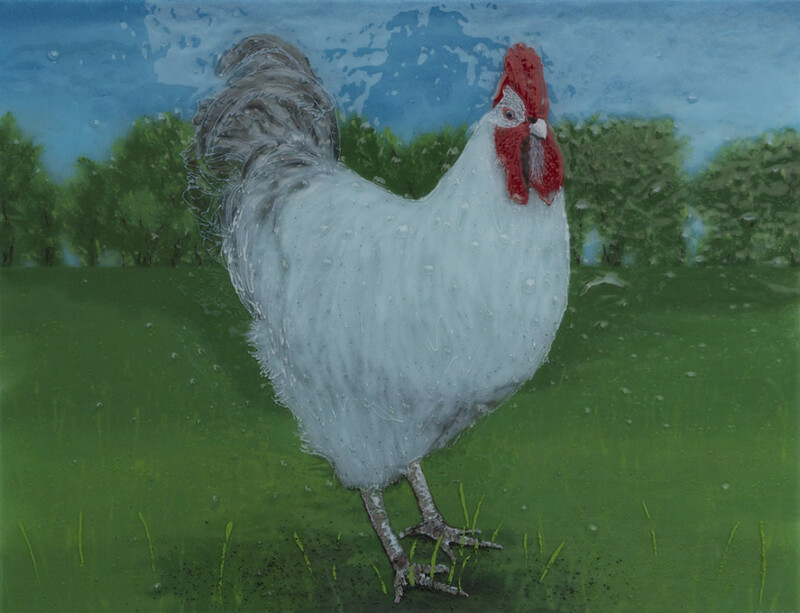 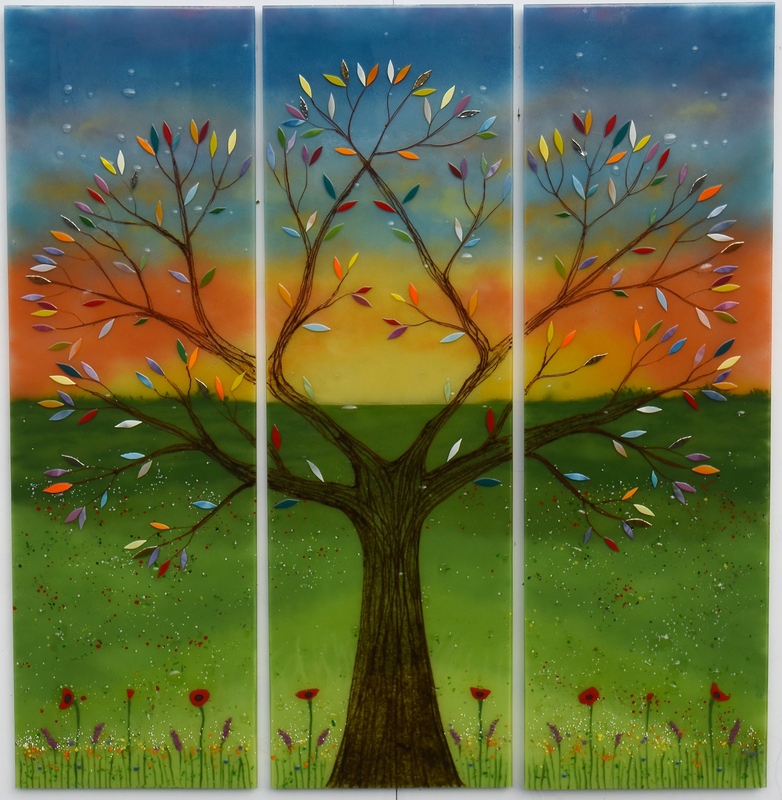 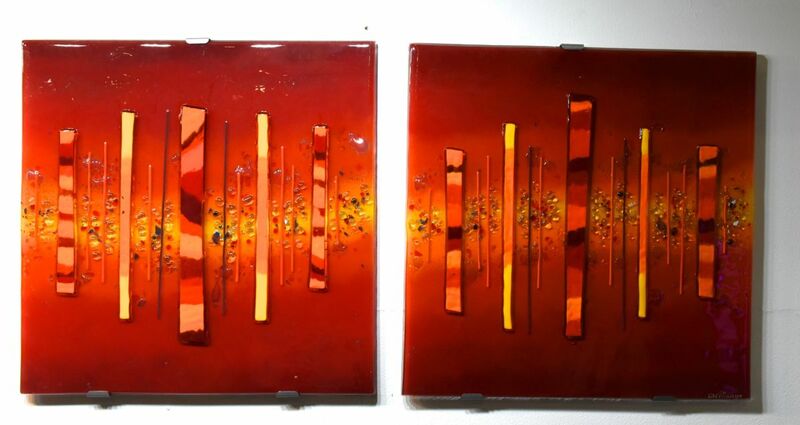 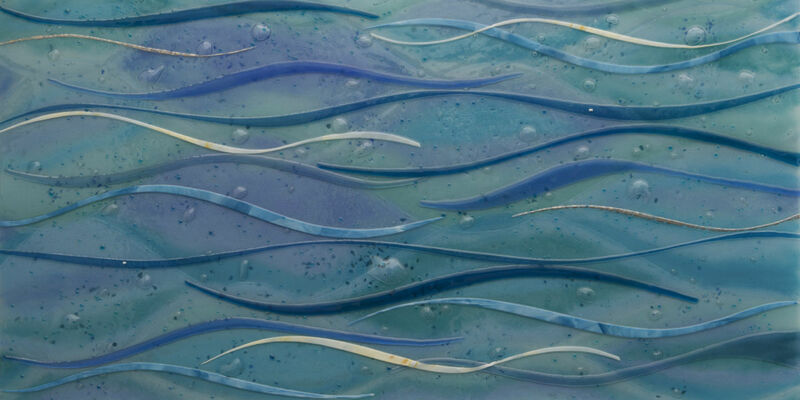 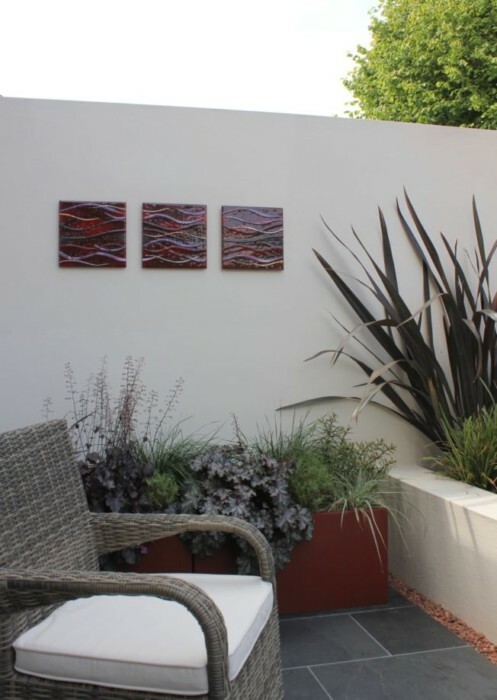 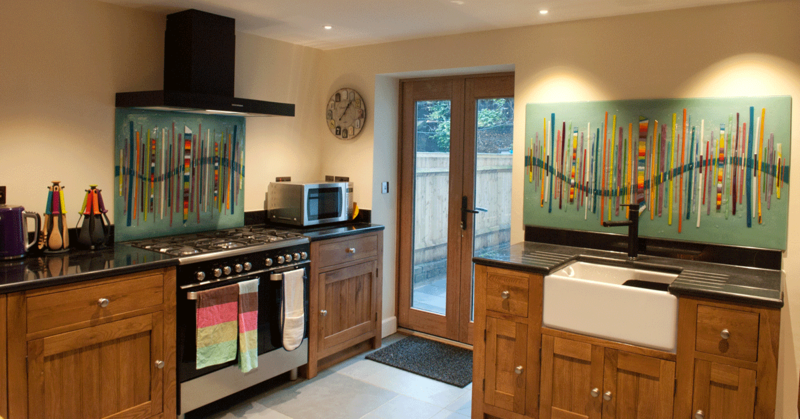 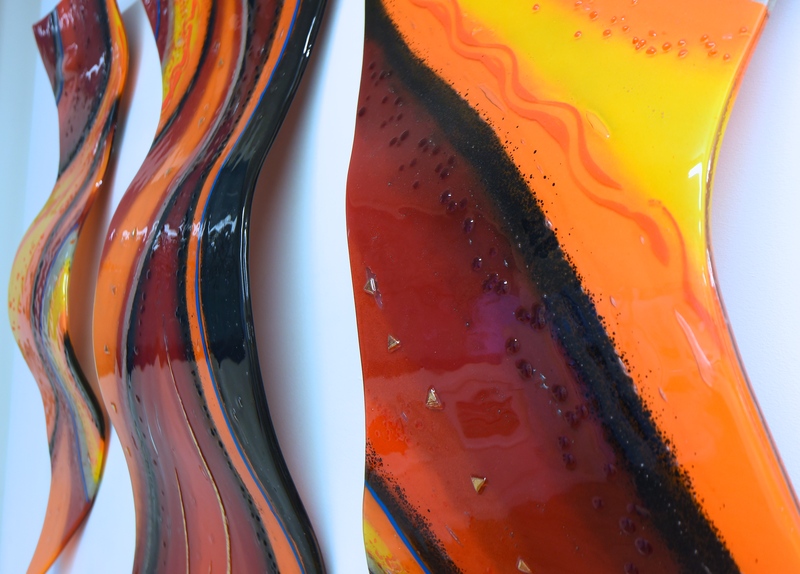 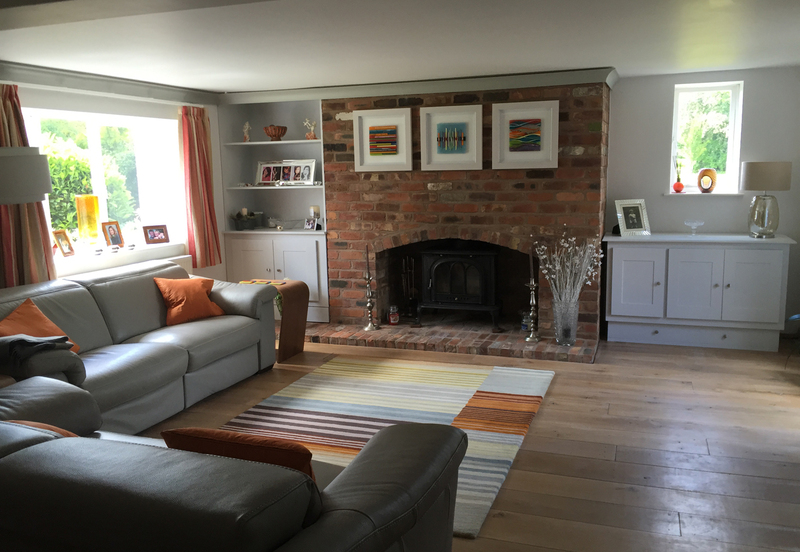 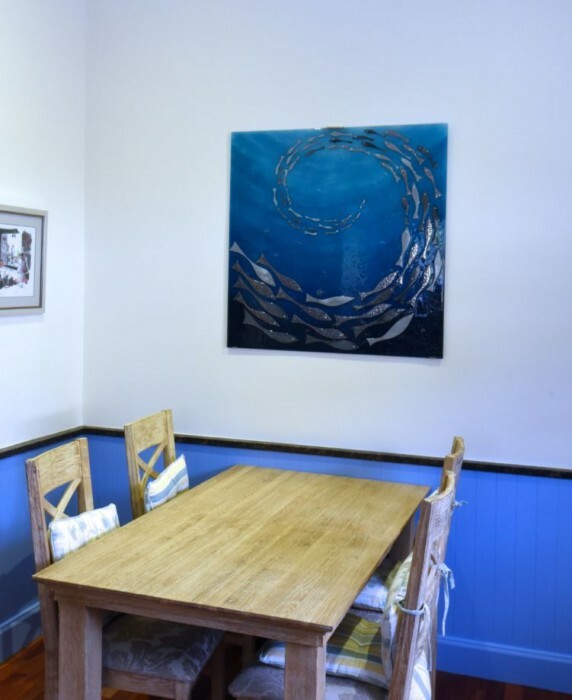 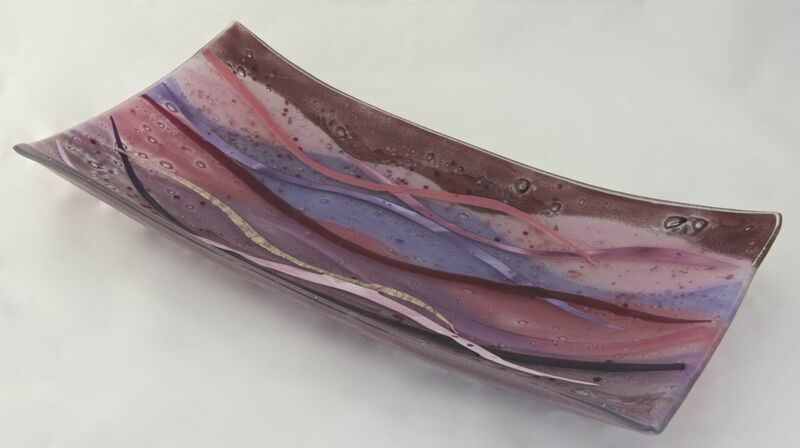 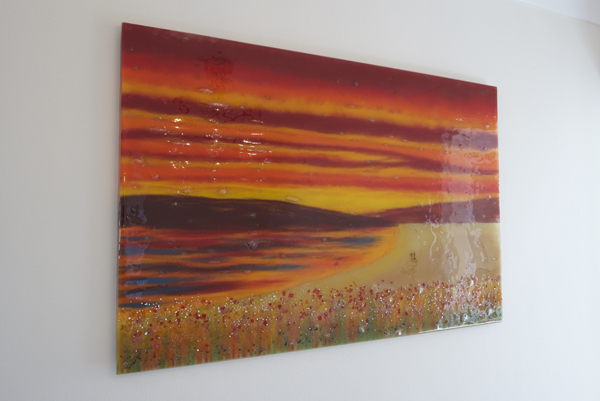 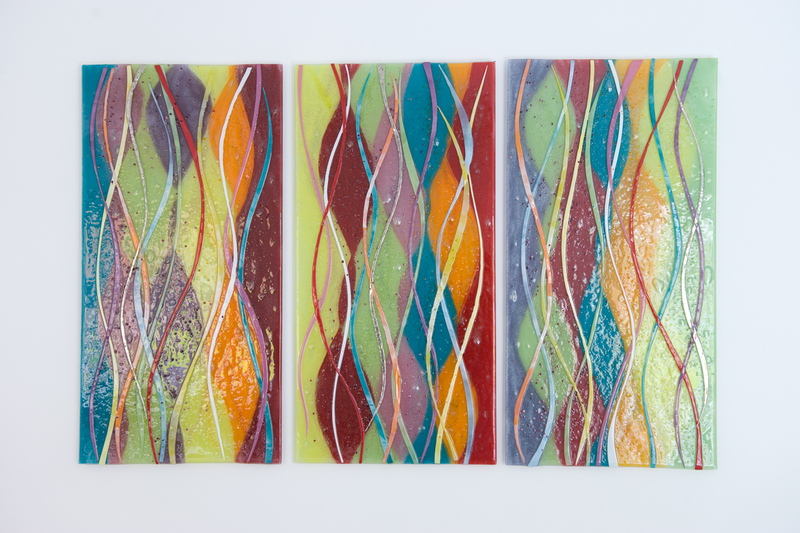 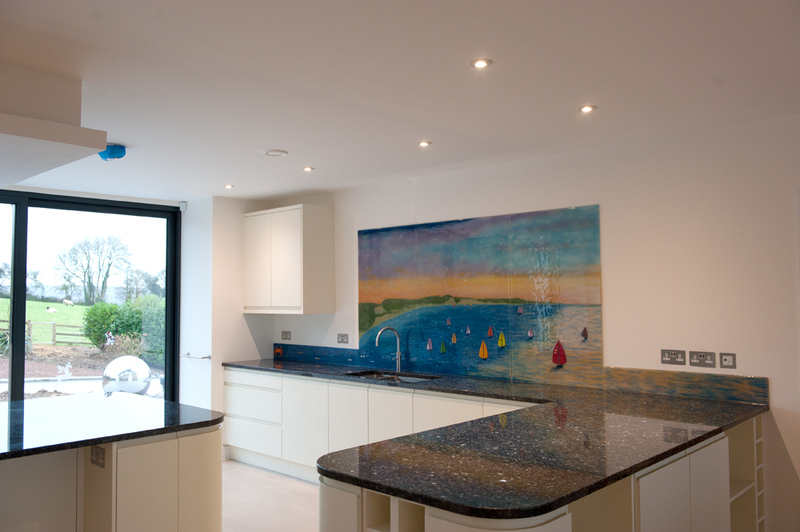 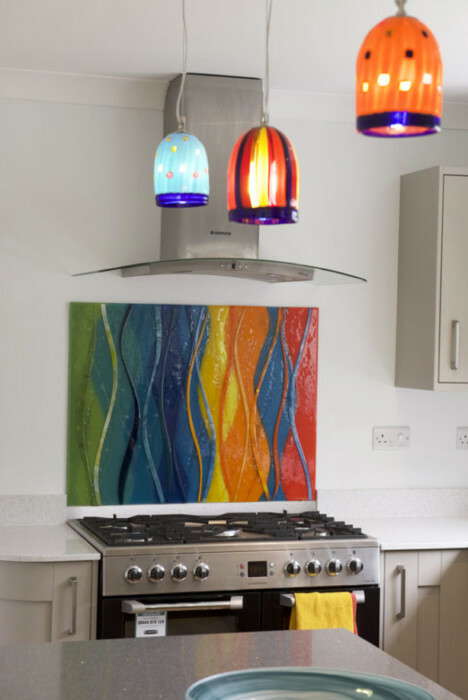 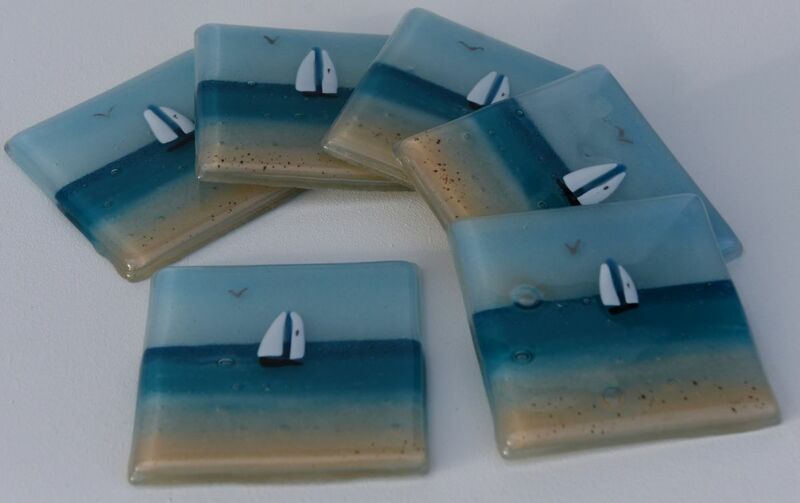 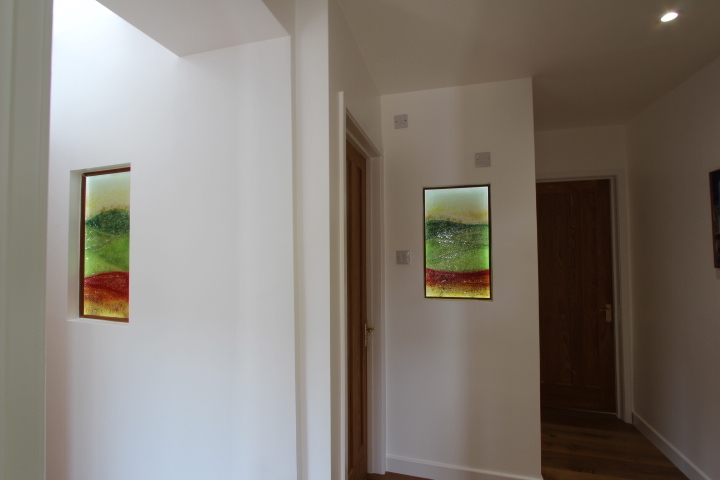 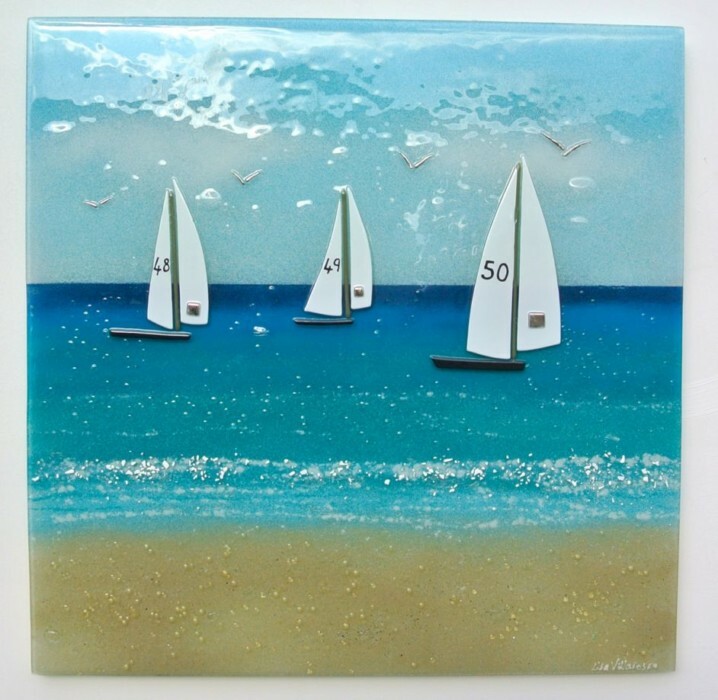 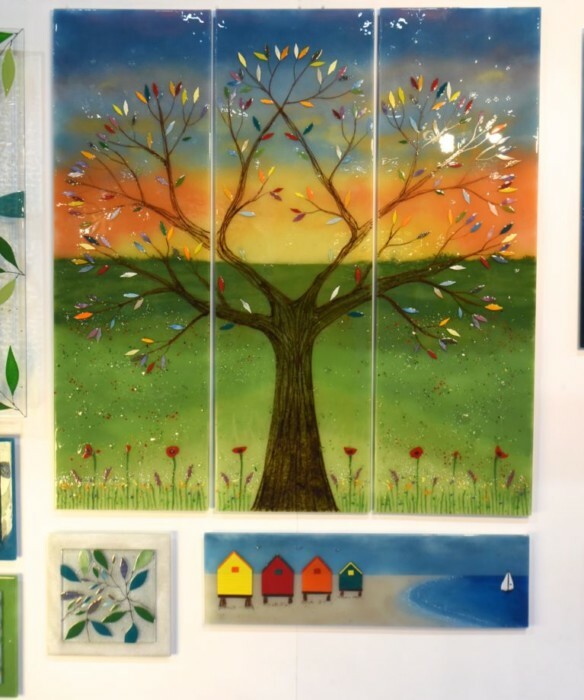 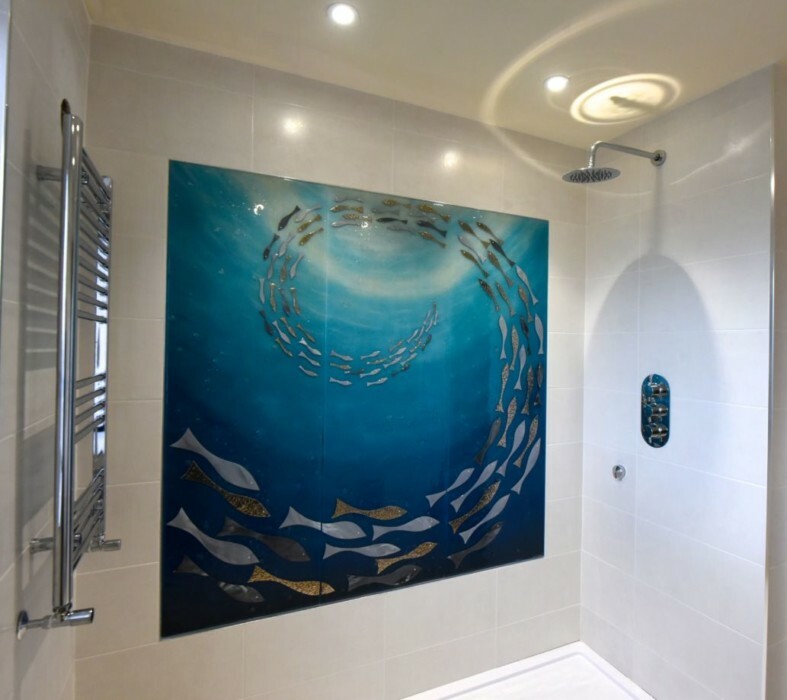 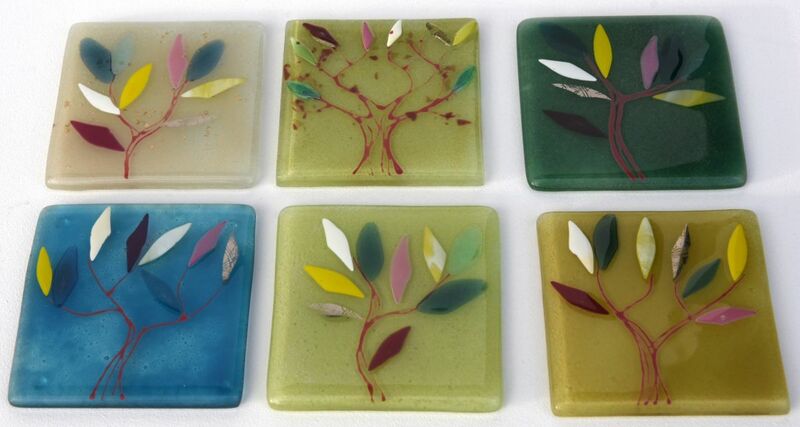 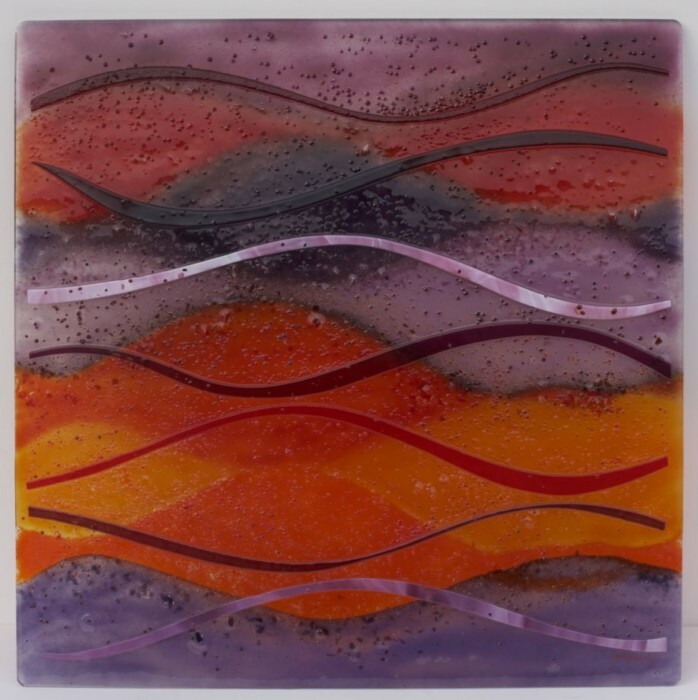 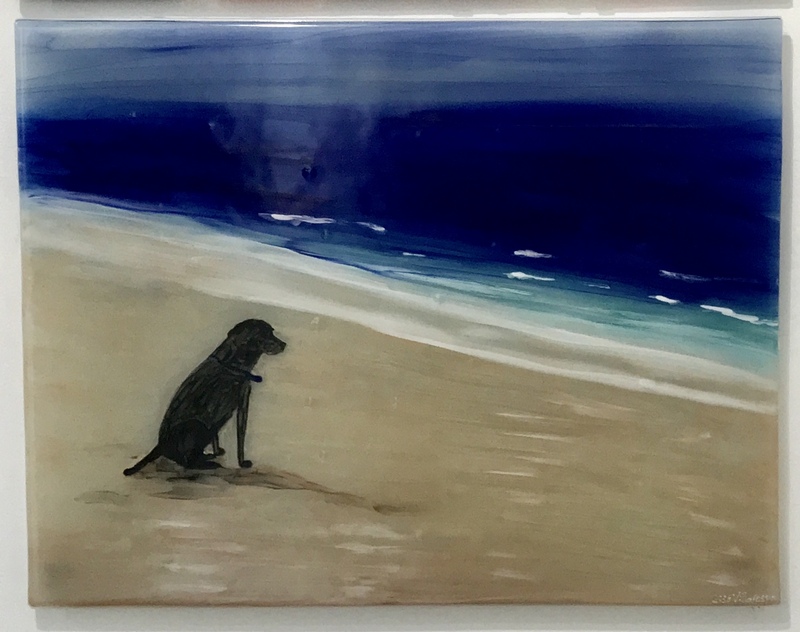 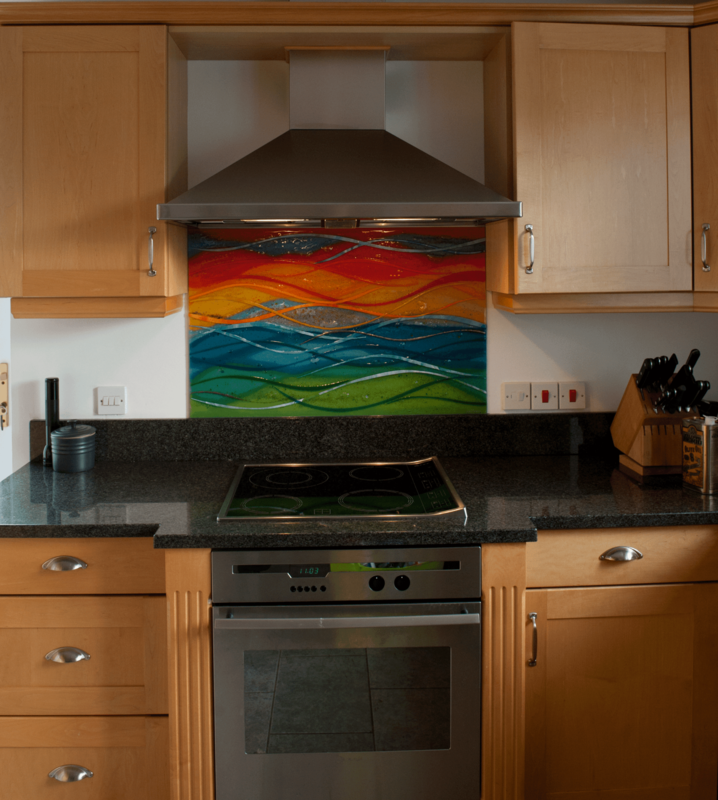 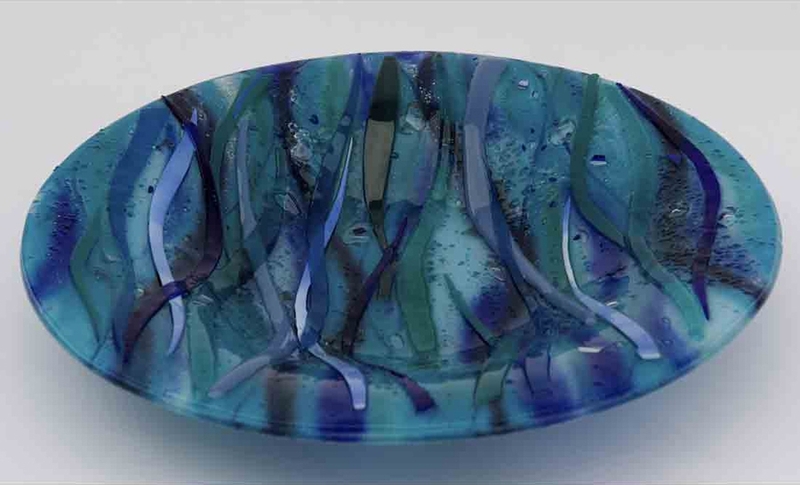 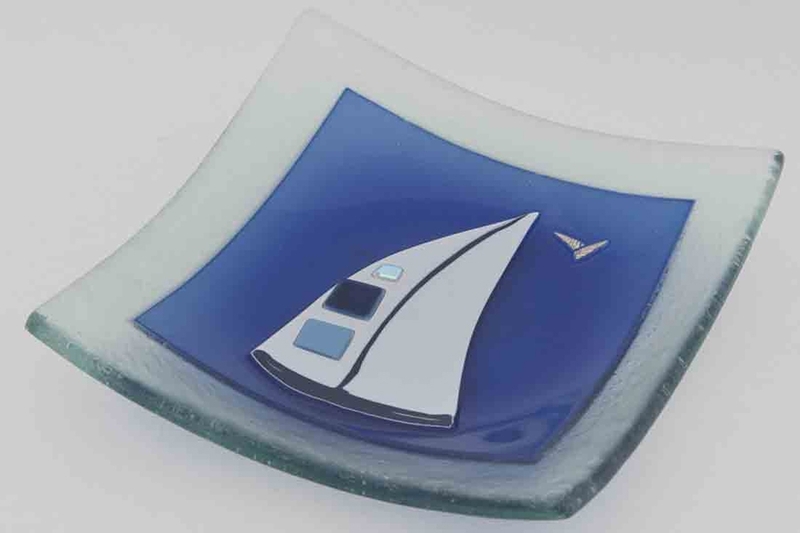 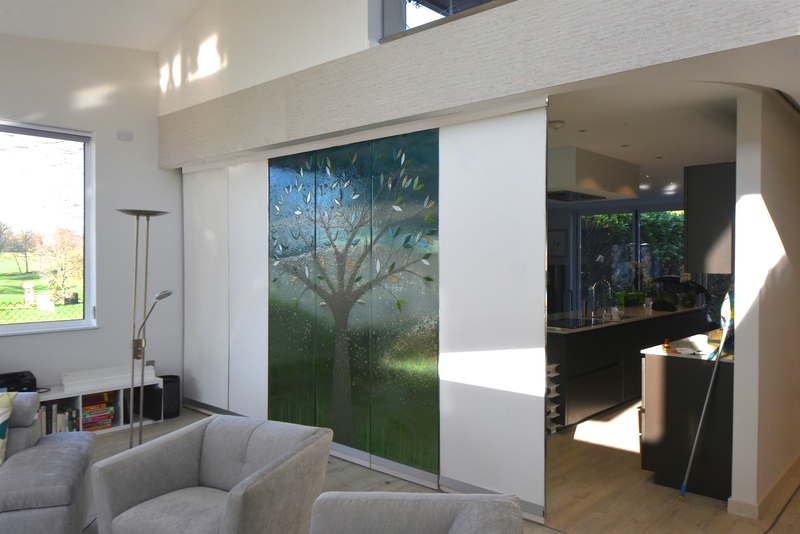 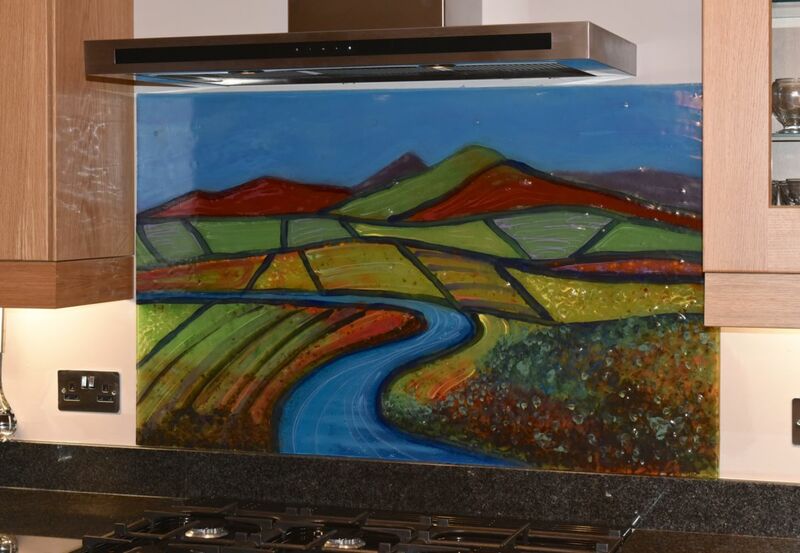 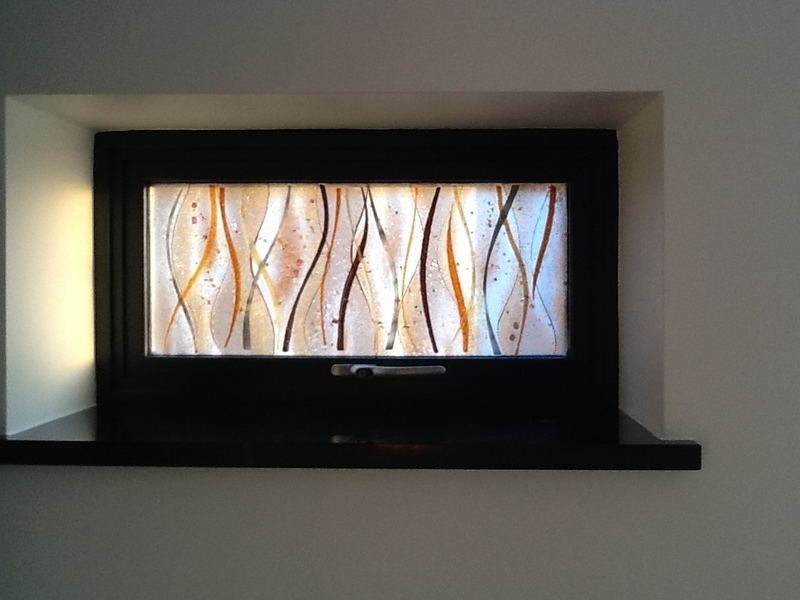 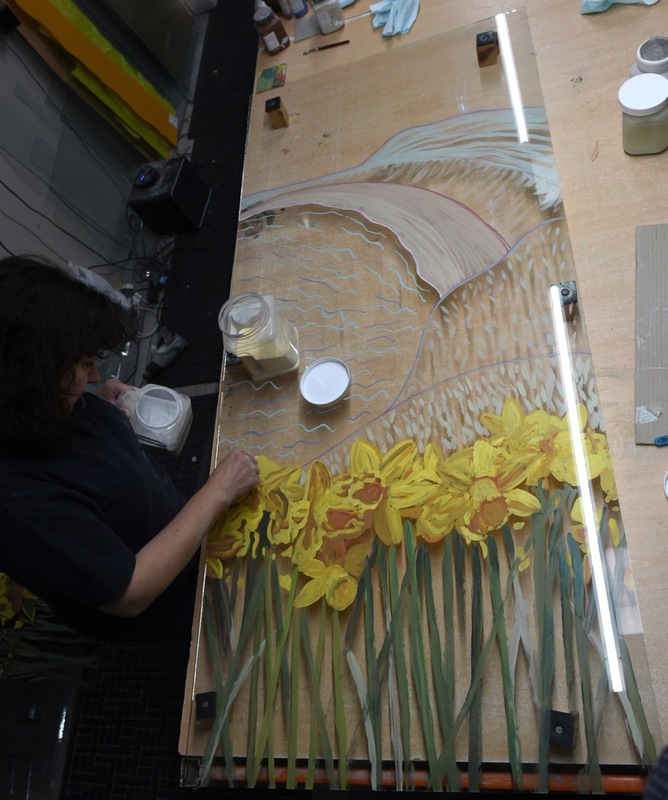 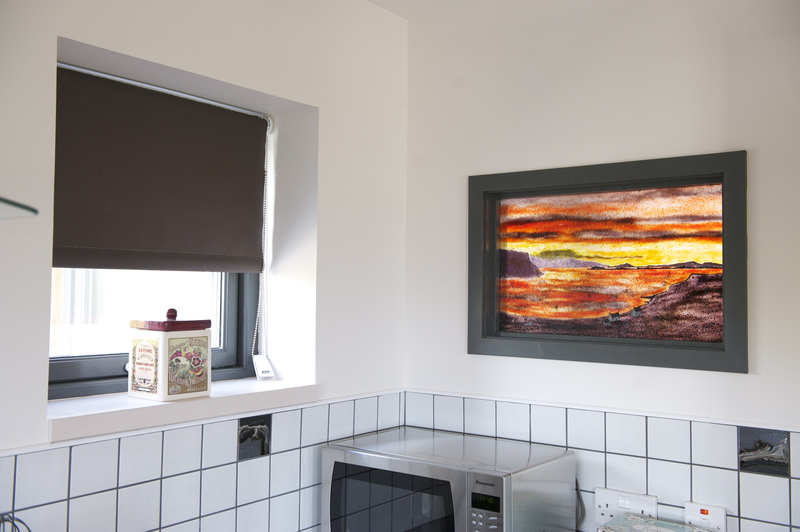 Take a look through our portfolio of completed work to see what we can do, and you’ll discover the endless possibilities of fused glass art! 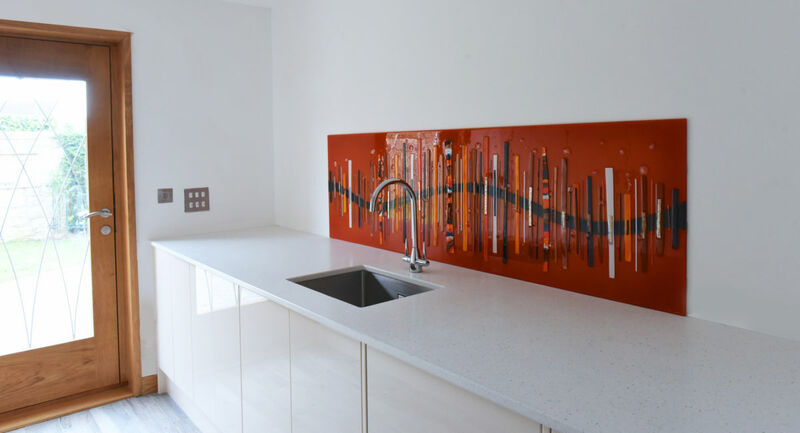 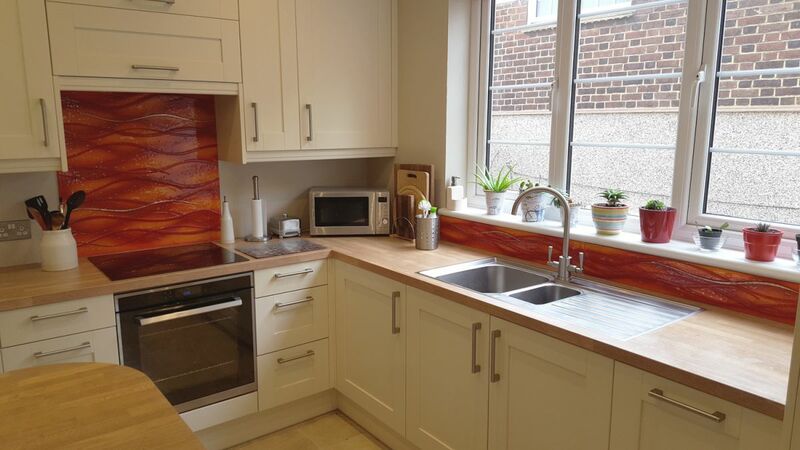 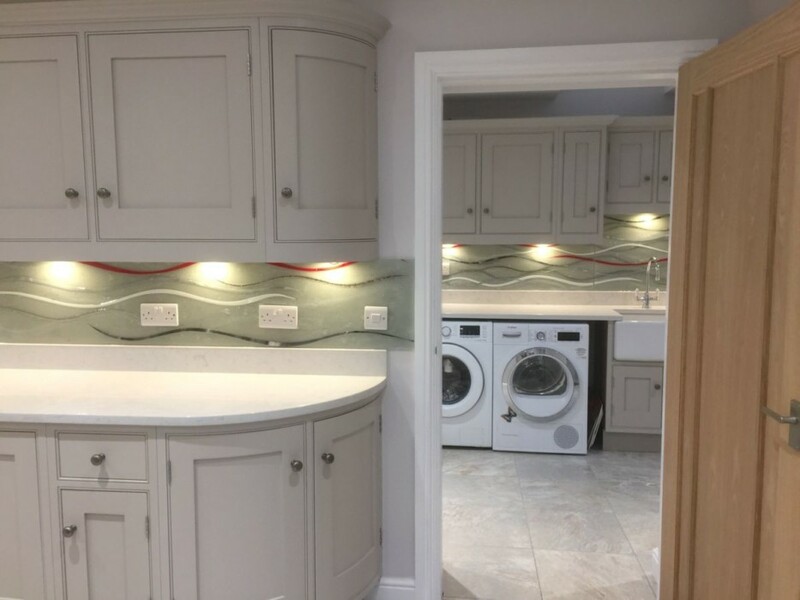 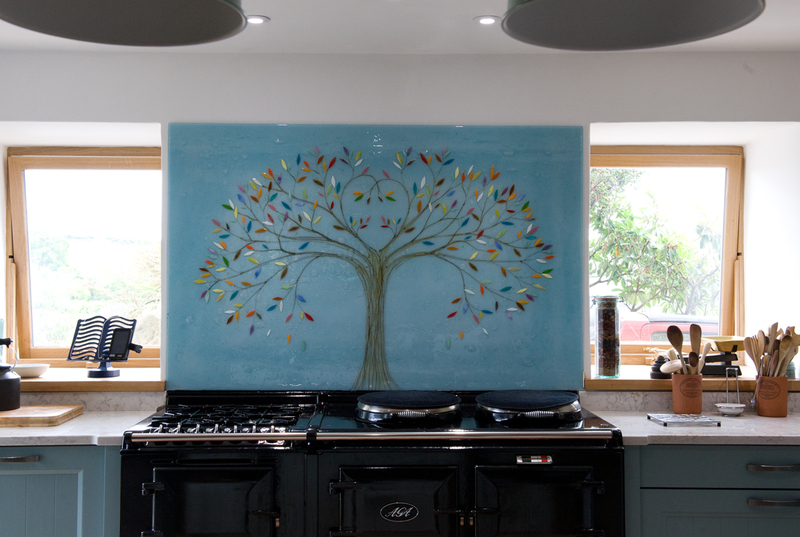 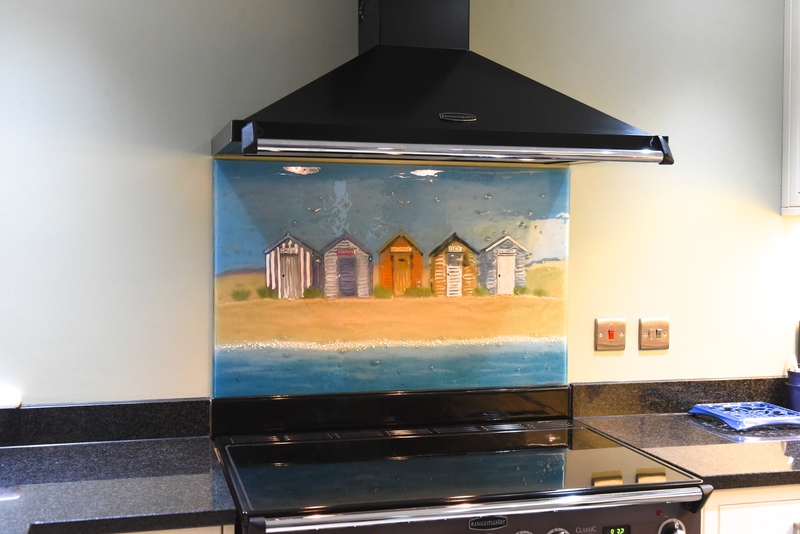 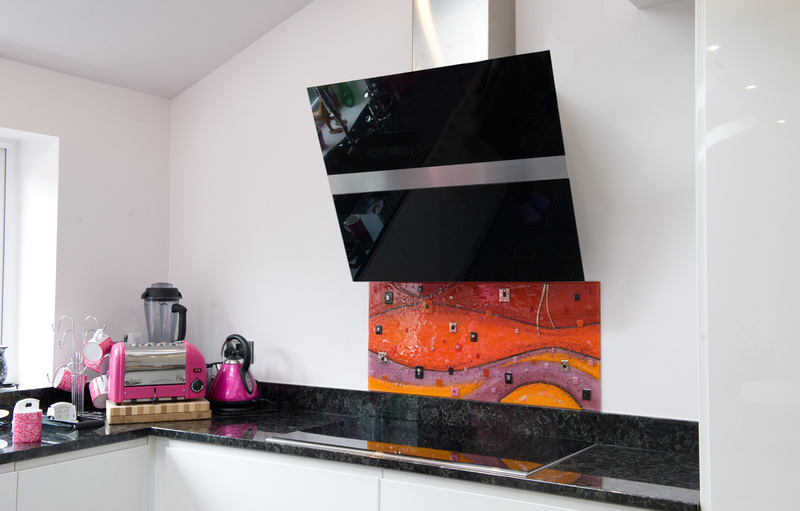 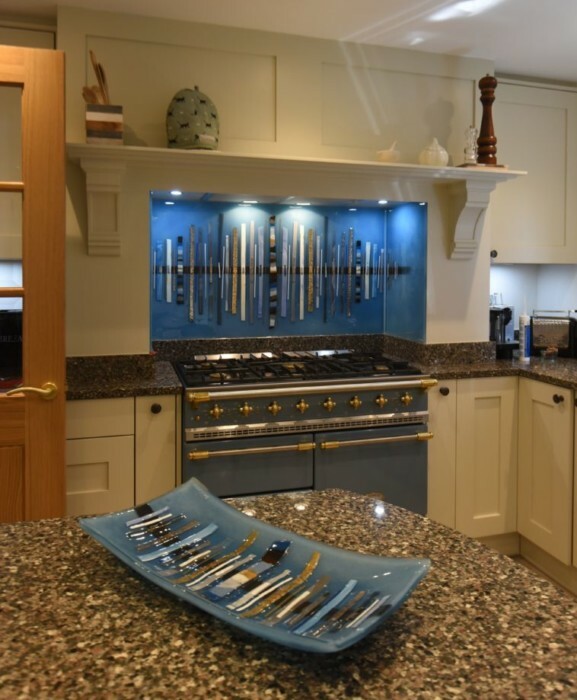 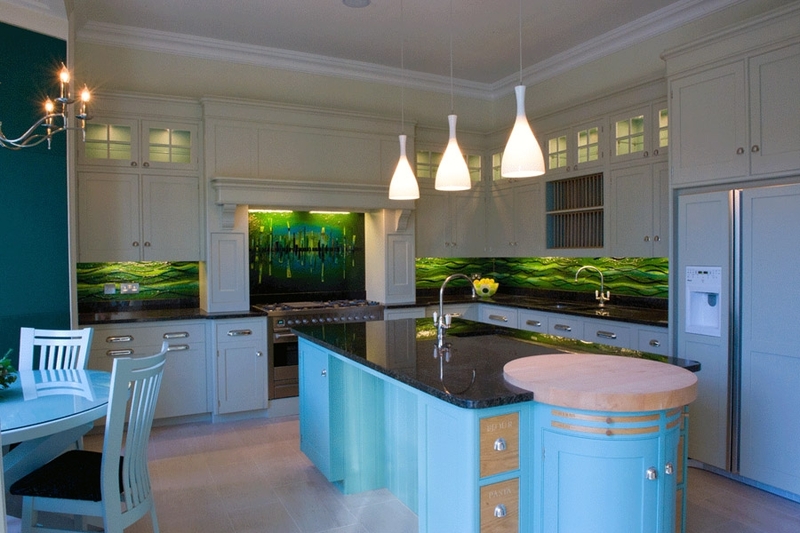 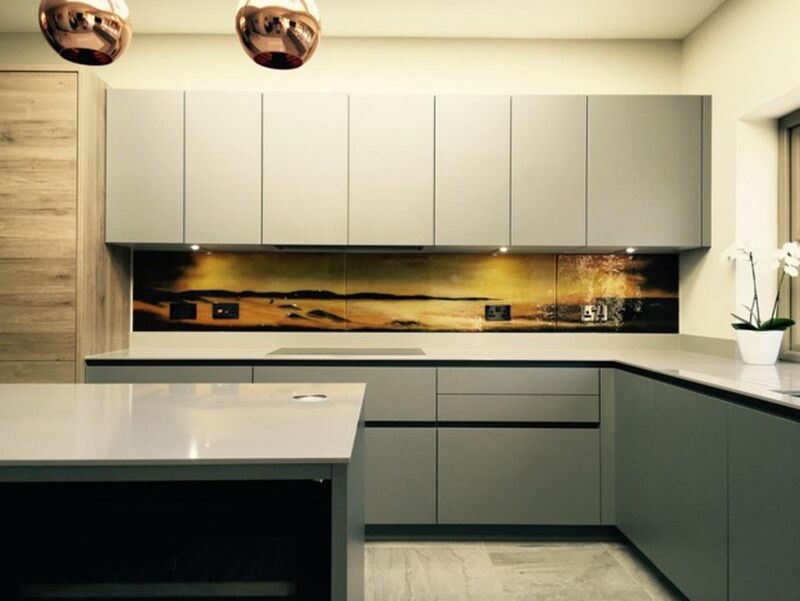 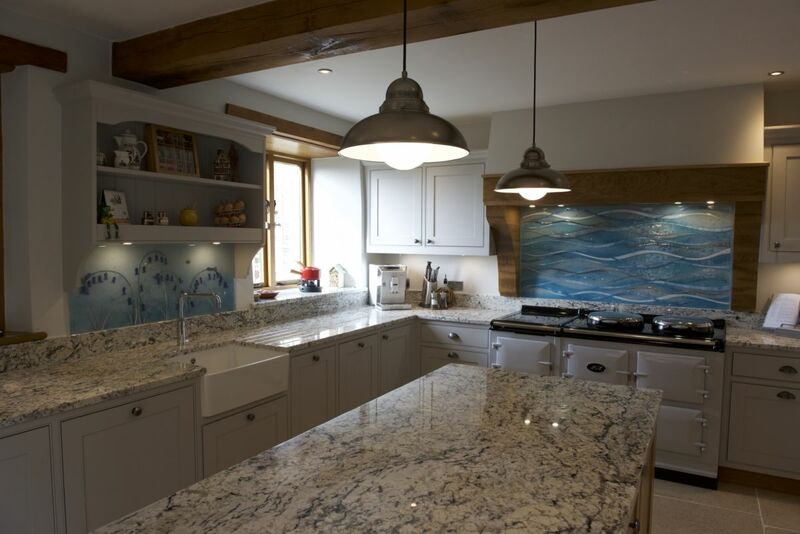 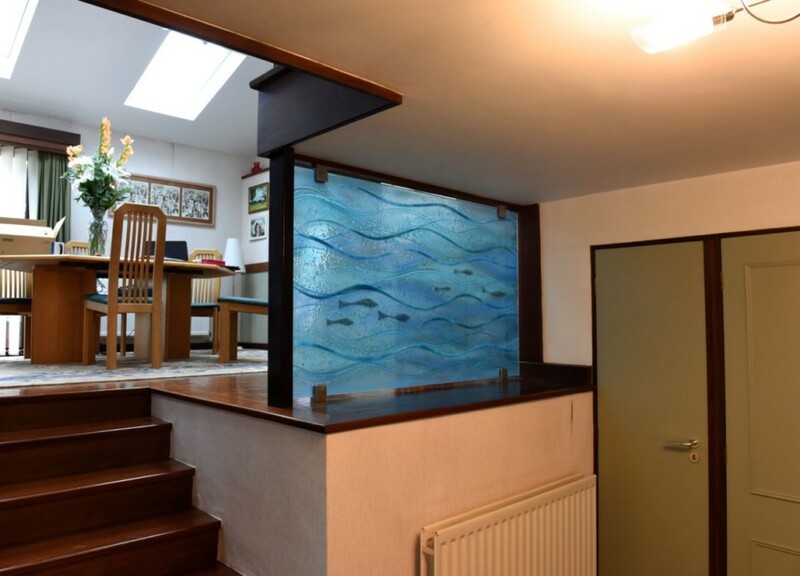 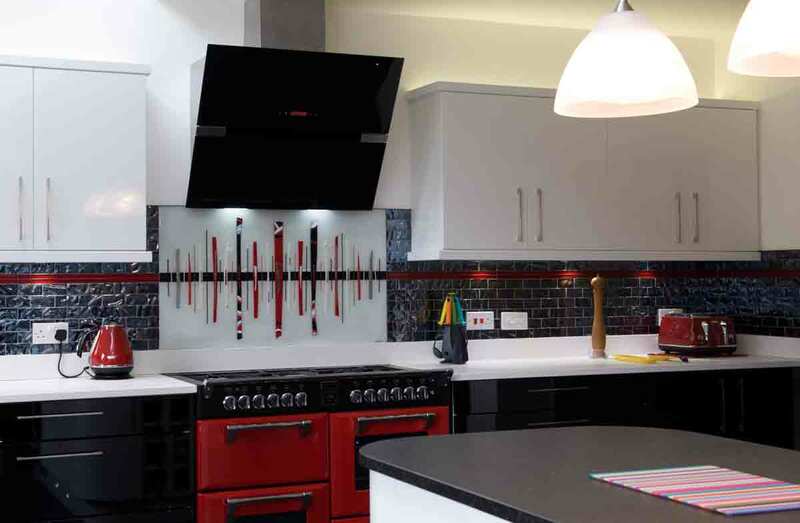 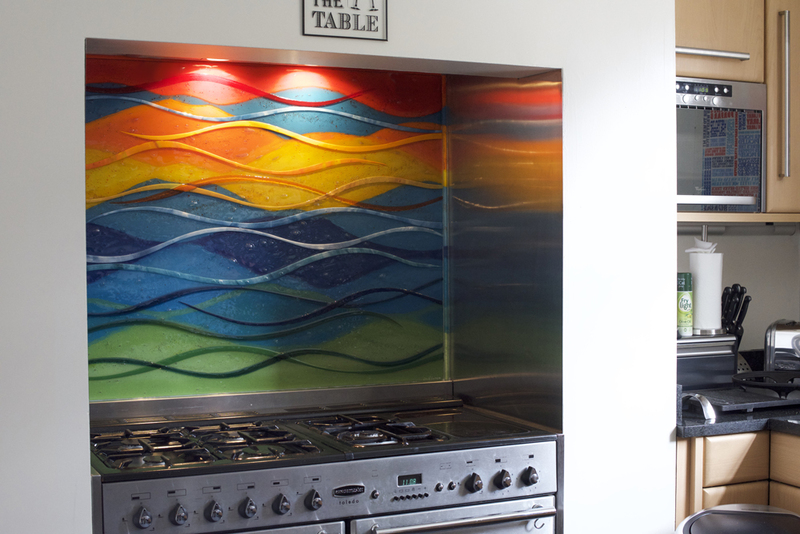 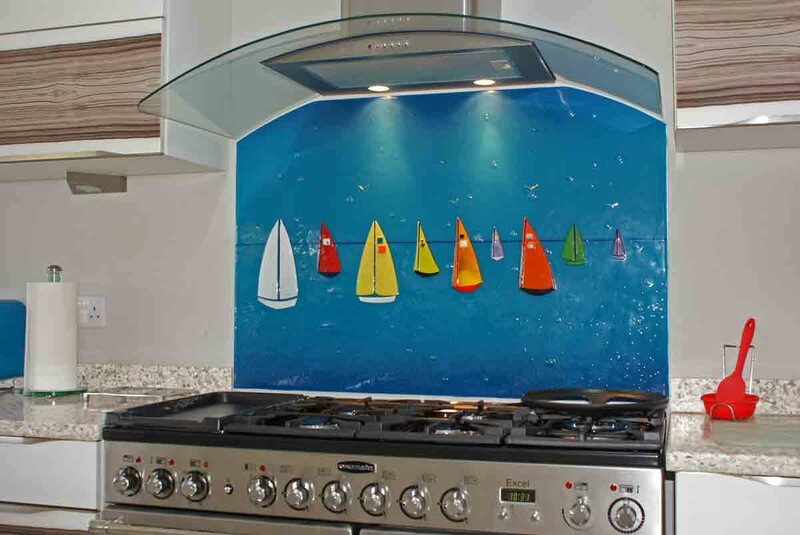 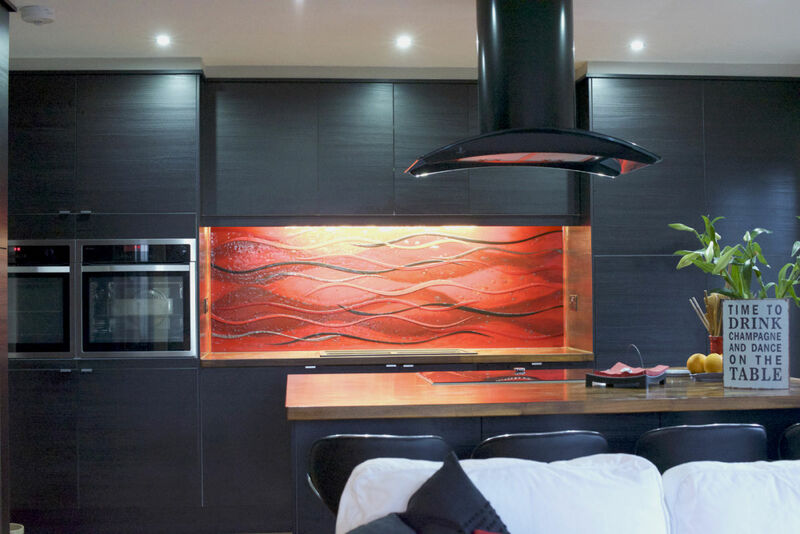 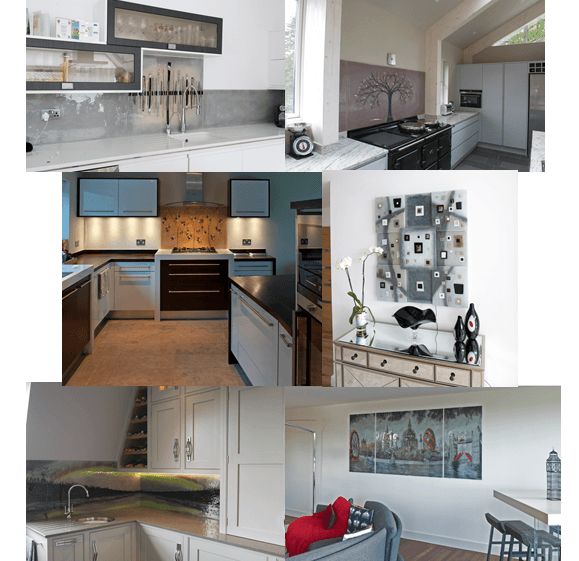 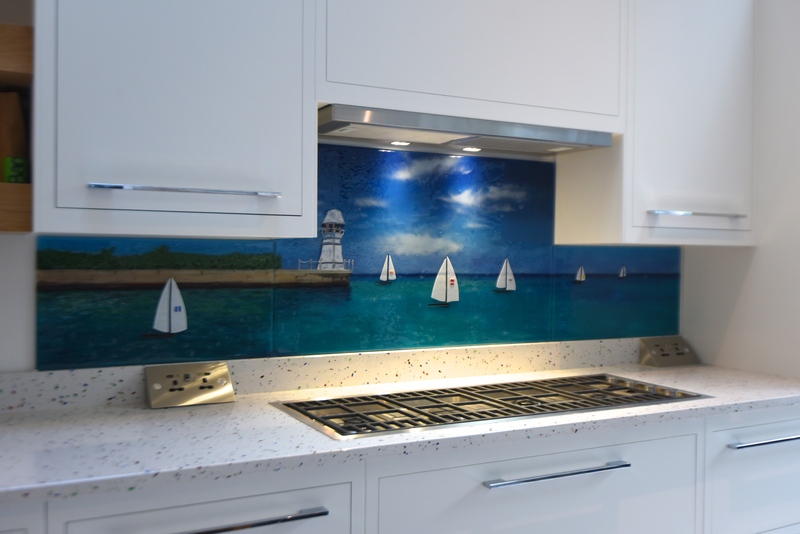 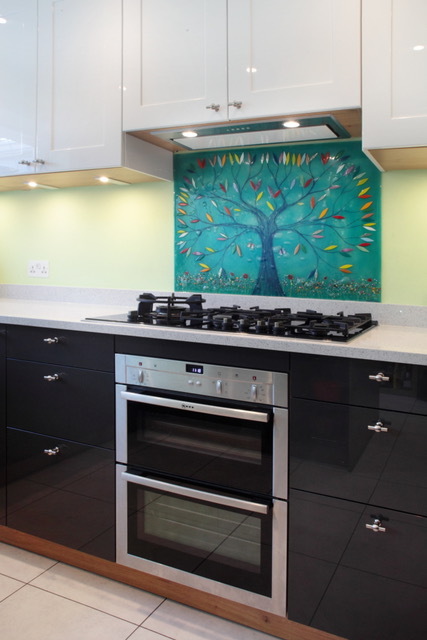 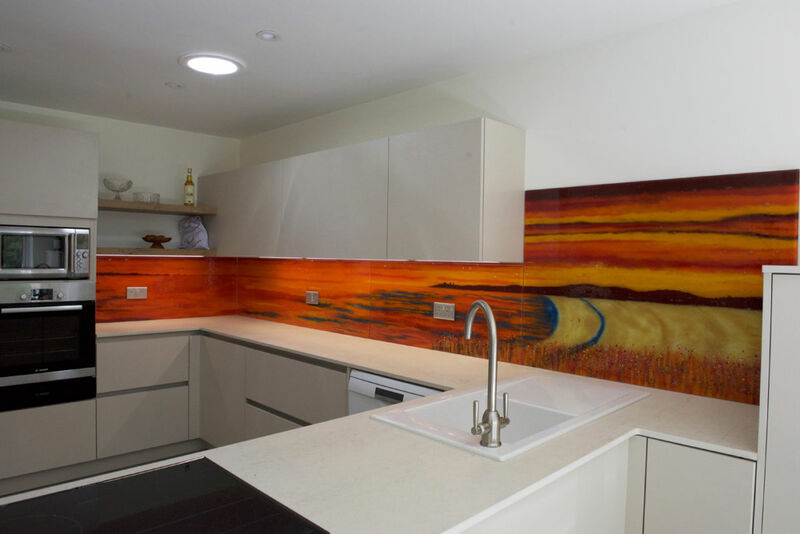 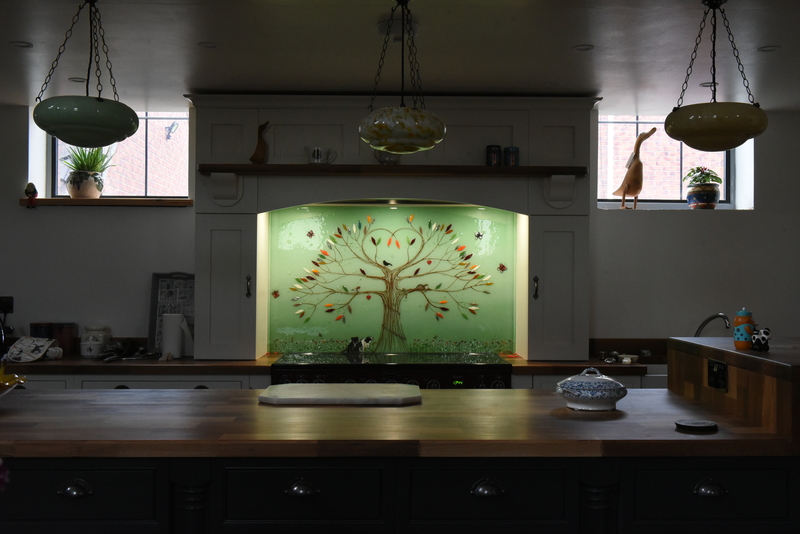 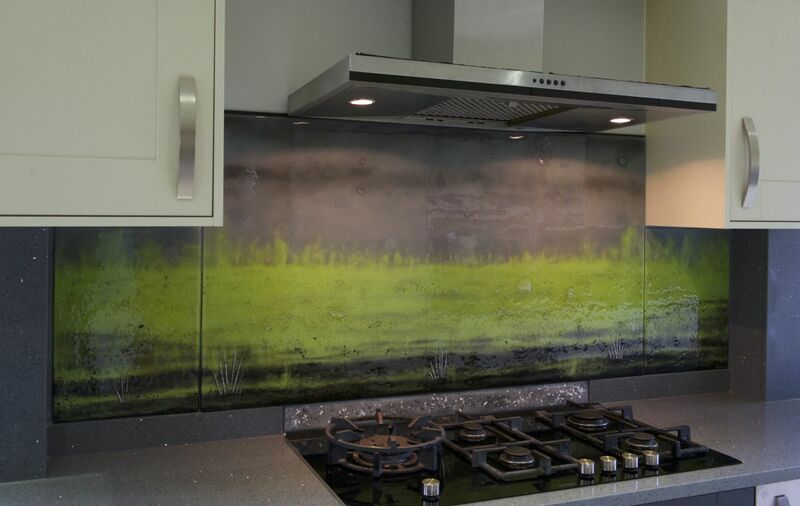 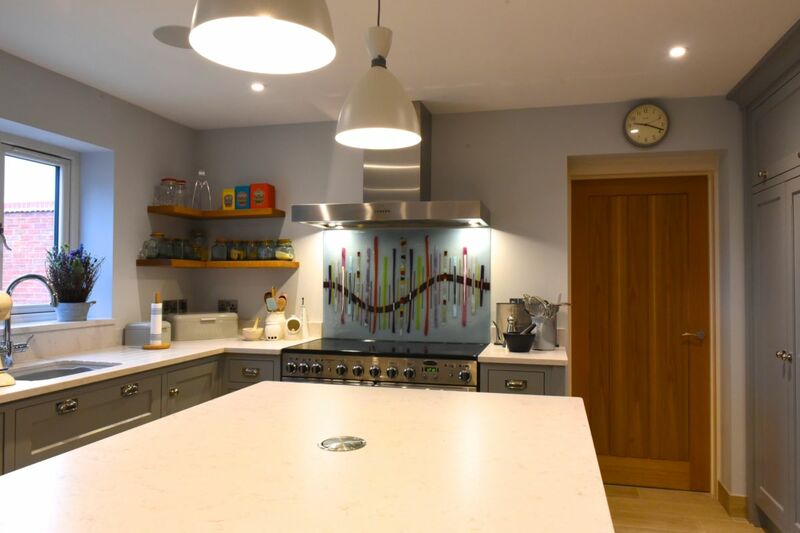 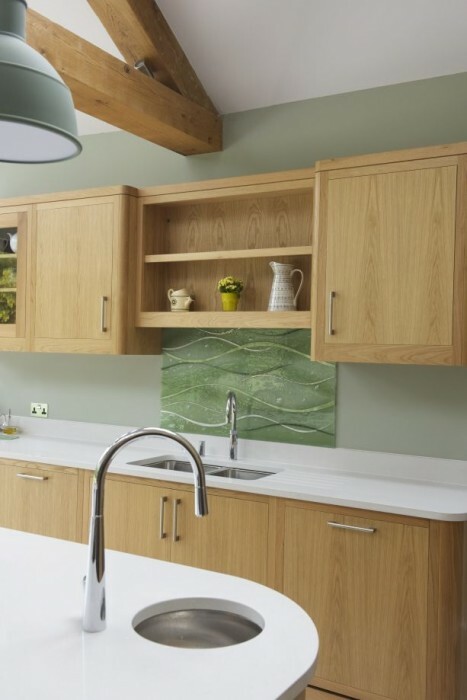 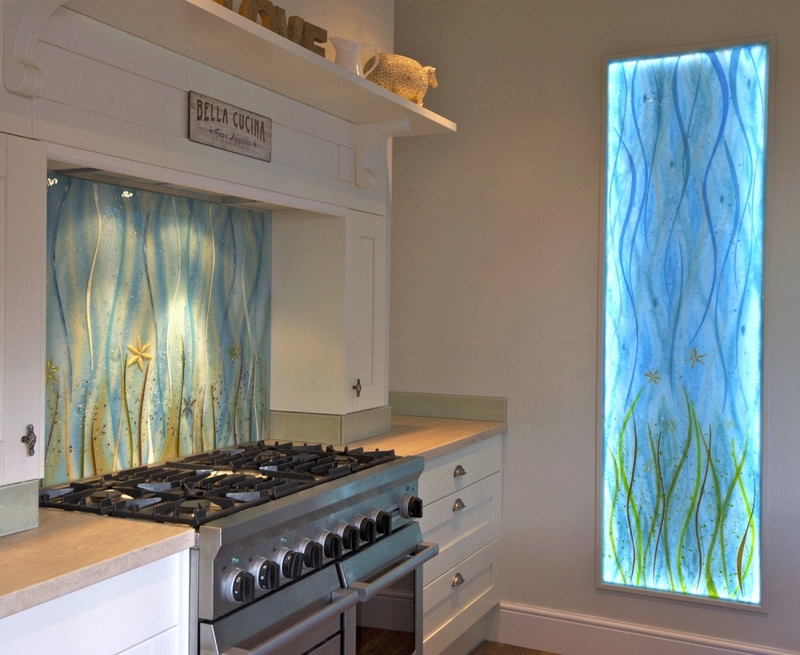 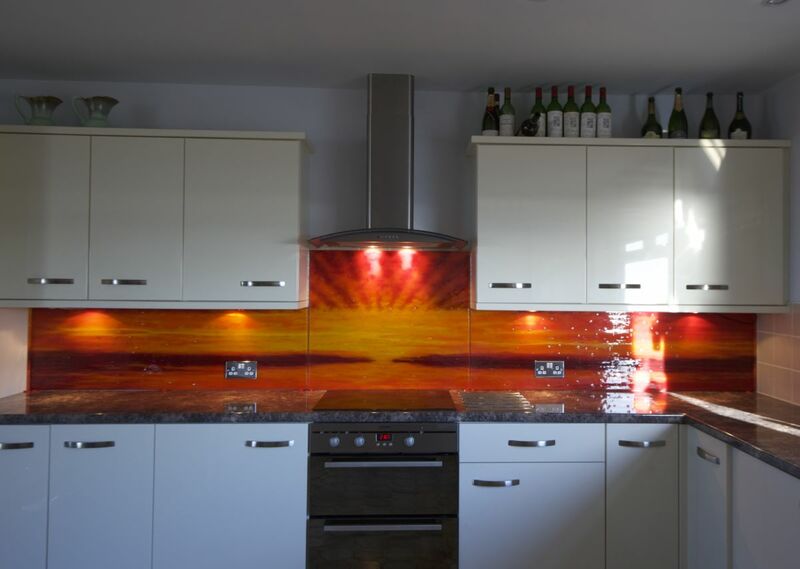 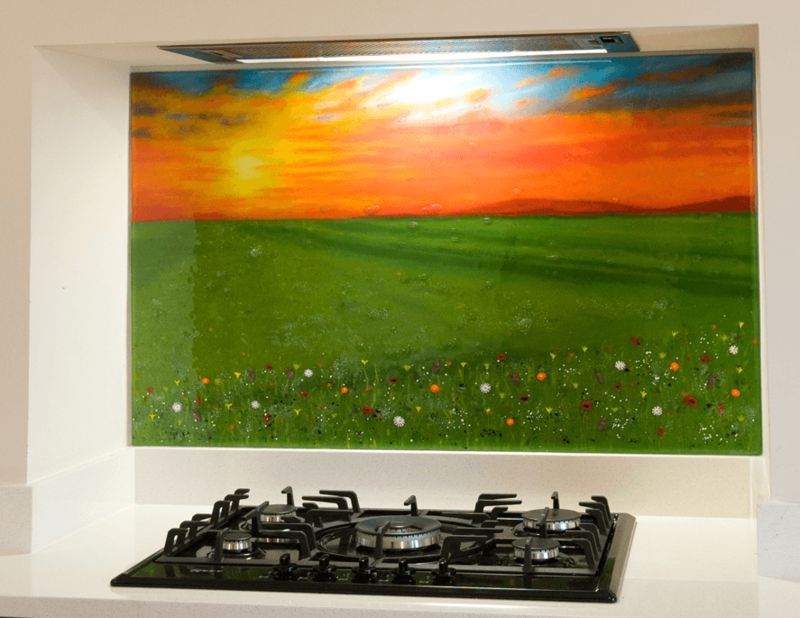 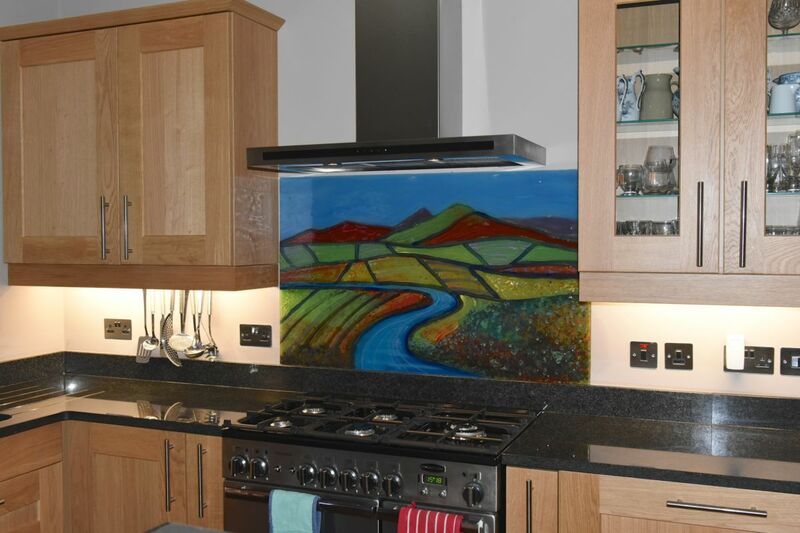 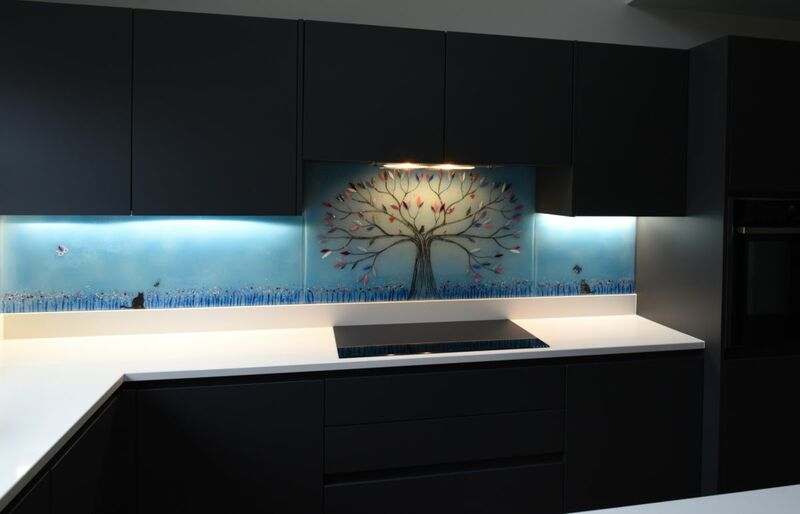 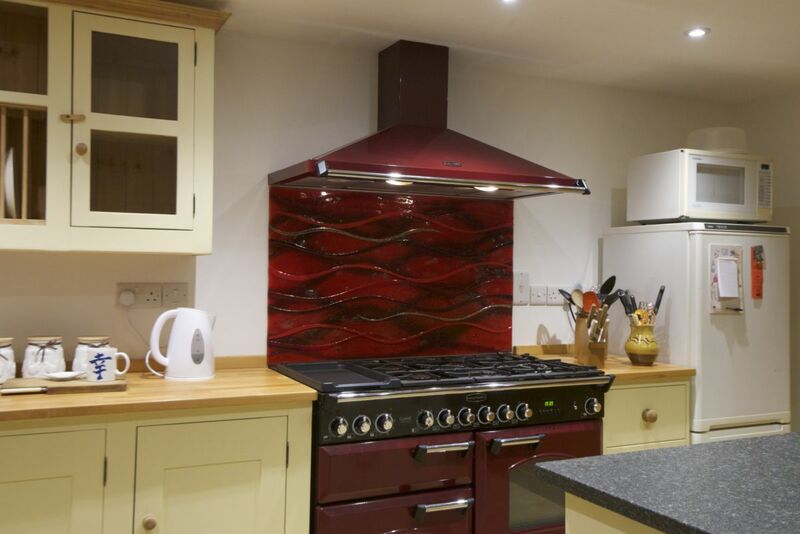 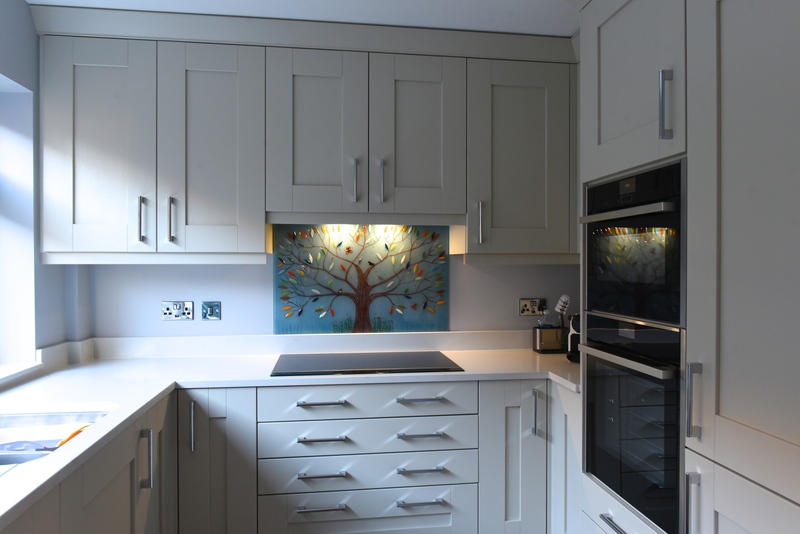 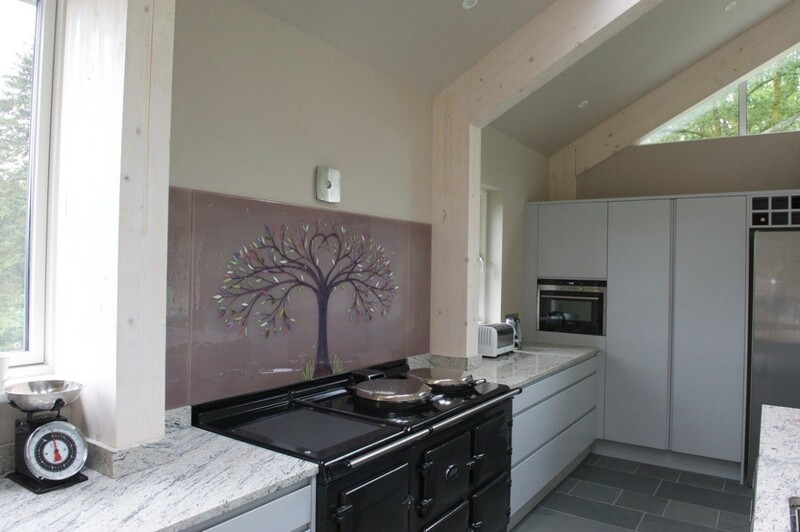 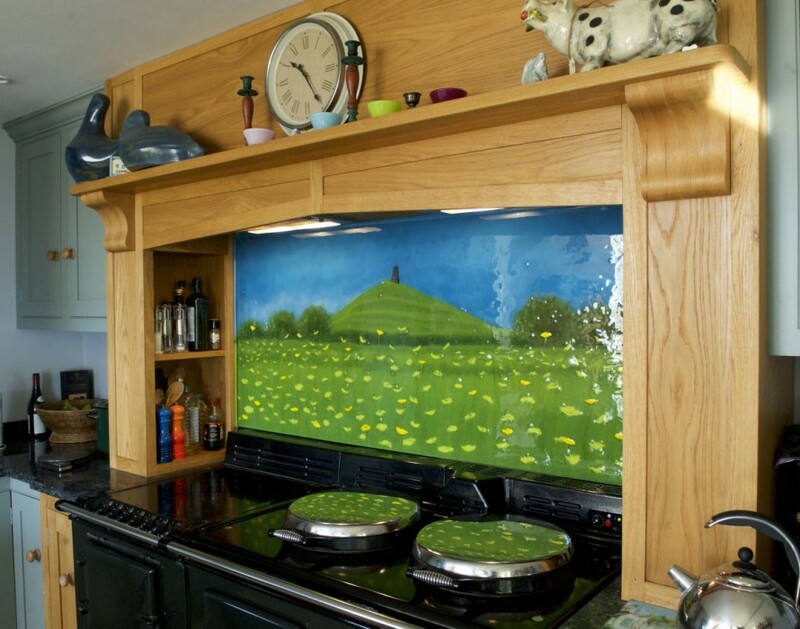 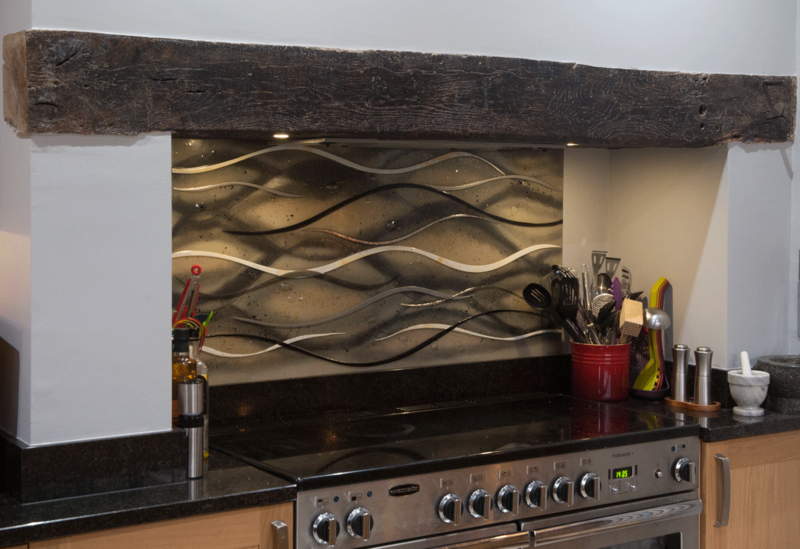 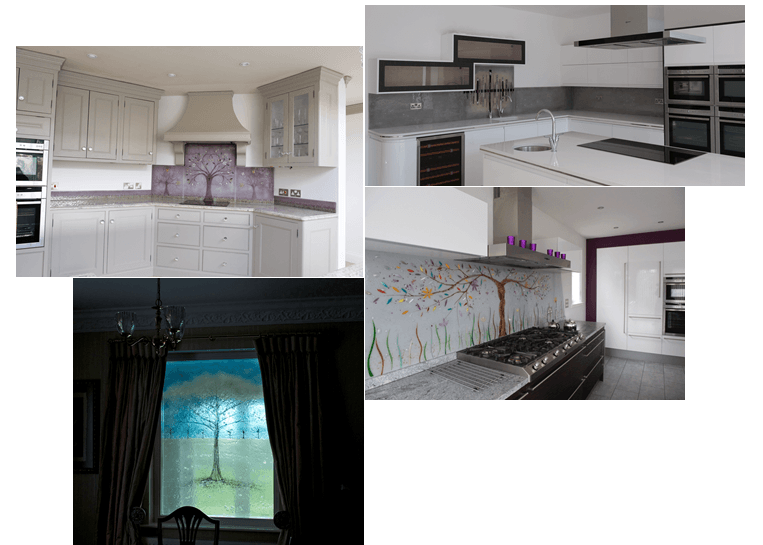 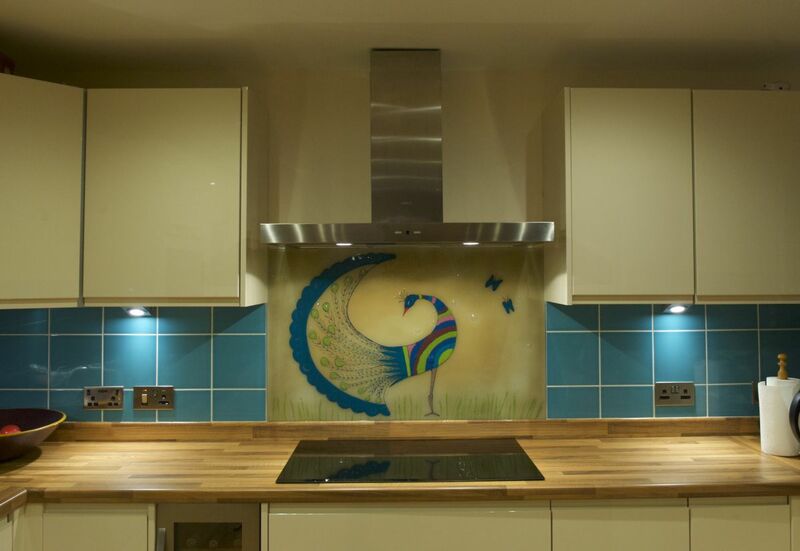 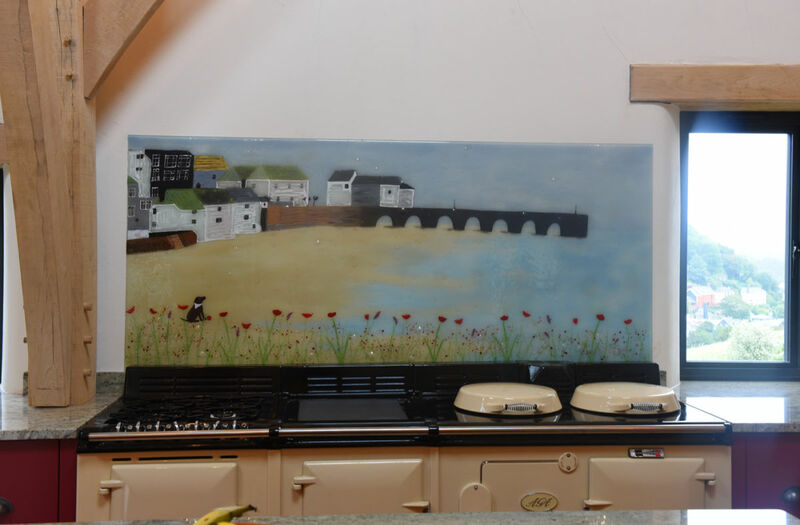 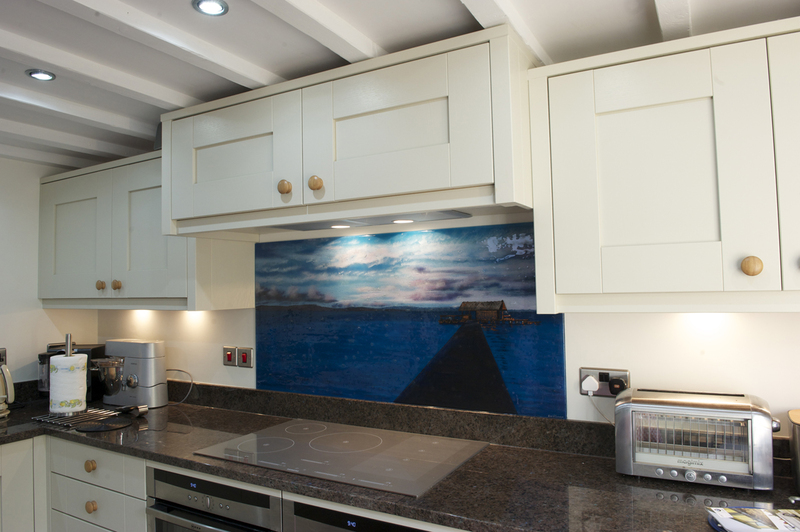 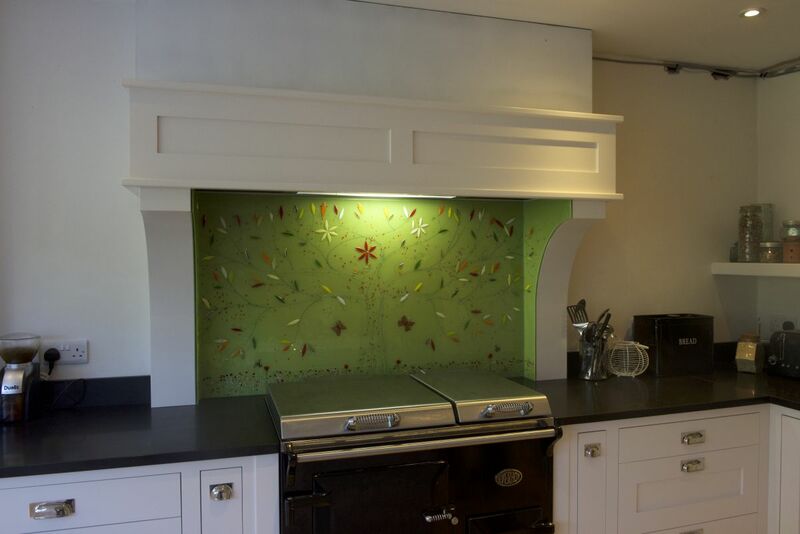 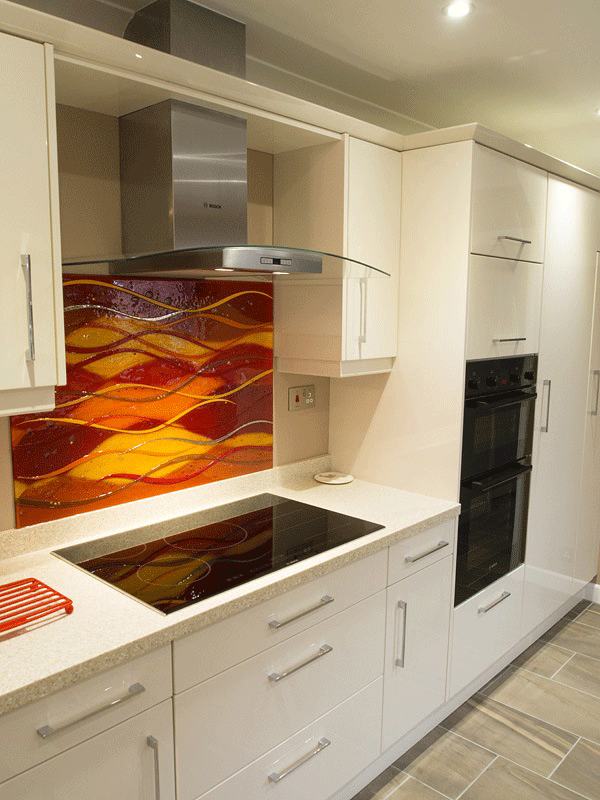 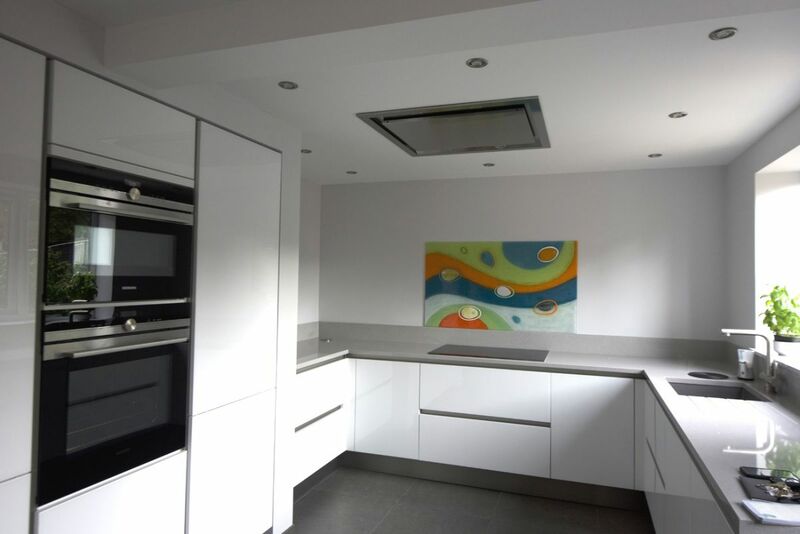 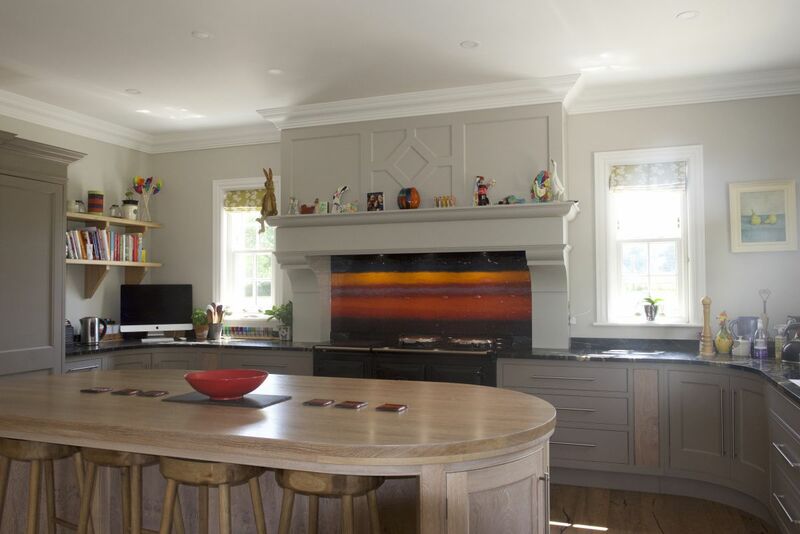 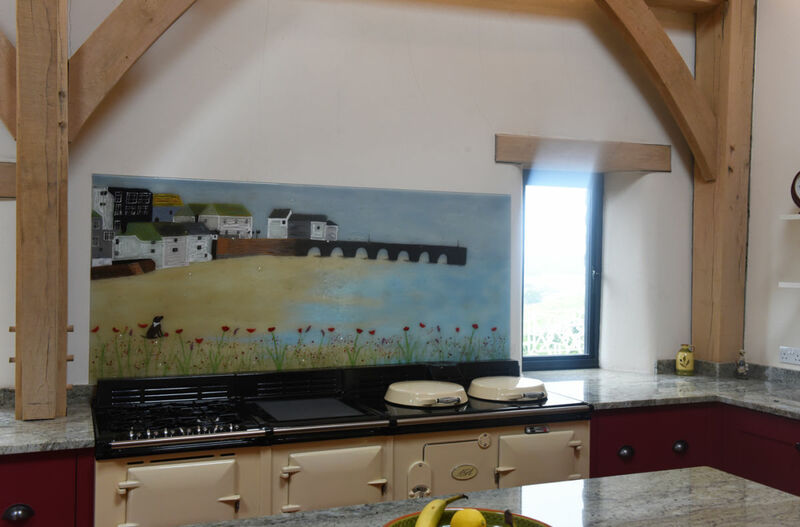 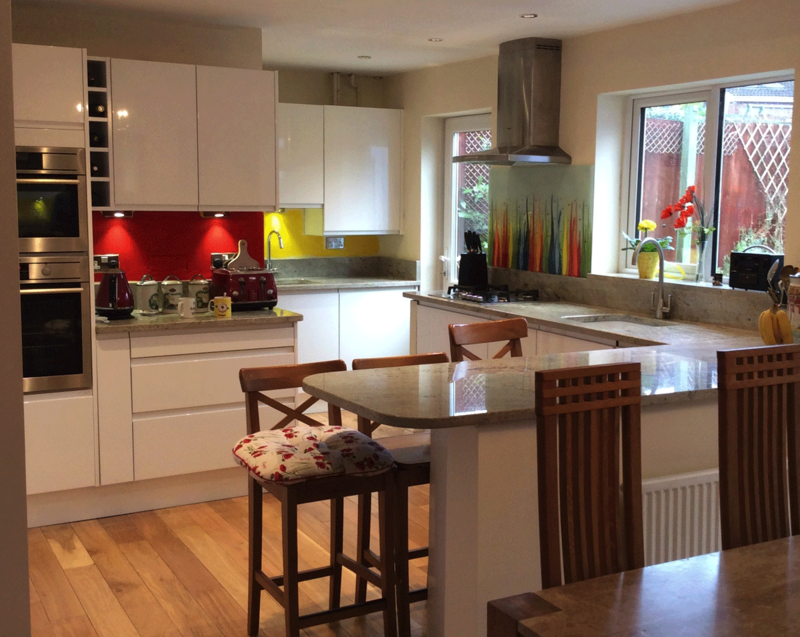 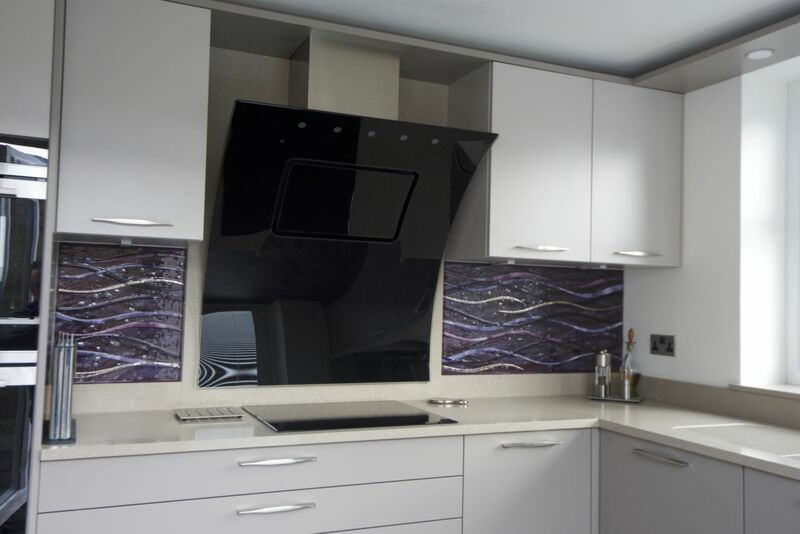 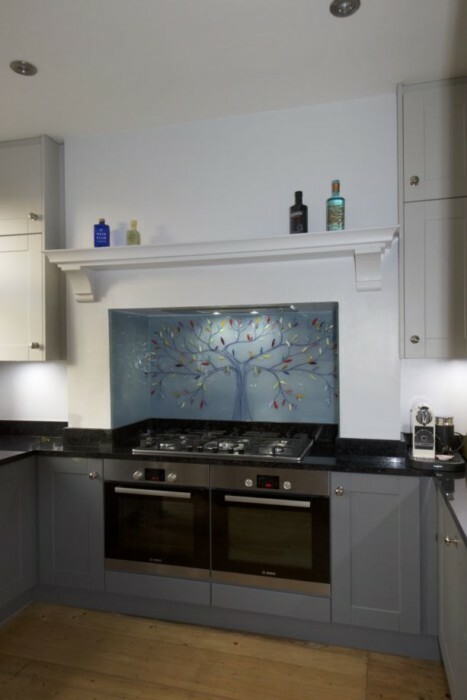 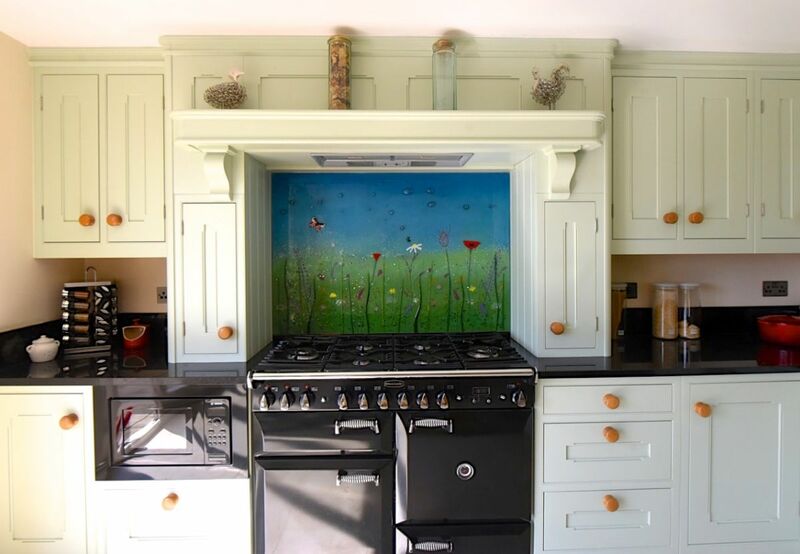 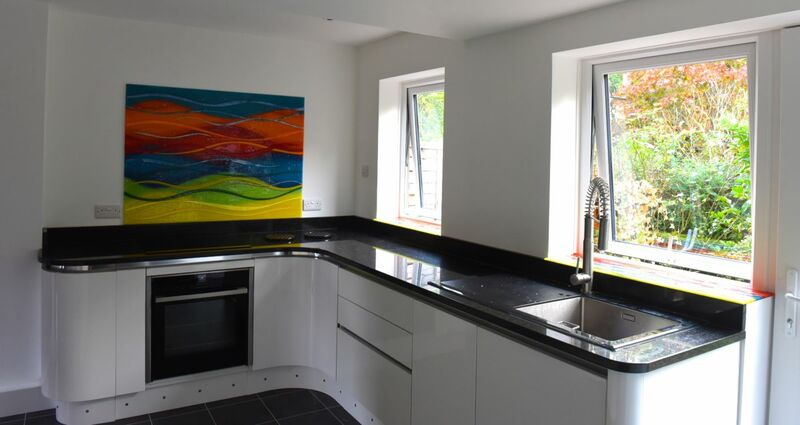 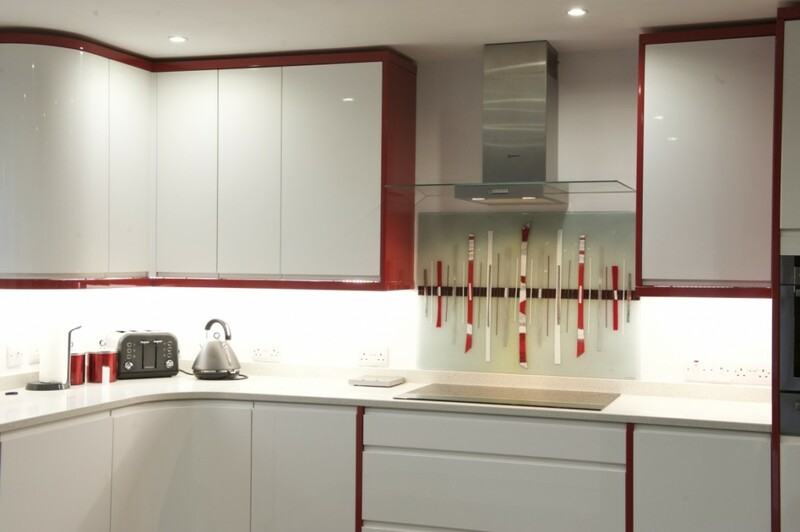 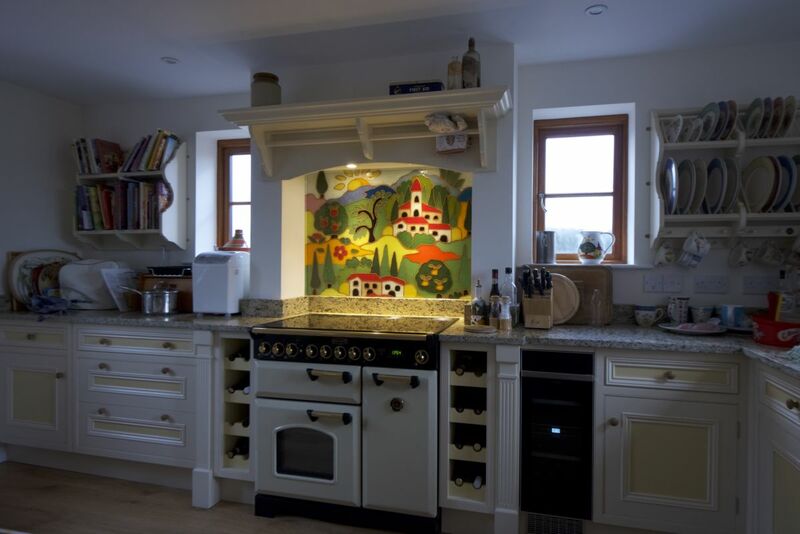 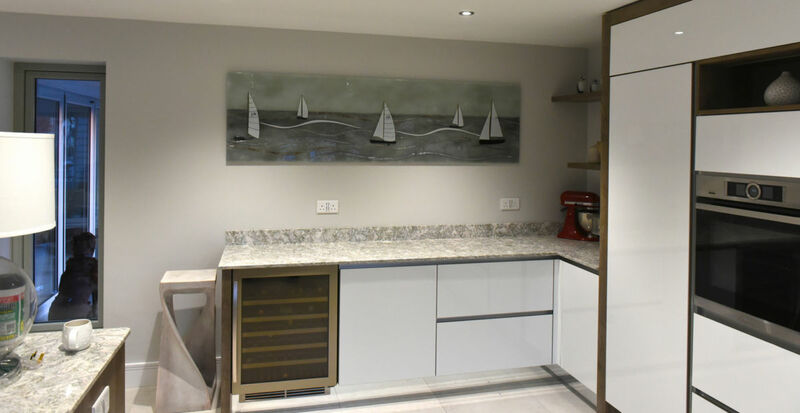 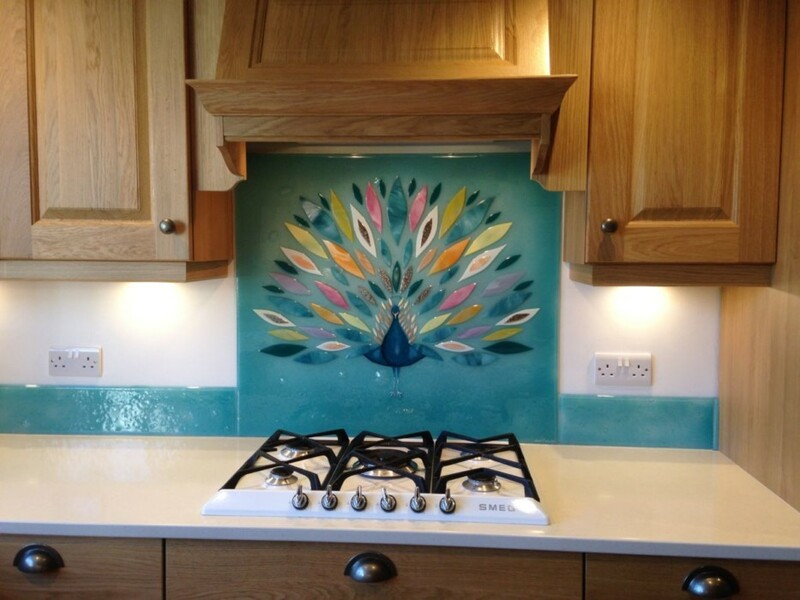 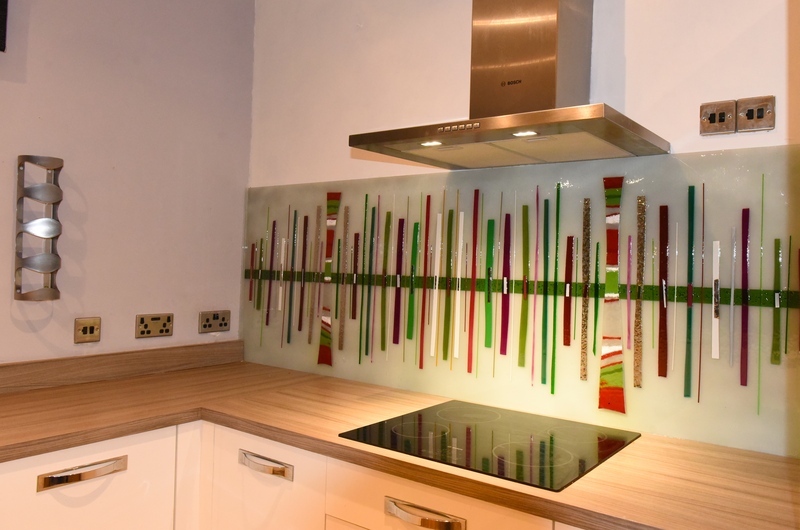 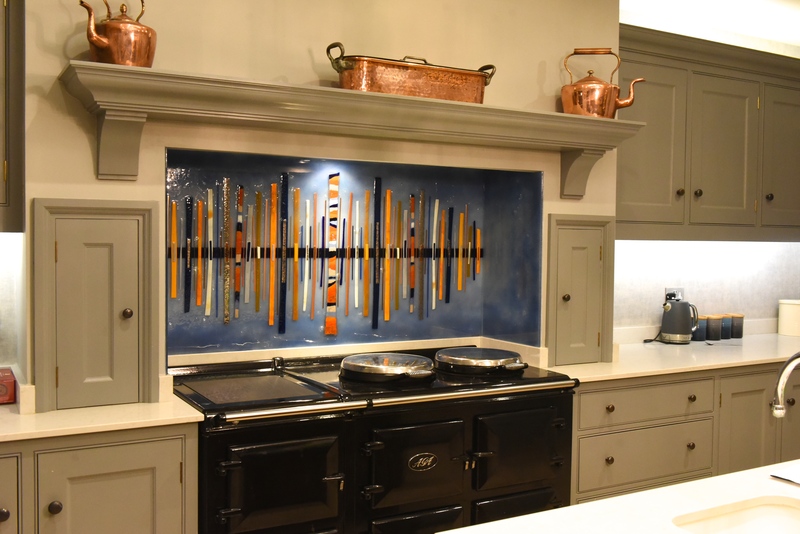 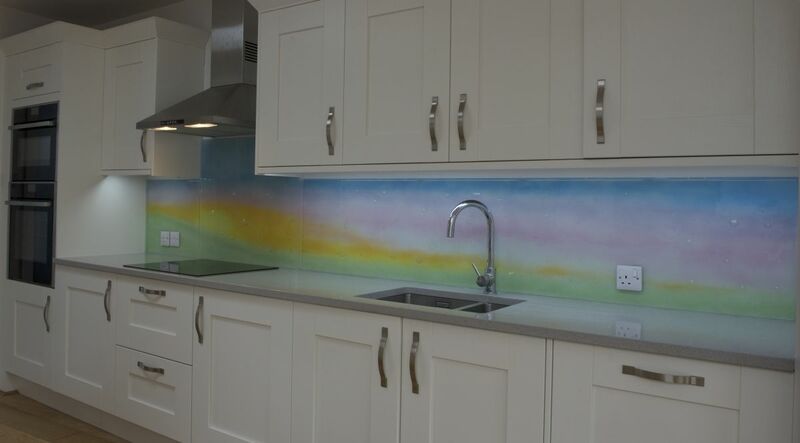 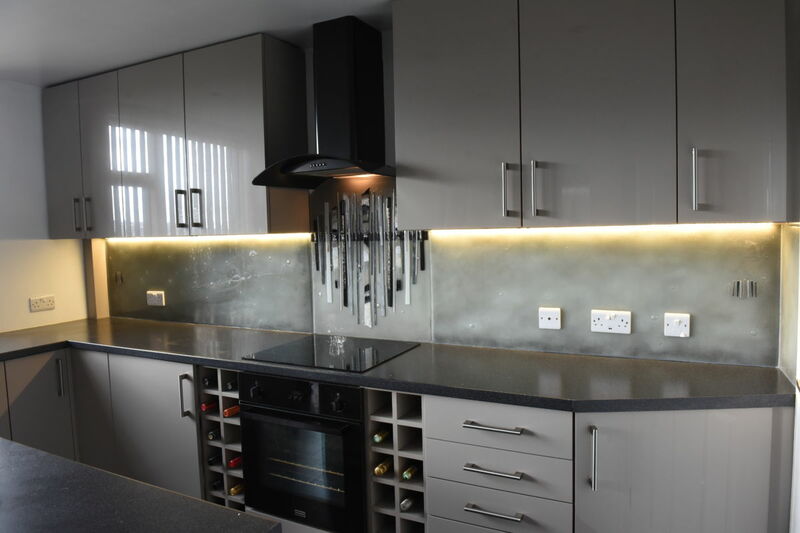 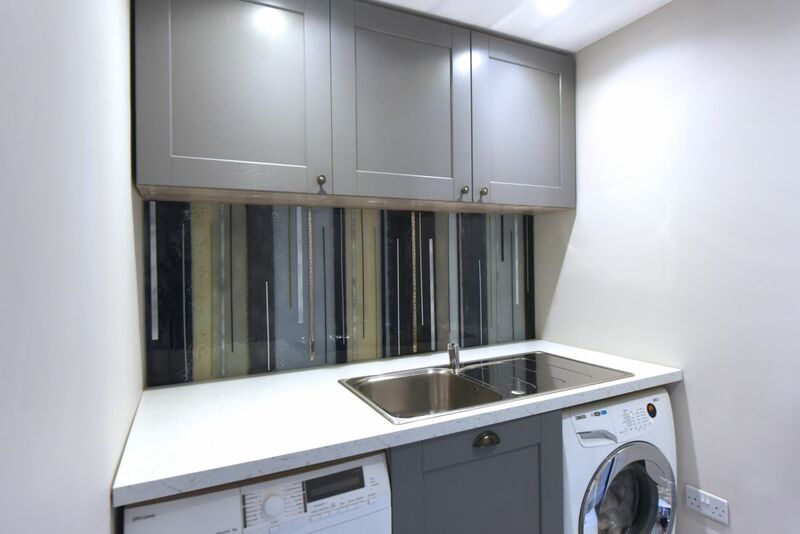 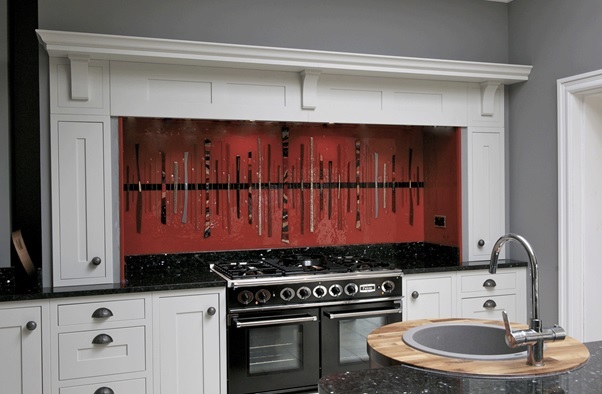 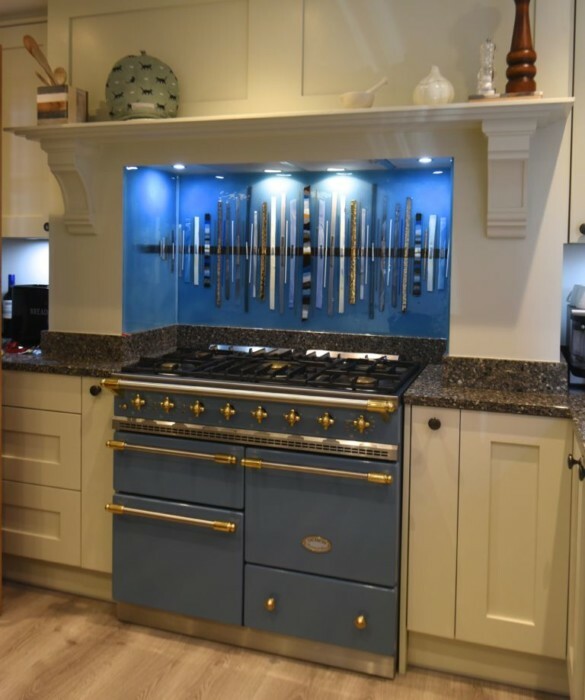 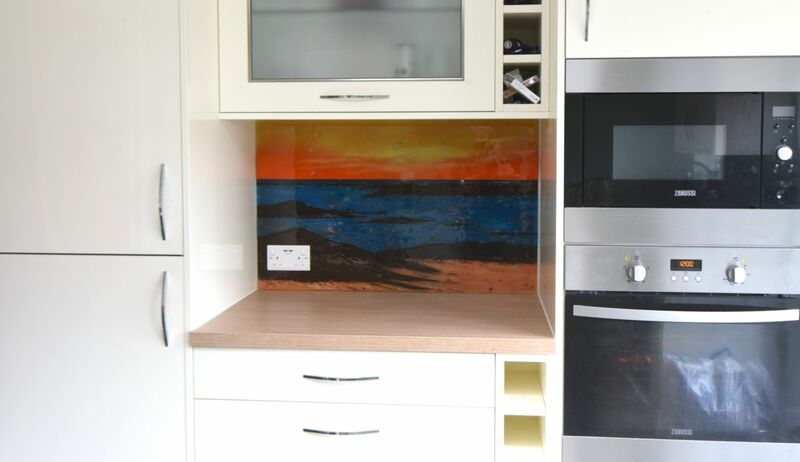 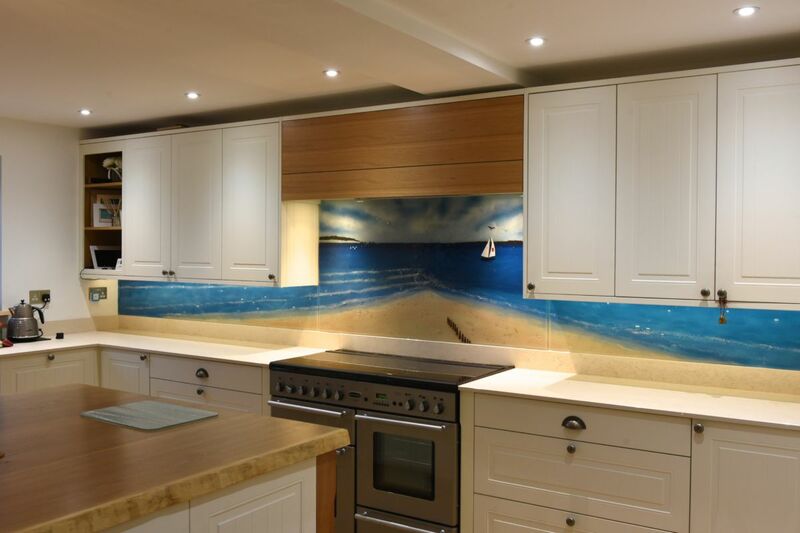 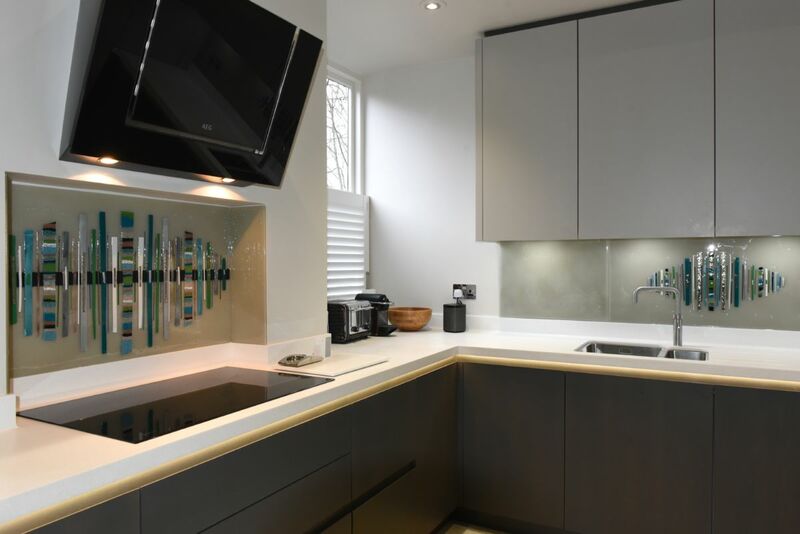 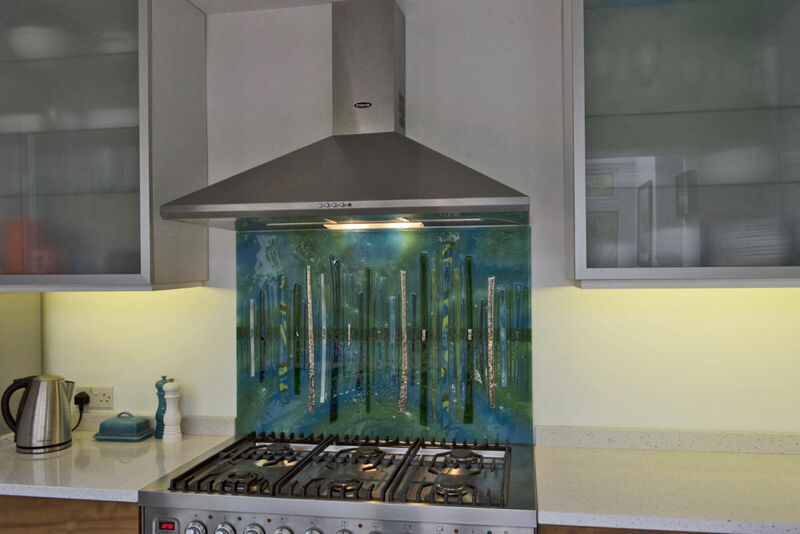 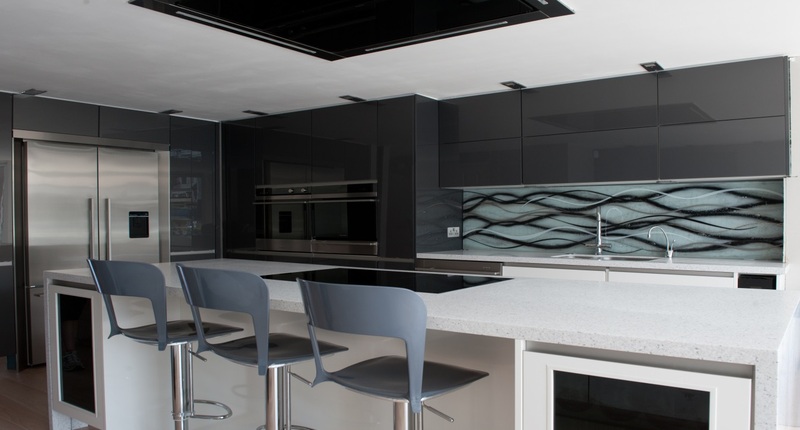 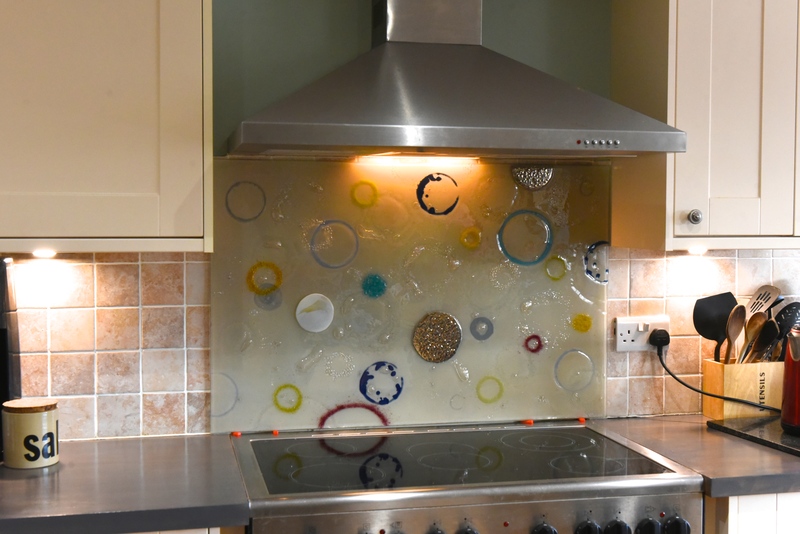 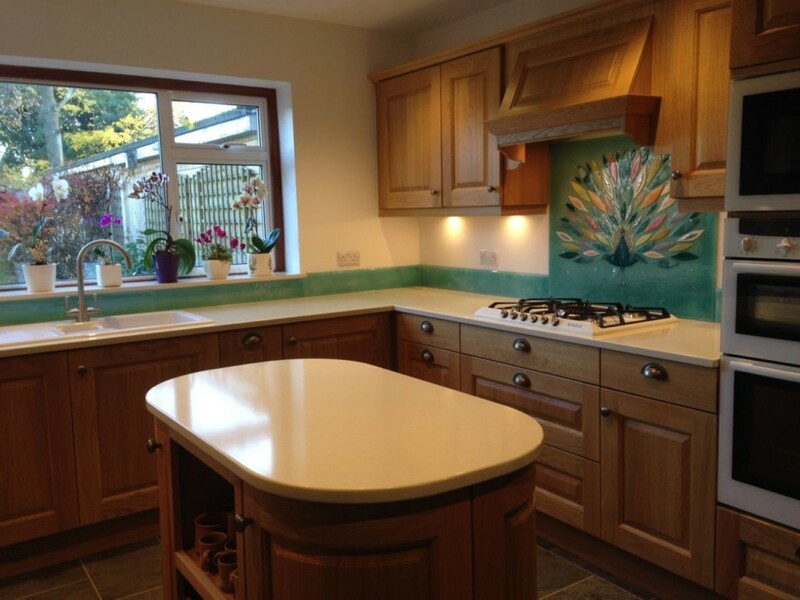 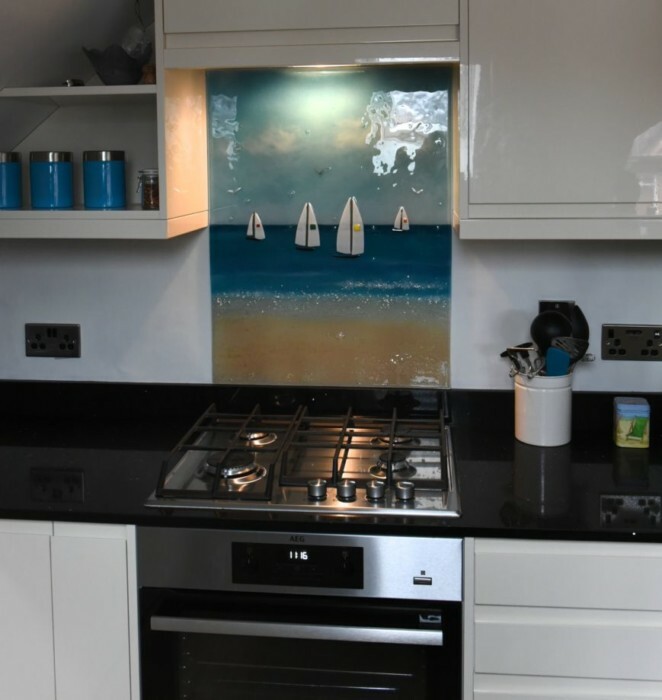 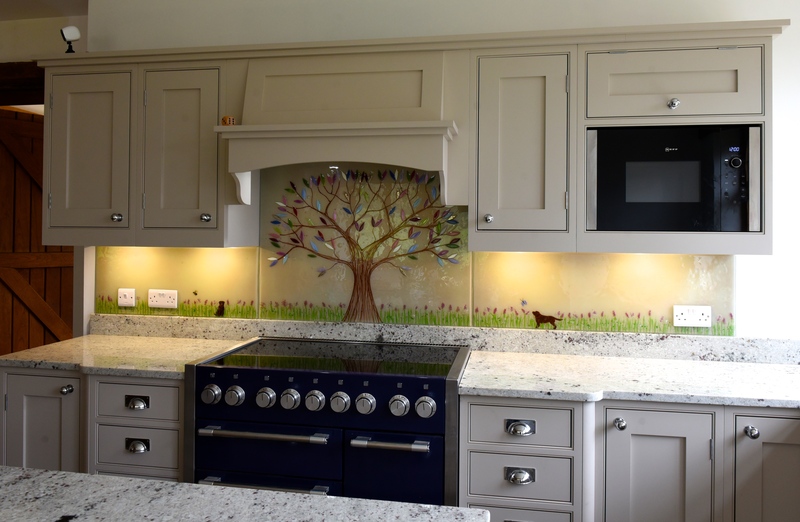 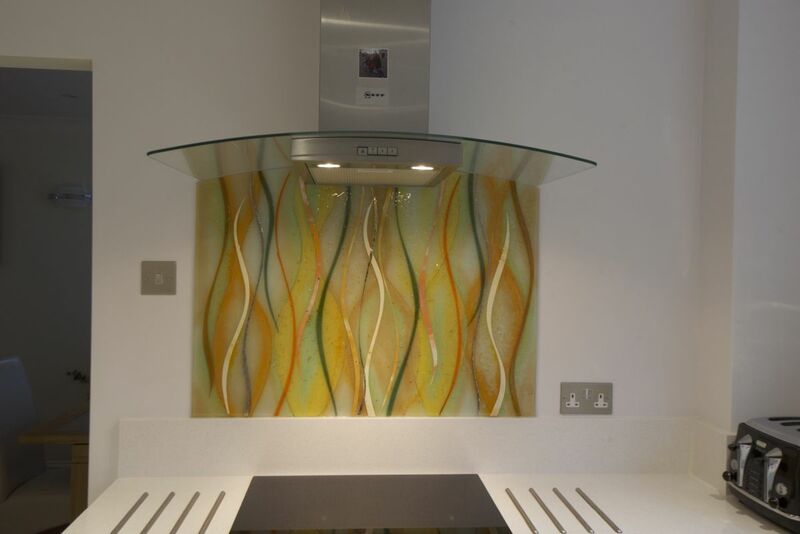 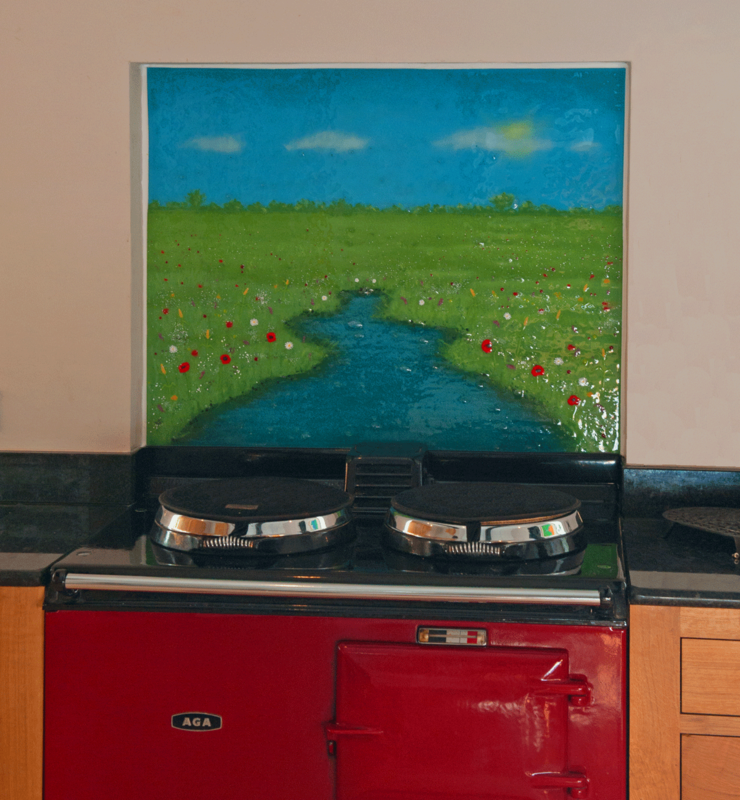 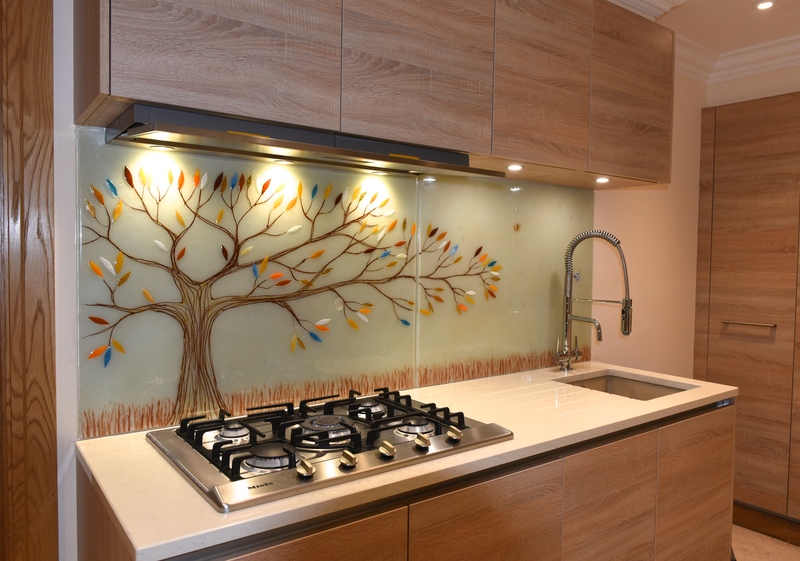 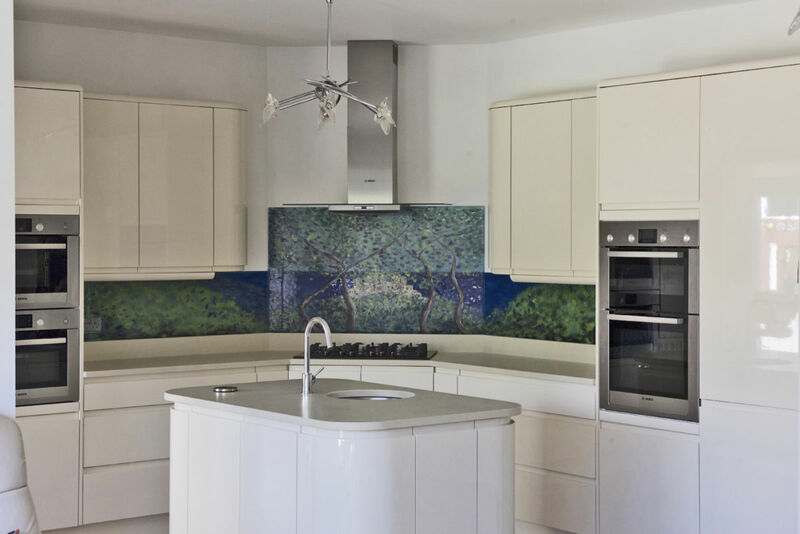 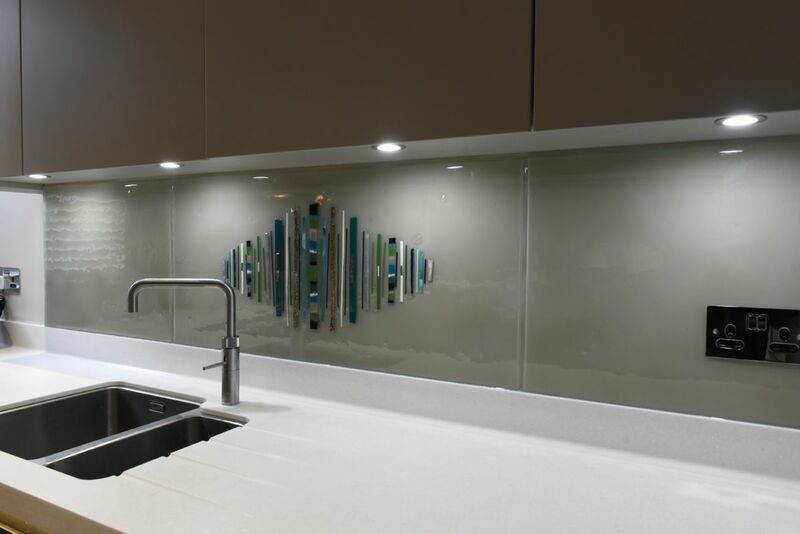 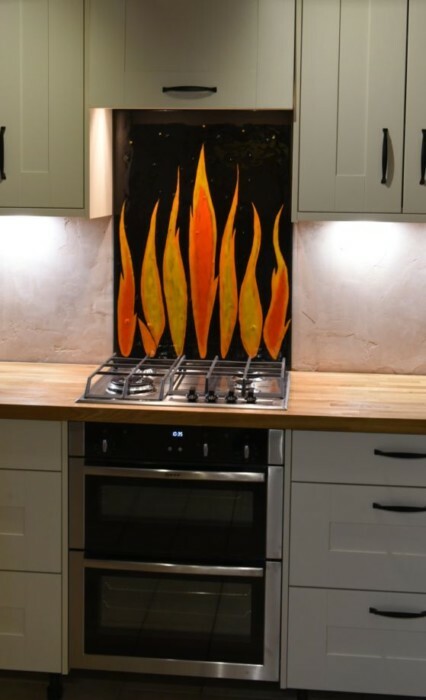 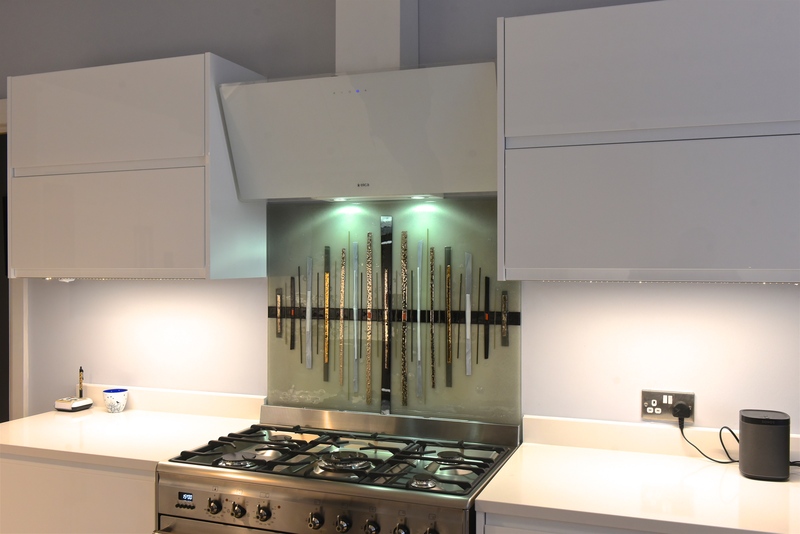 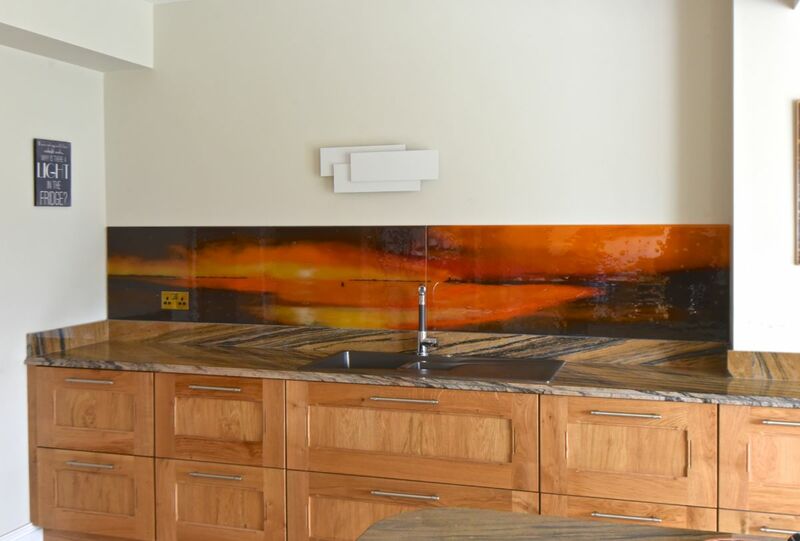 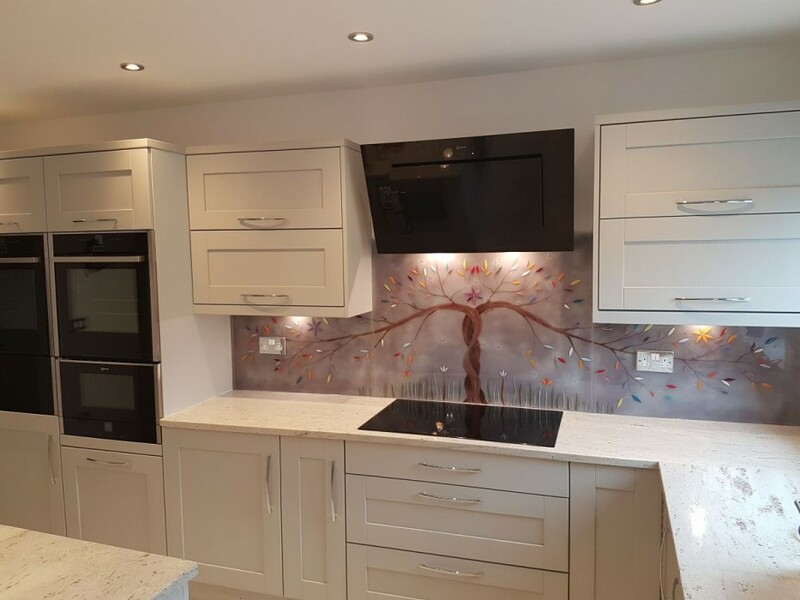 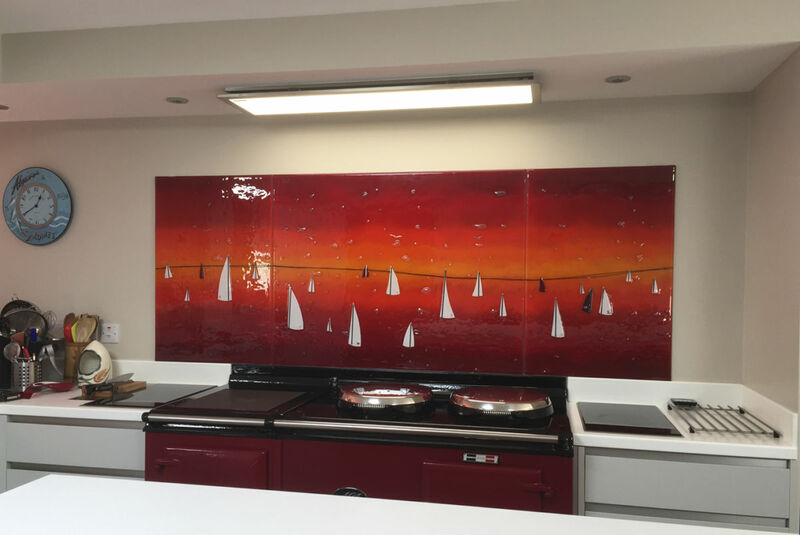 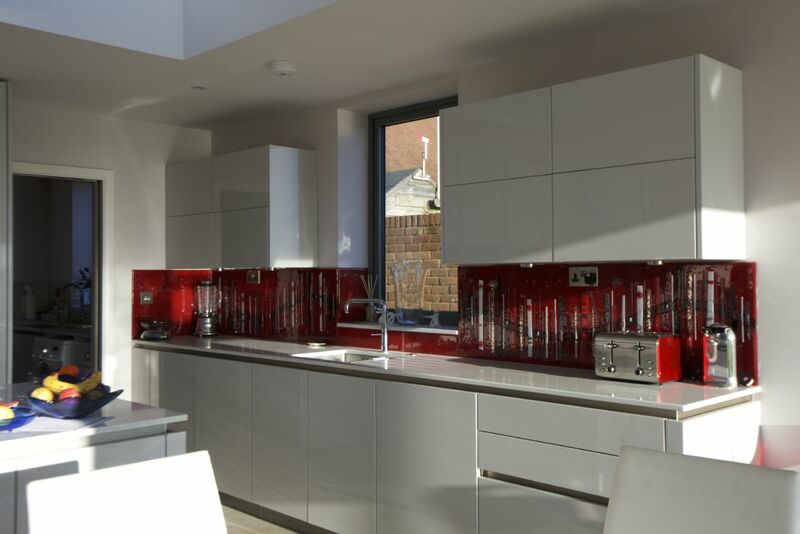 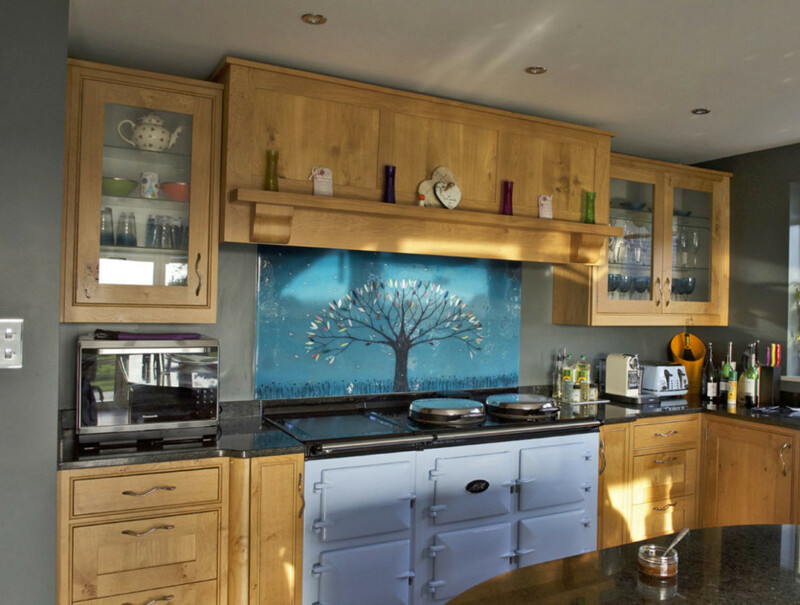 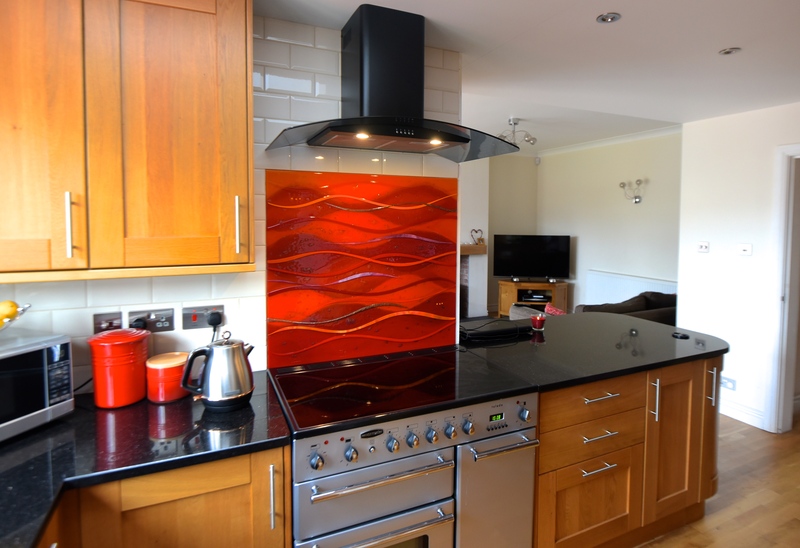 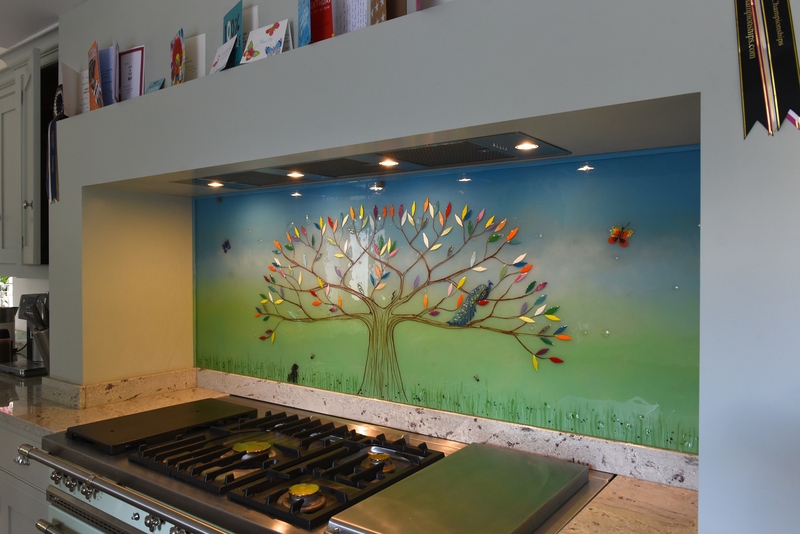 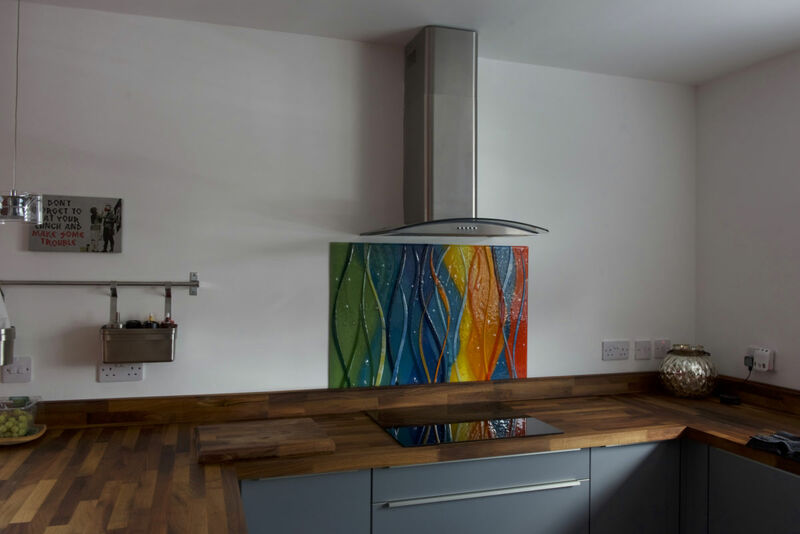 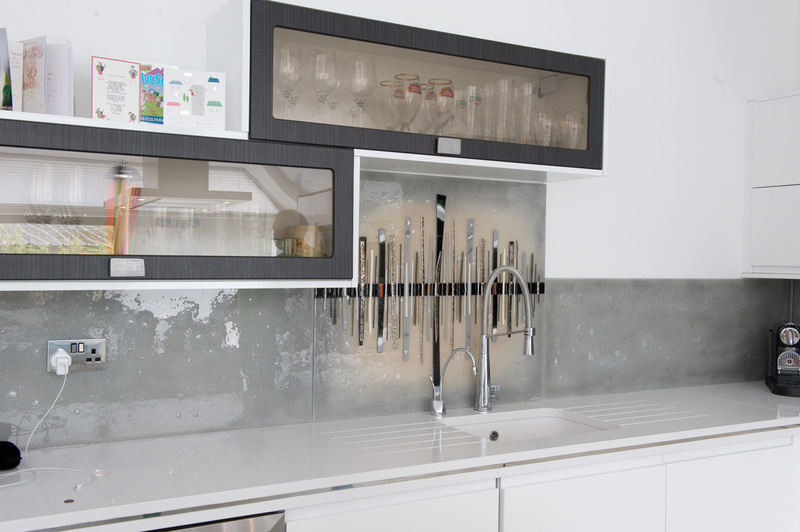 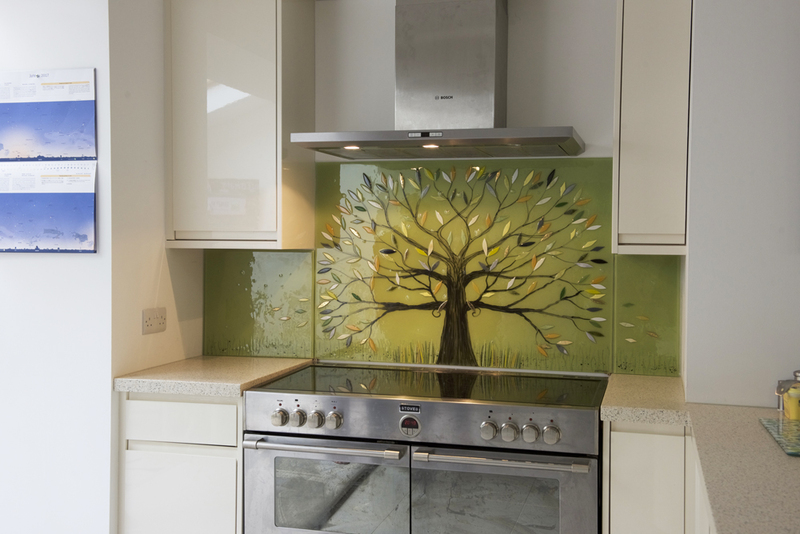 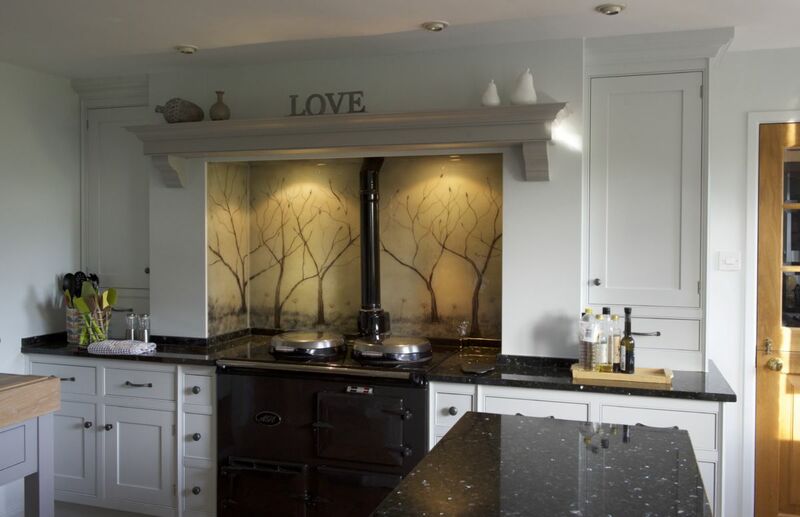 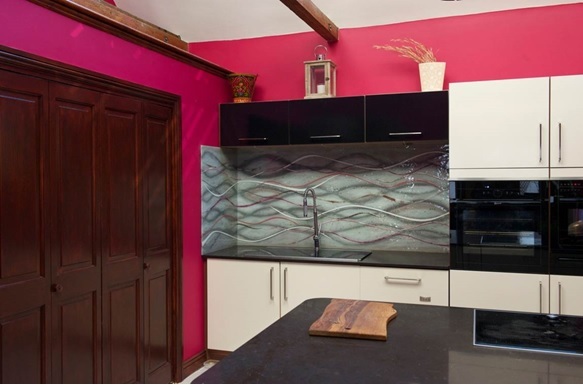 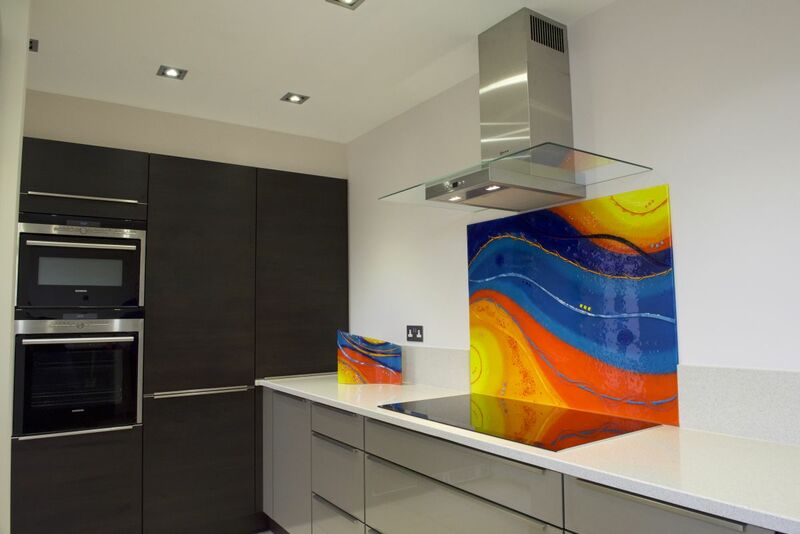 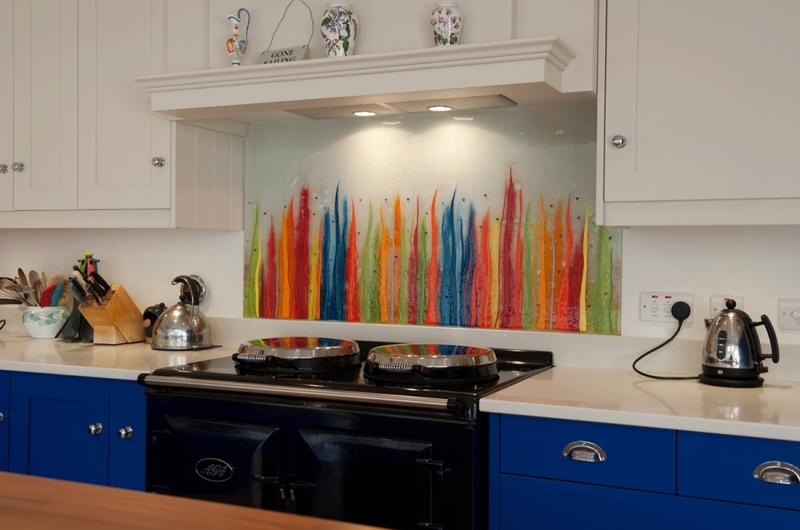 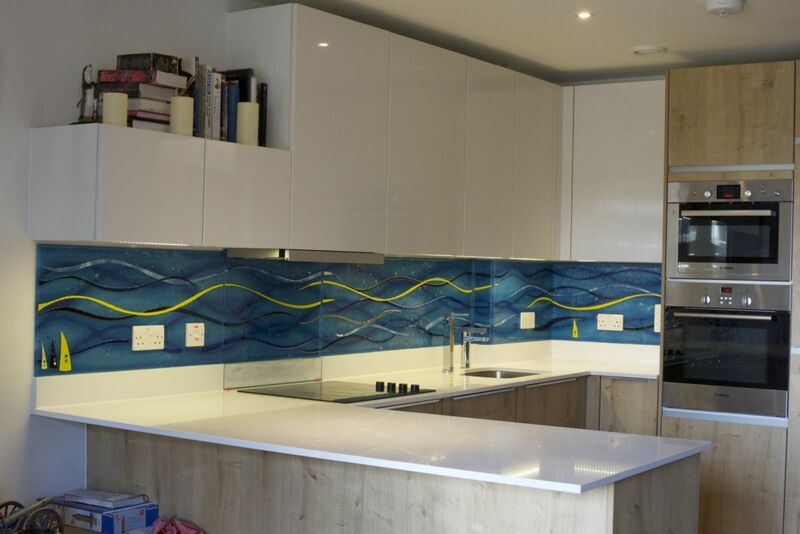 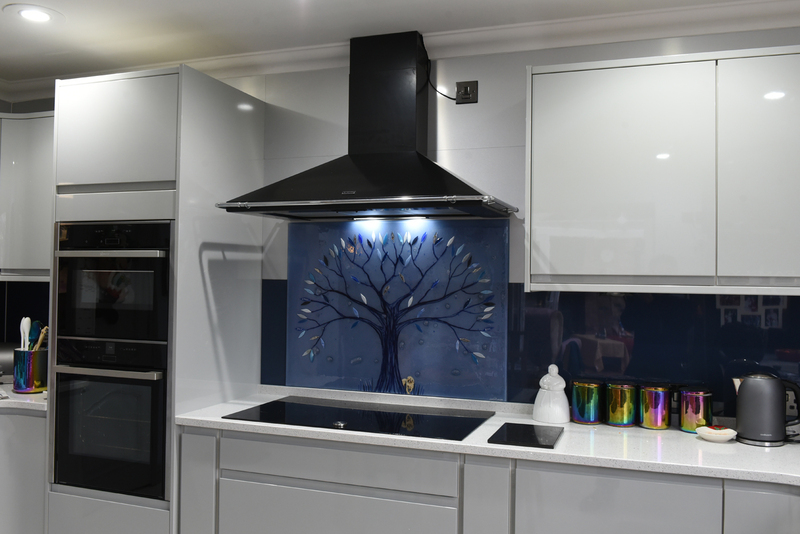 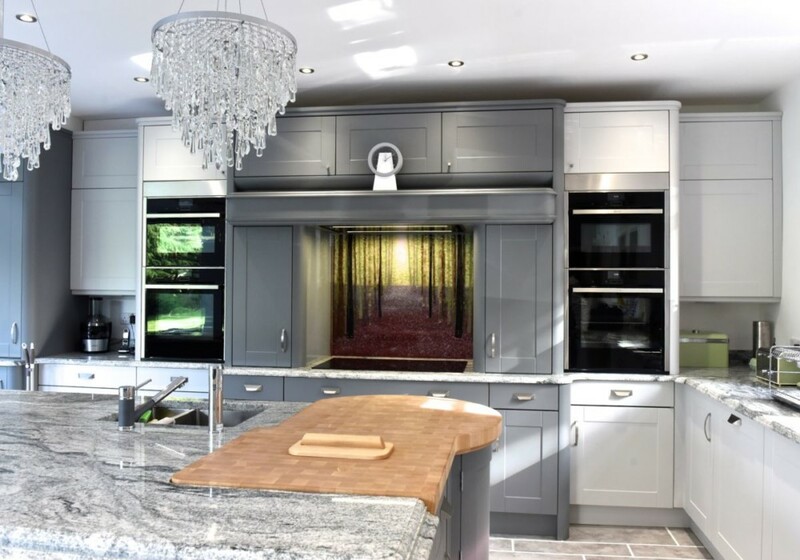 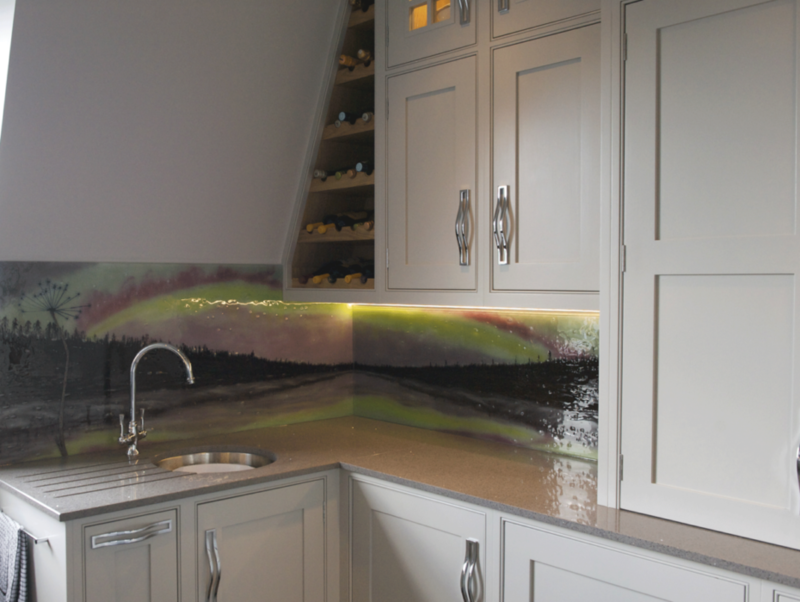 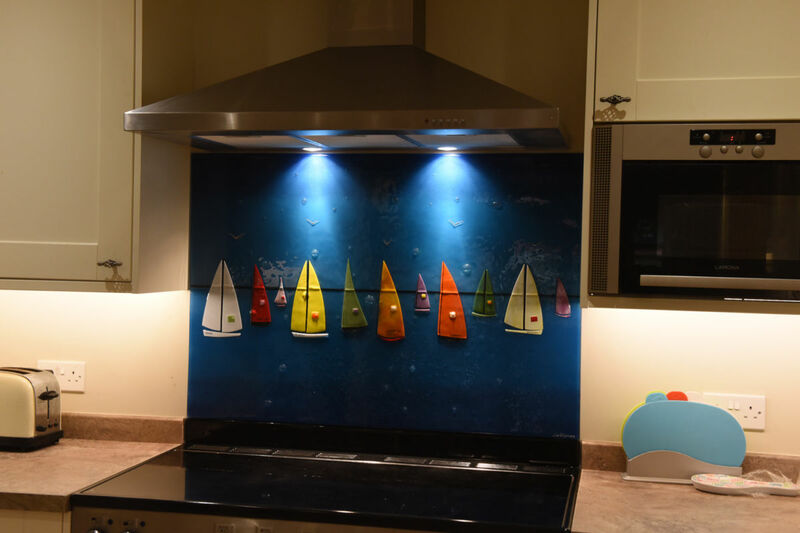 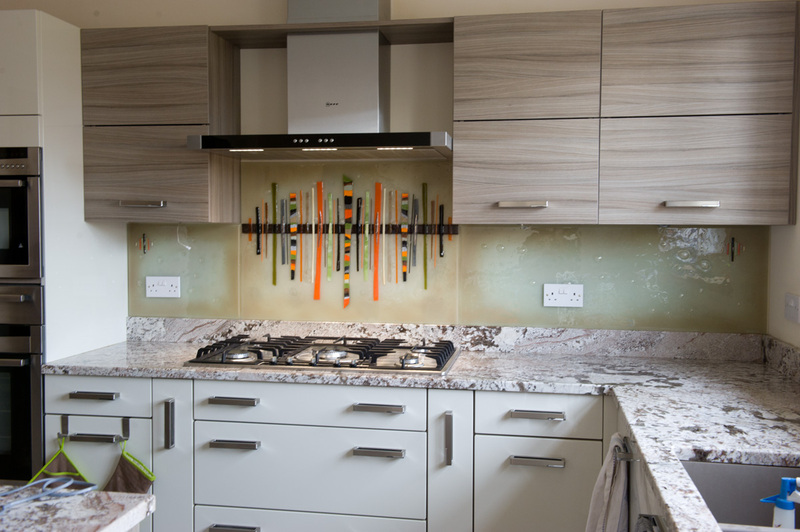 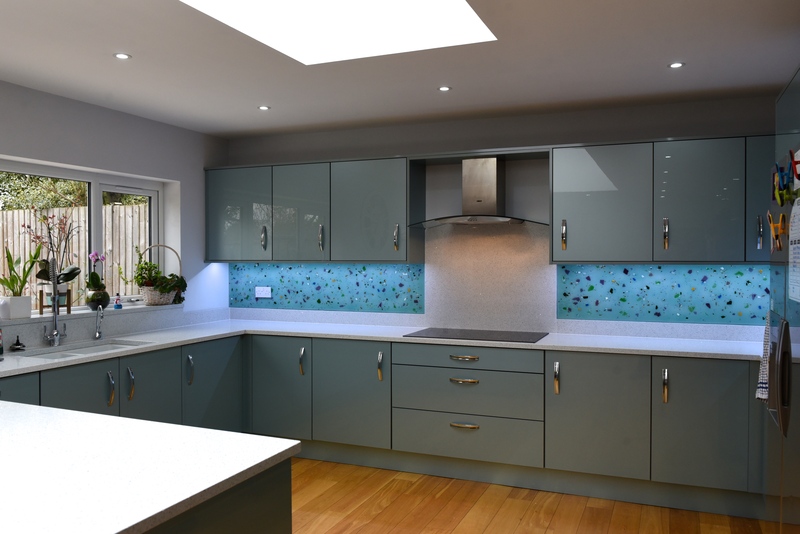 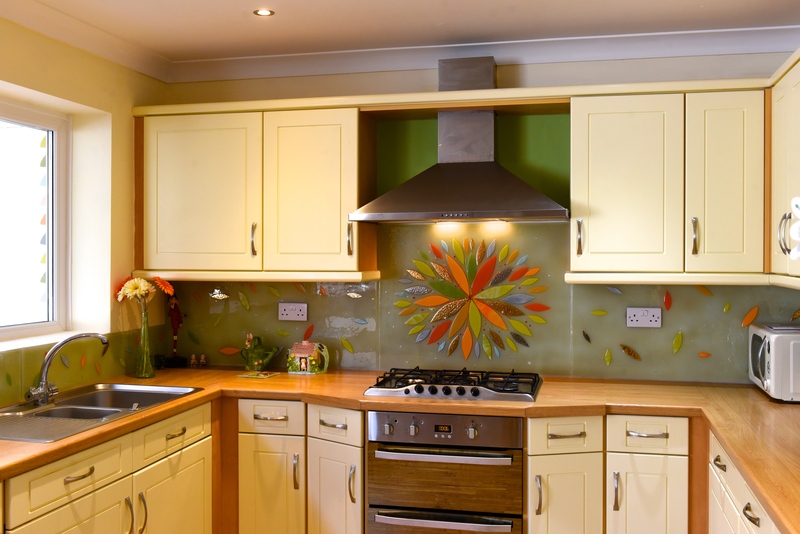 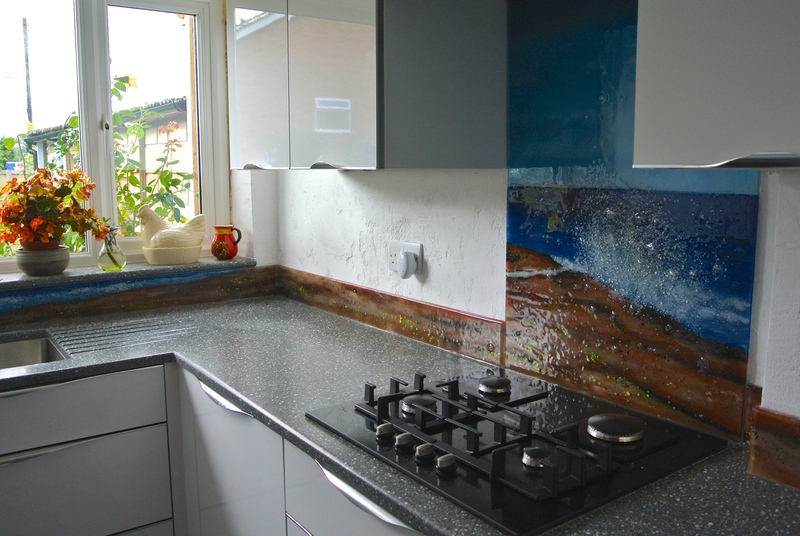 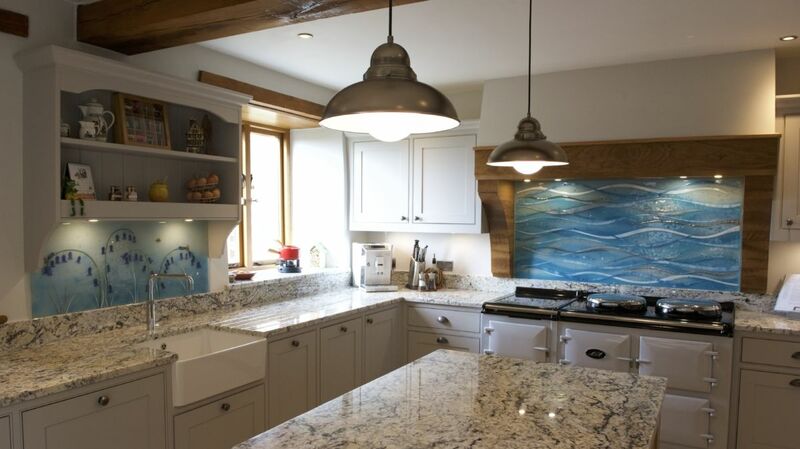 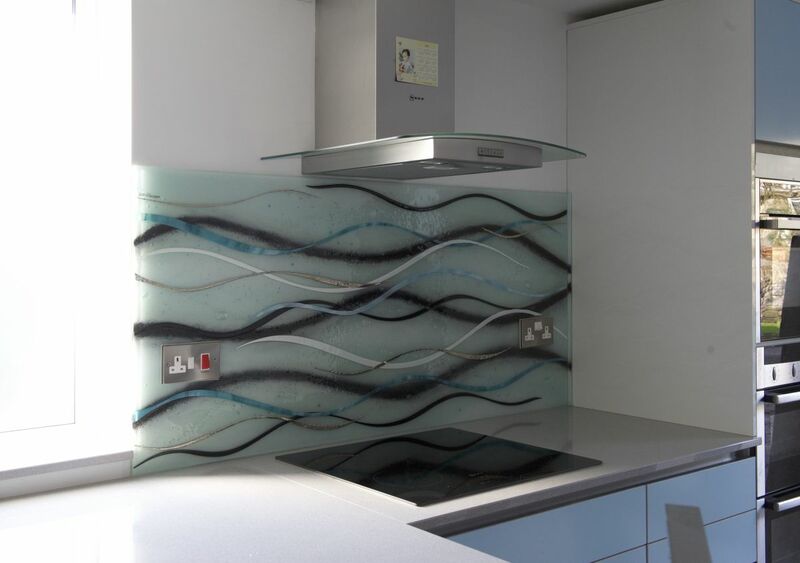 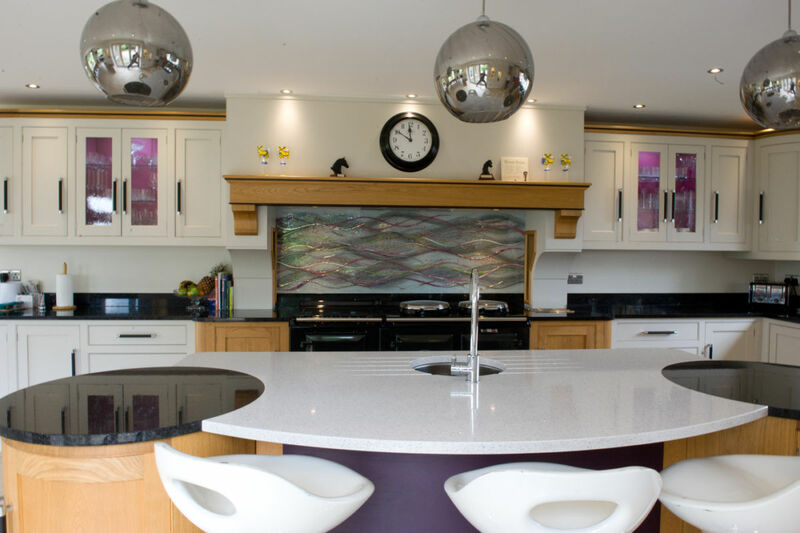 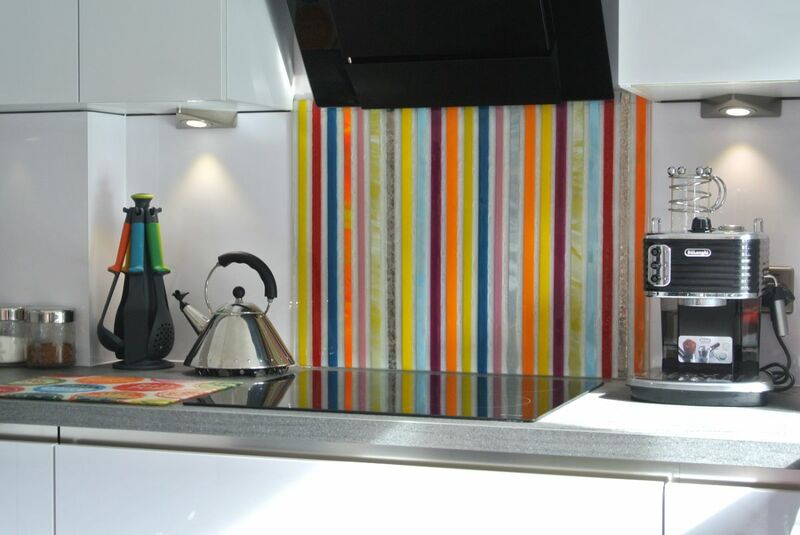 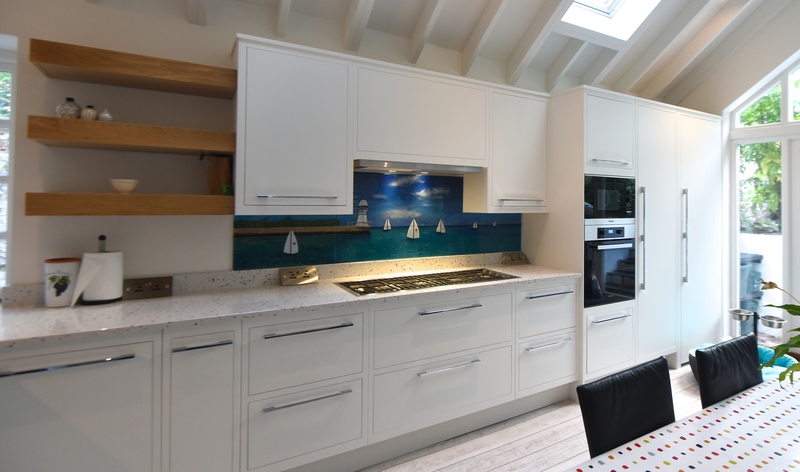 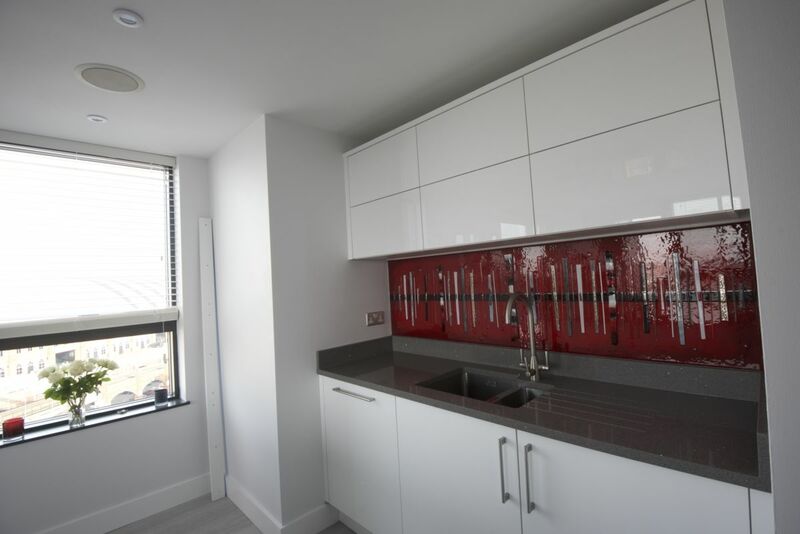 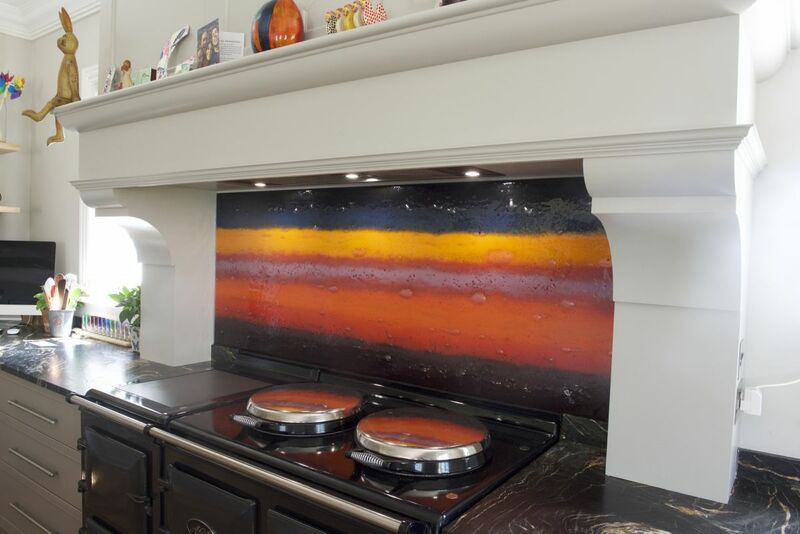 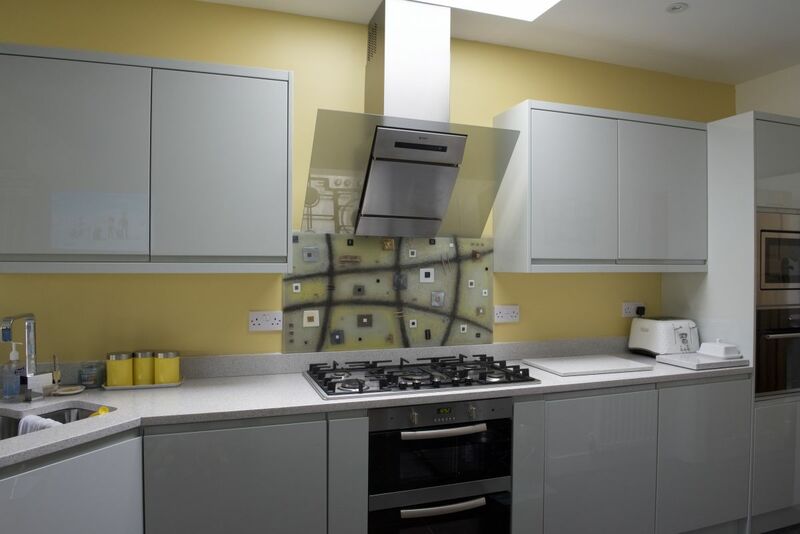 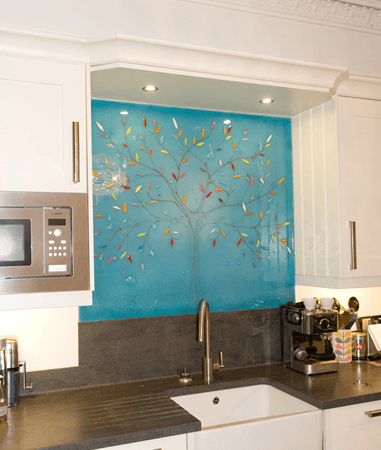 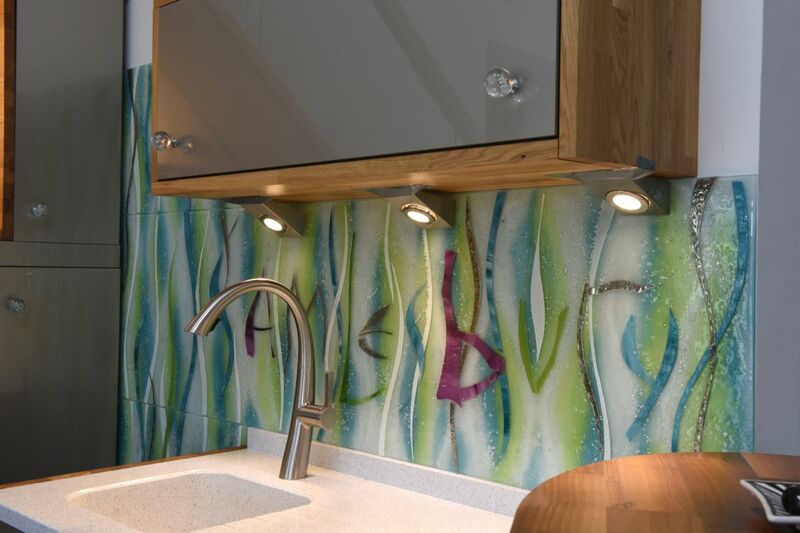 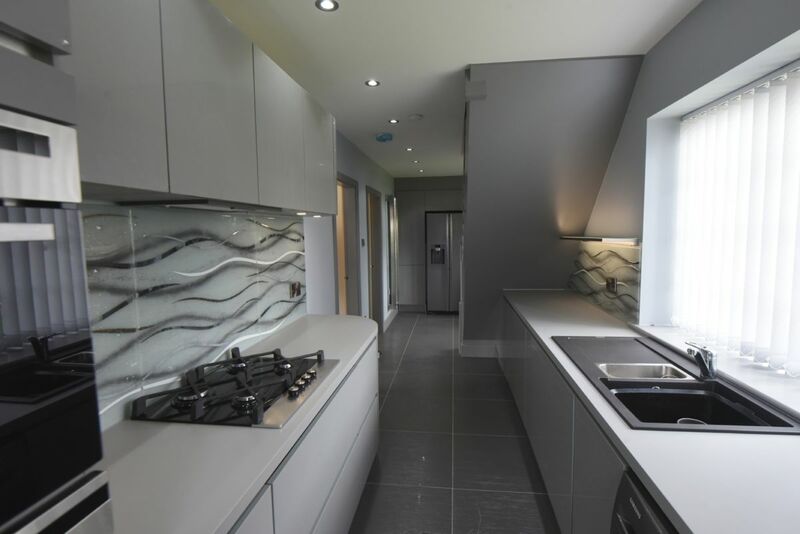 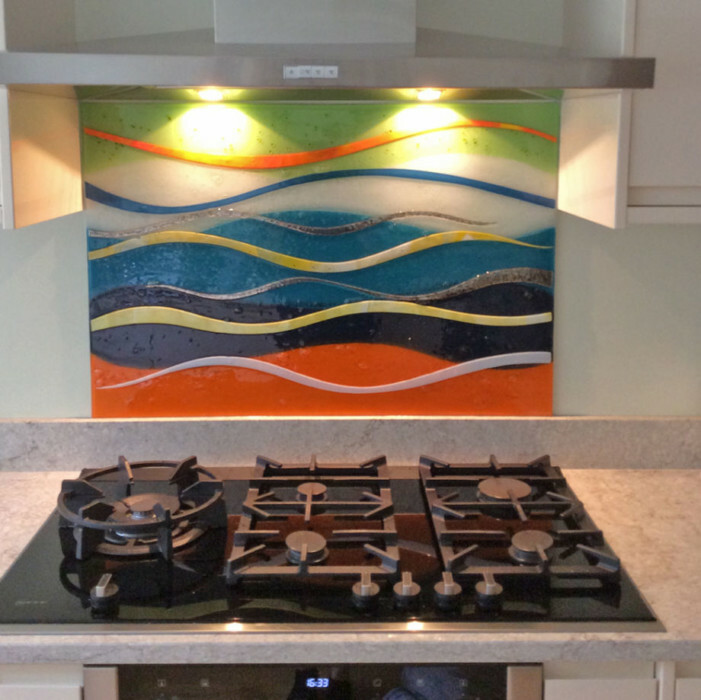 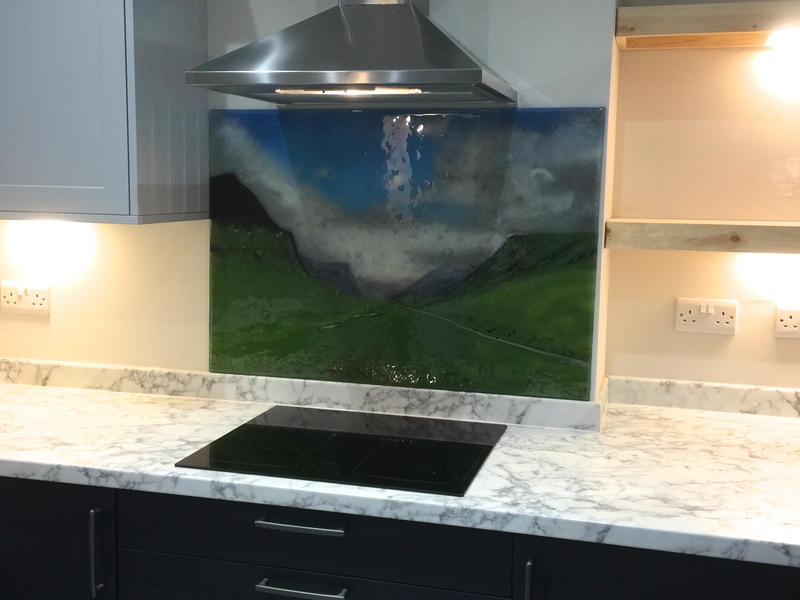 If you’re in the market for gorgeous kitchen splashbacks like this one, ready and waiting to transform your home with an effortlessly unique touch, then The House of Ugly Fish is the perfect place for you. 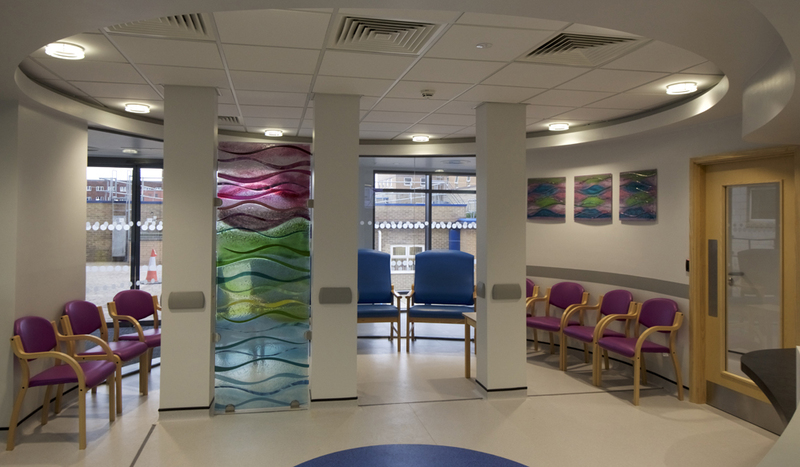 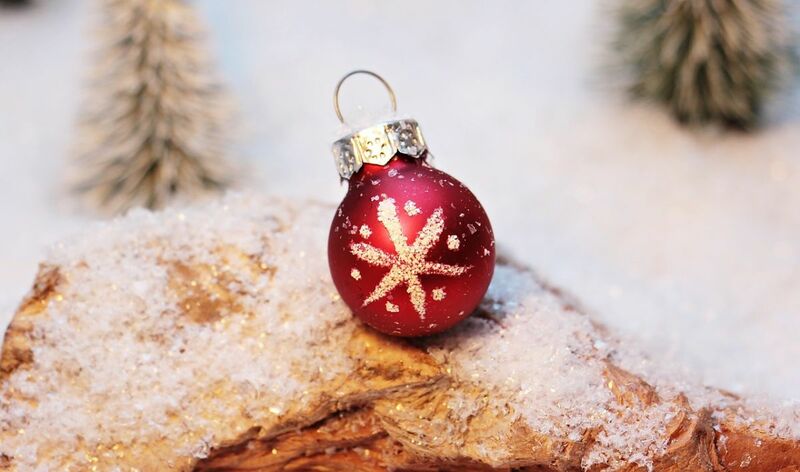 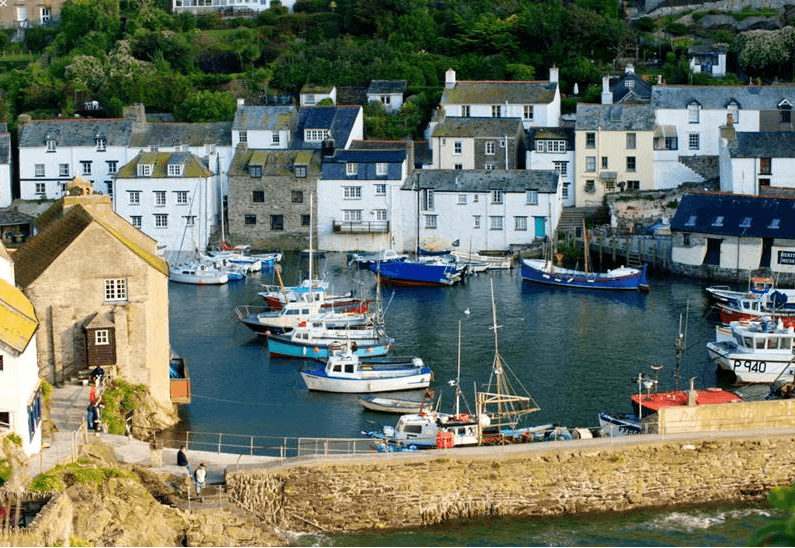 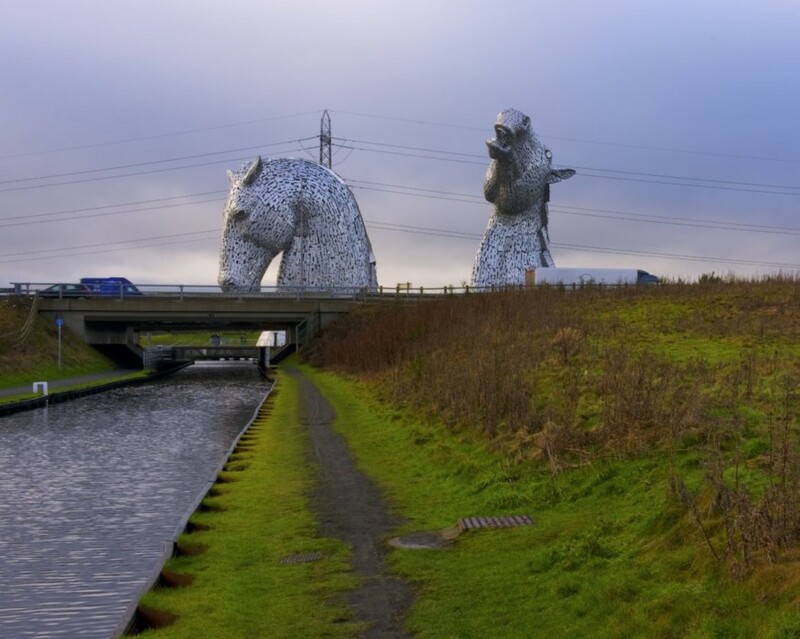 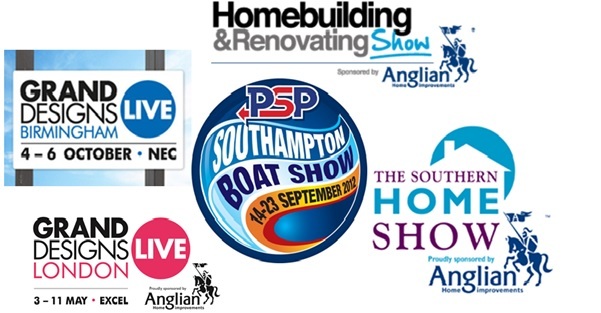 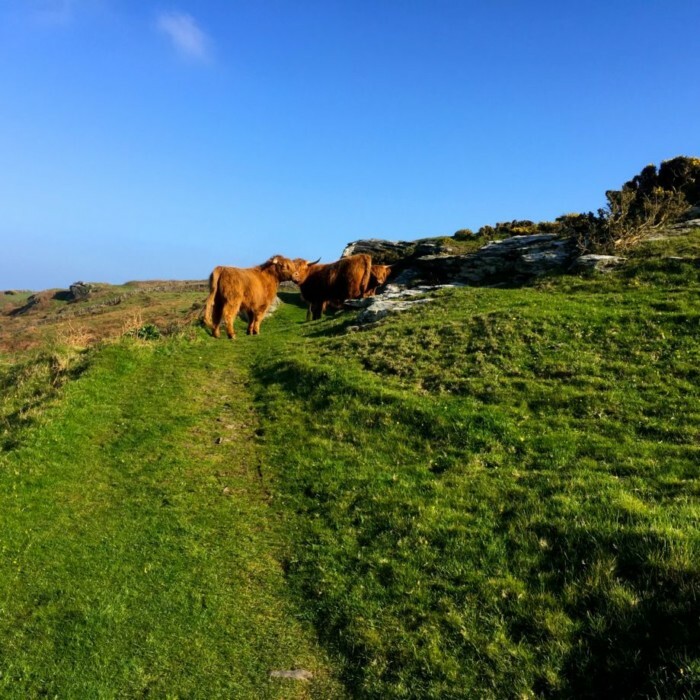 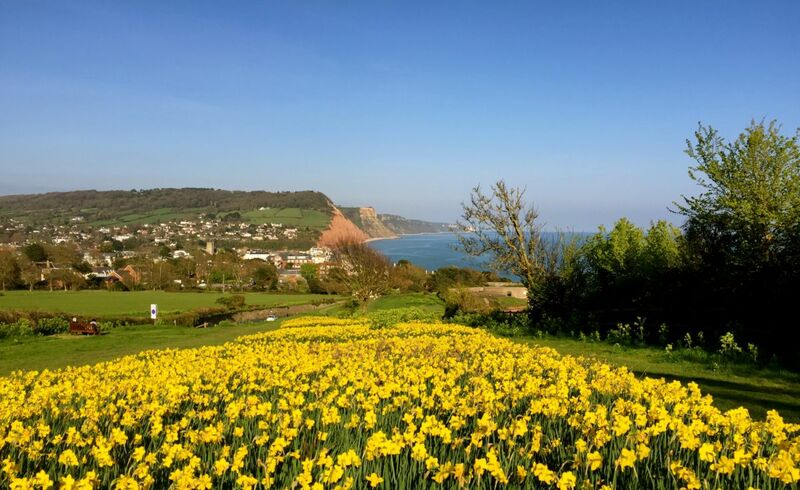 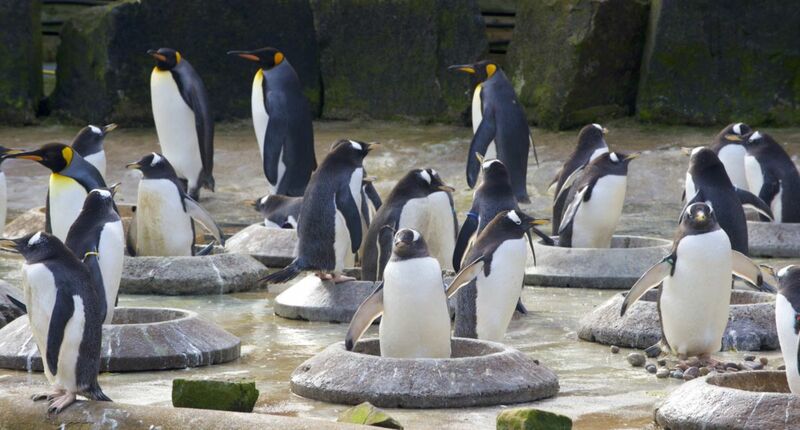 Getting in touch really is as simple as picking up the phone or dropping us an email using the contact details found here on our website, so don’t be shy! 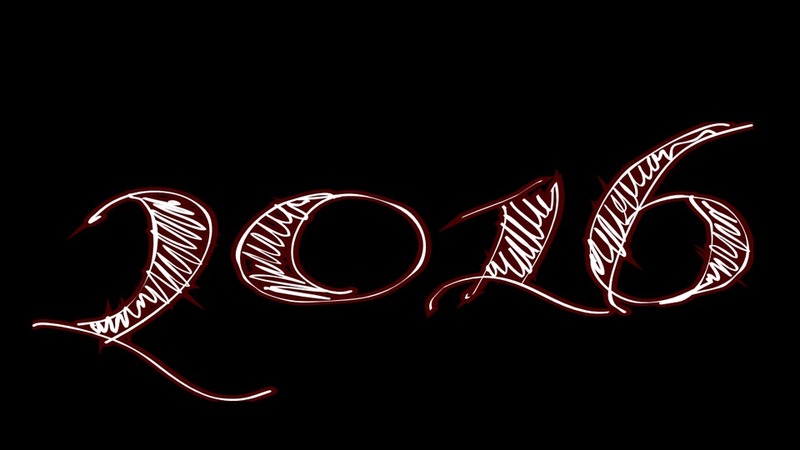 We can’t wait to hear from you.